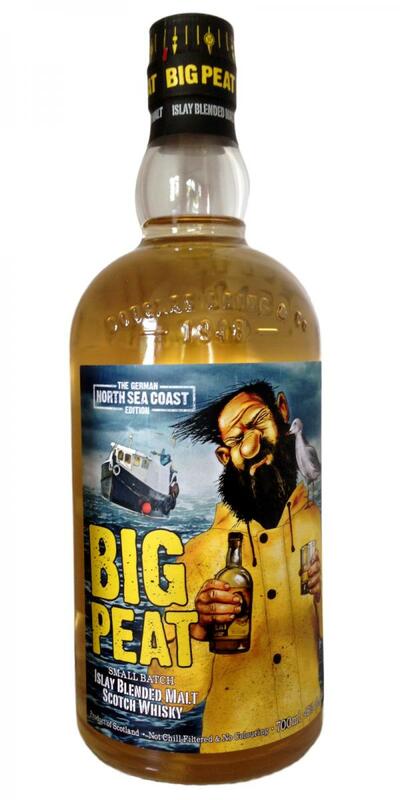 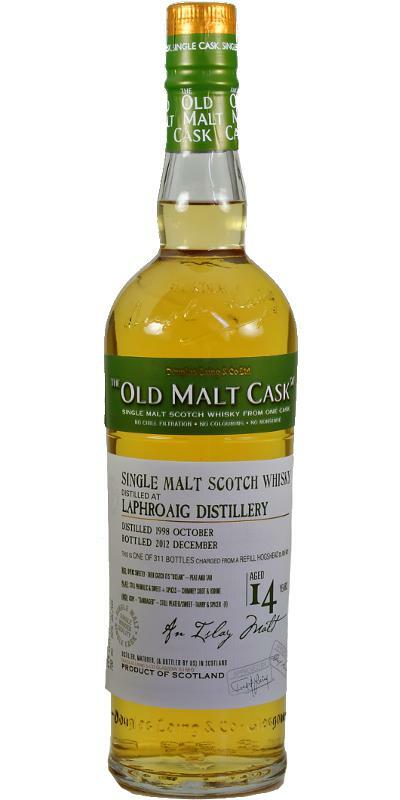 Laphroaig 10-year-old HMS Vanguard 10 40.0 % Vol. 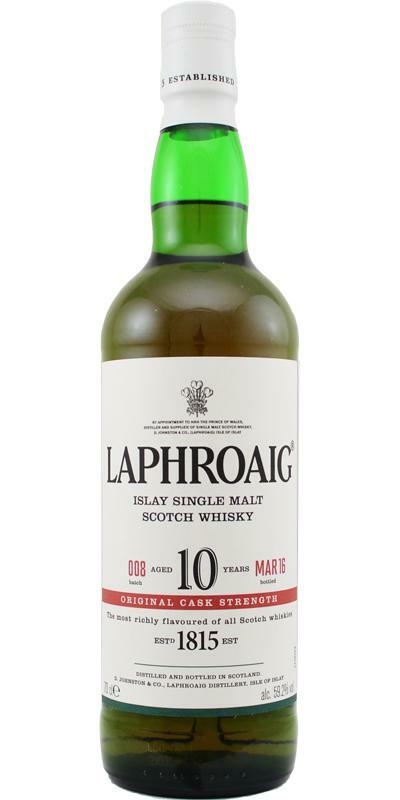 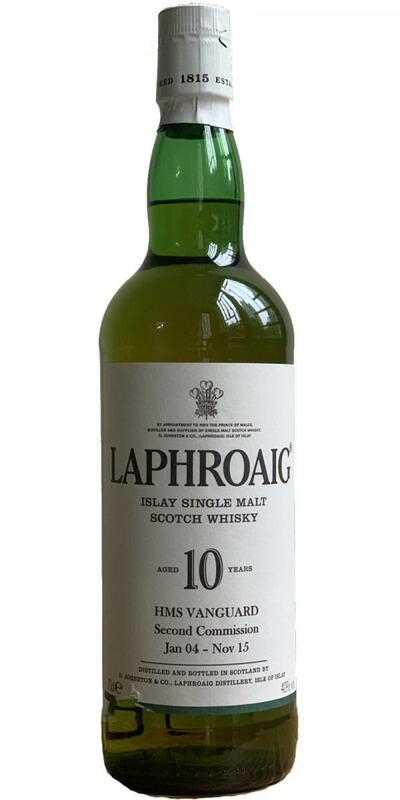 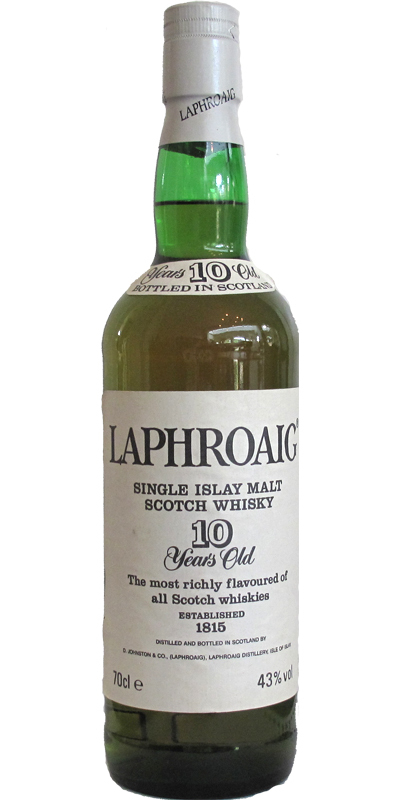 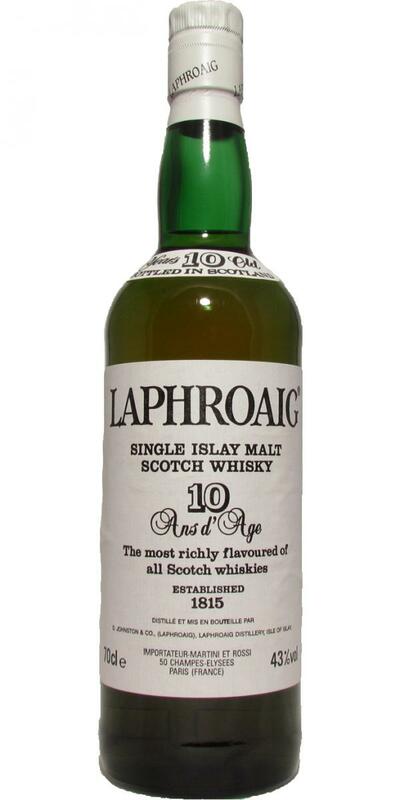 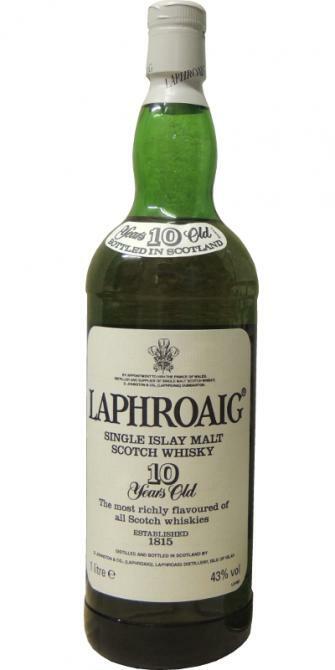 Laphroaig 10-year-old 10 40.0 % Vol. 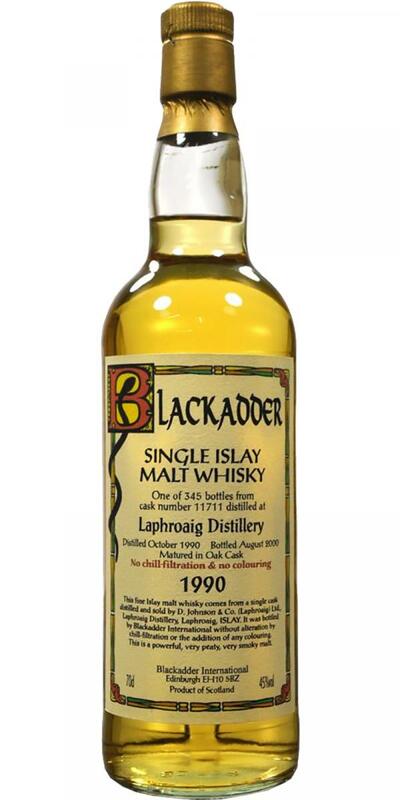 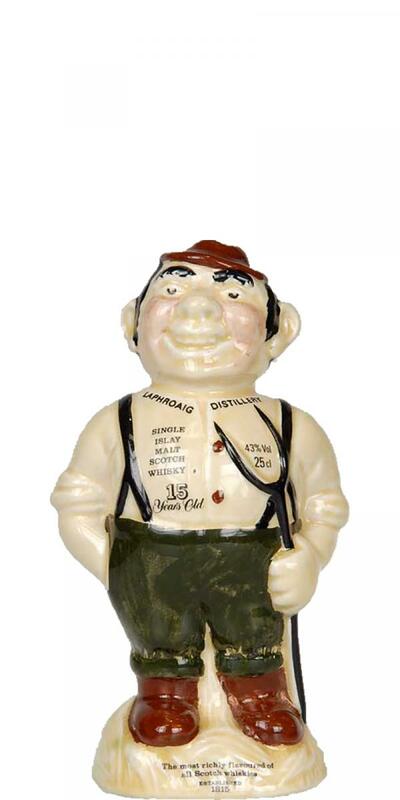 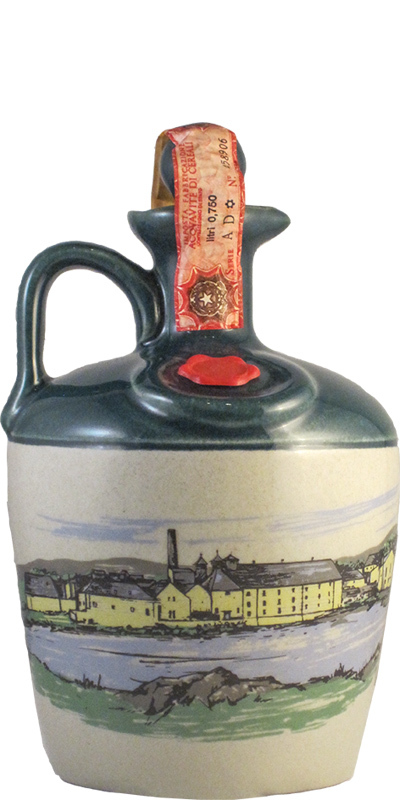 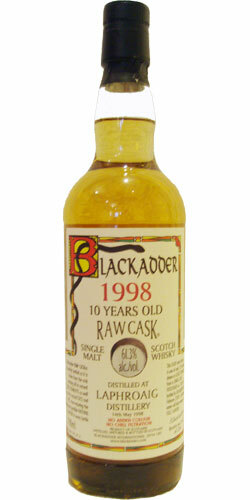 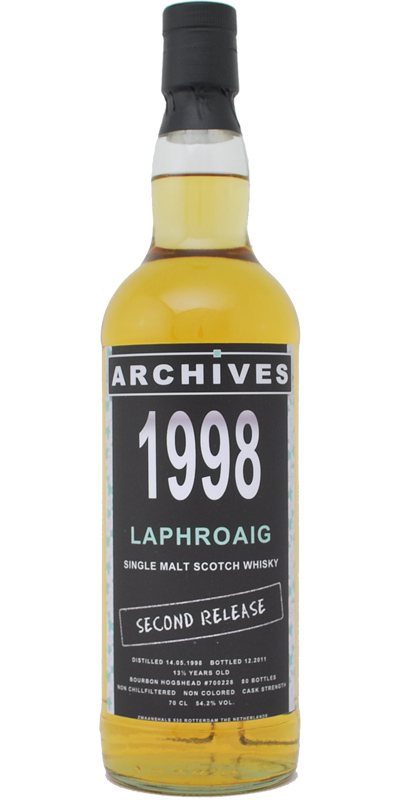 Laphroaig 15-year-old Ceramic figurine 15 43.0 % Vol. 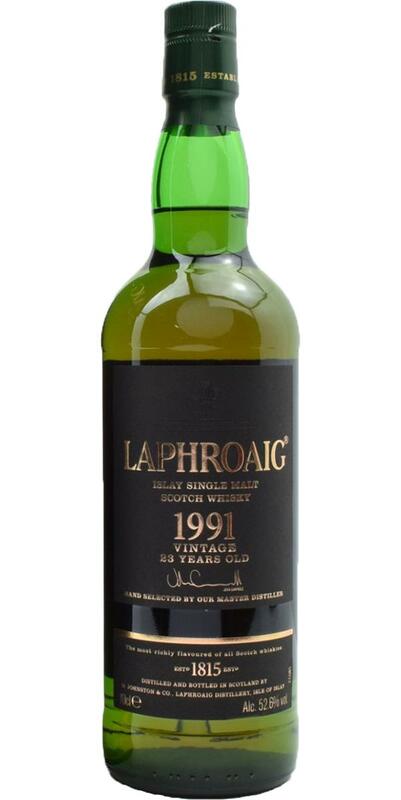 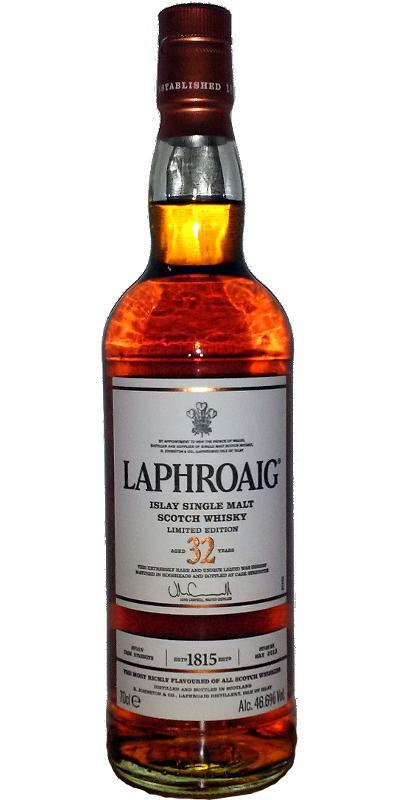 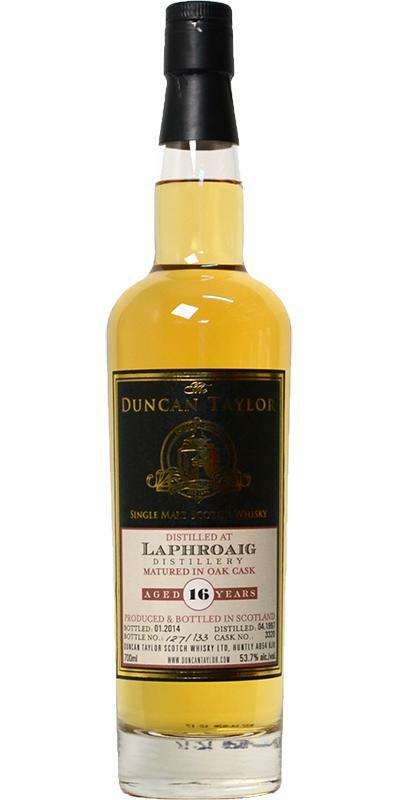 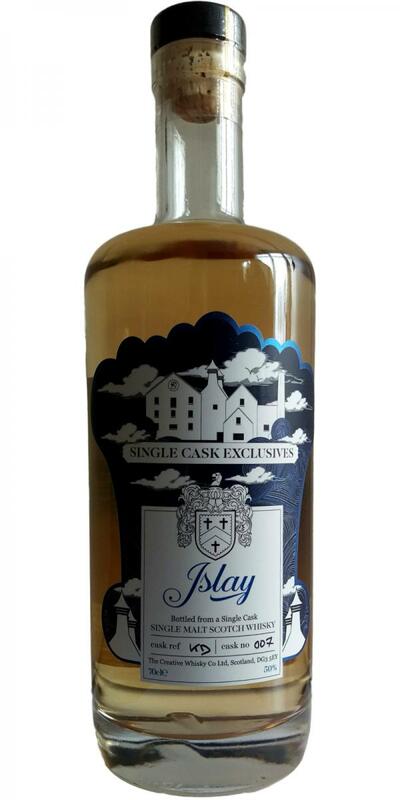 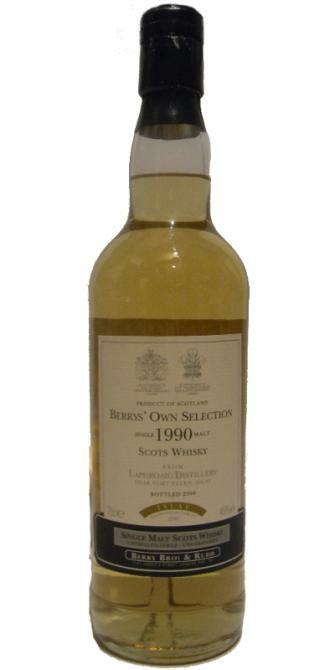 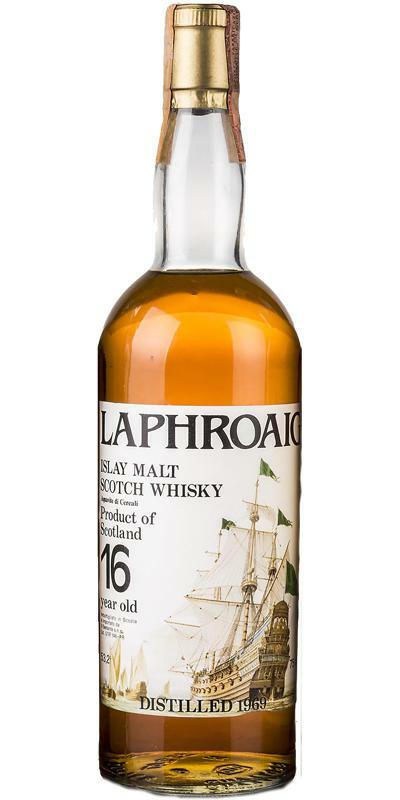 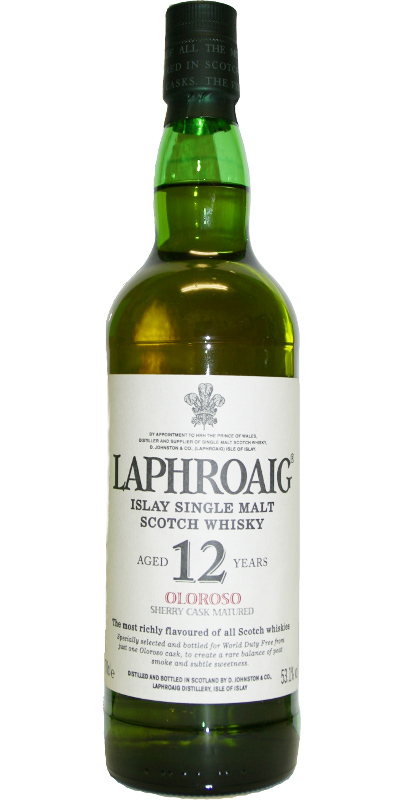 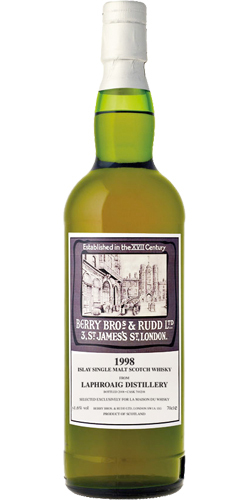 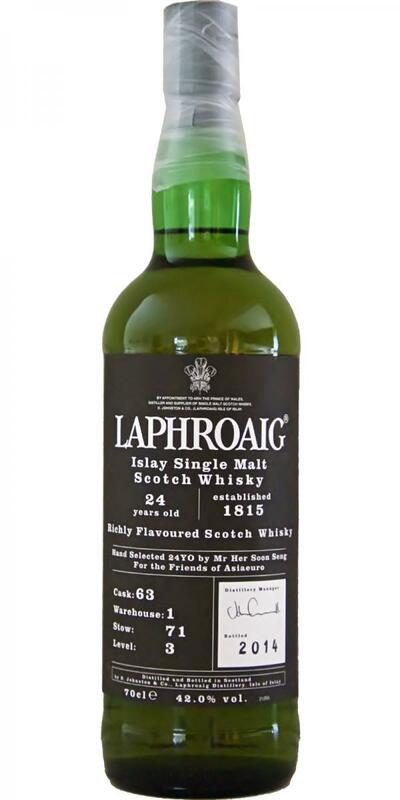 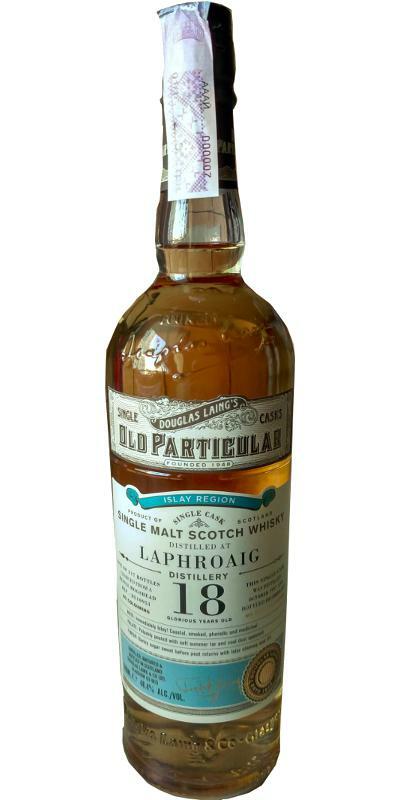 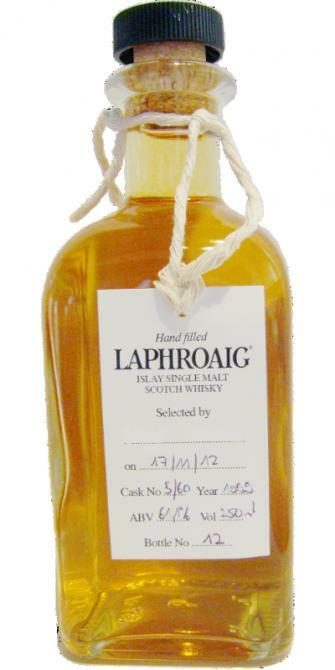 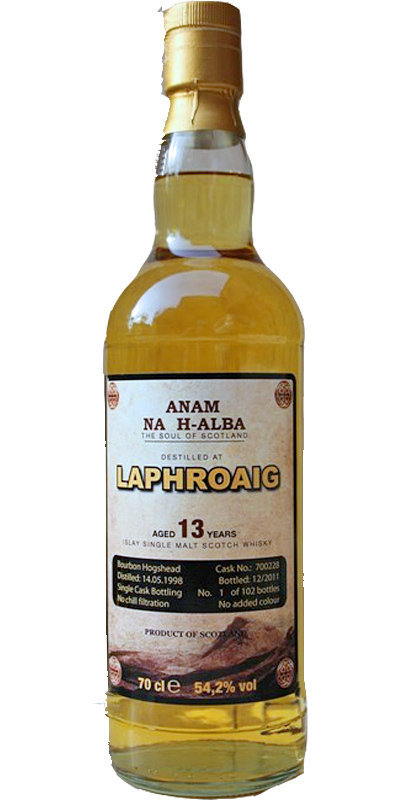 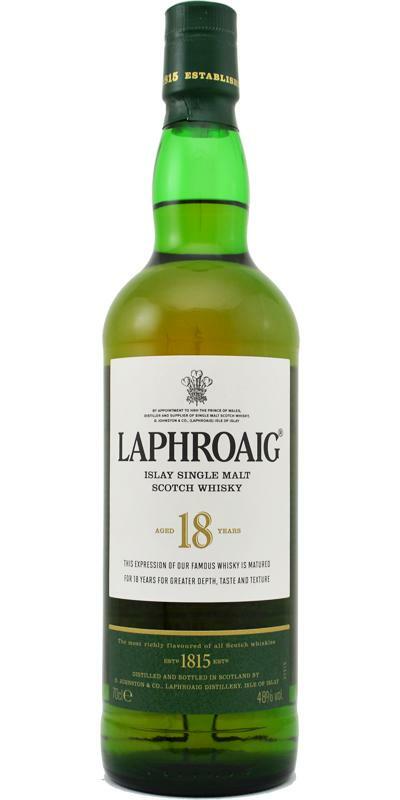 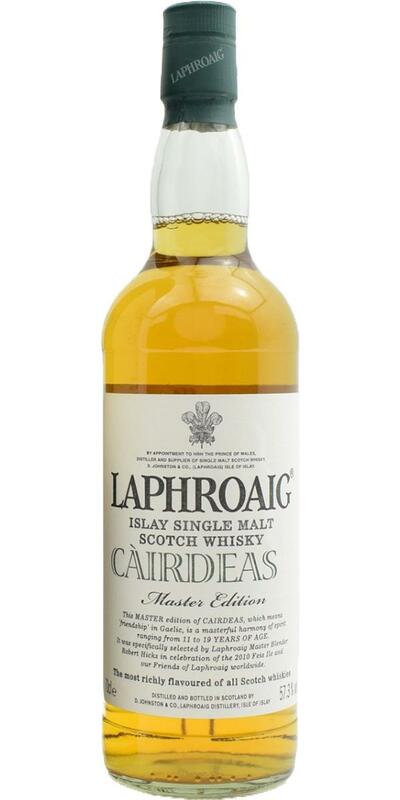 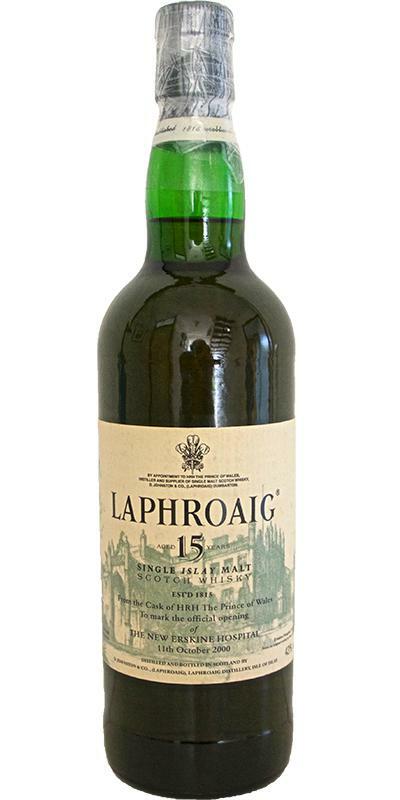 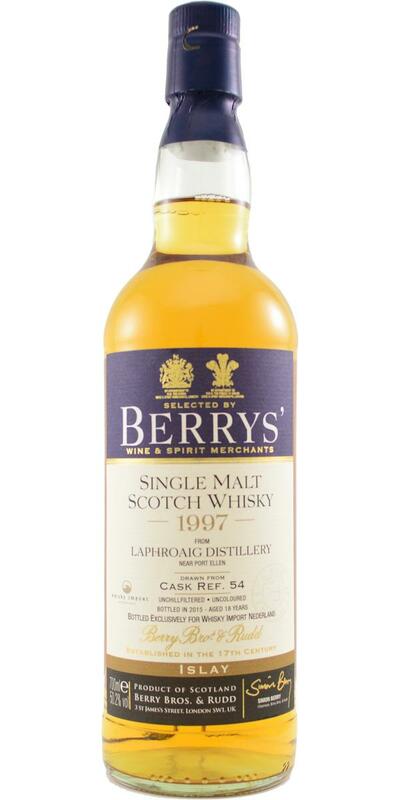 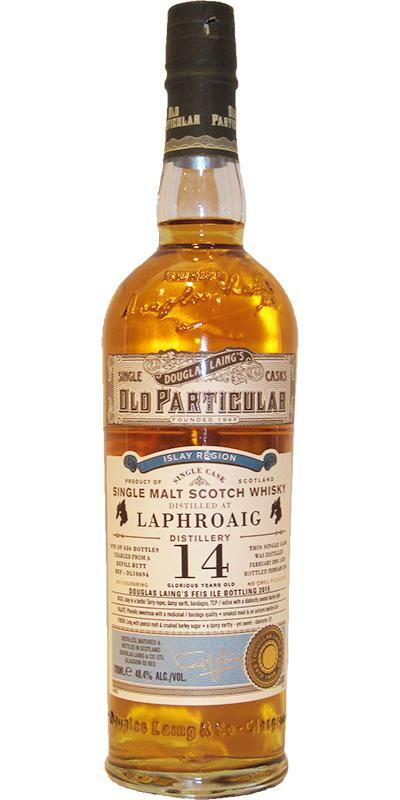 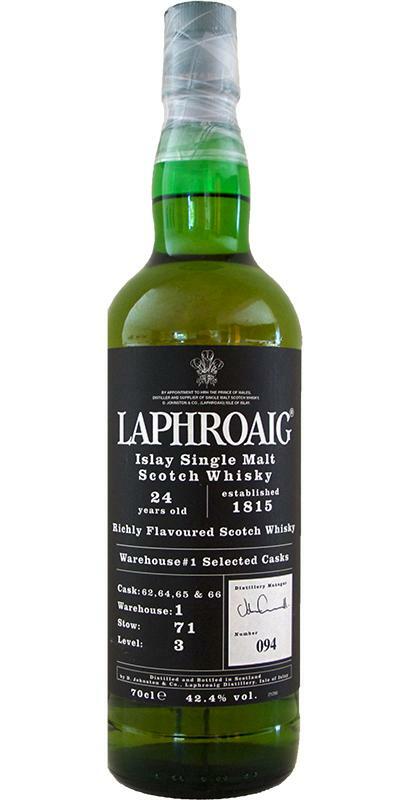 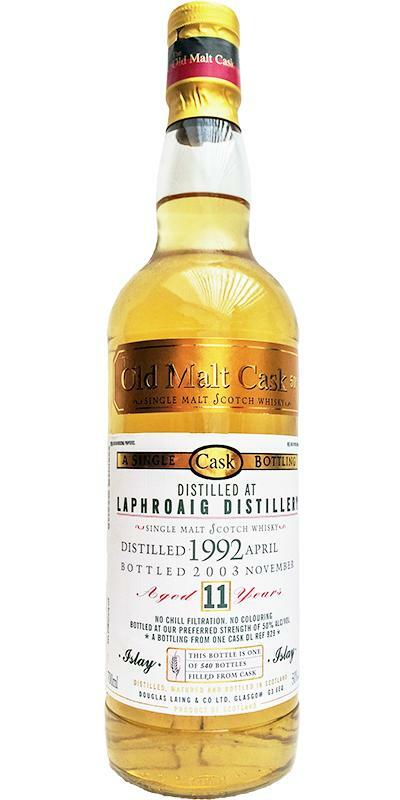 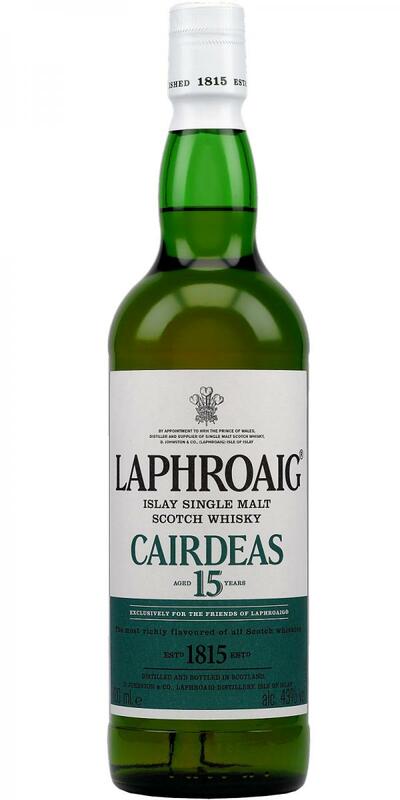 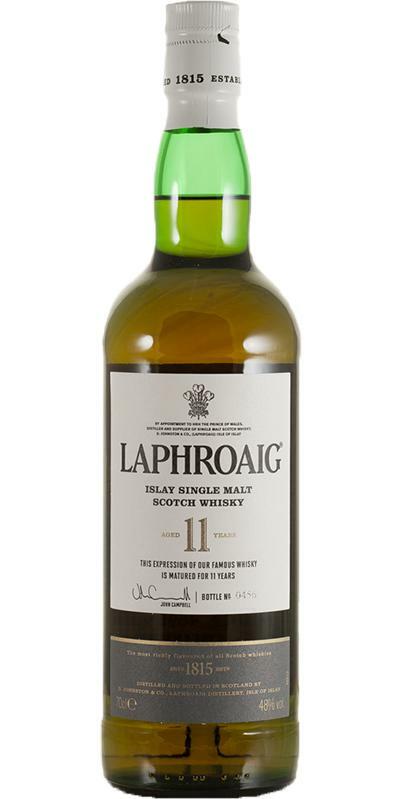 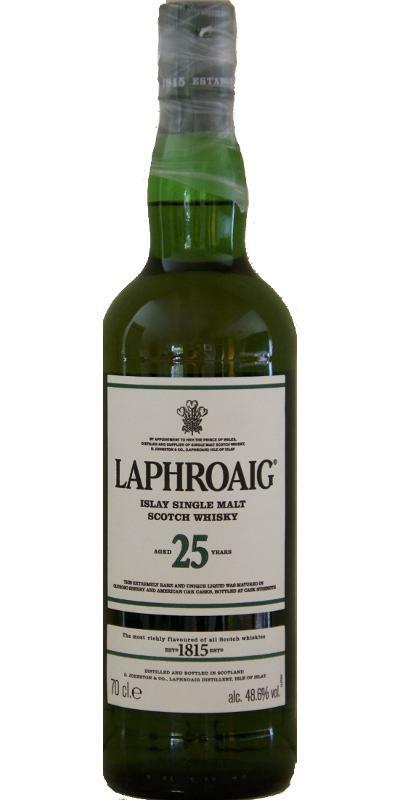 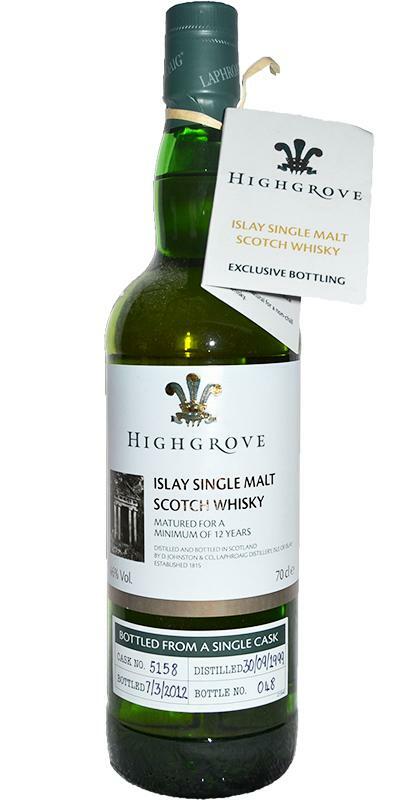 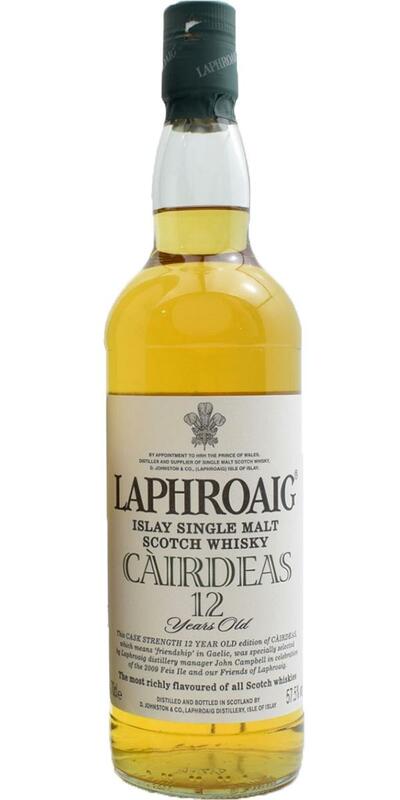 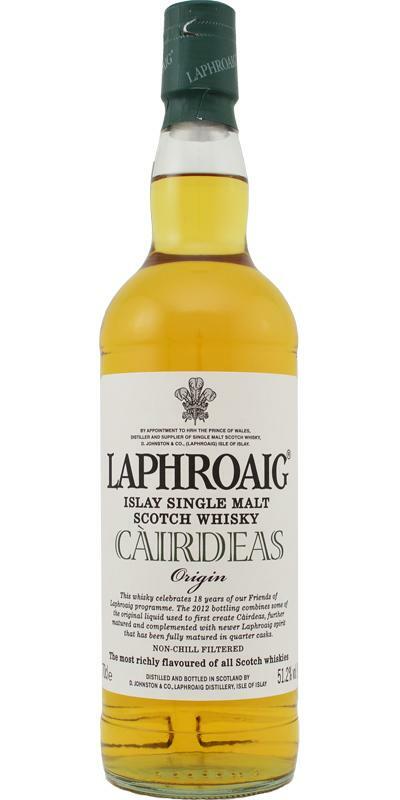 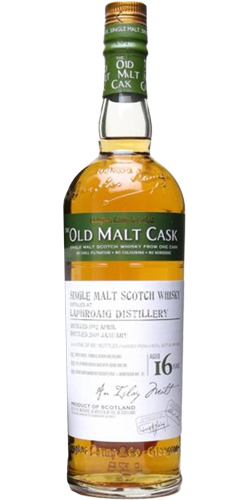 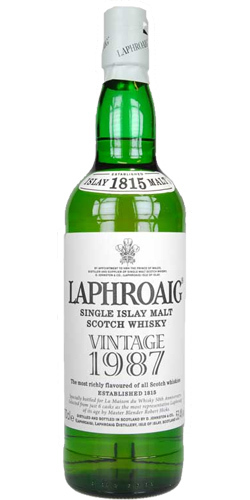 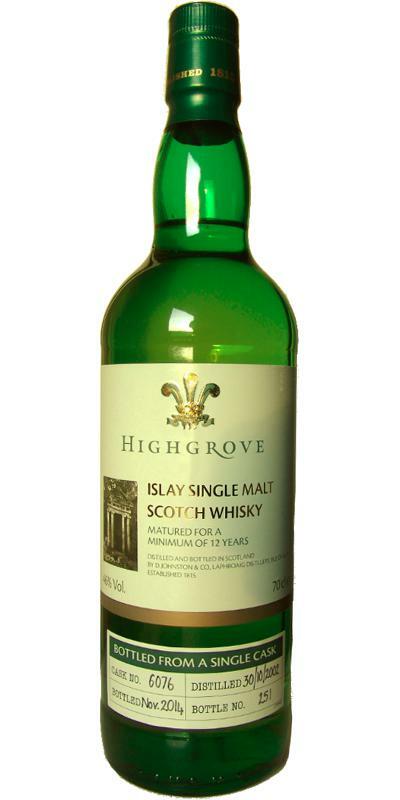 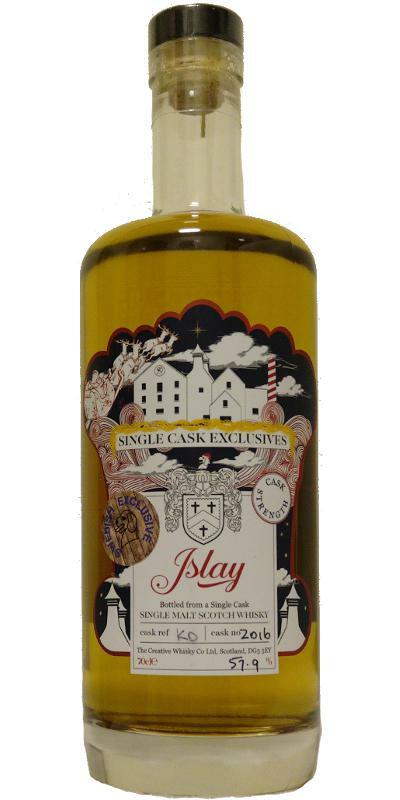 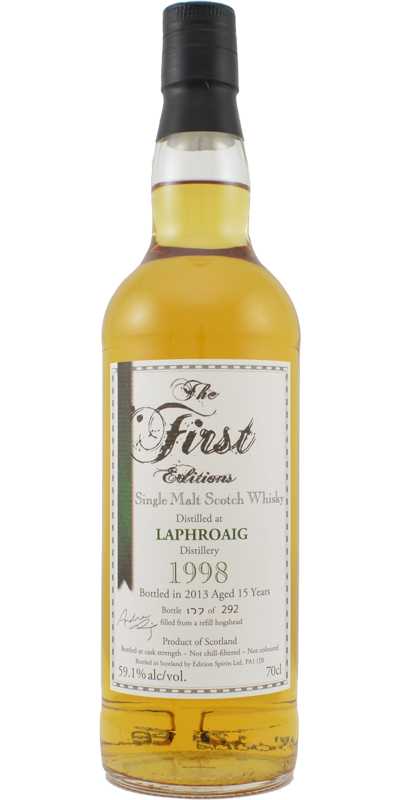 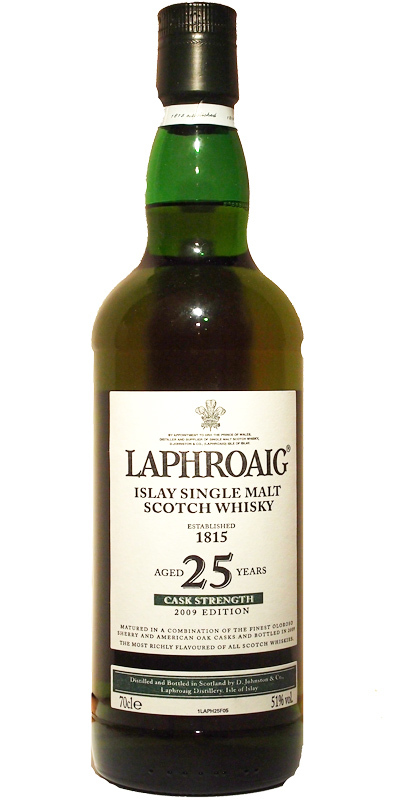 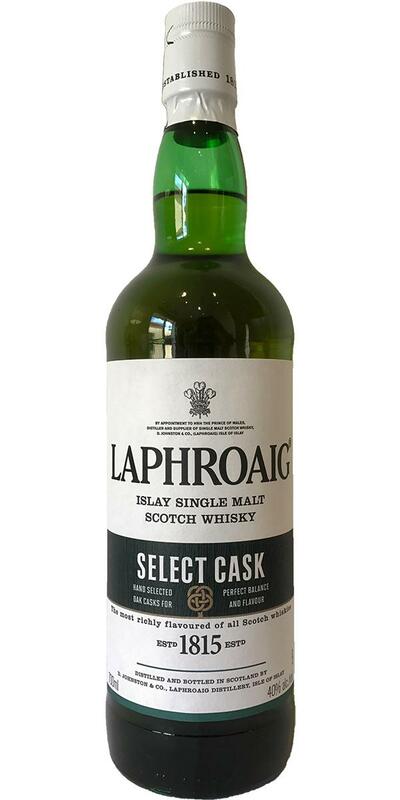 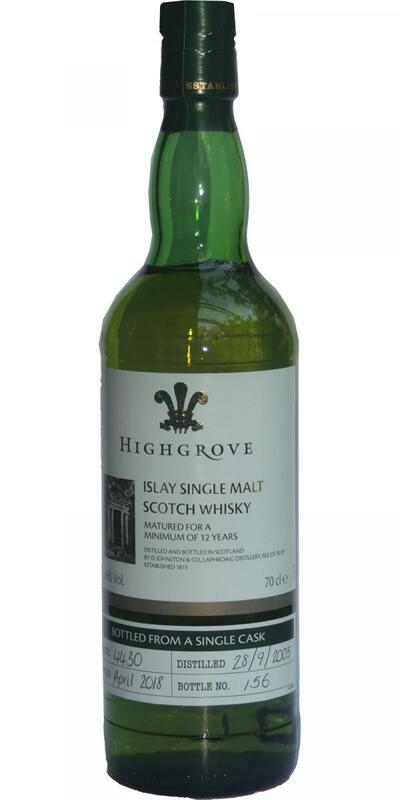 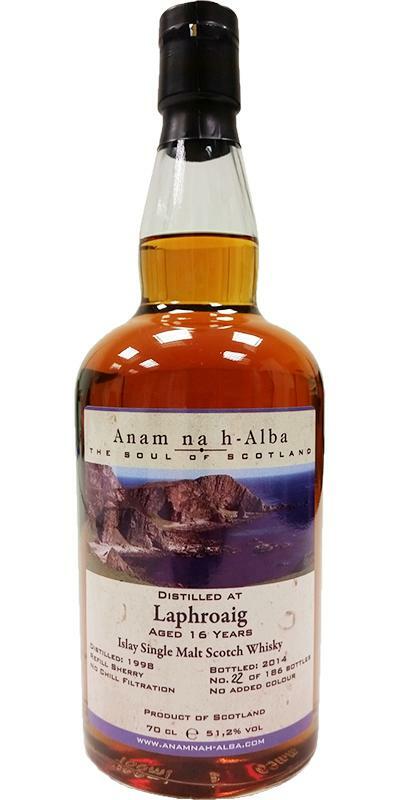 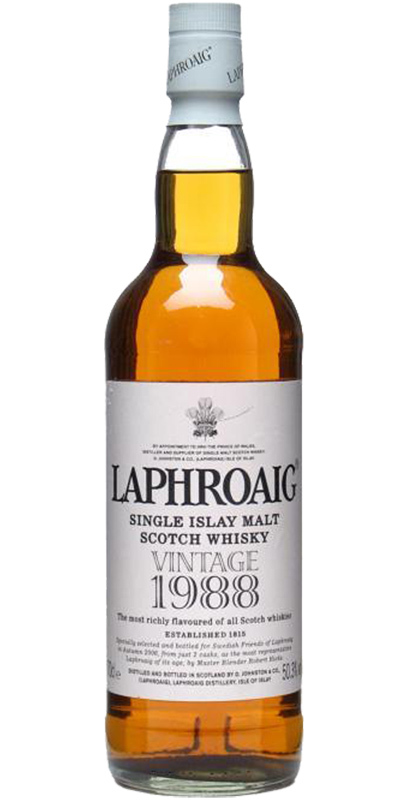 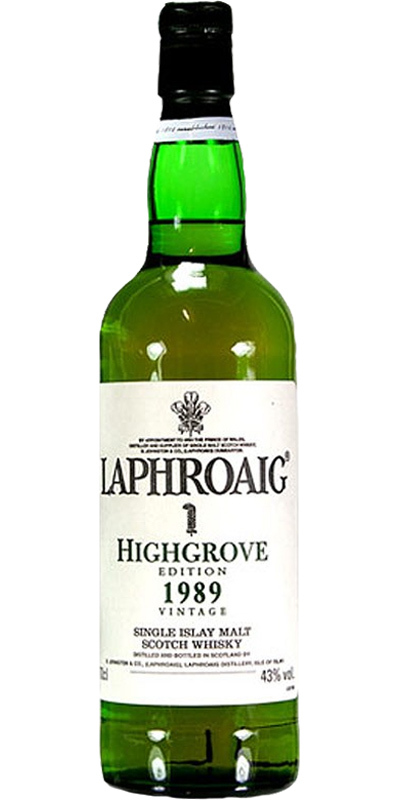 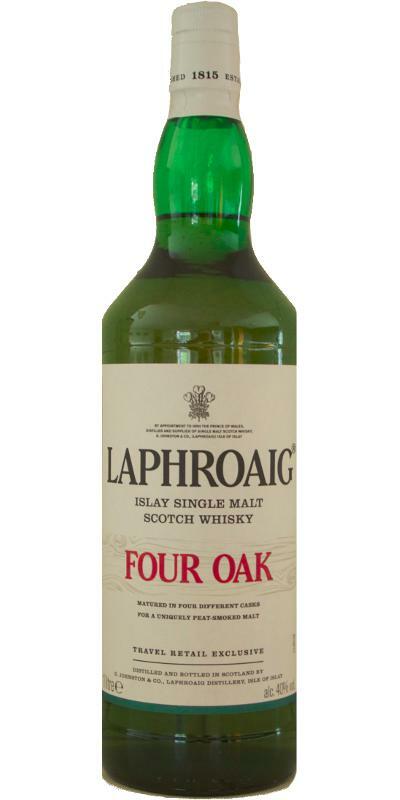 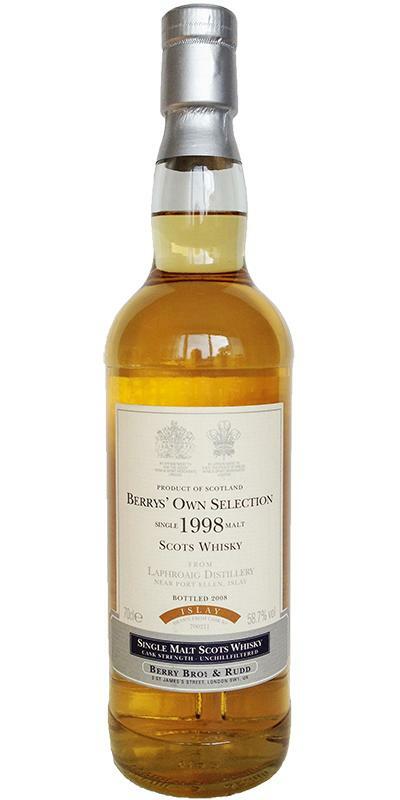 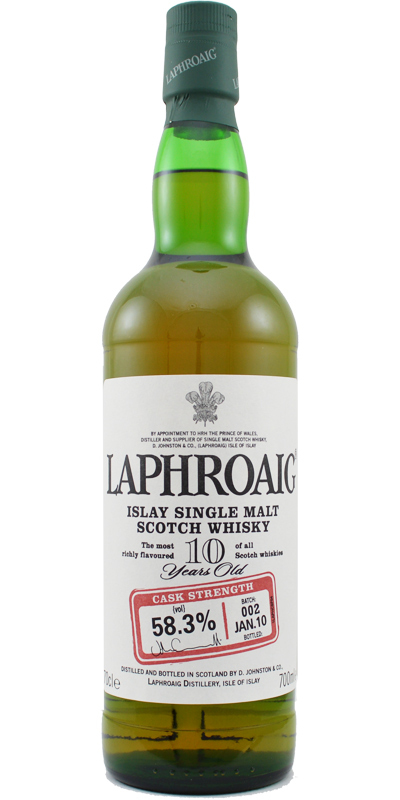 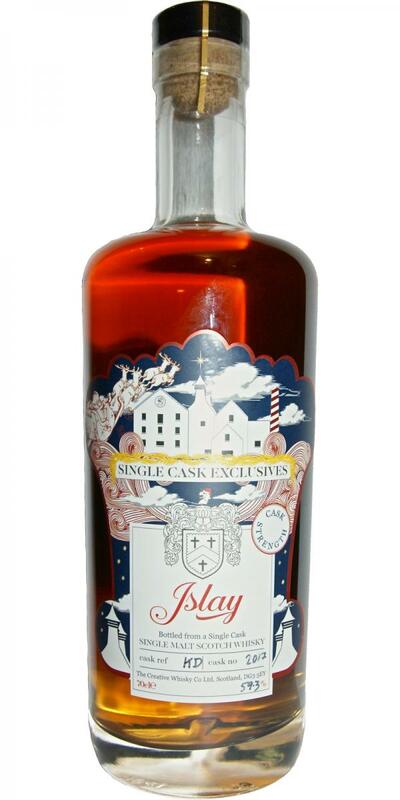 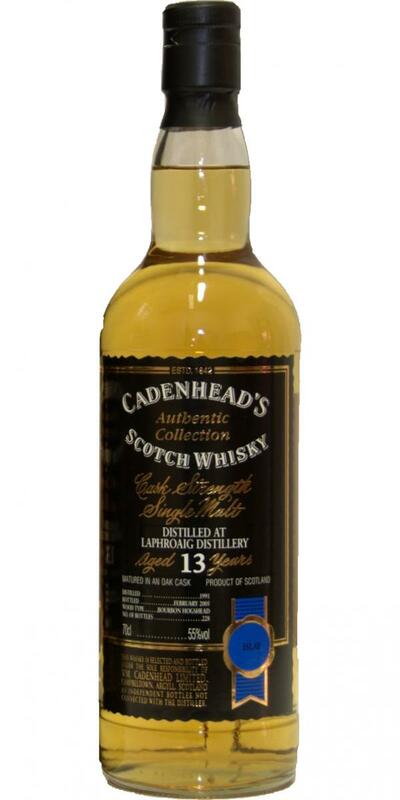 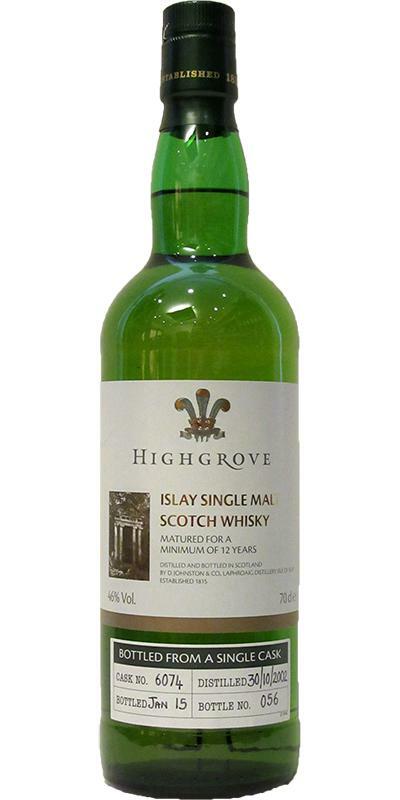 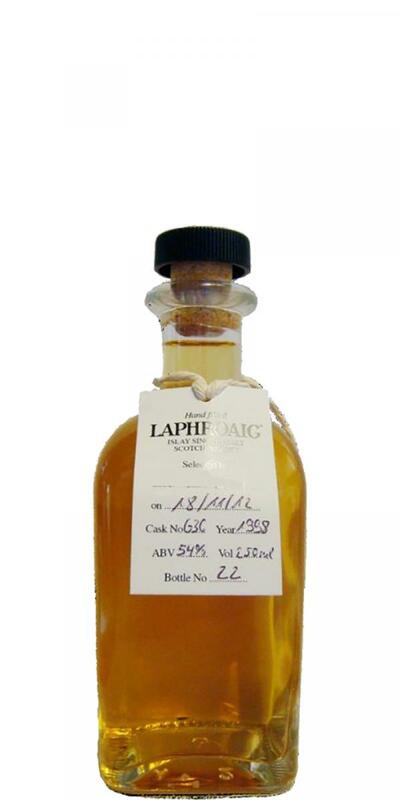 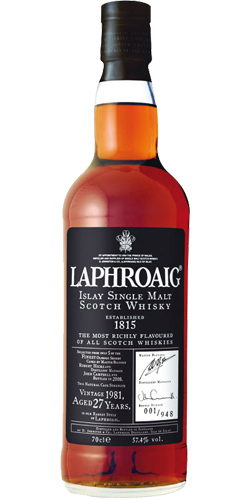 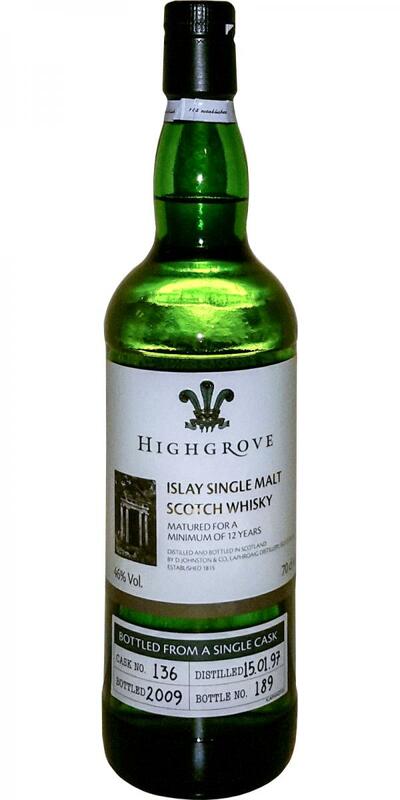 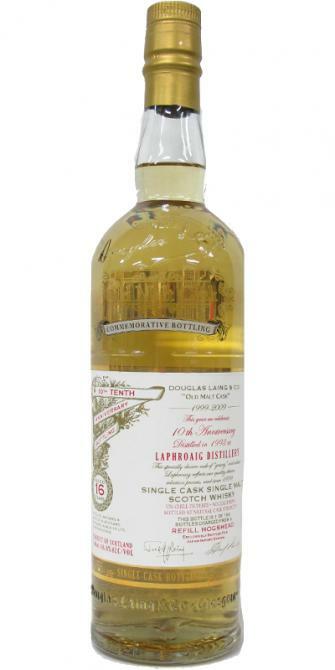 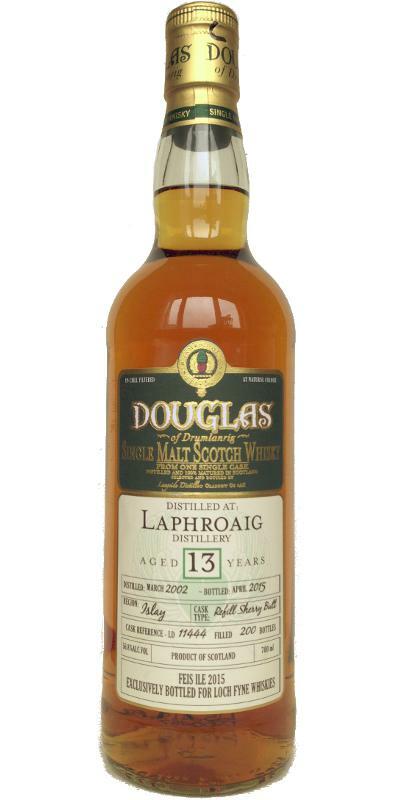 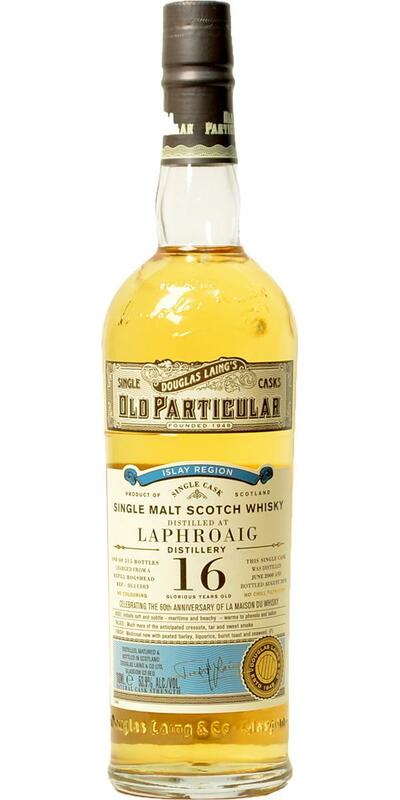 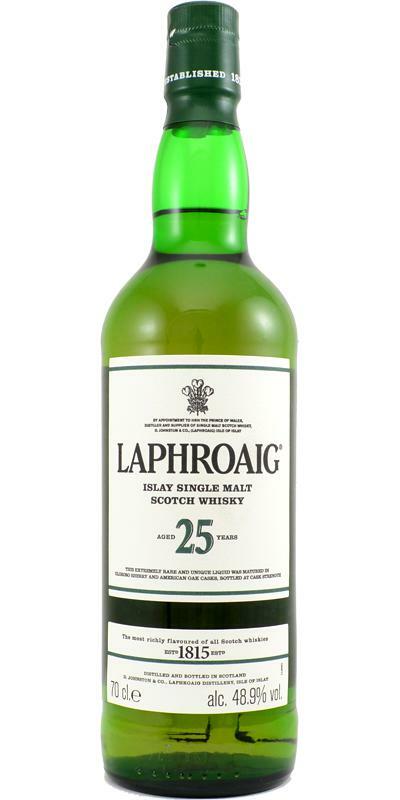 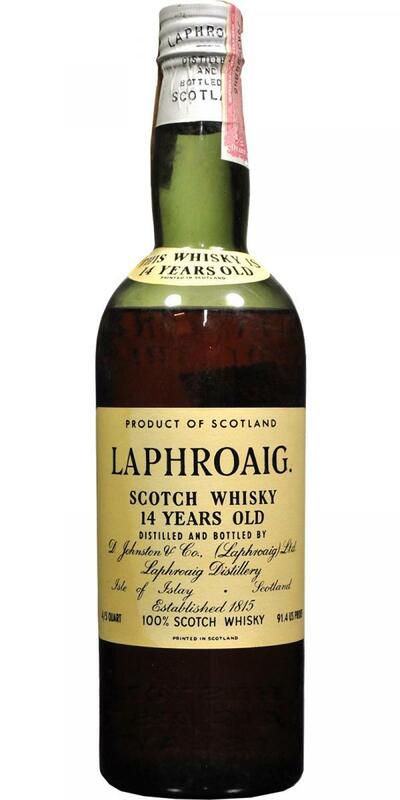 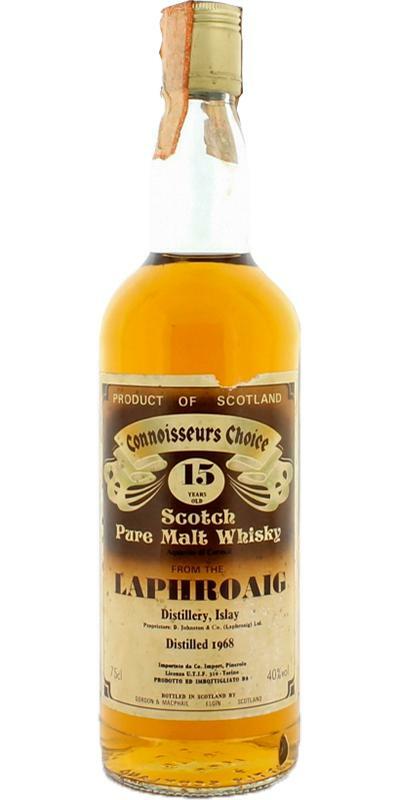 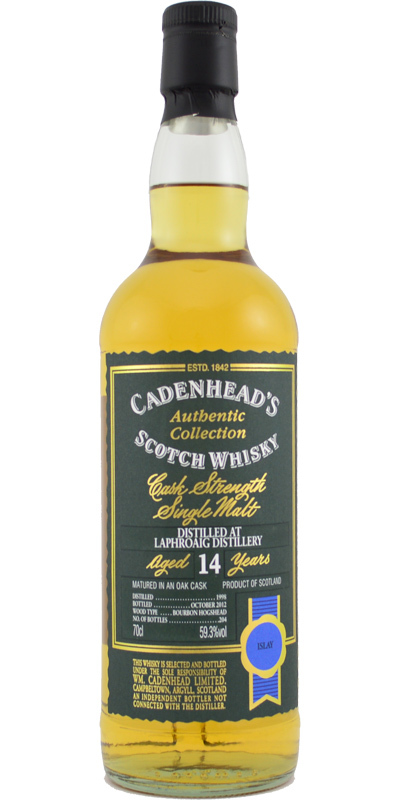 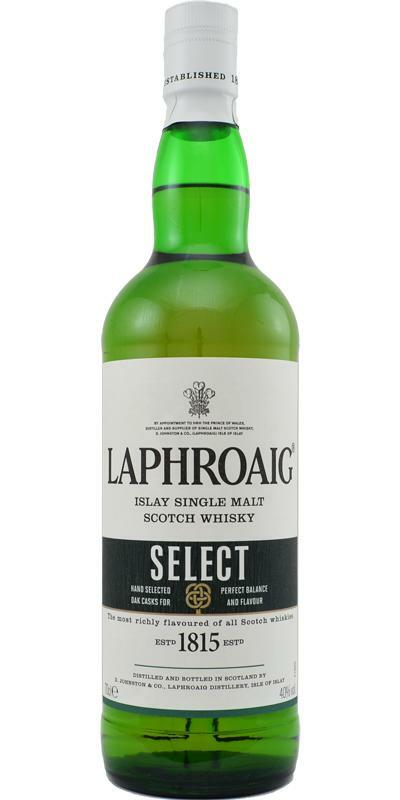 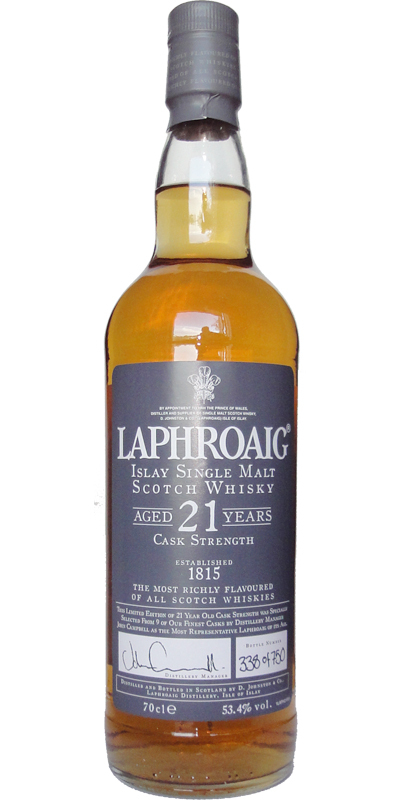 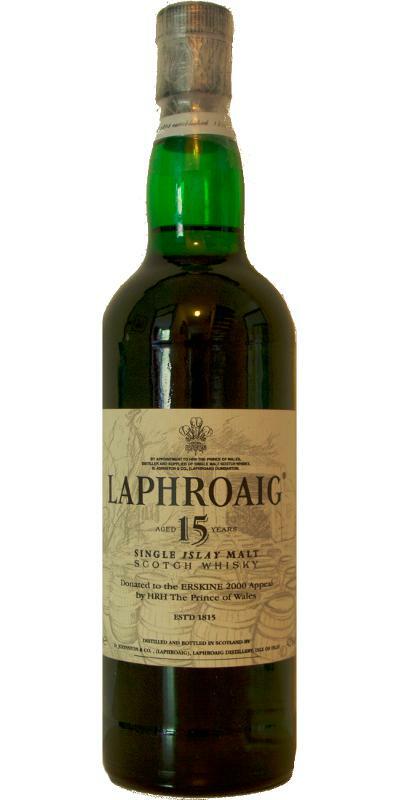 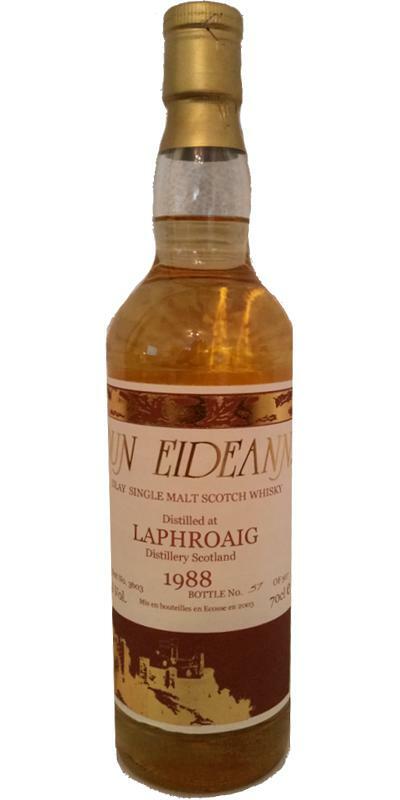 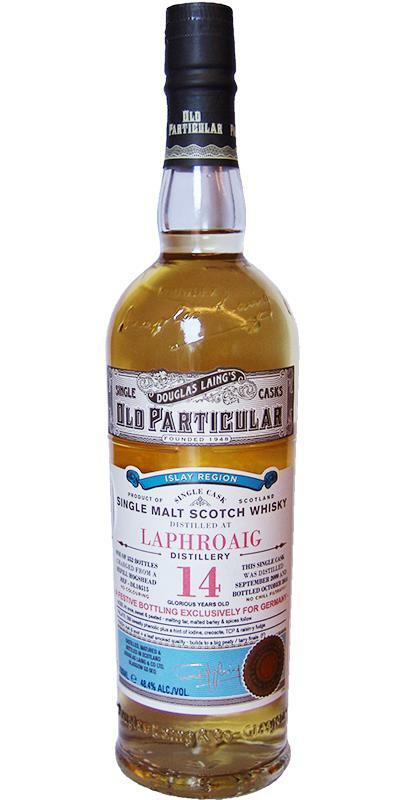 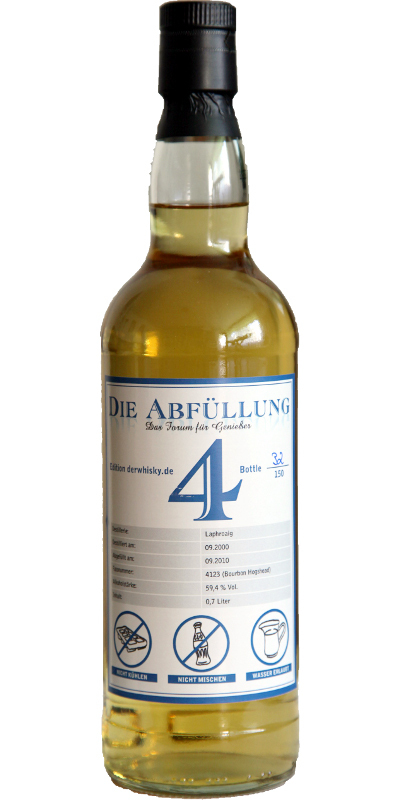 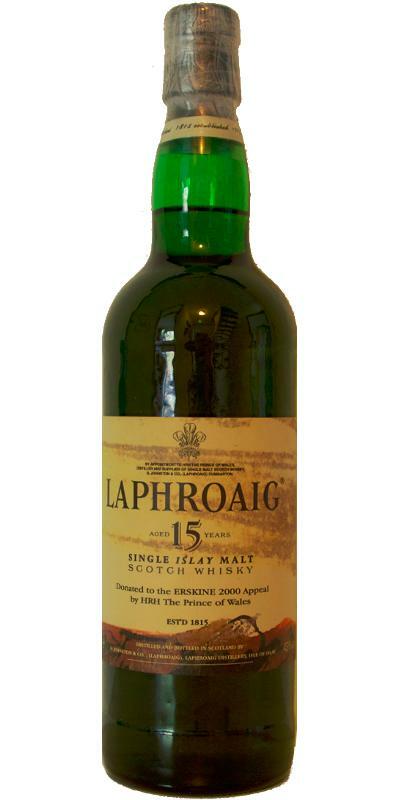 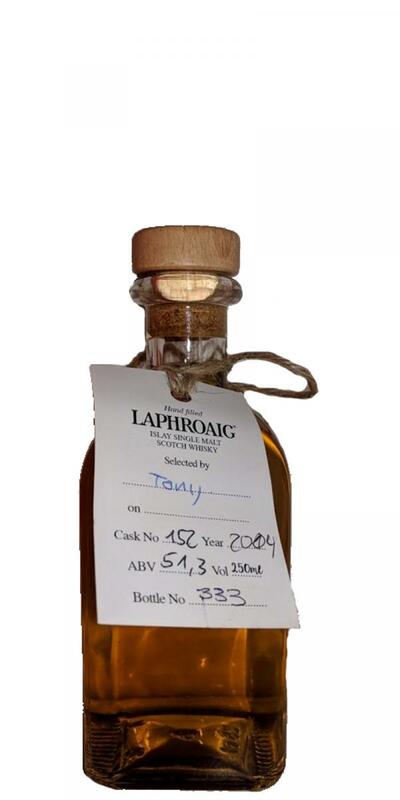 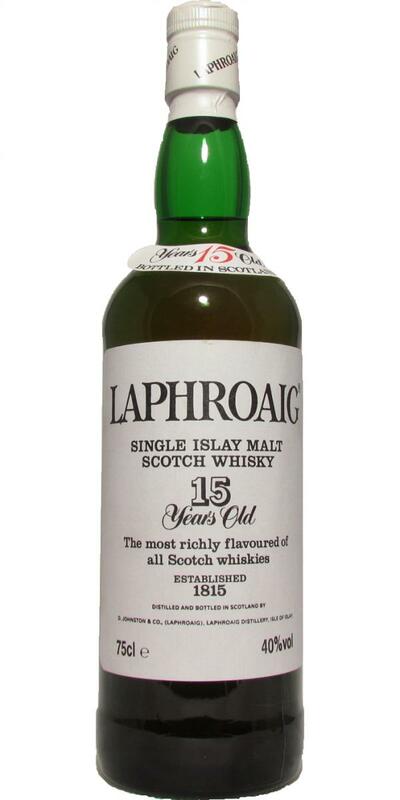 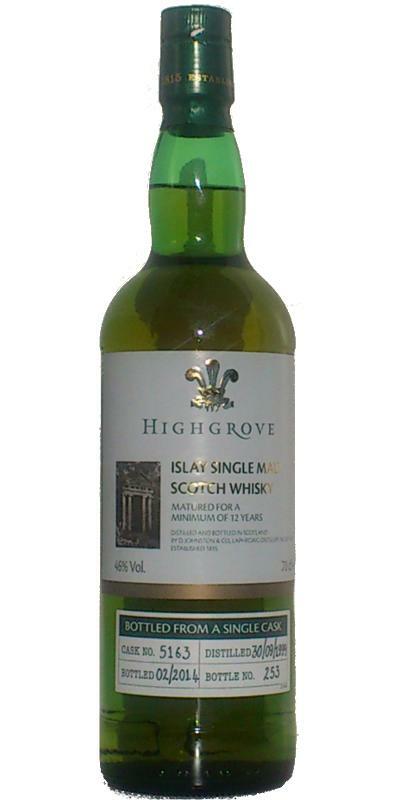 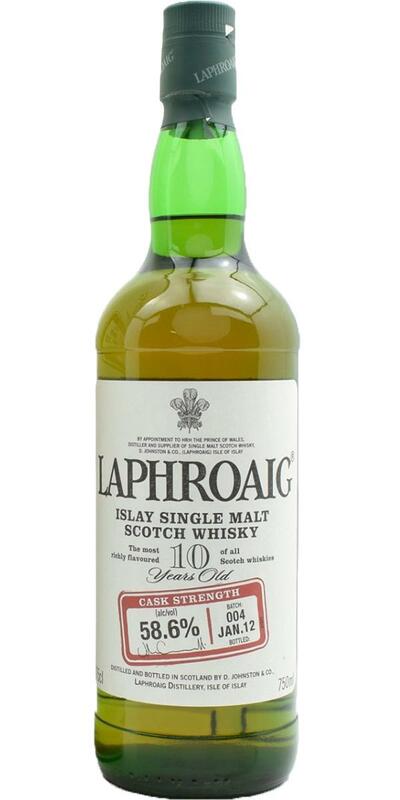 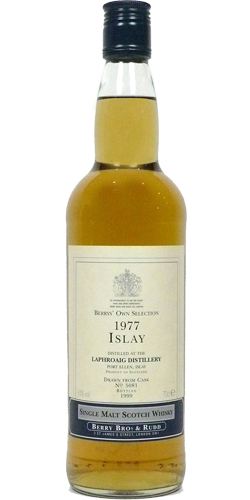 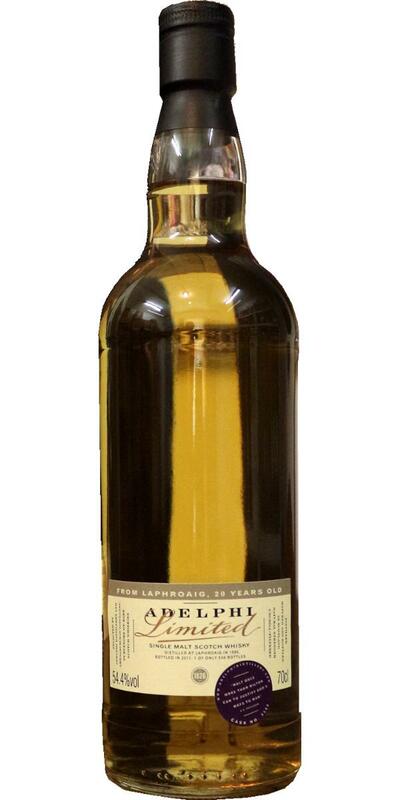 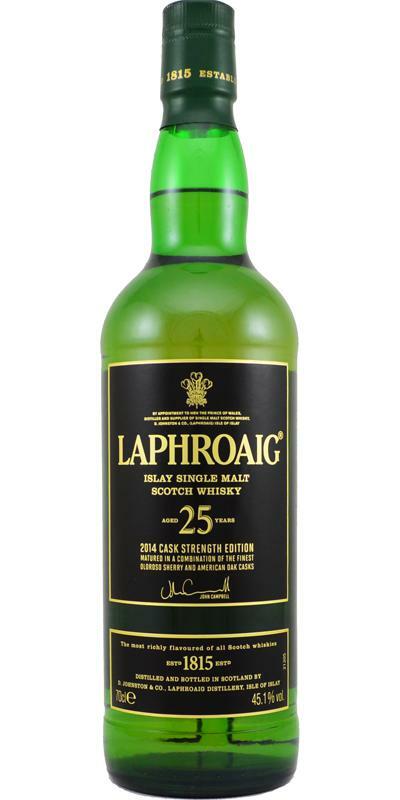 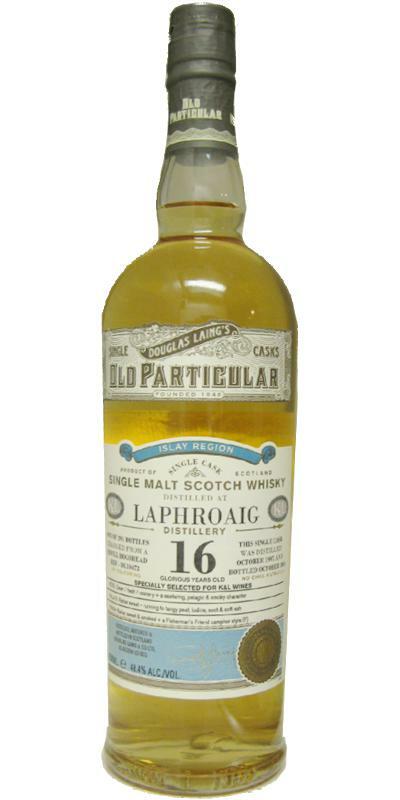 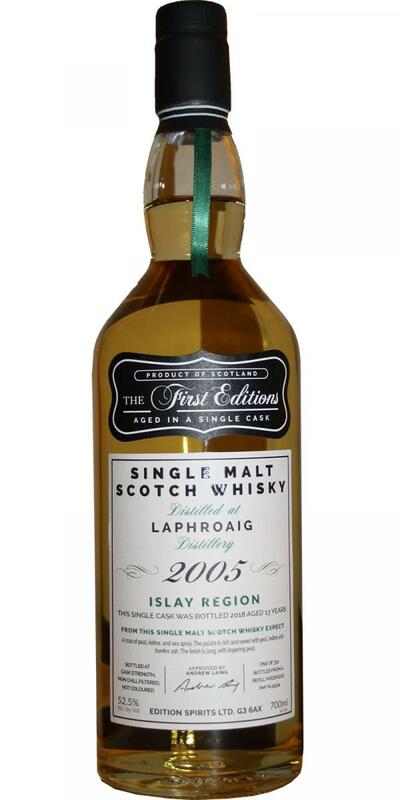 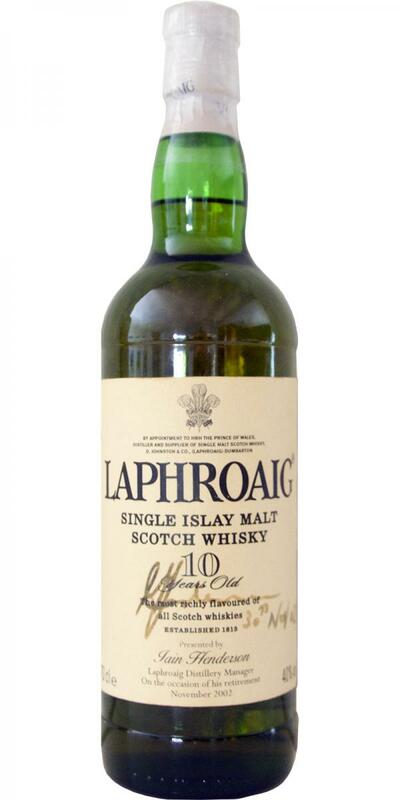 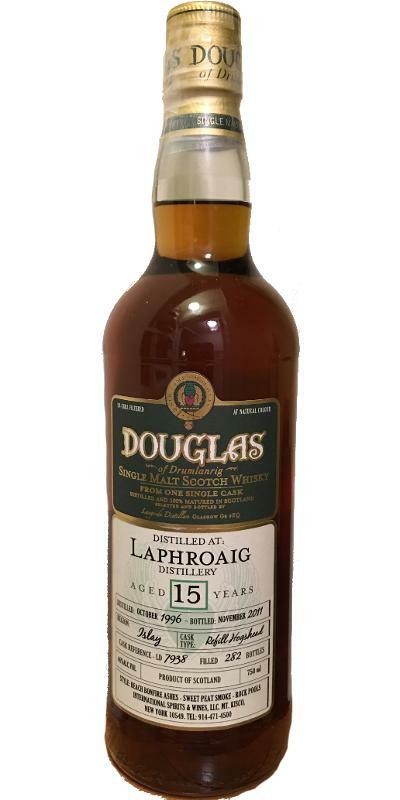 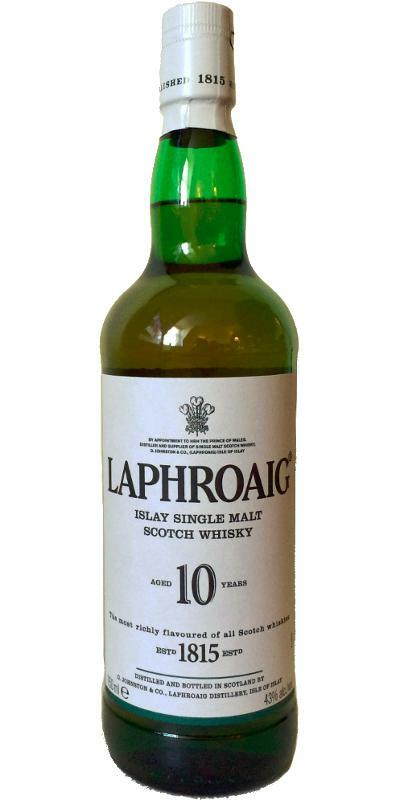 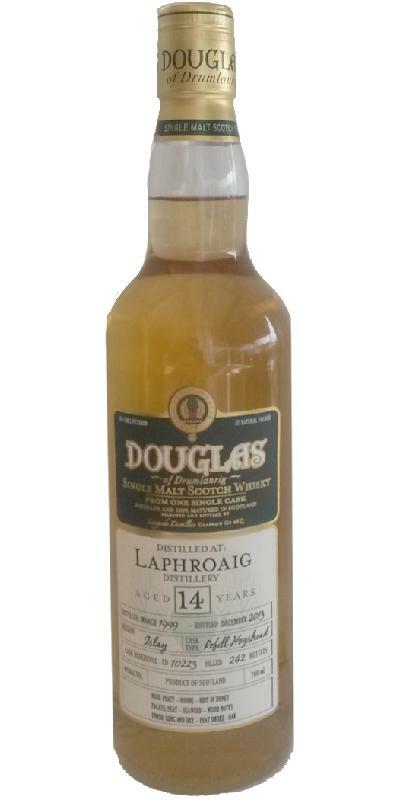 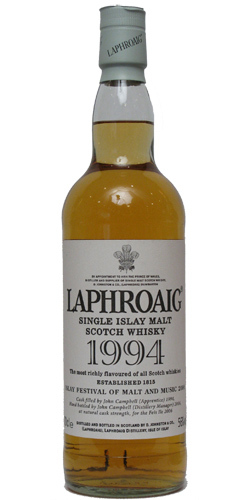 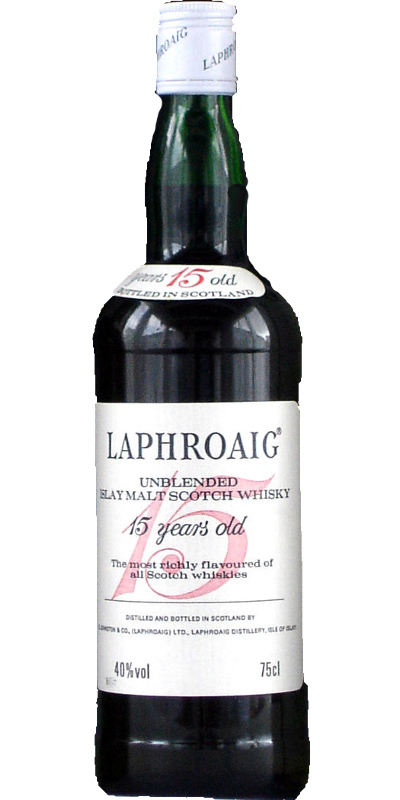 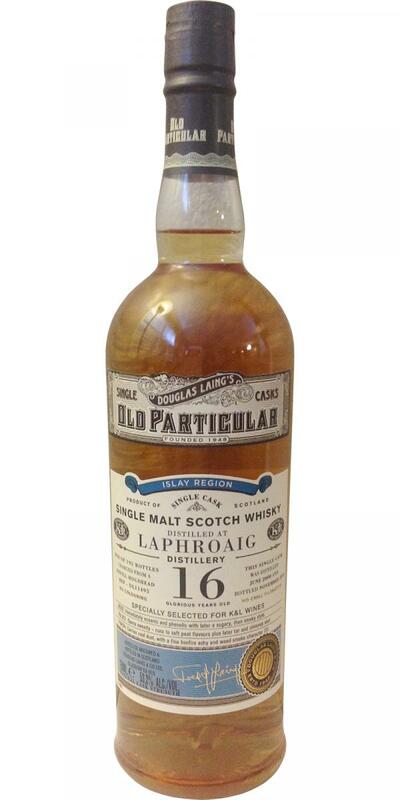 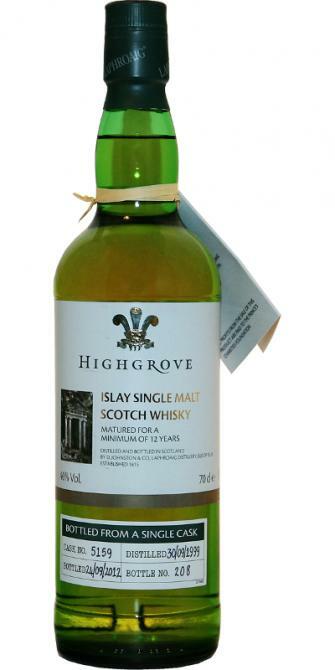 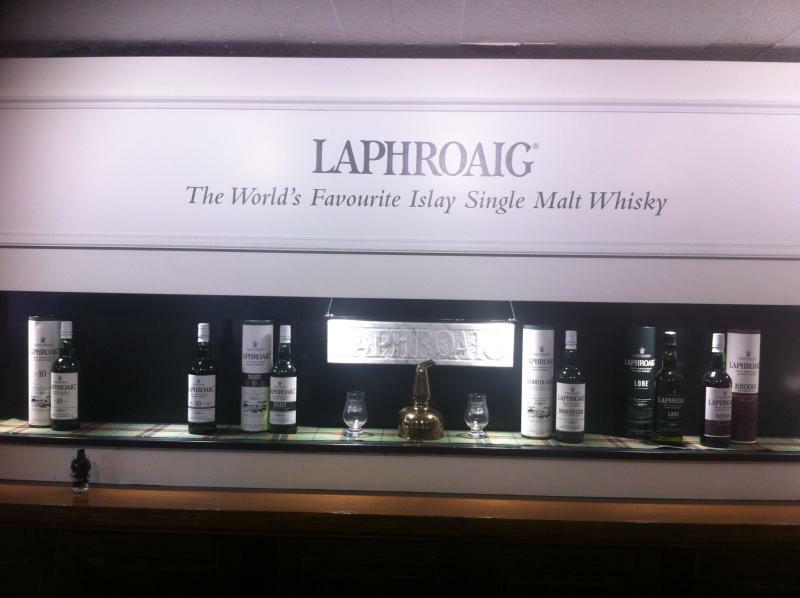 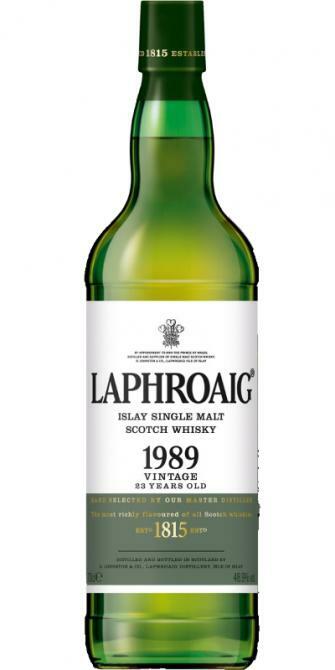 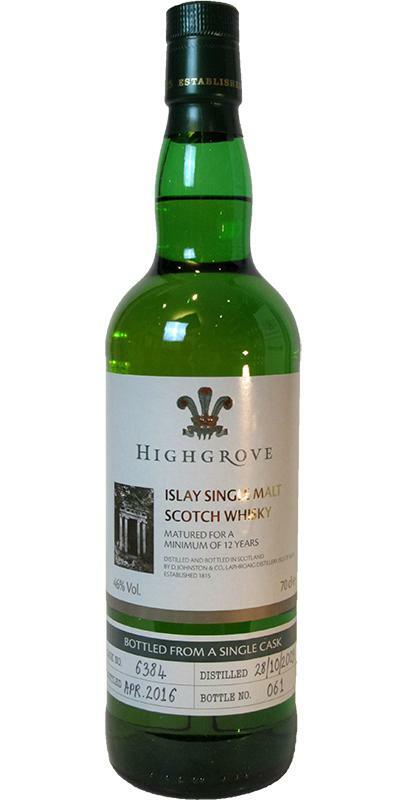 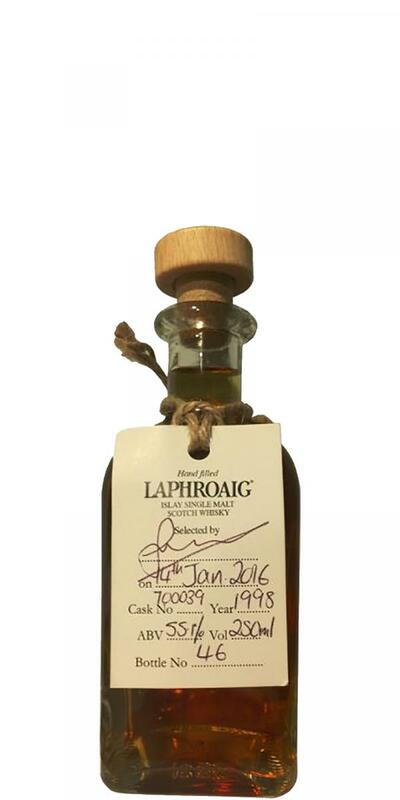 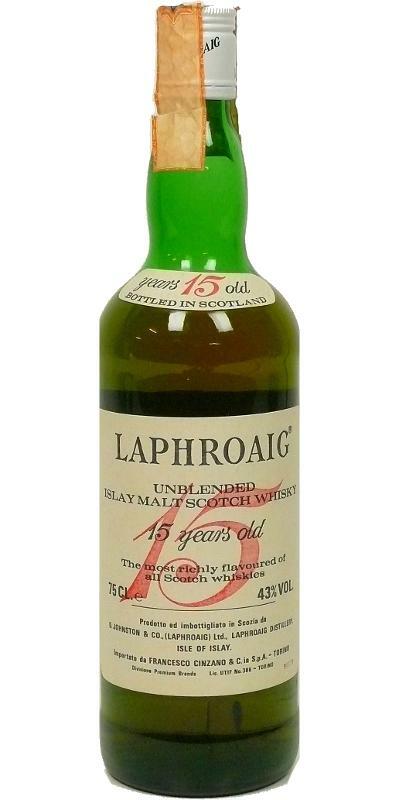 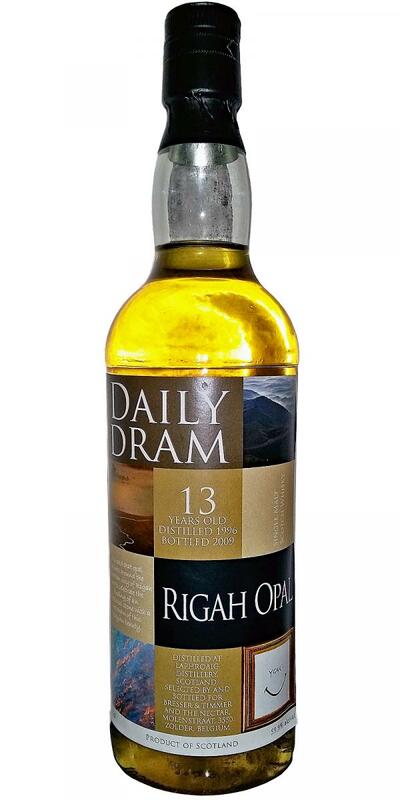 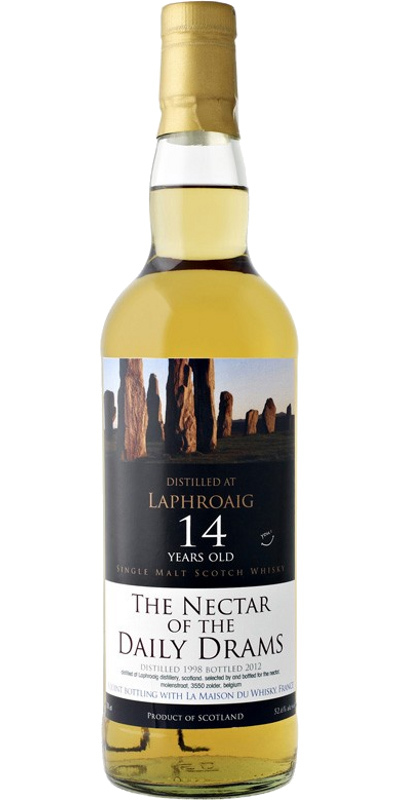 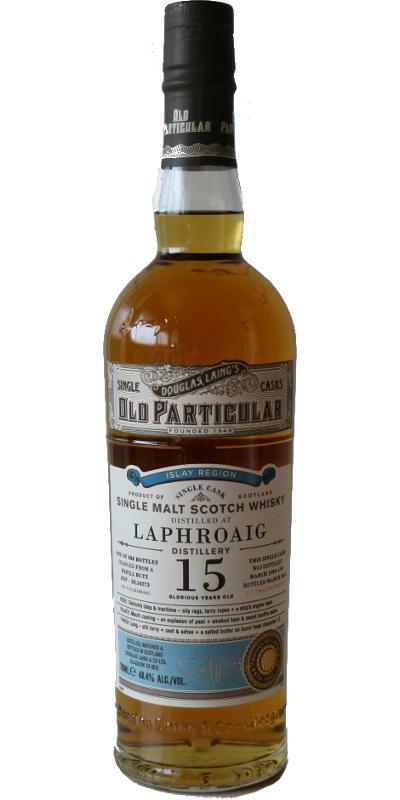 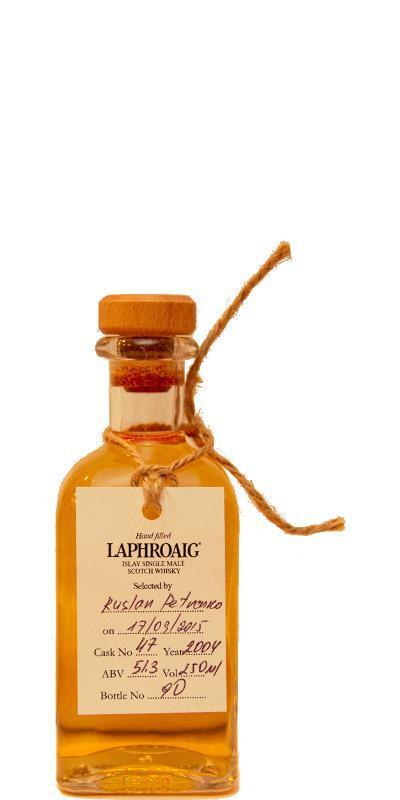 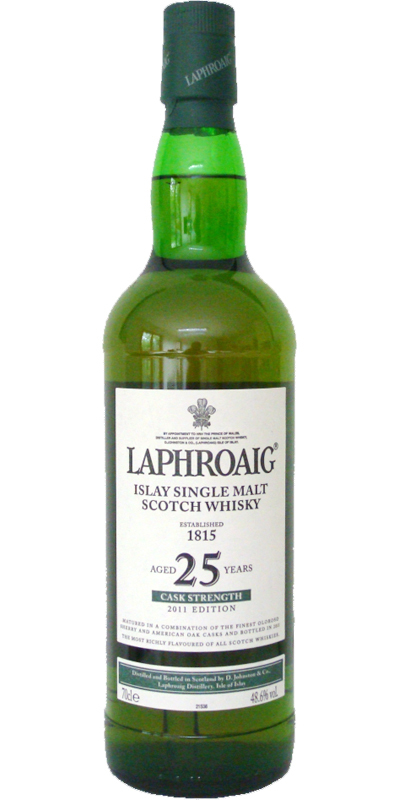 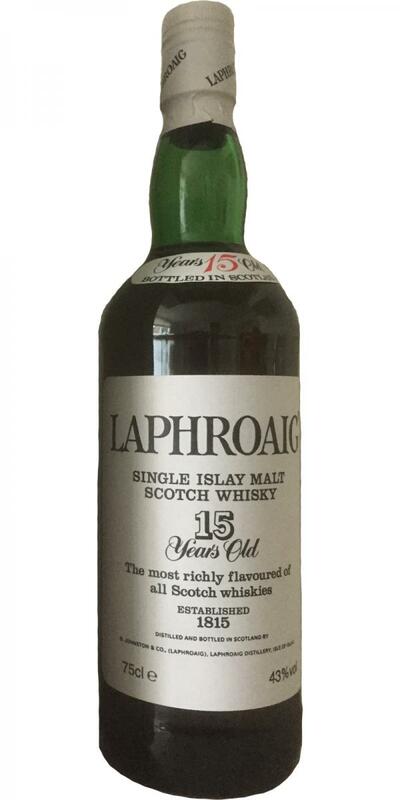 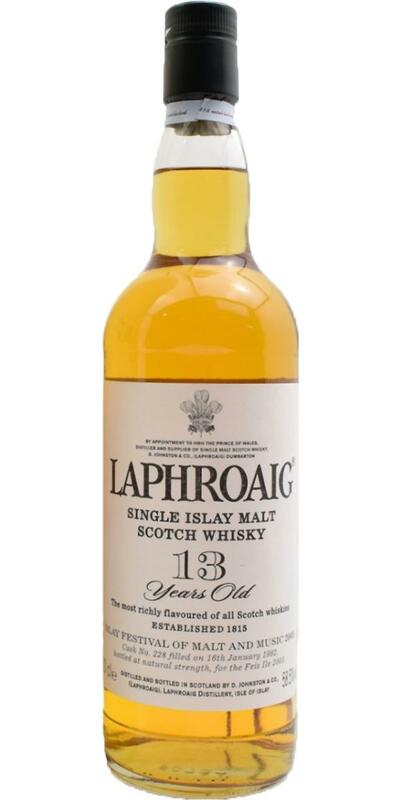 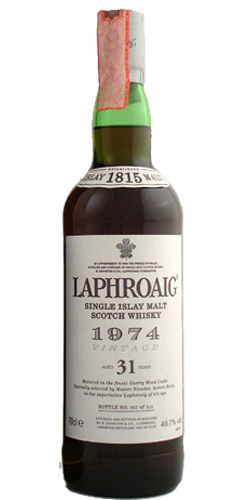 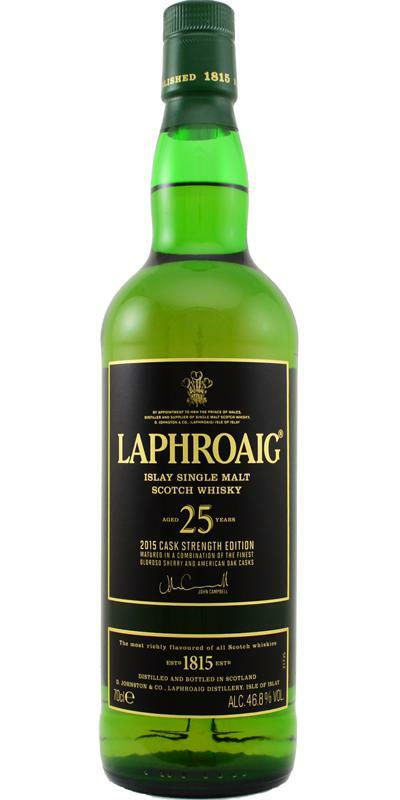 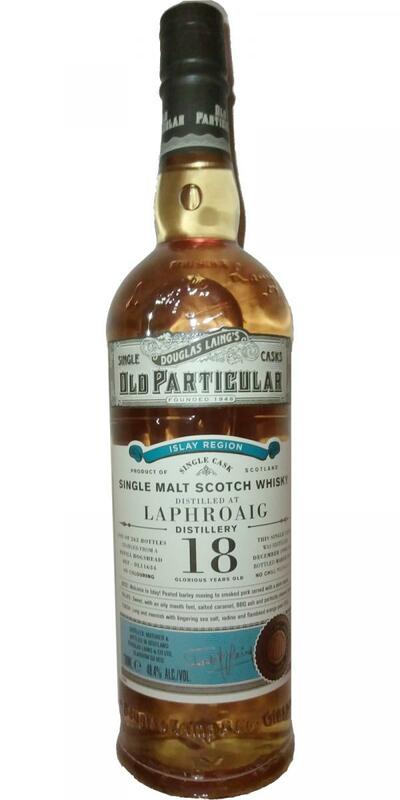 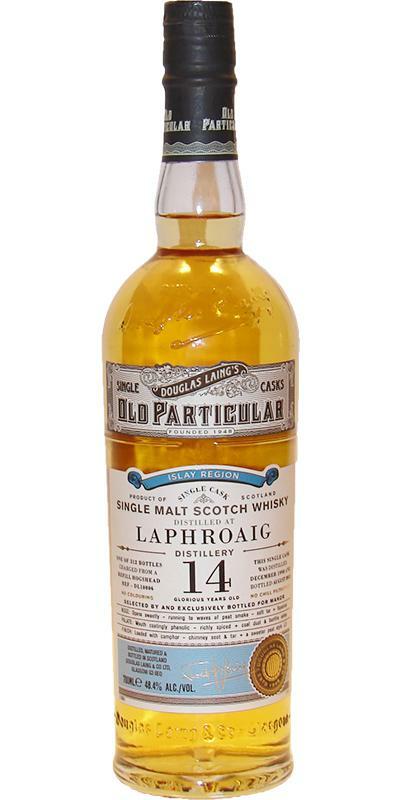 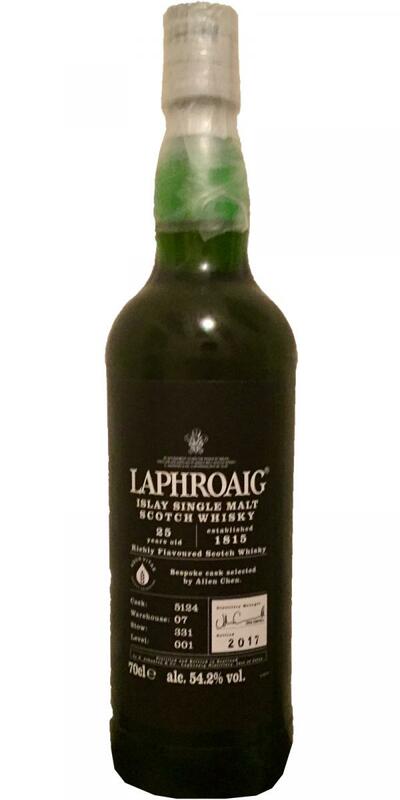 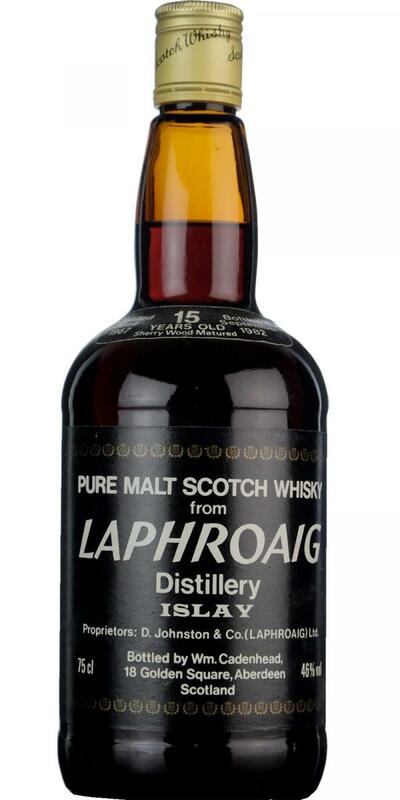 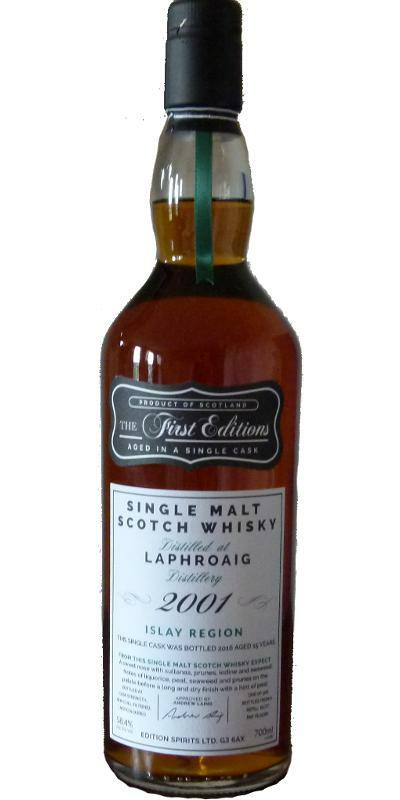 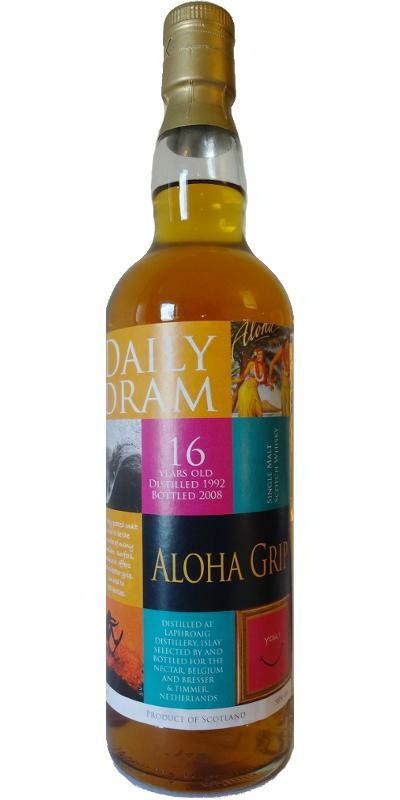 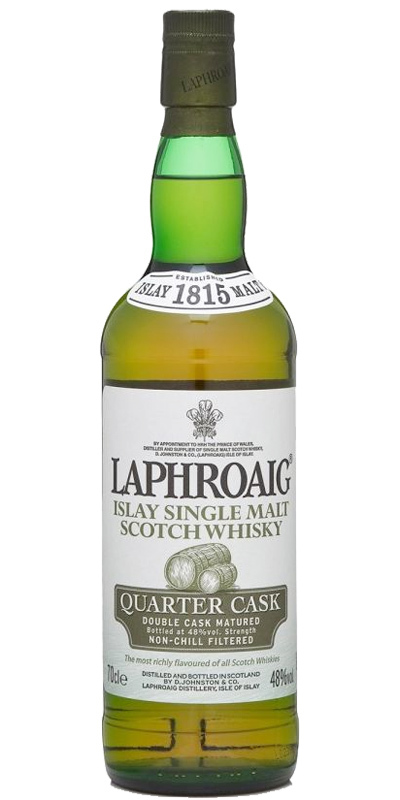 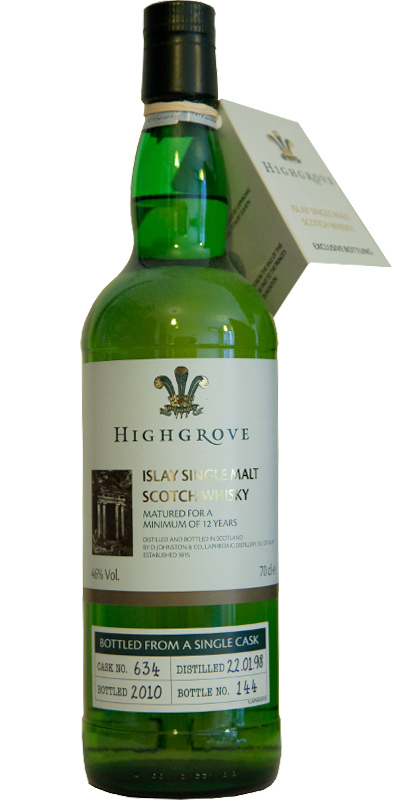 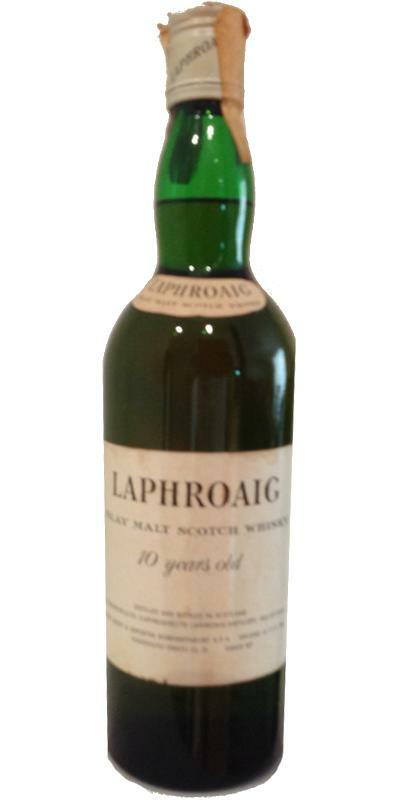 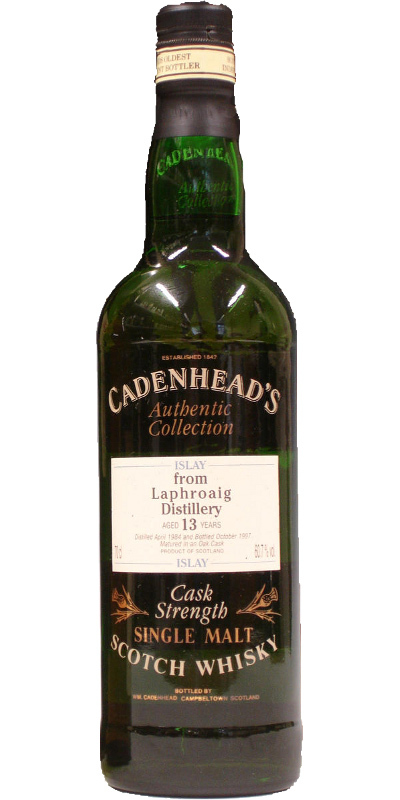 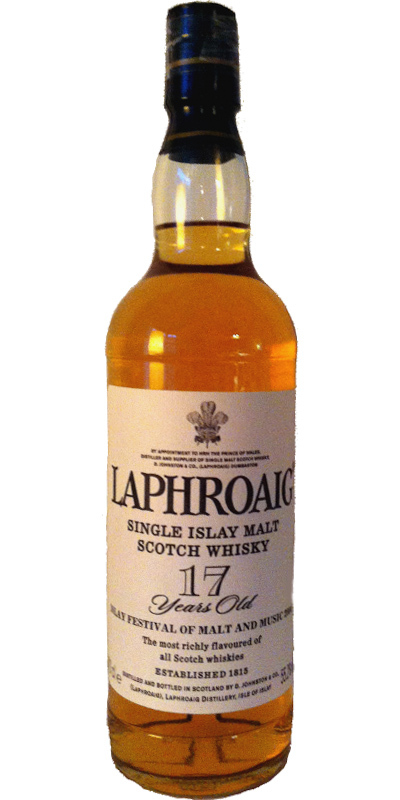 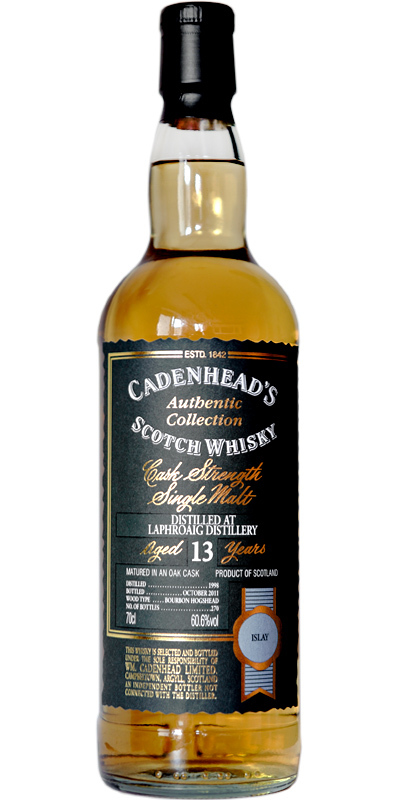 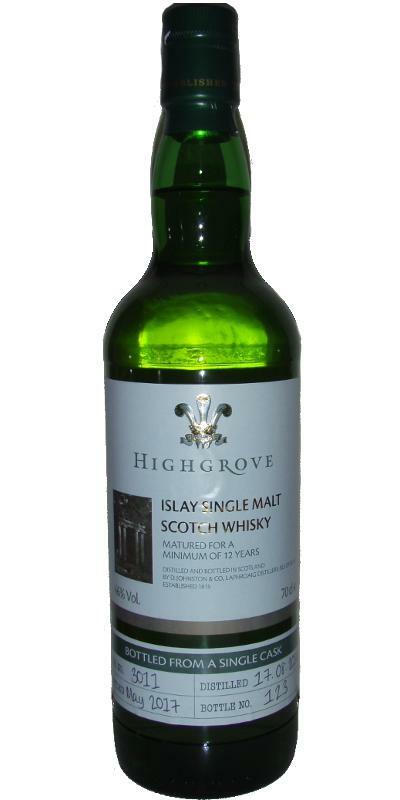 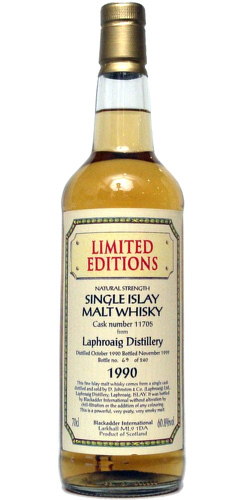 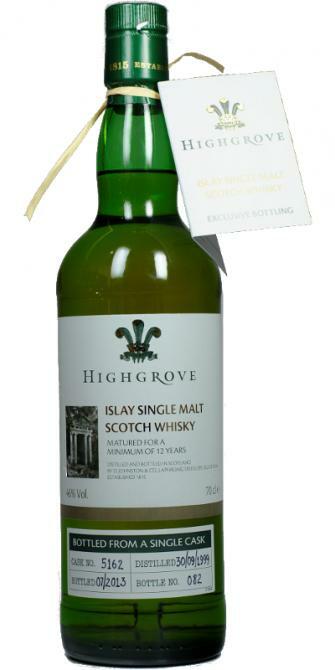 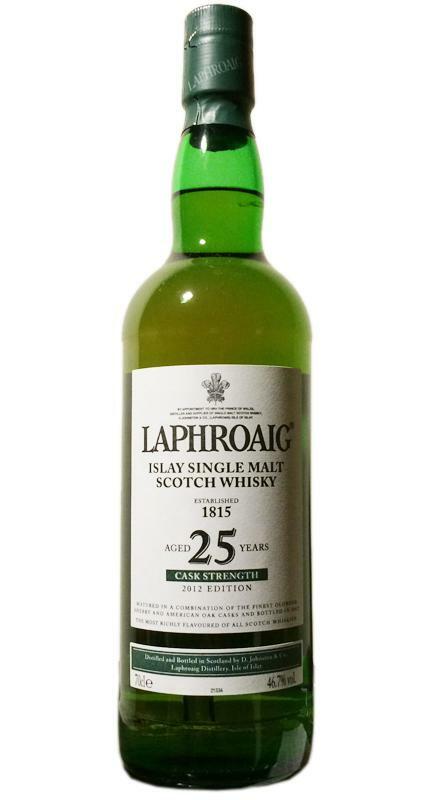 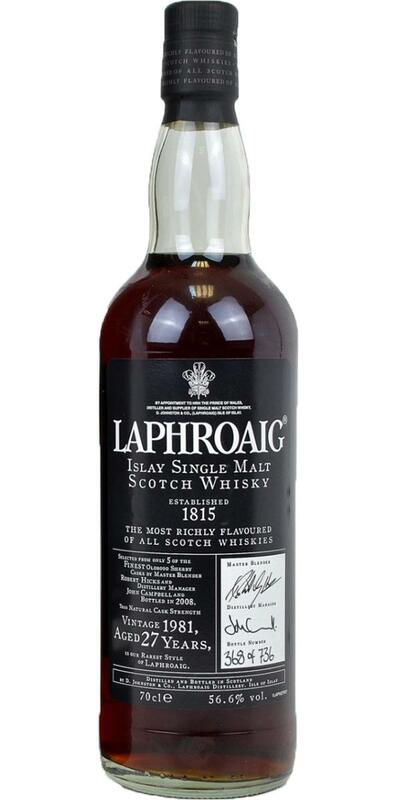 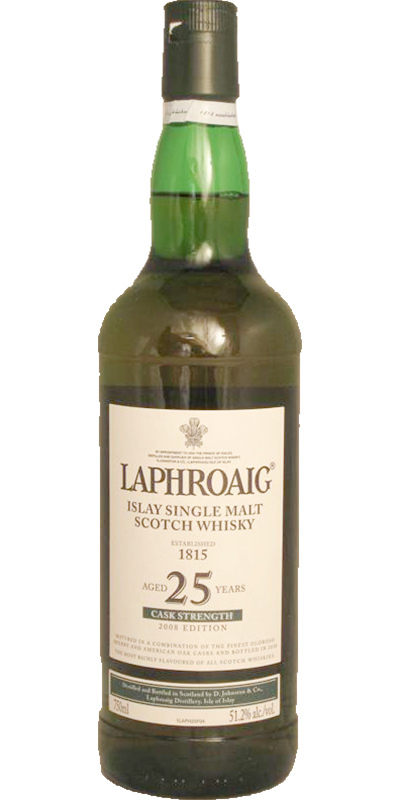 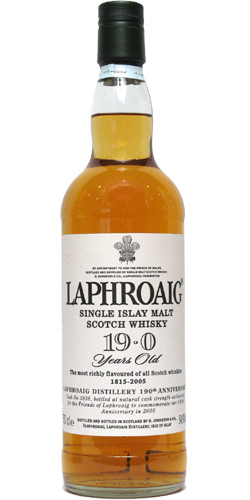 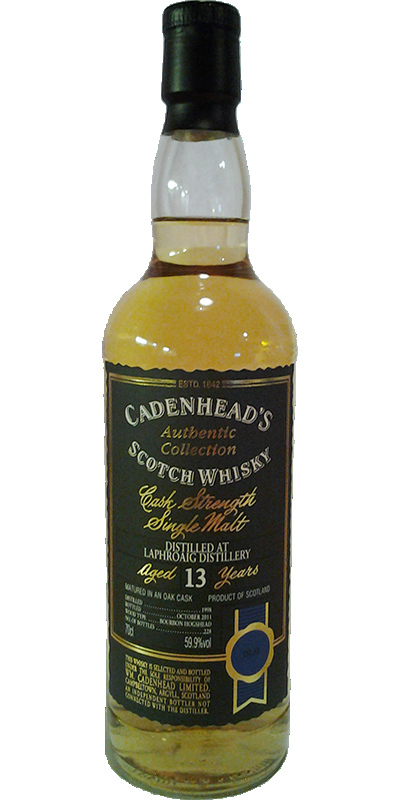 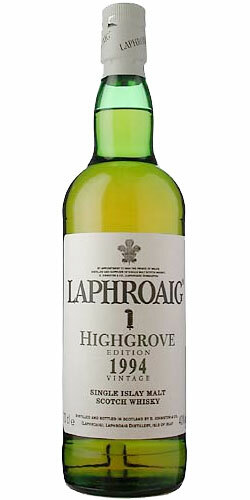 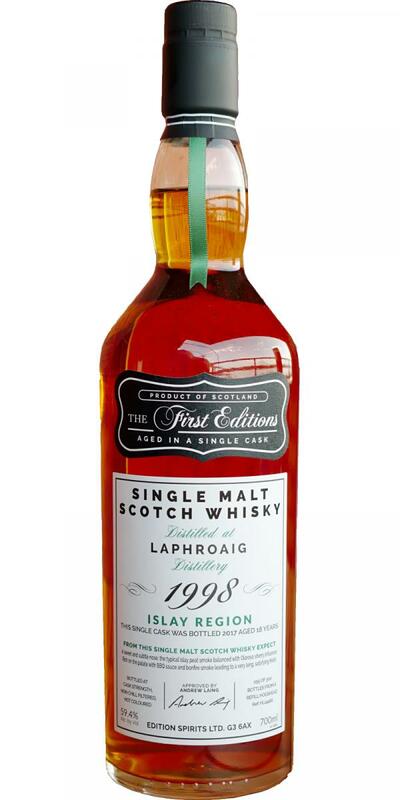 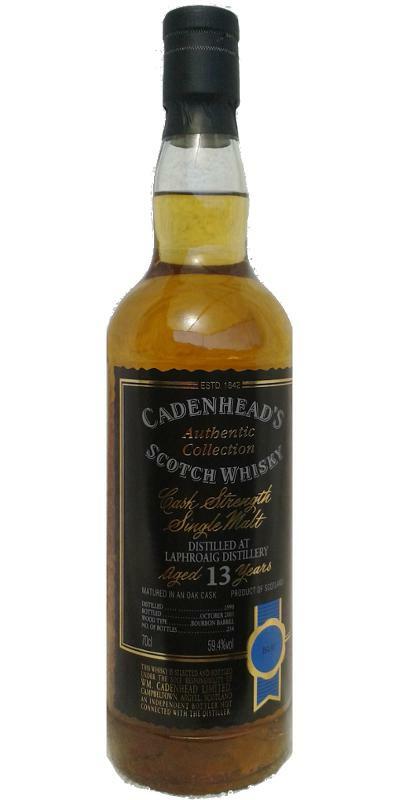 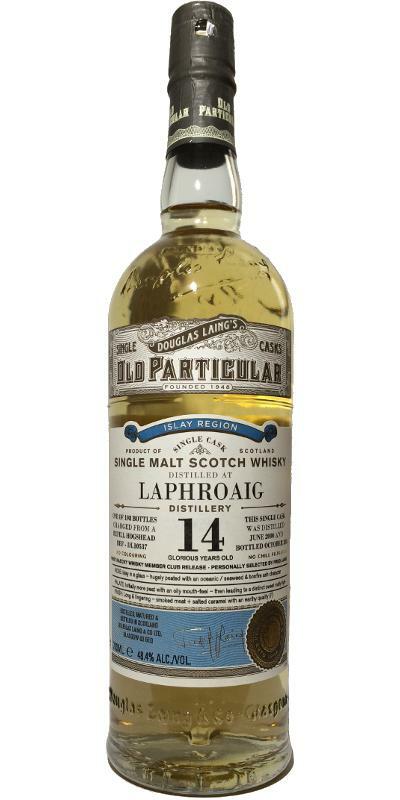 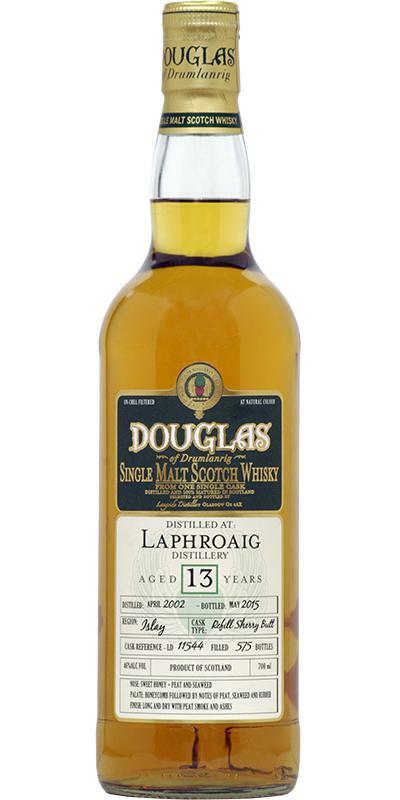 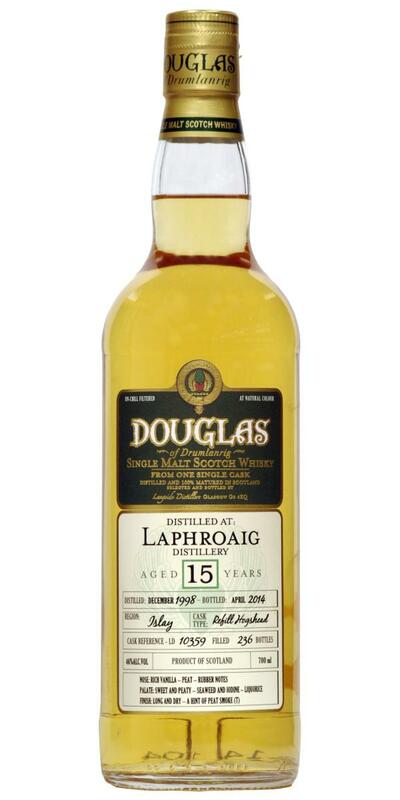 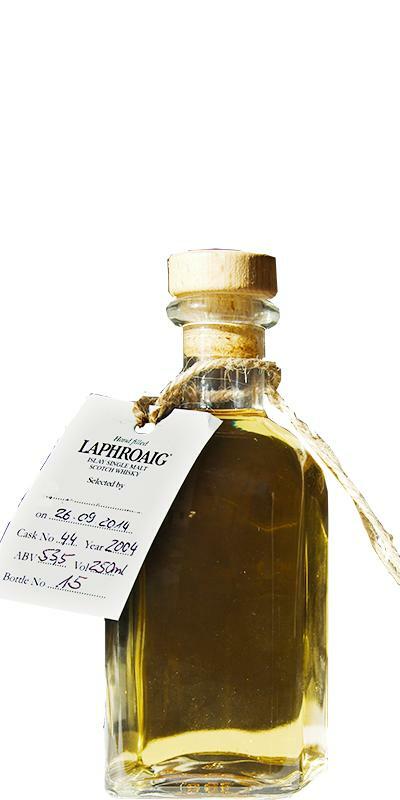 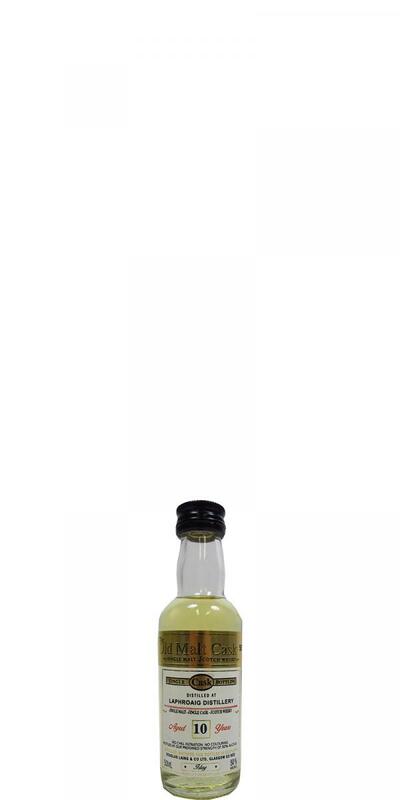 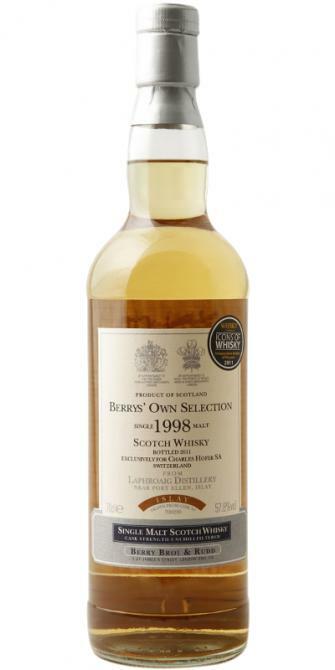 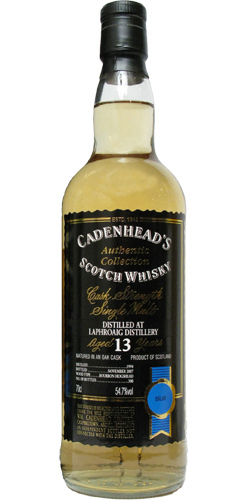 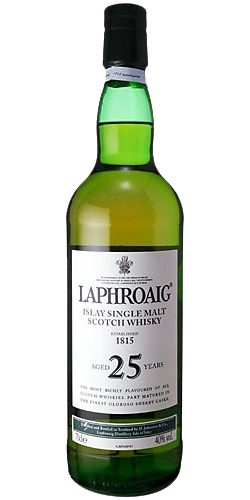 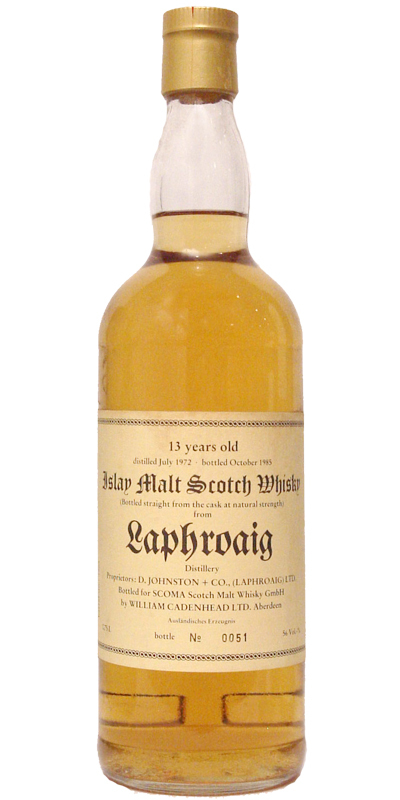 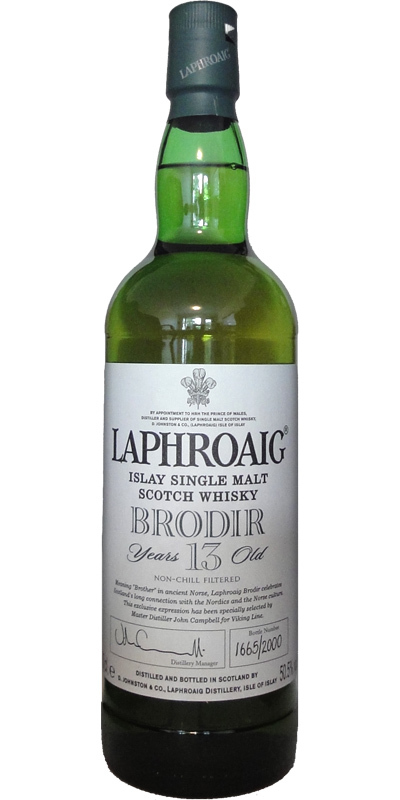 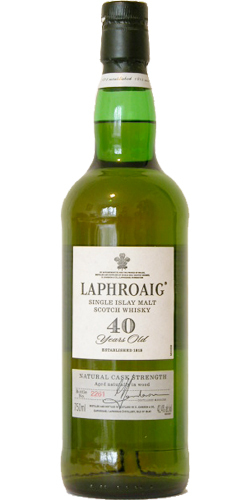 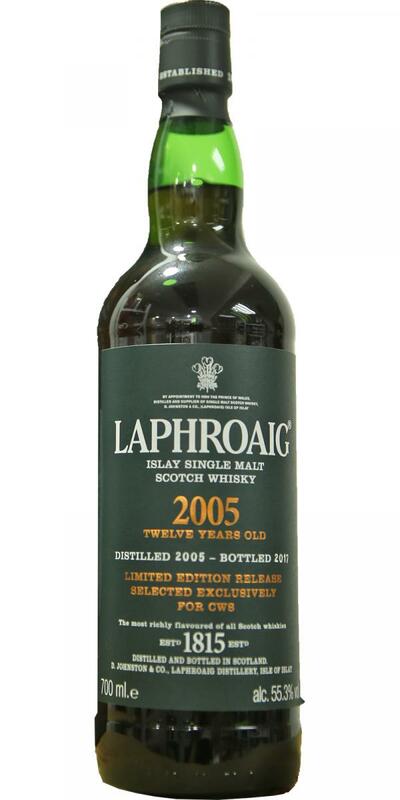 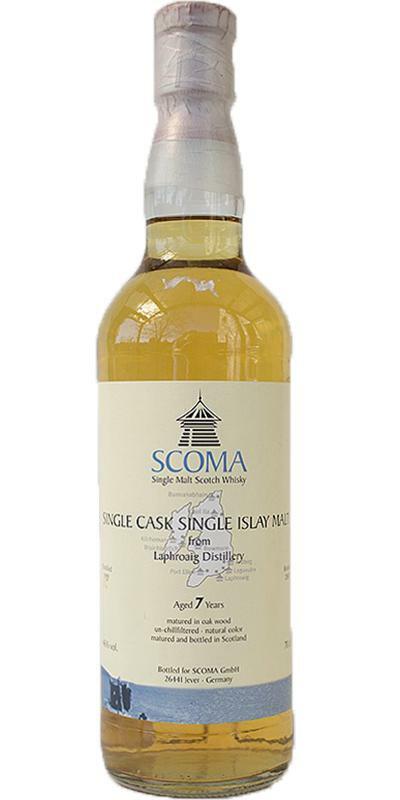 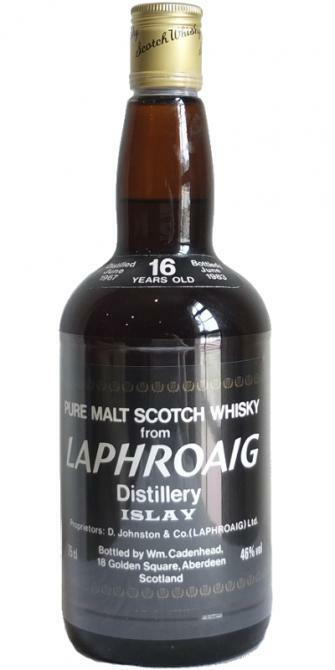 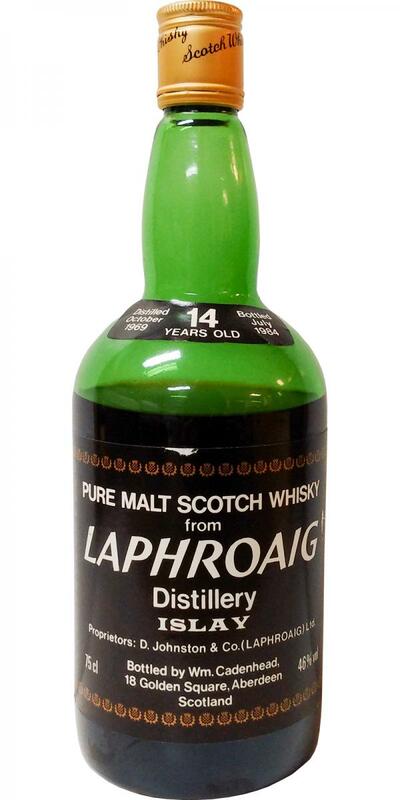 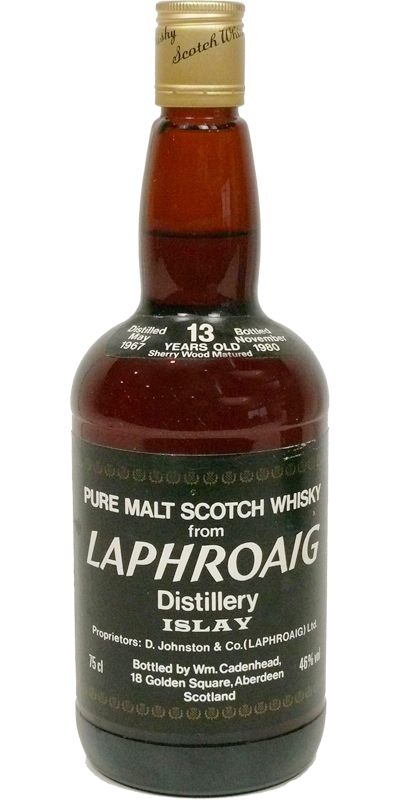 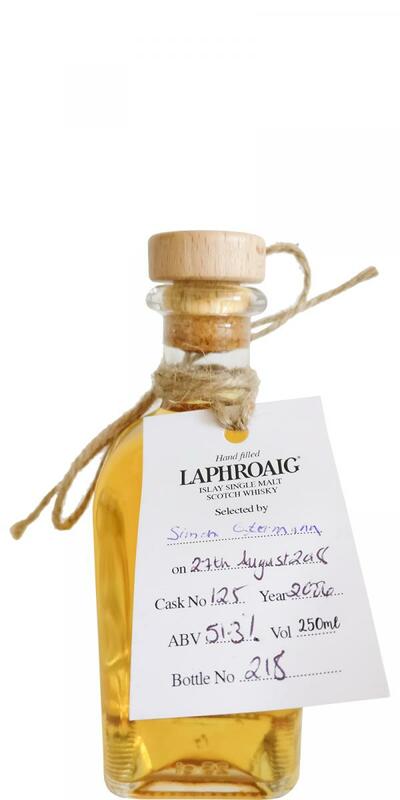 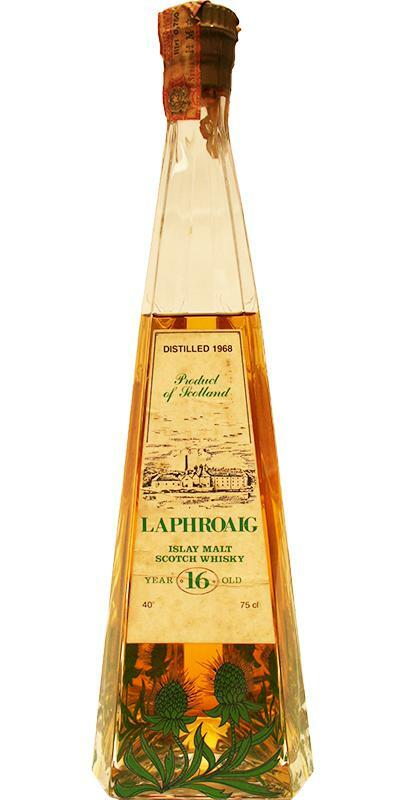 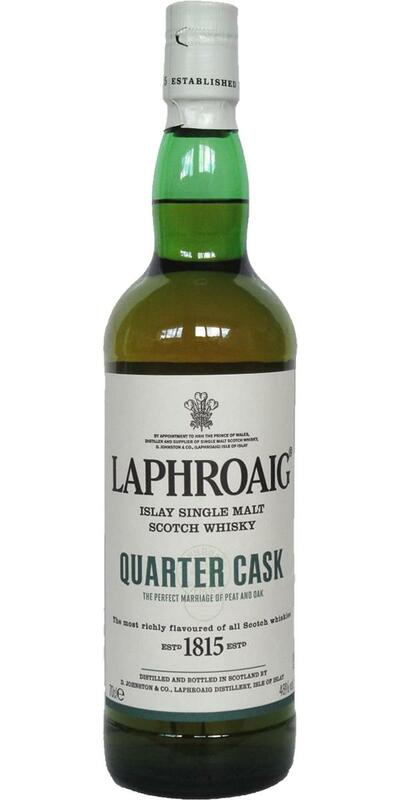 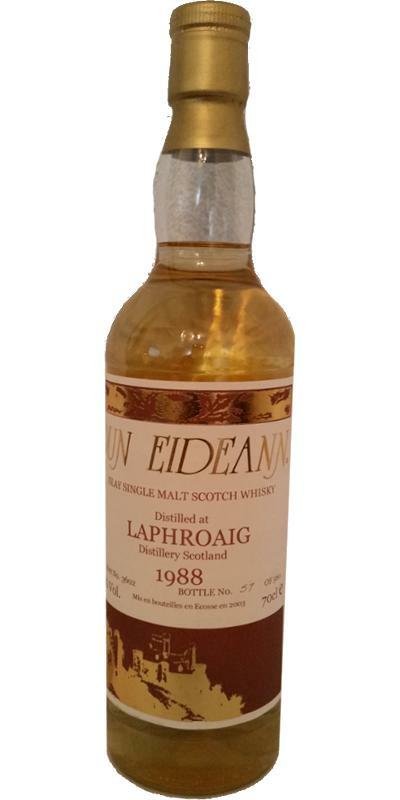 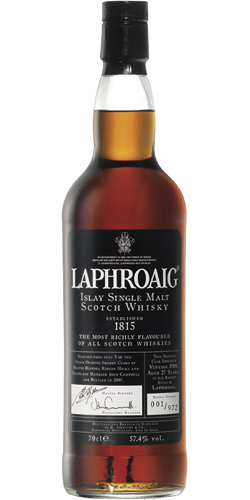 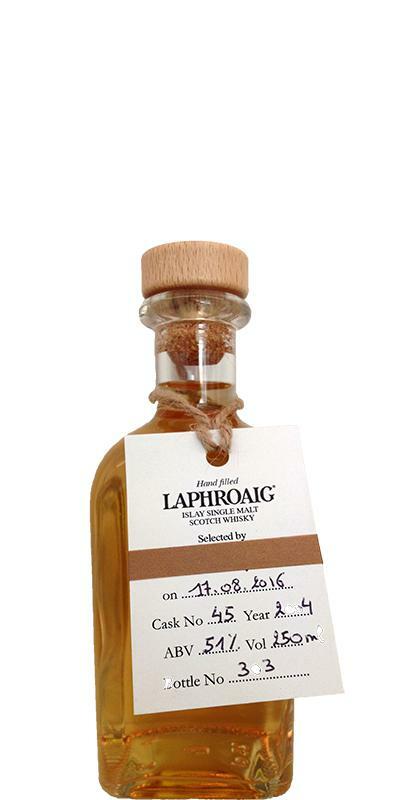 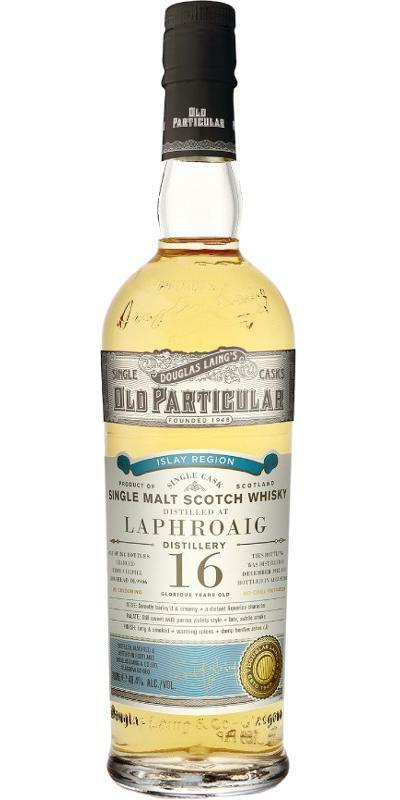 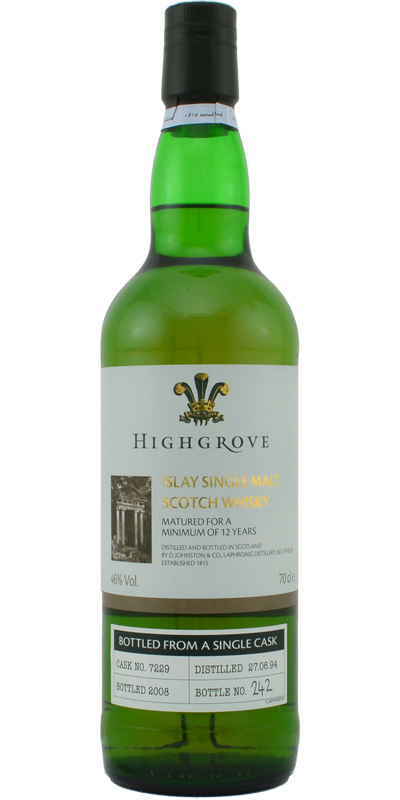 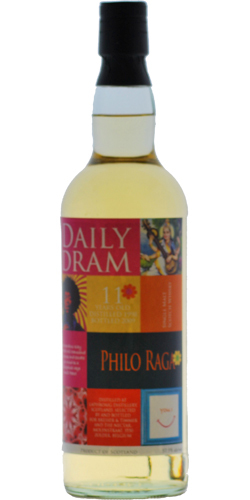 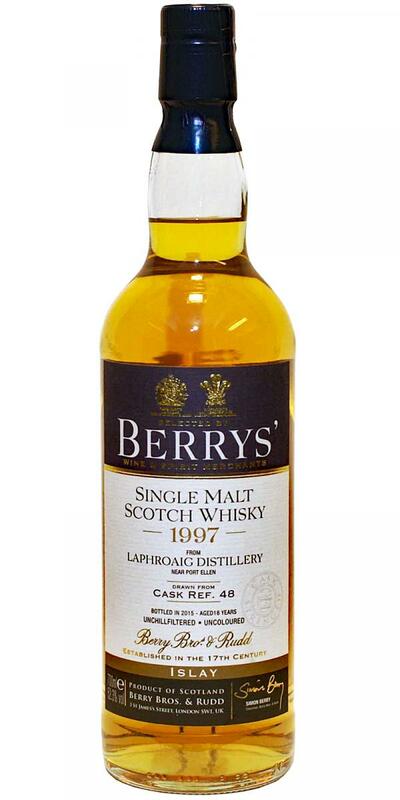 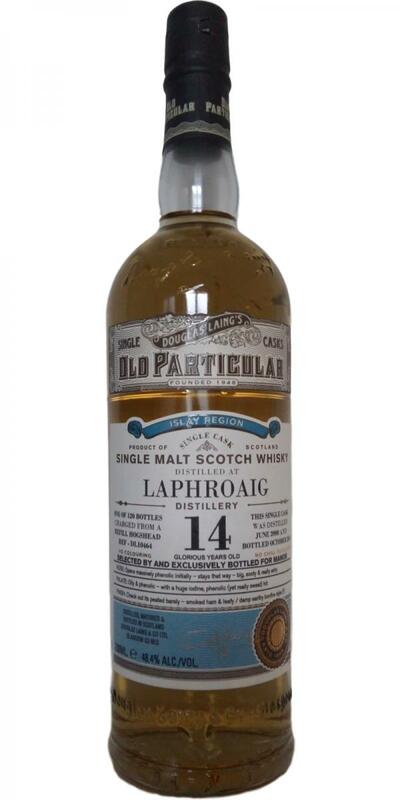 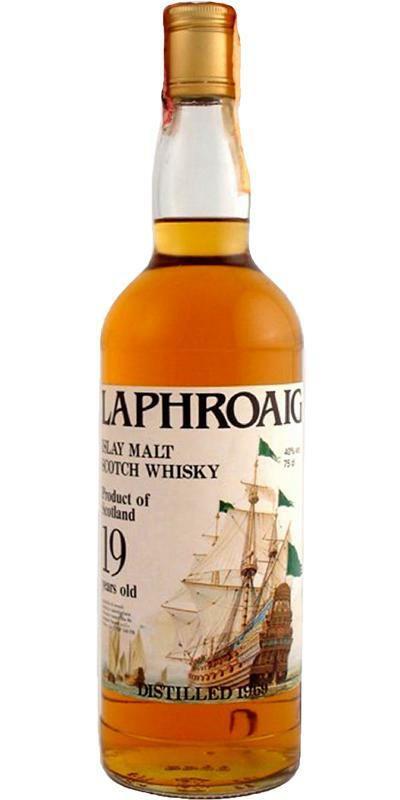 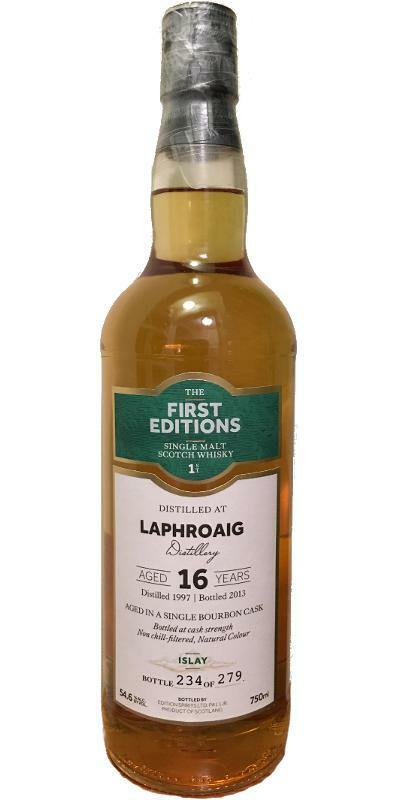 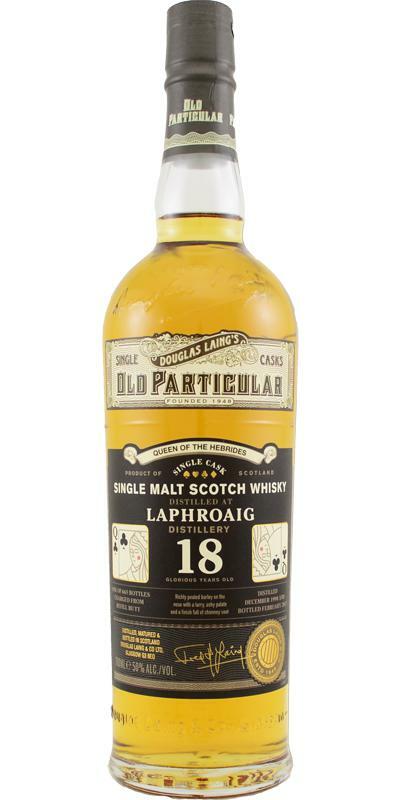 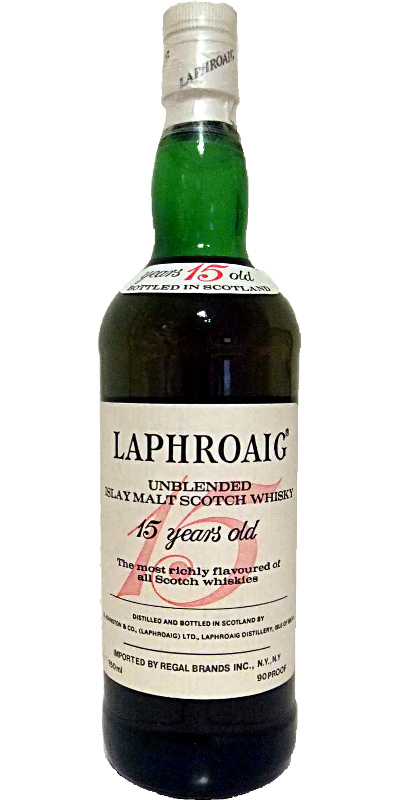 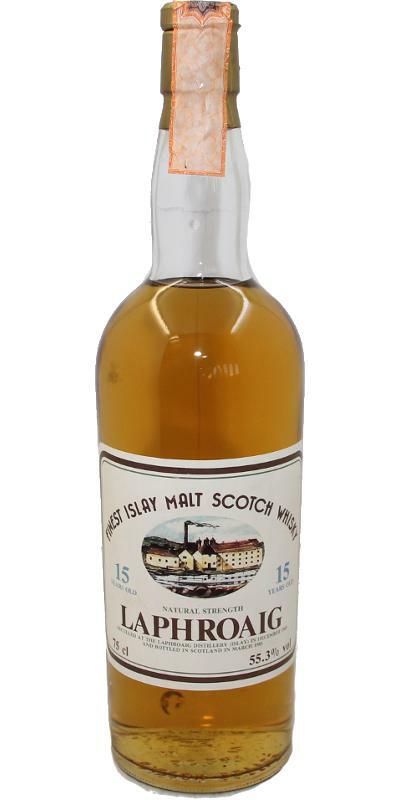 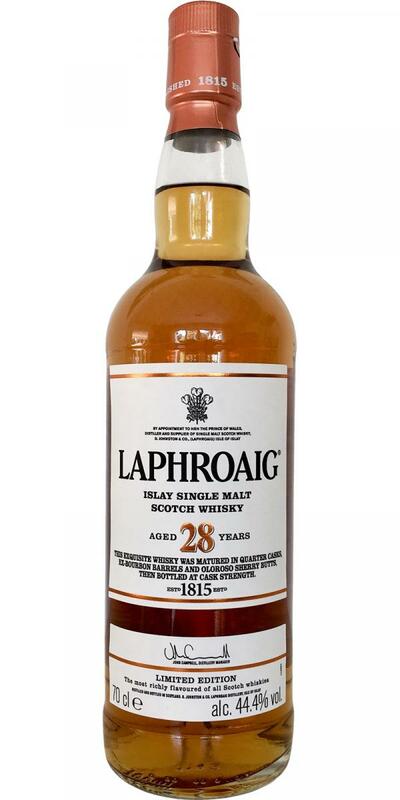 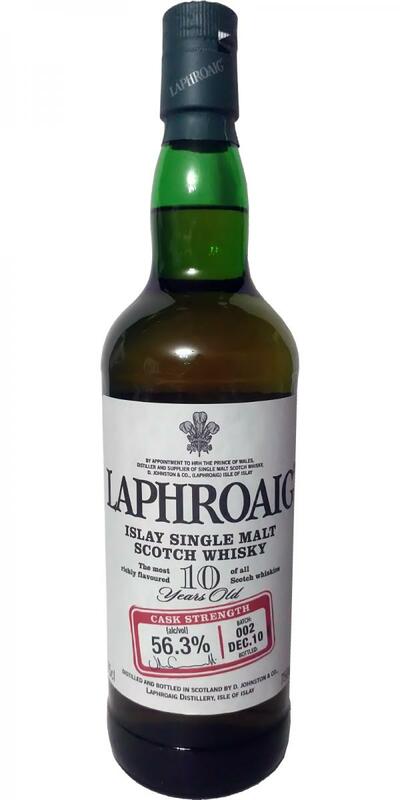 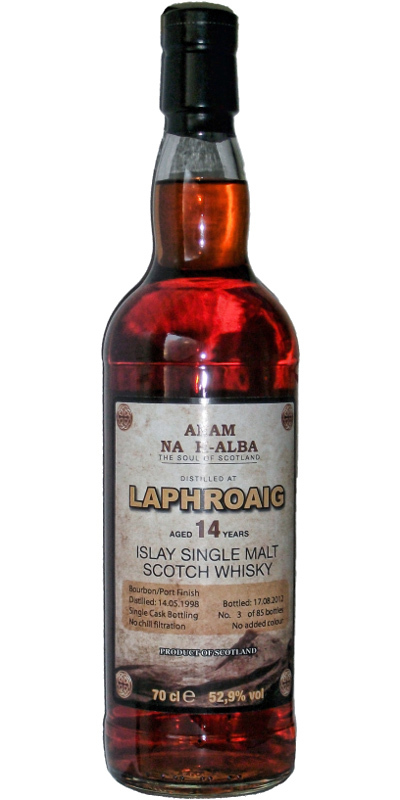 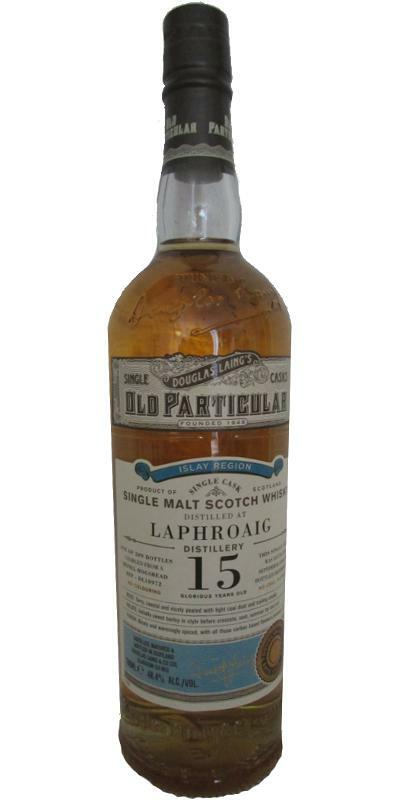 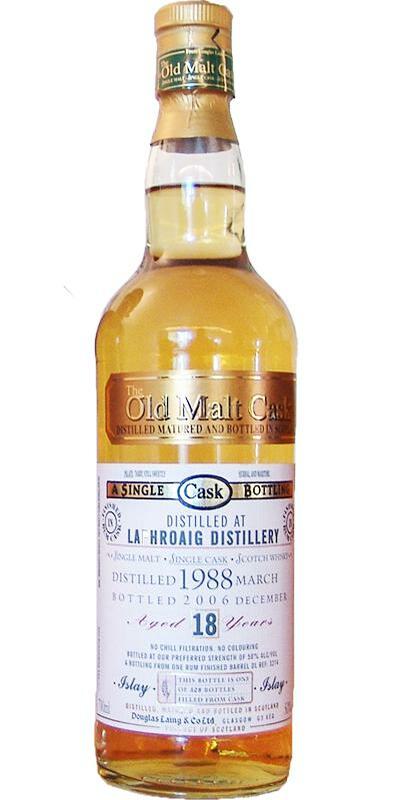 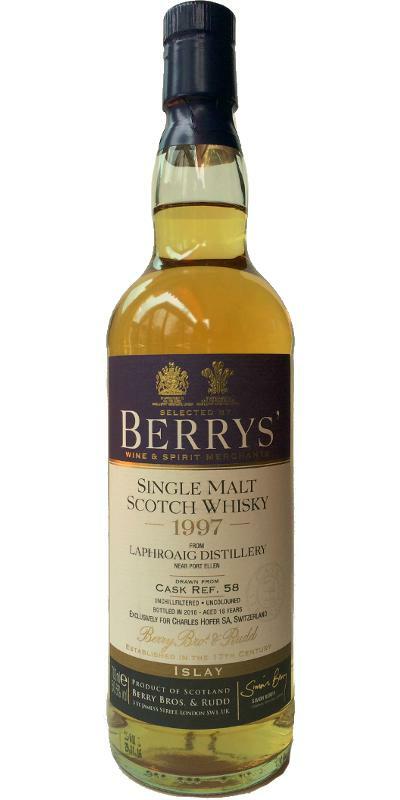 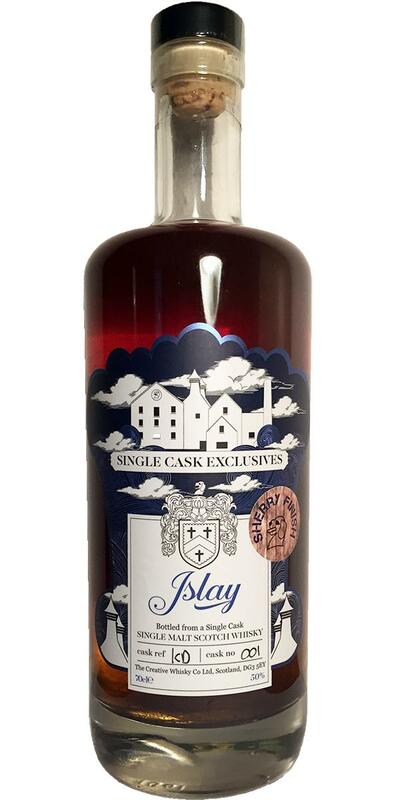 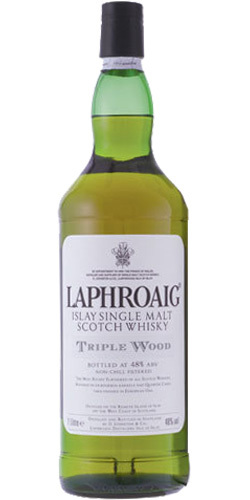 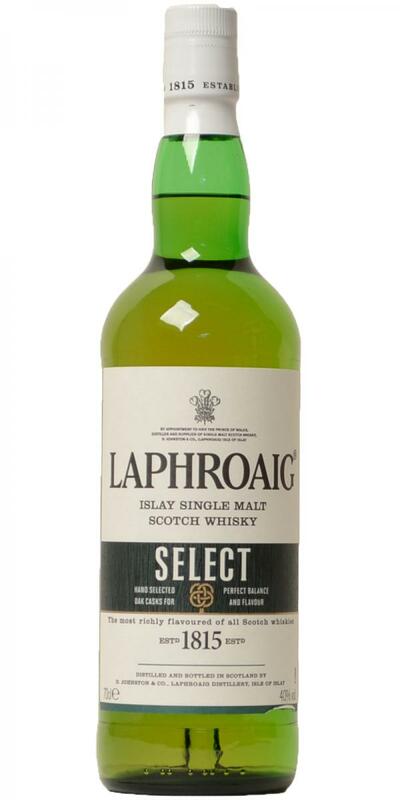 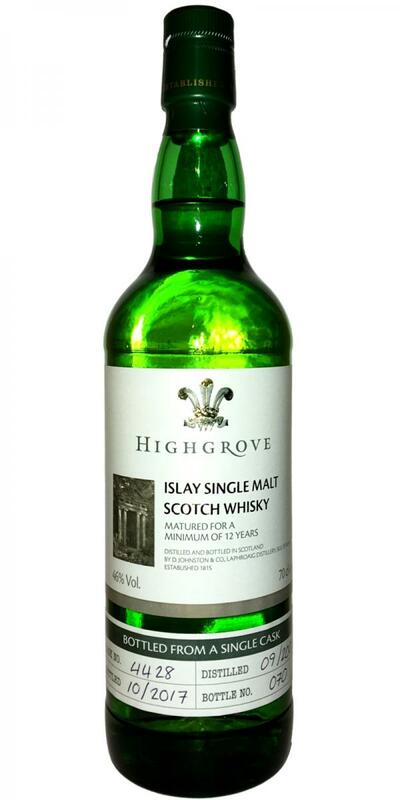 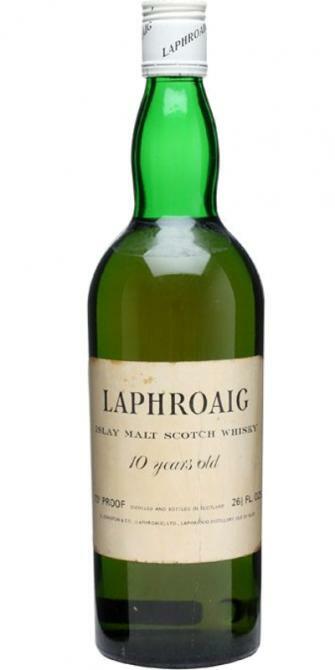 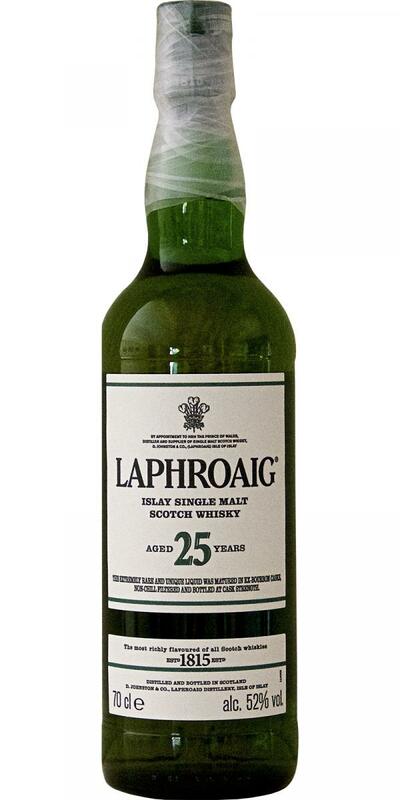 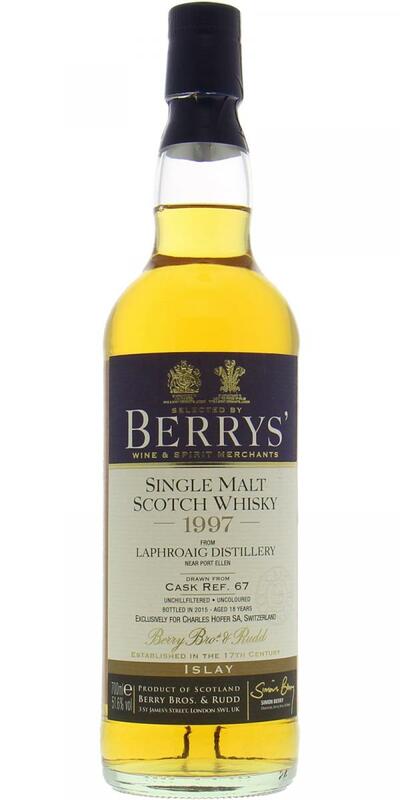 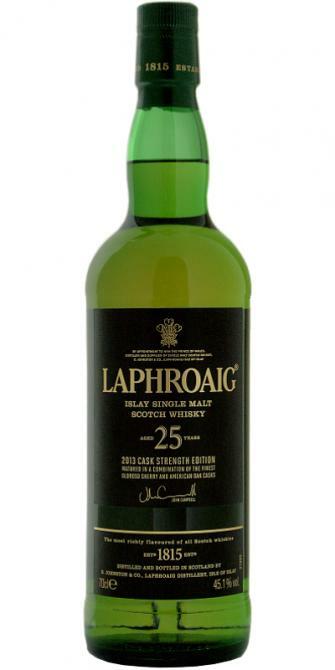 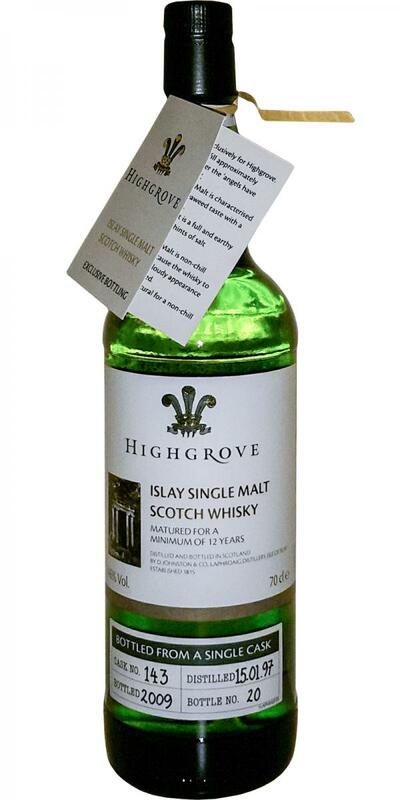 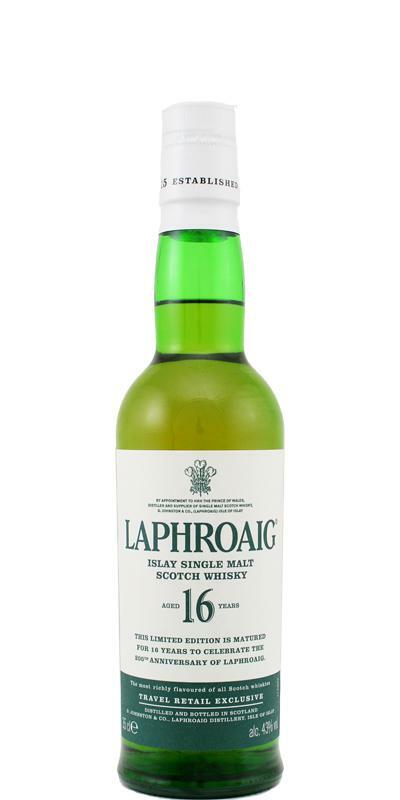 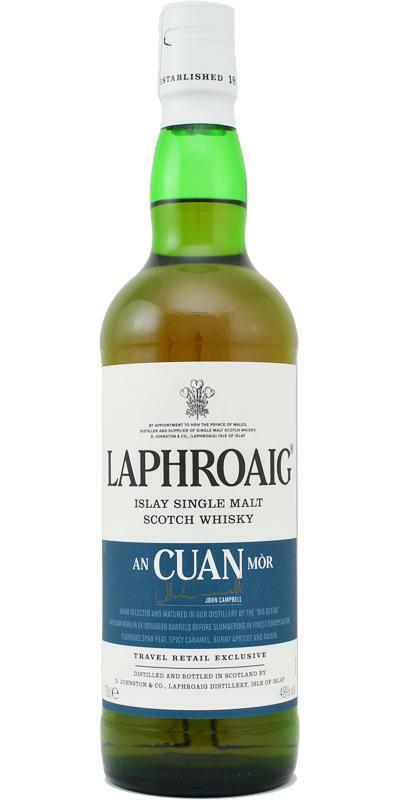 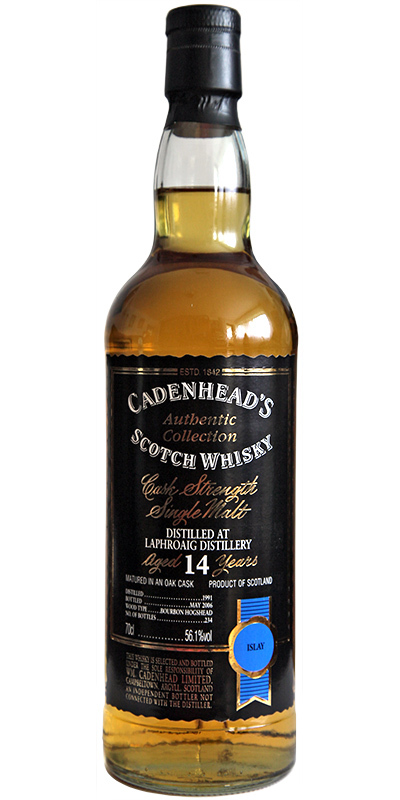 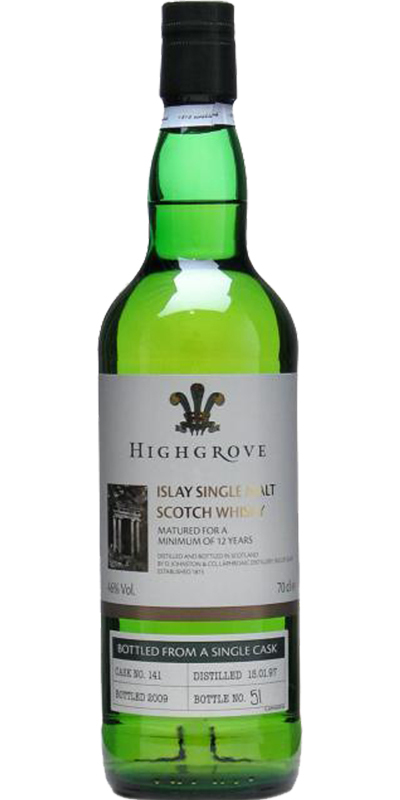 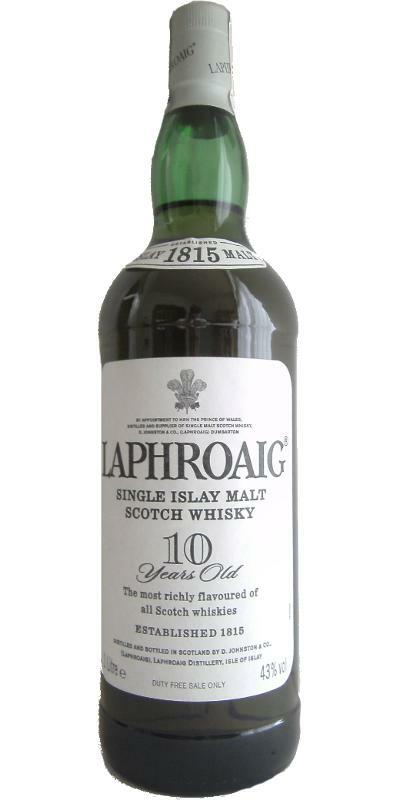 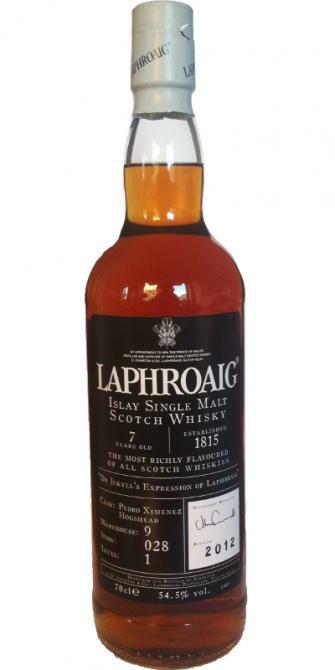 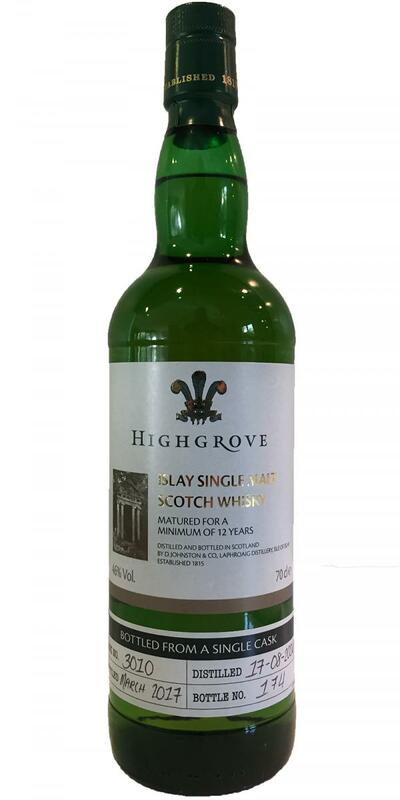 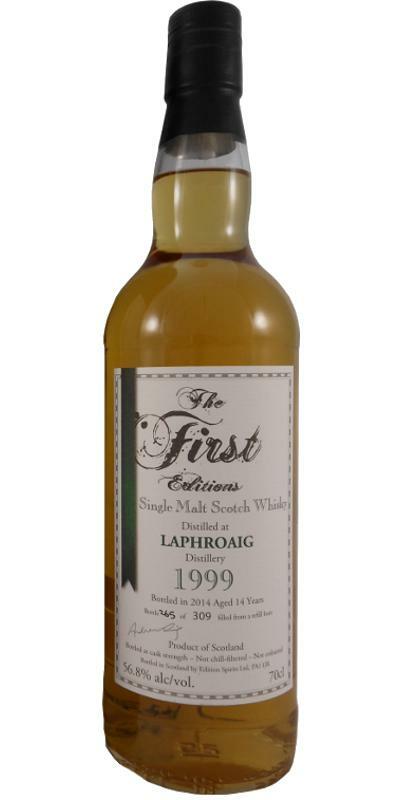 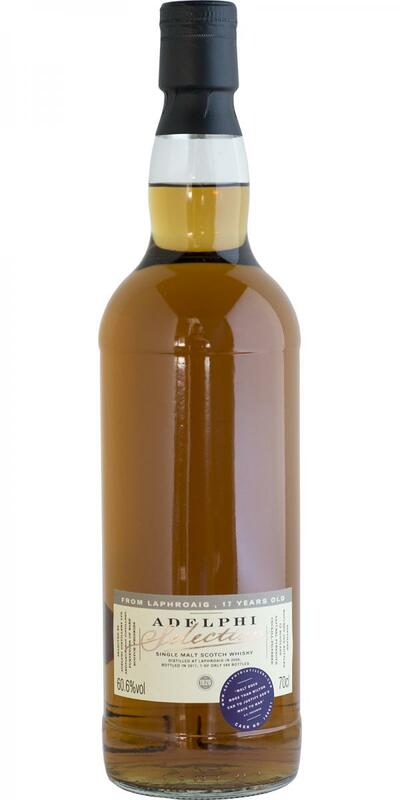 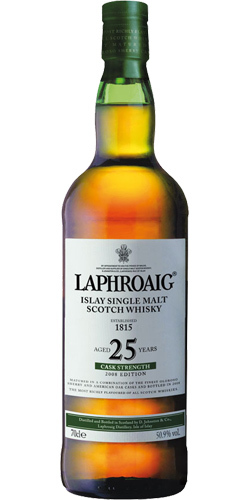 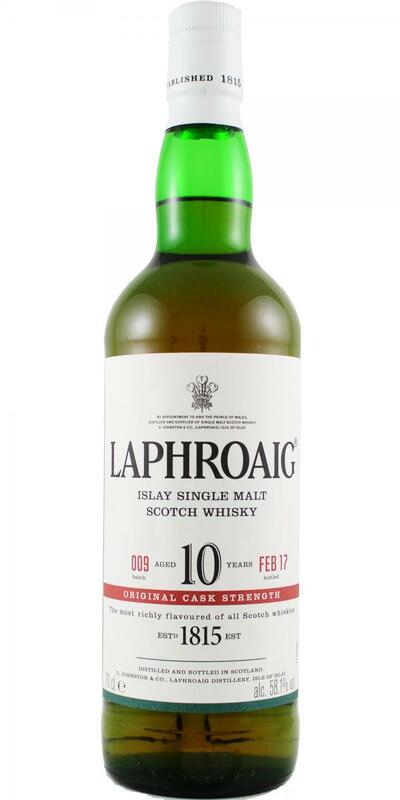 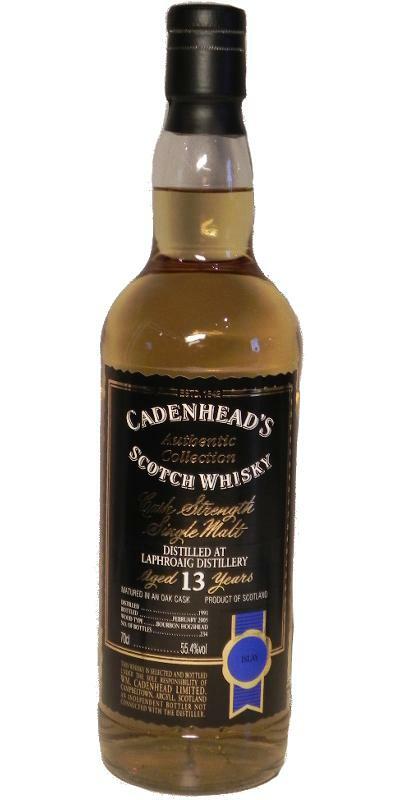 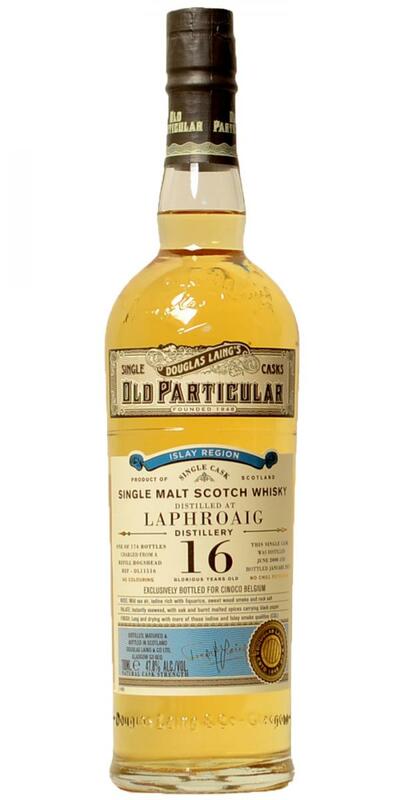 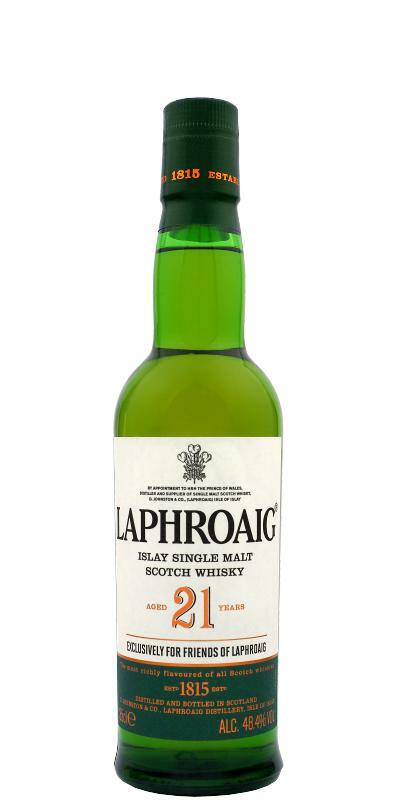 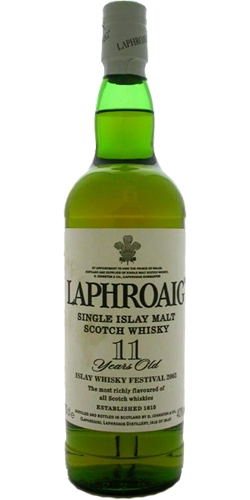 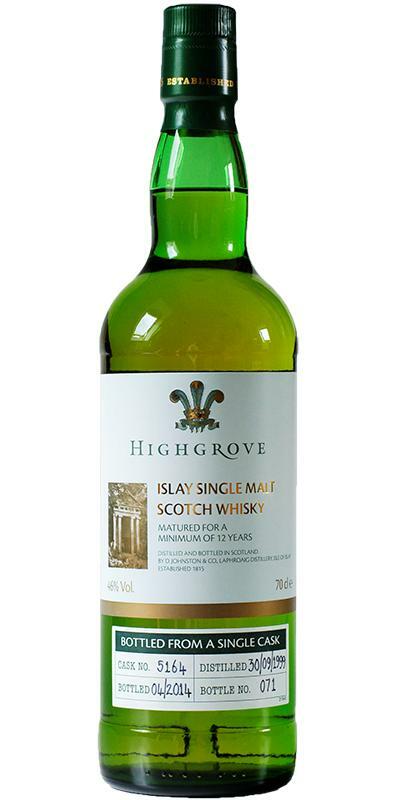 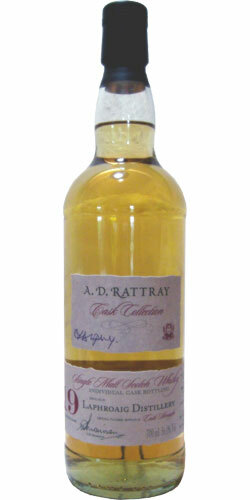 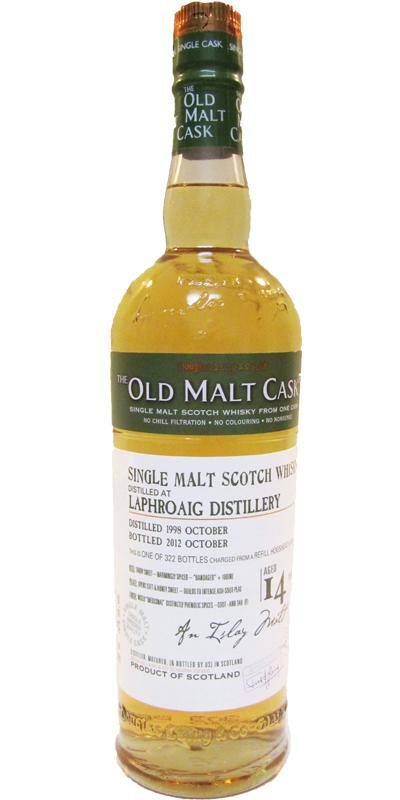 Laphroaig 15-year-old Single Islay Malt Scotch Whisky 15 43.0 % Vol. 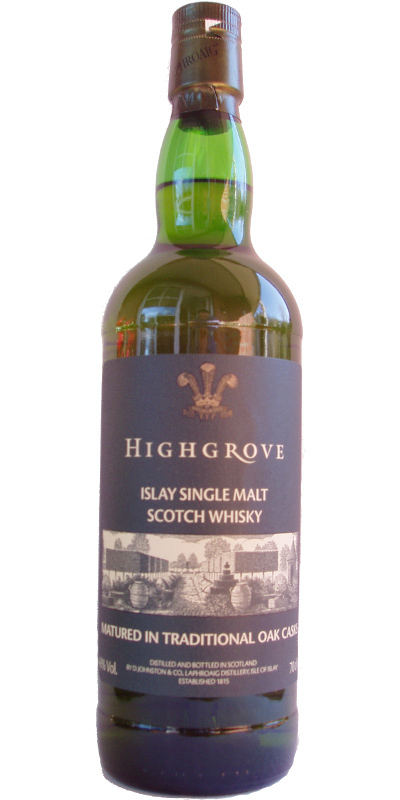 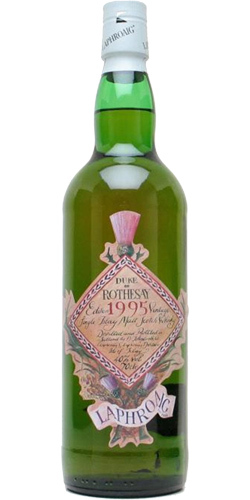 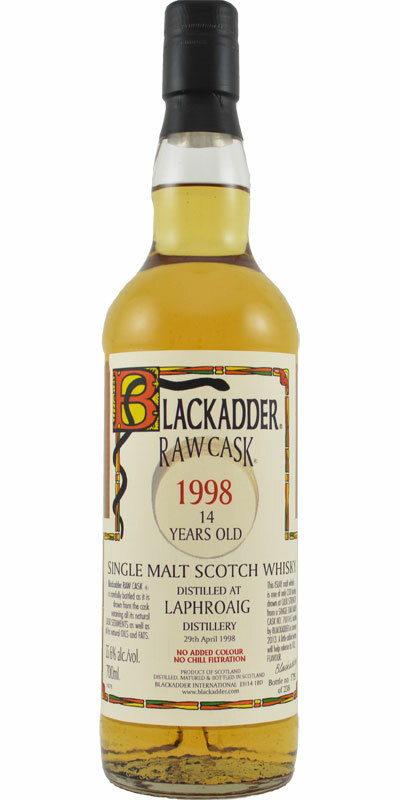 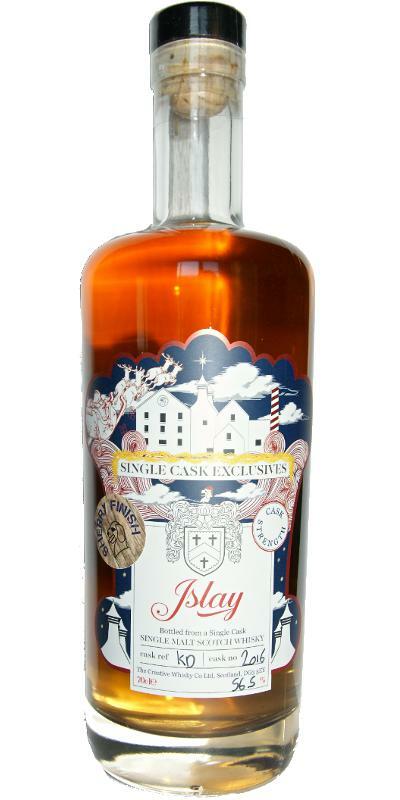 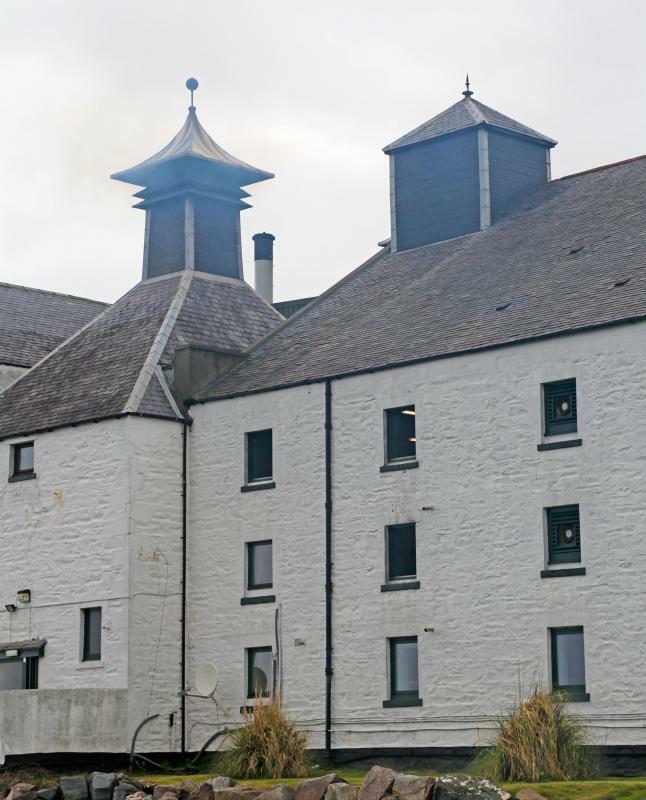 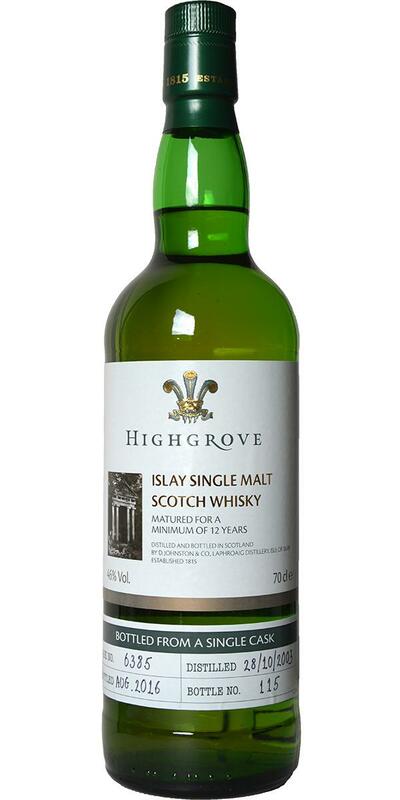 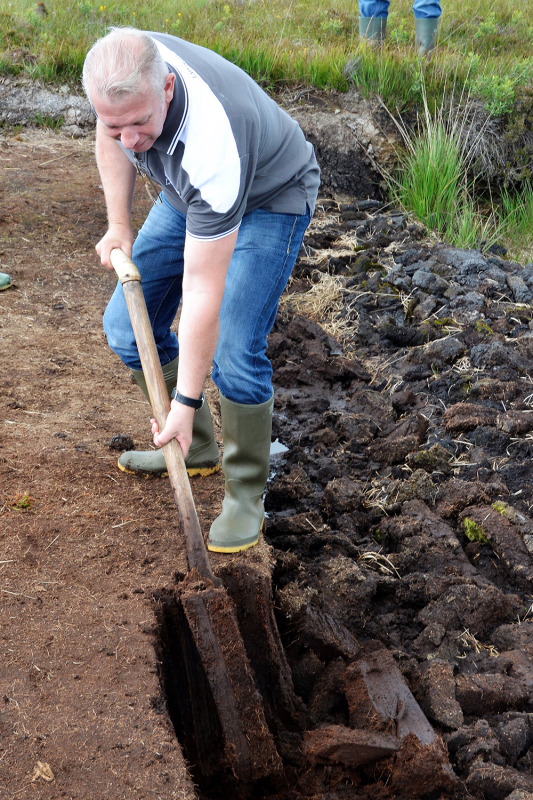 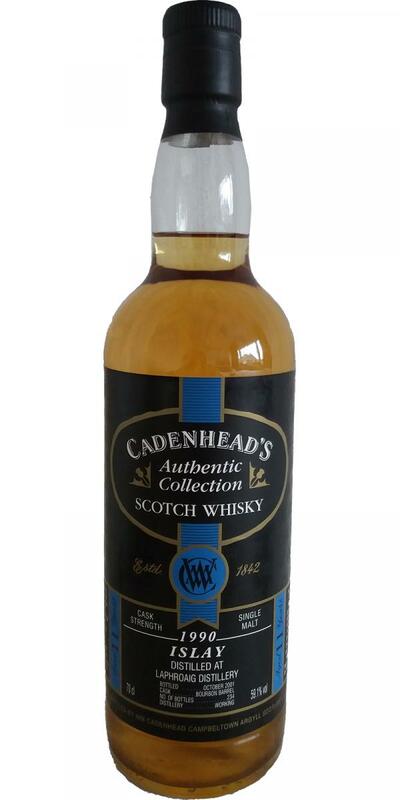 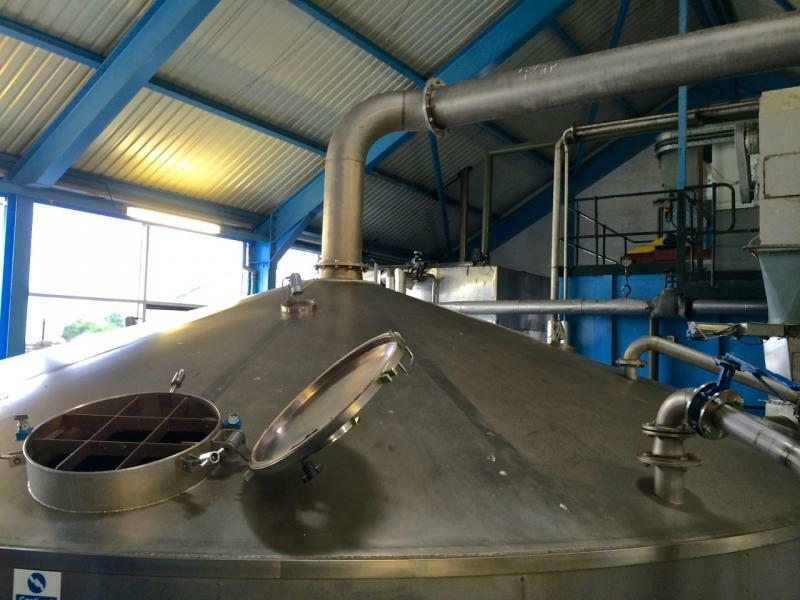 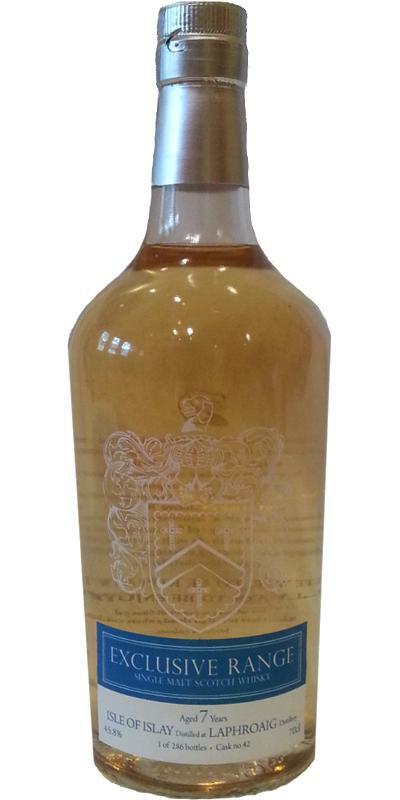 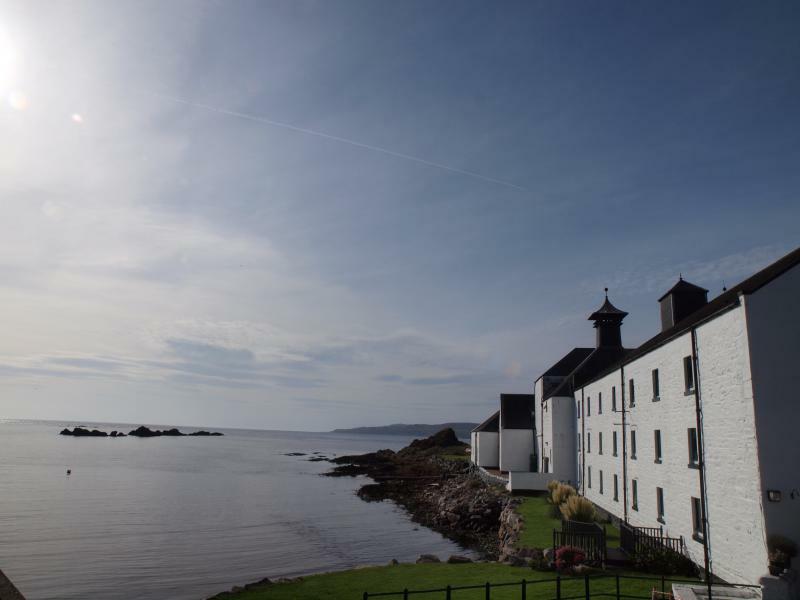 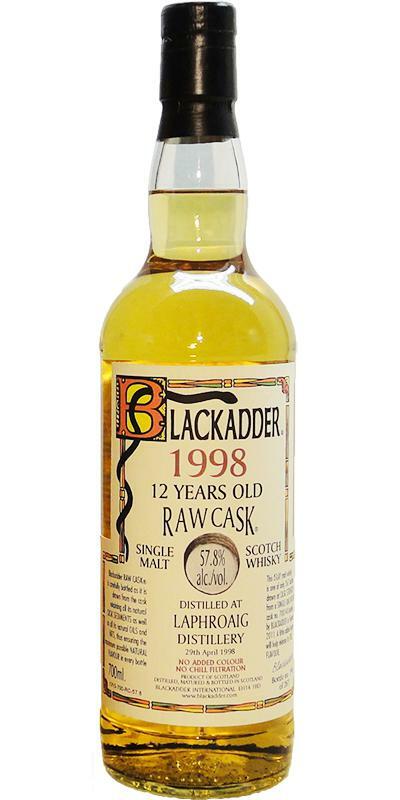 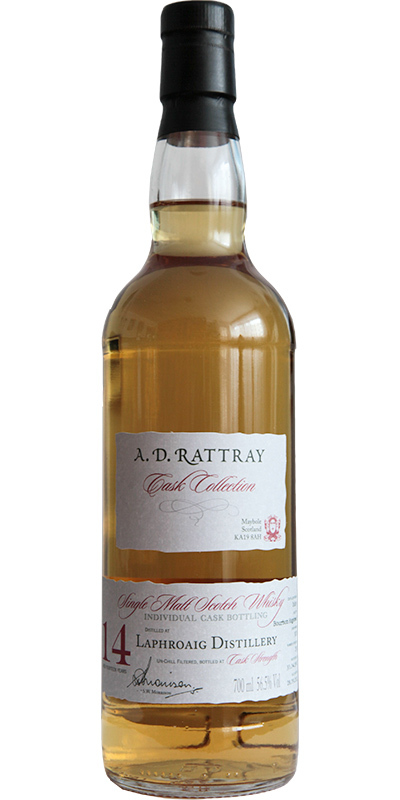 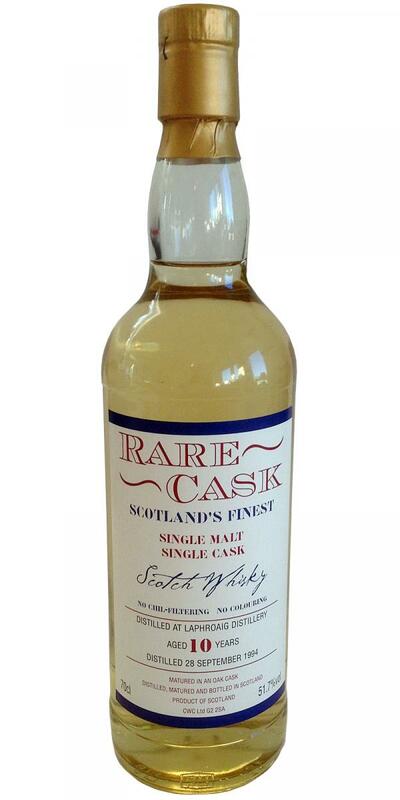 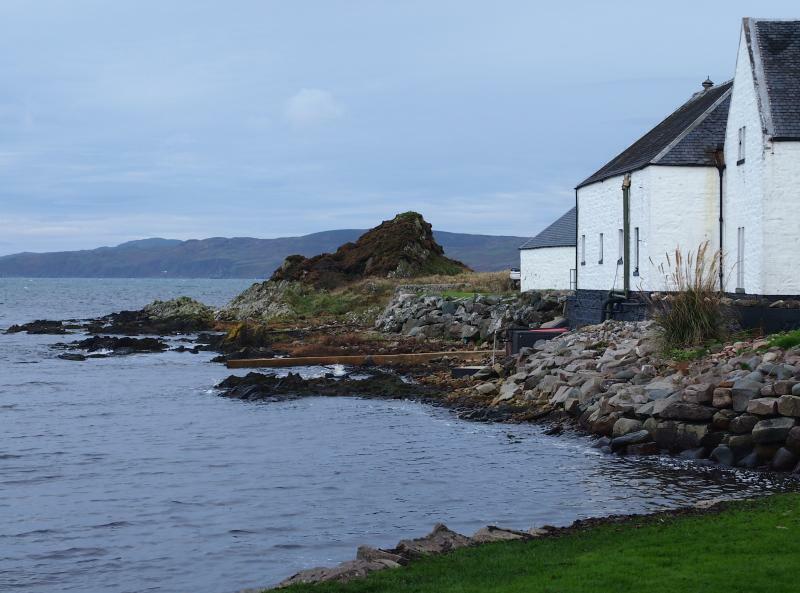 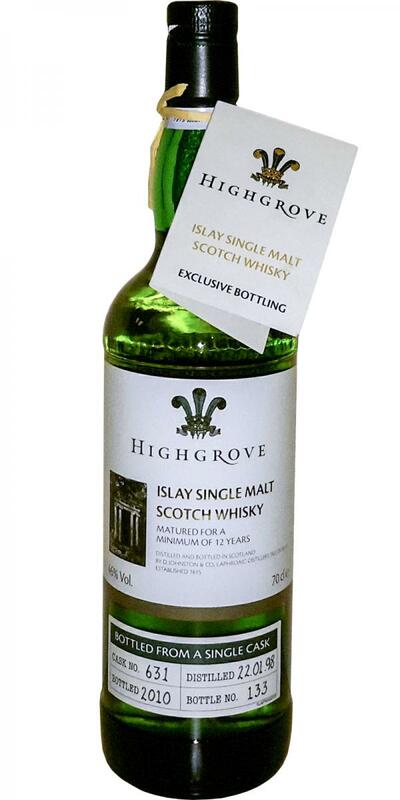 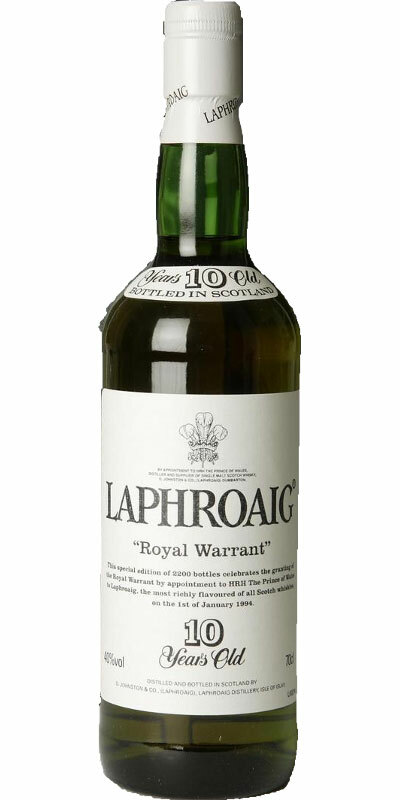 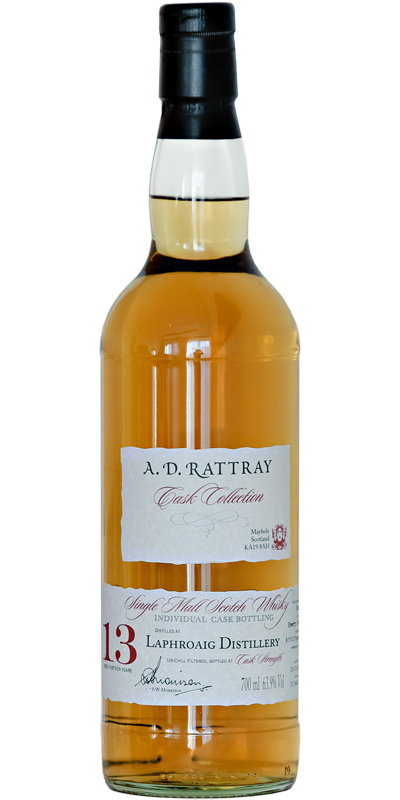 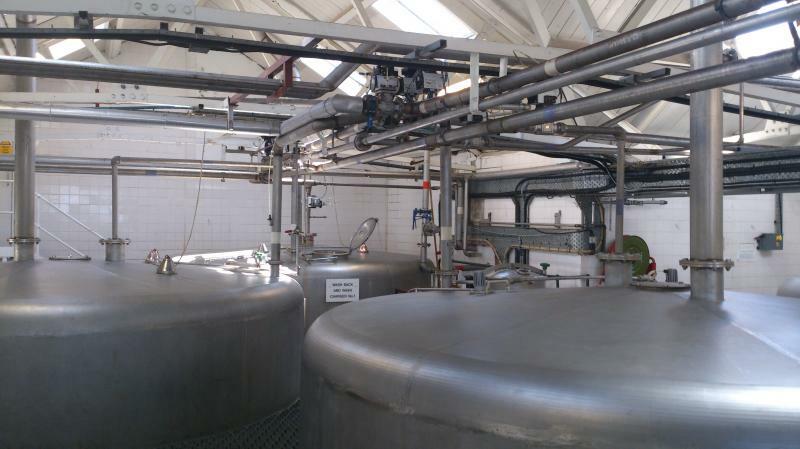 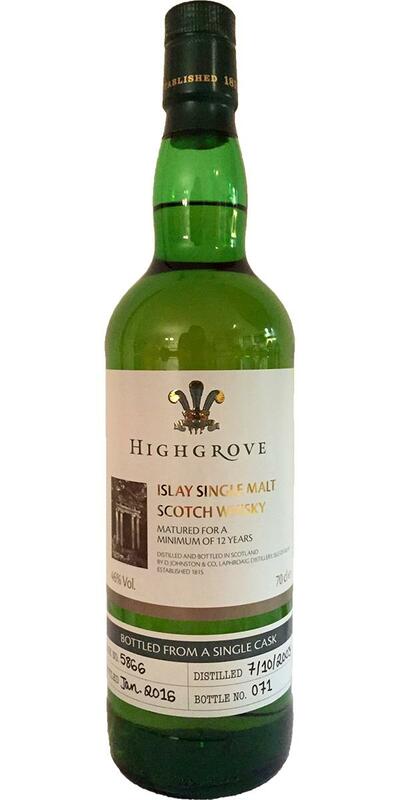 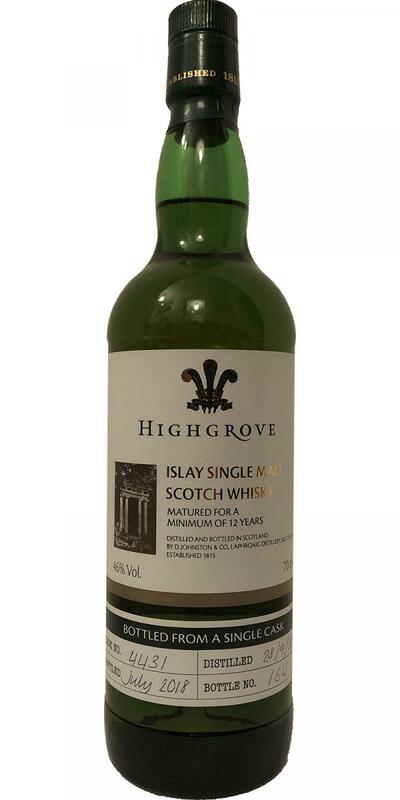 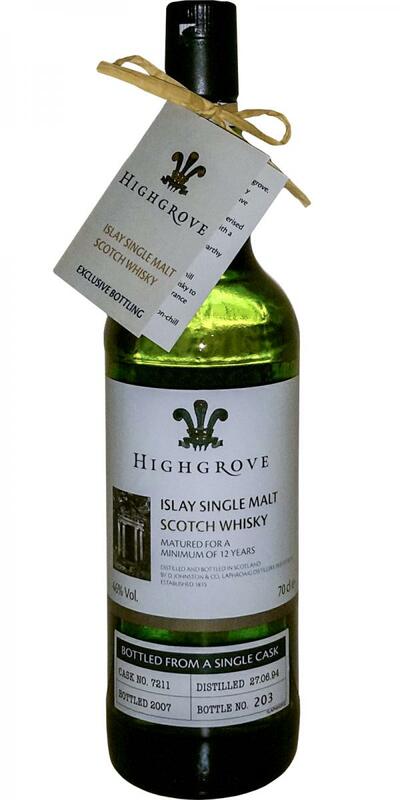 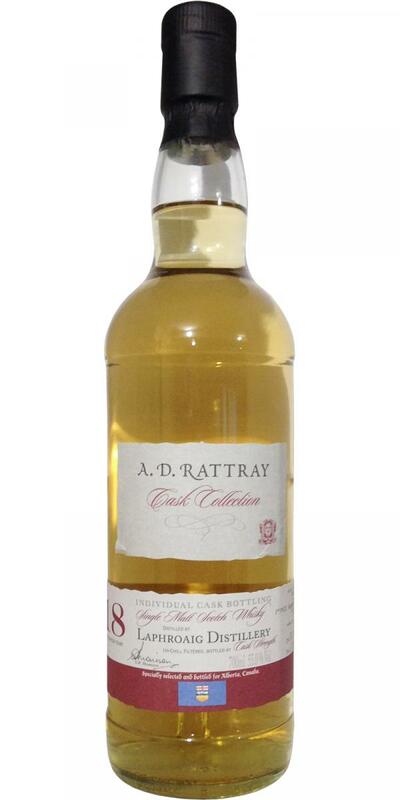 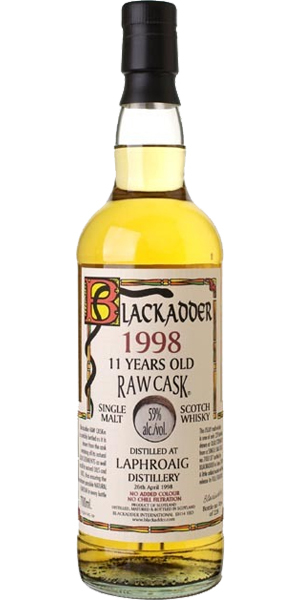 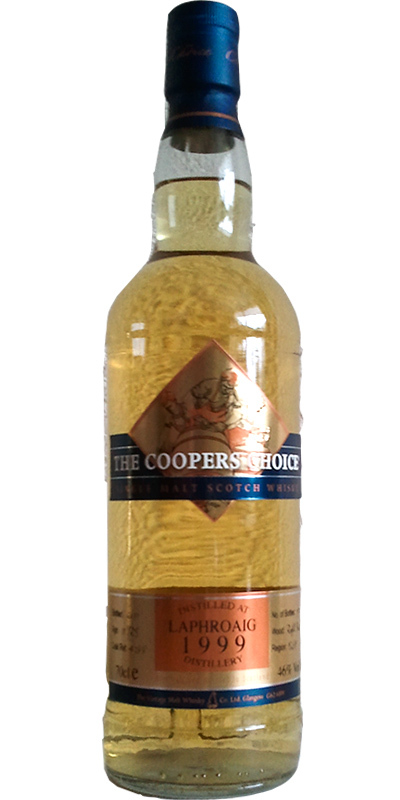 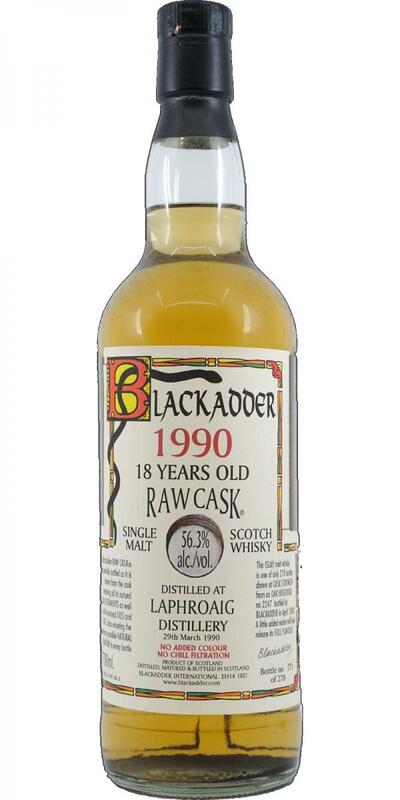 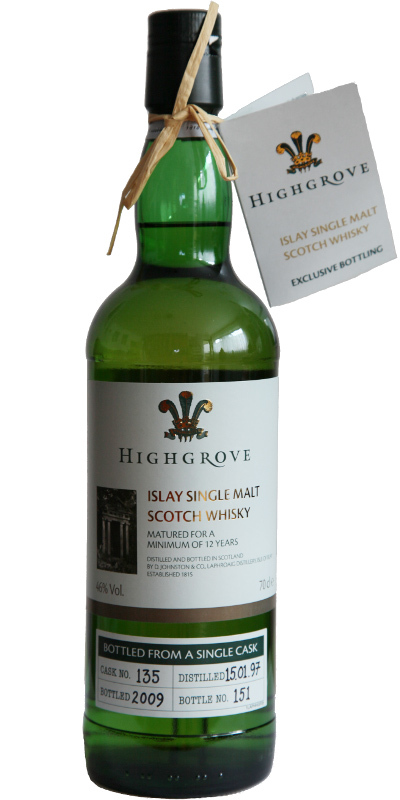 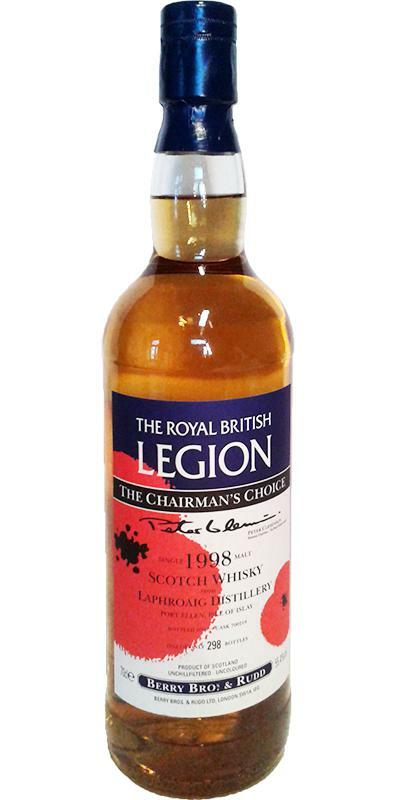 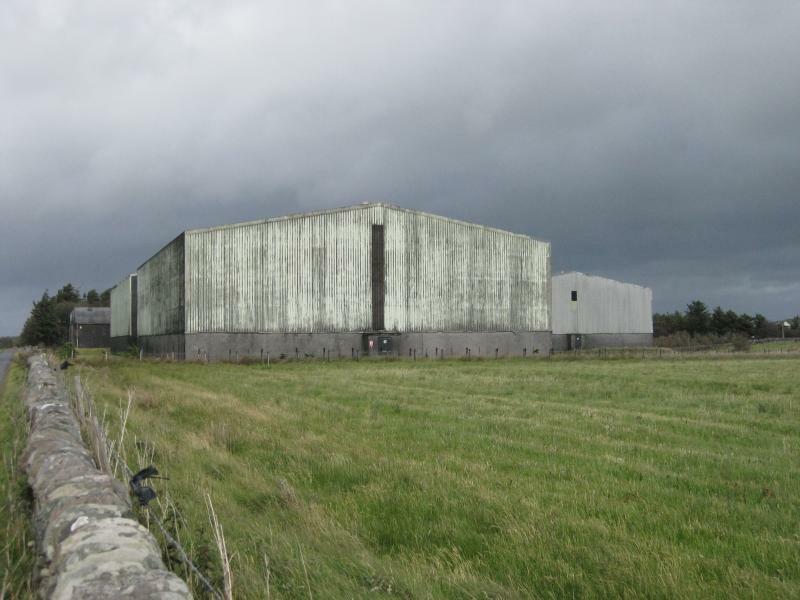 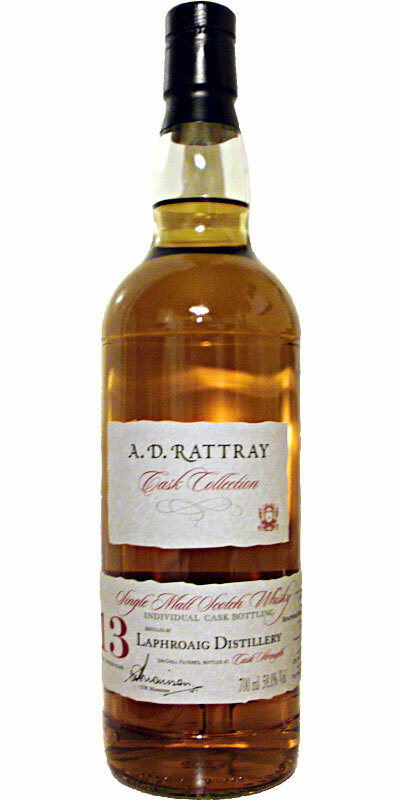 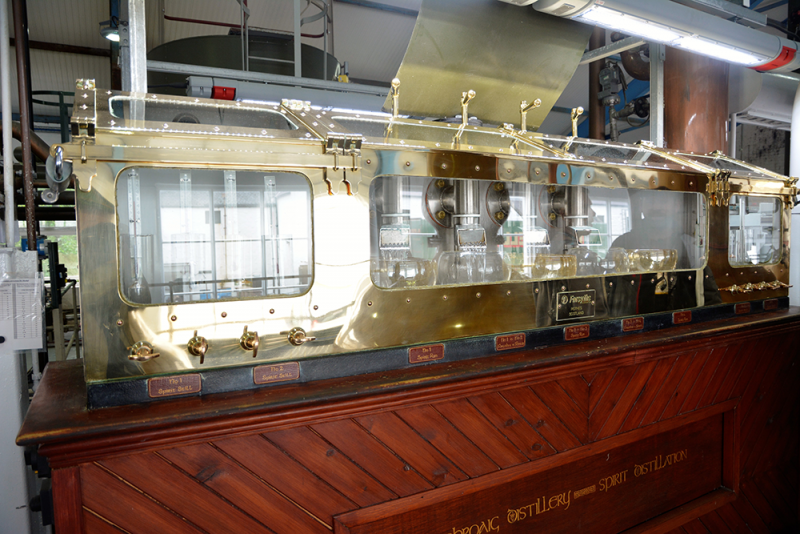 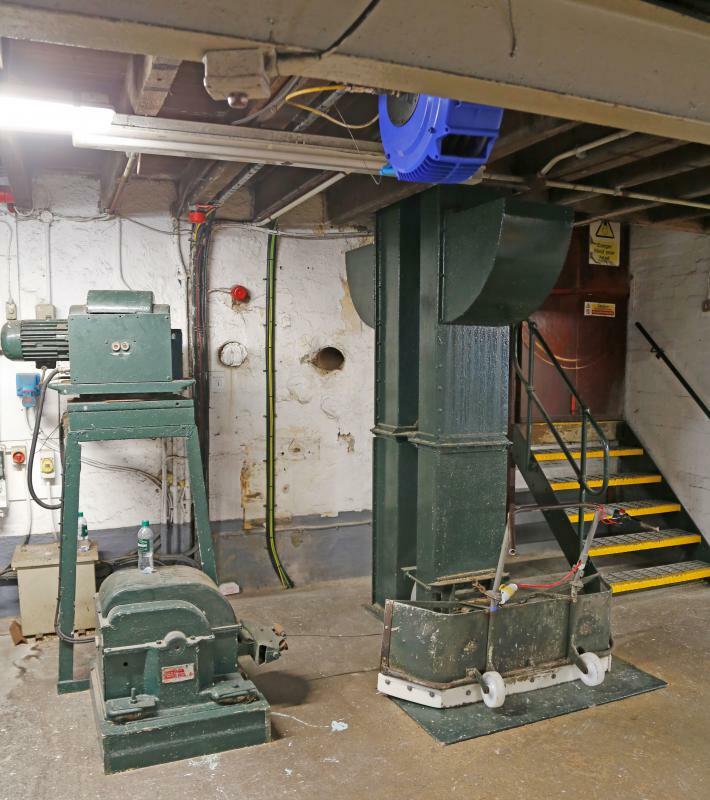 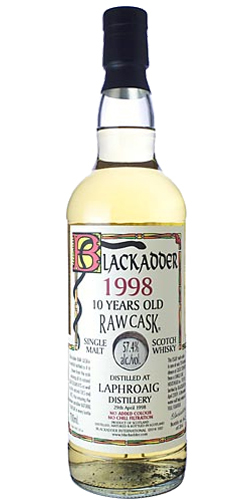 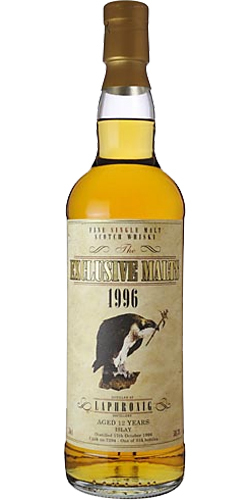 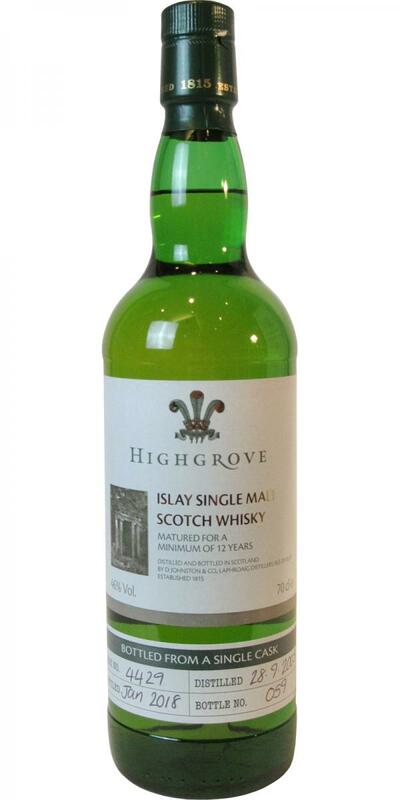 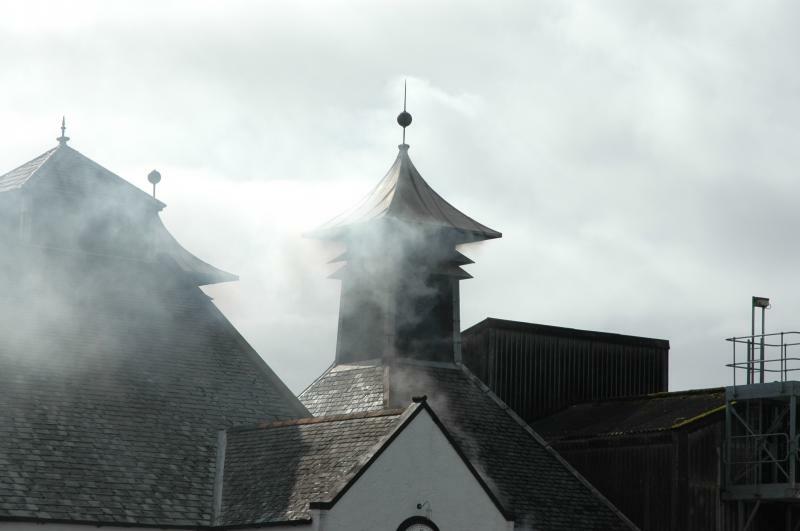 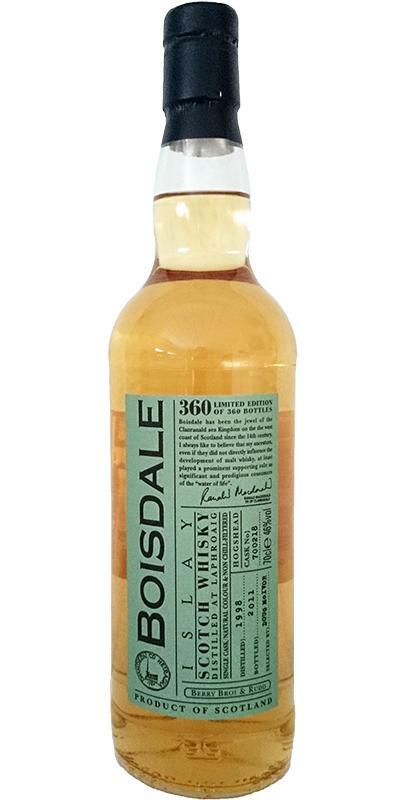 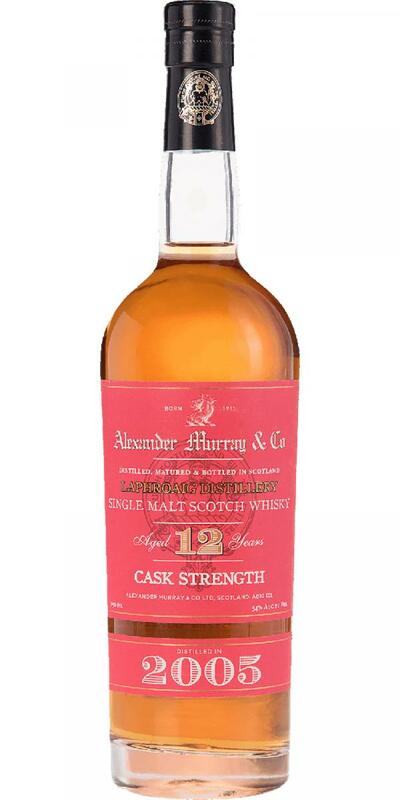 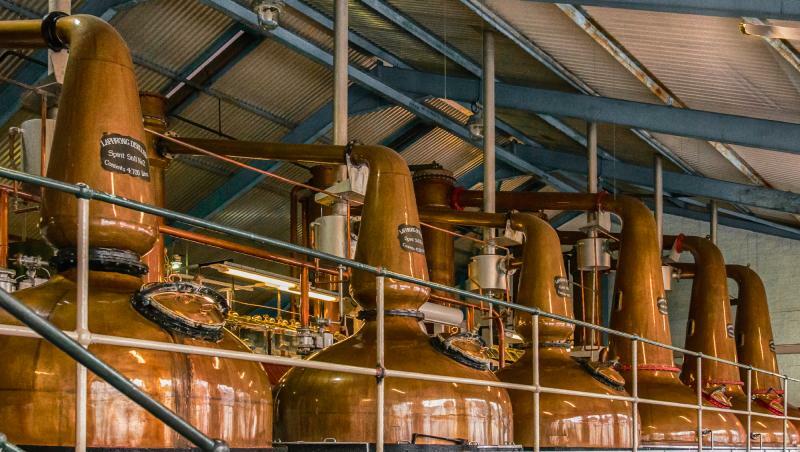 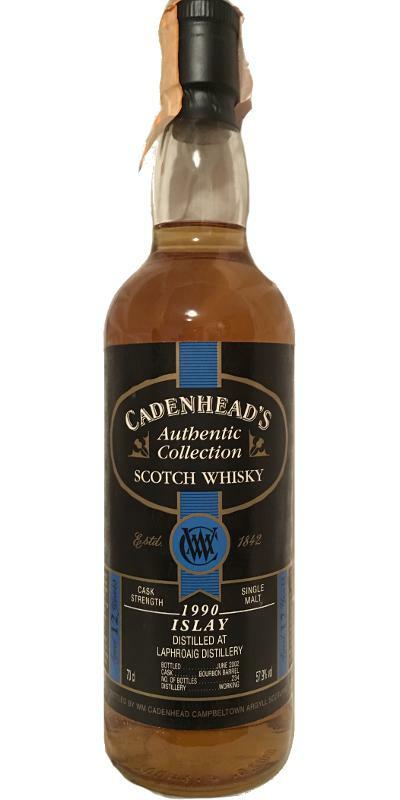 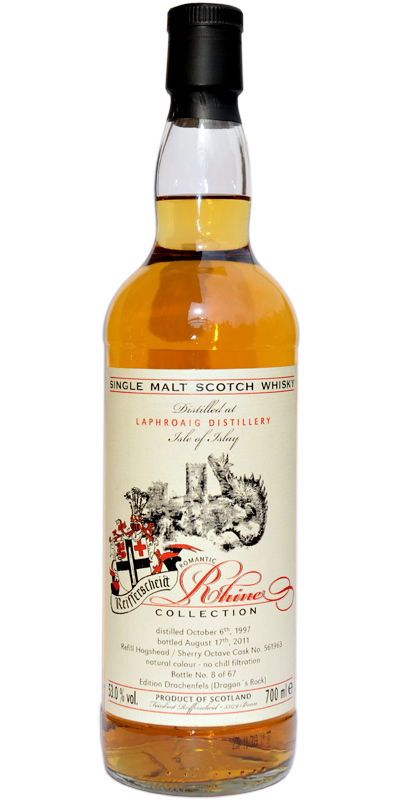 Laphroaig 15-year-old HRH The Prince of Wales Donated to the ERSKINE 2000 Appeal 'Mansion' 15 43.0 % Vol. 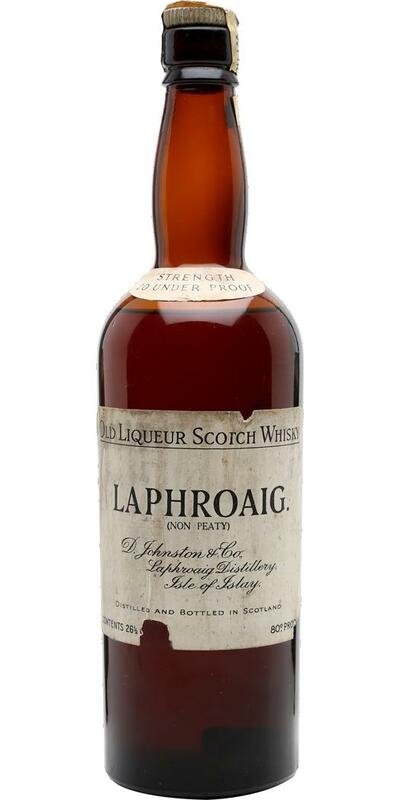 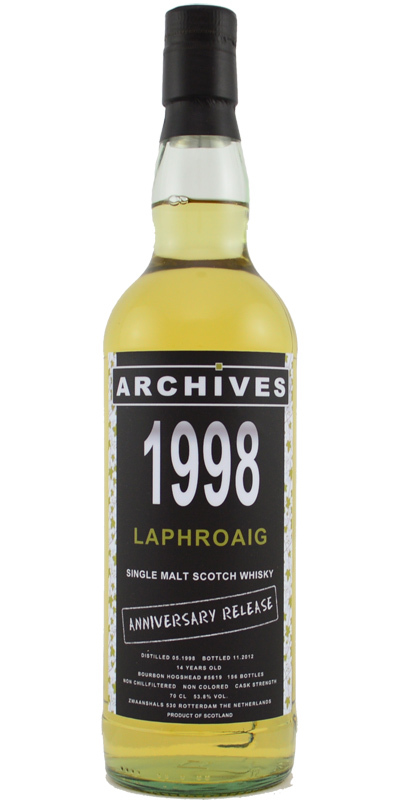 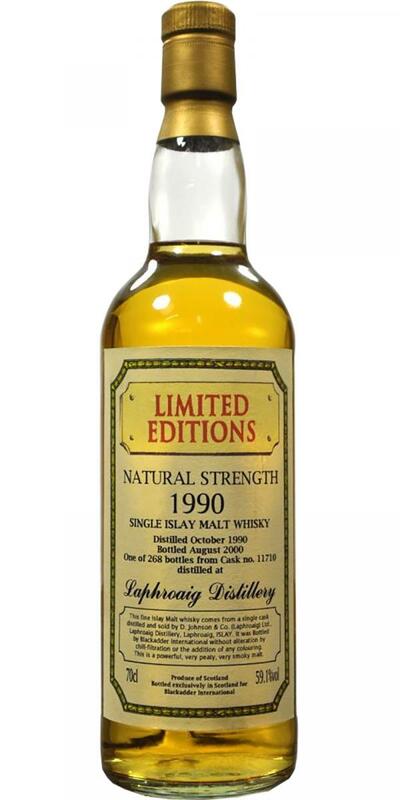 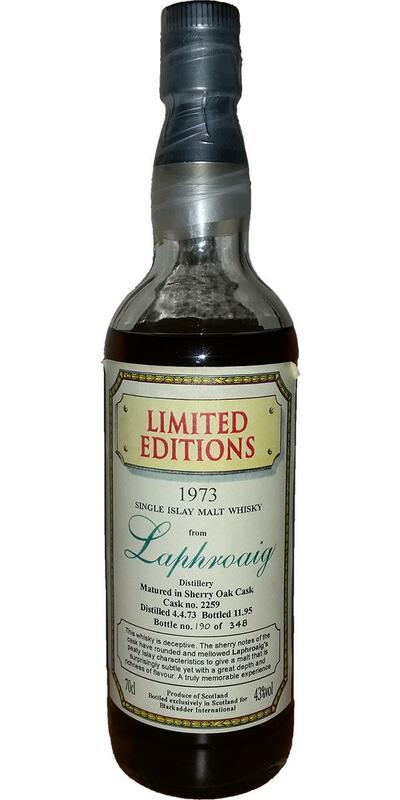 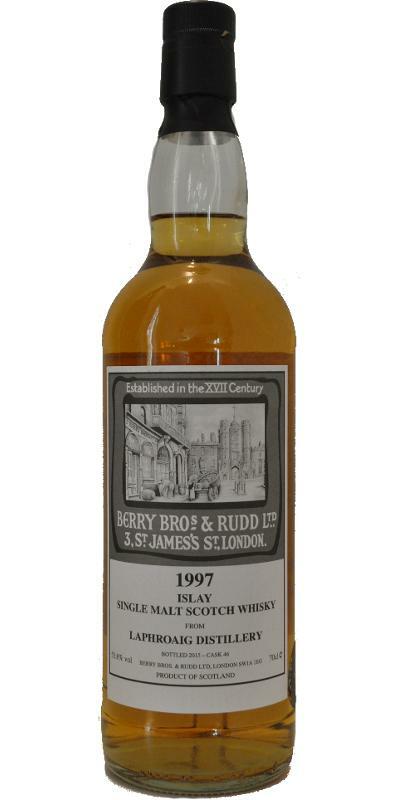 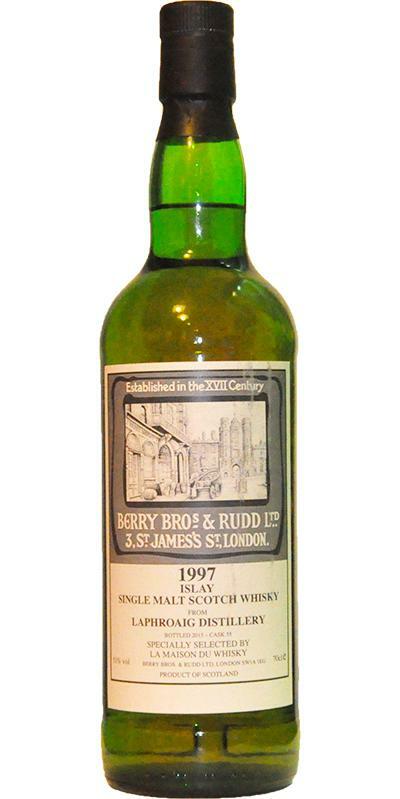 Laphroaig Season 1899 Very Rare 0.0 % Vol. 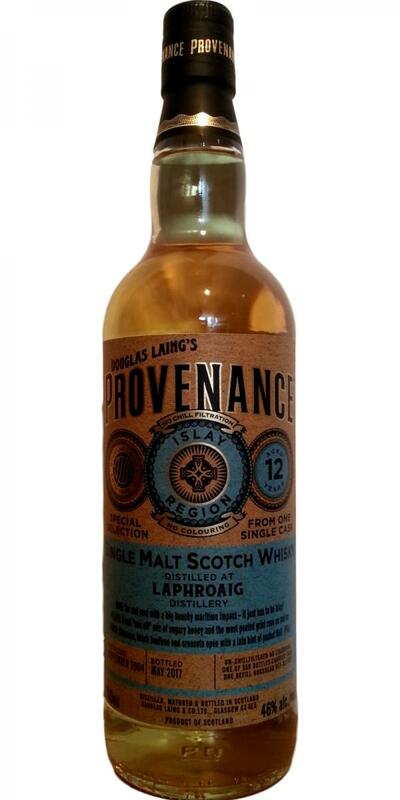 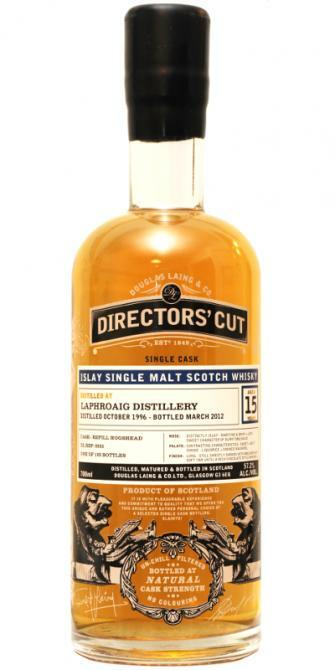 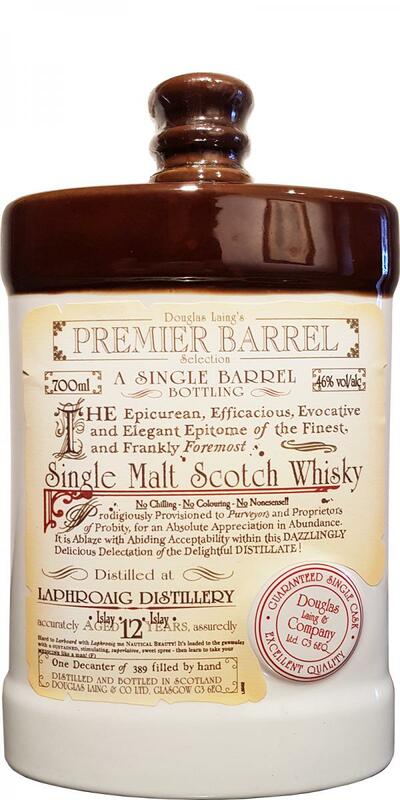 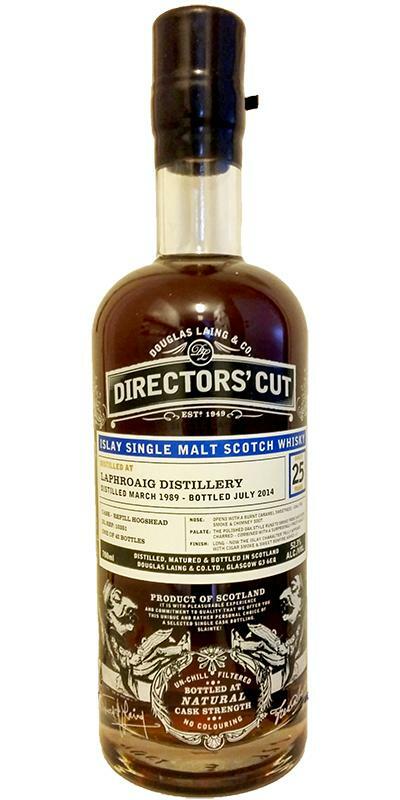 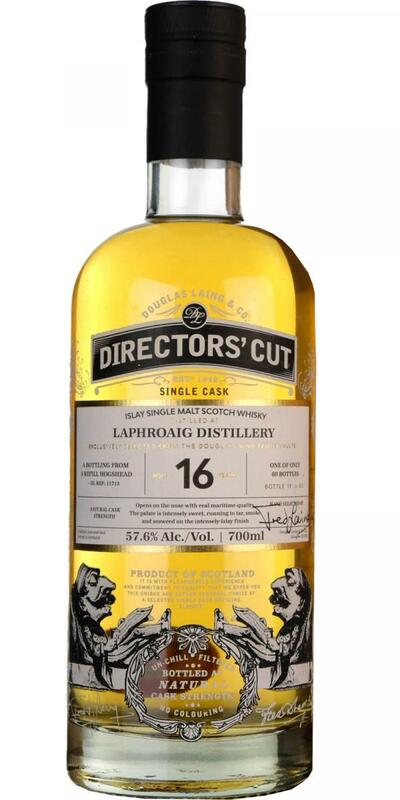 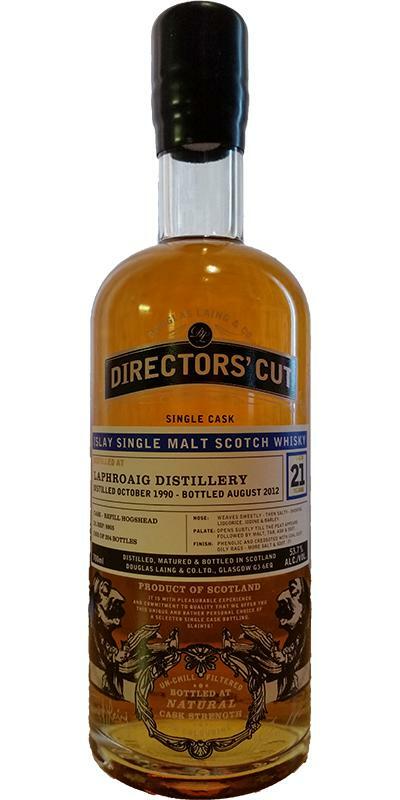 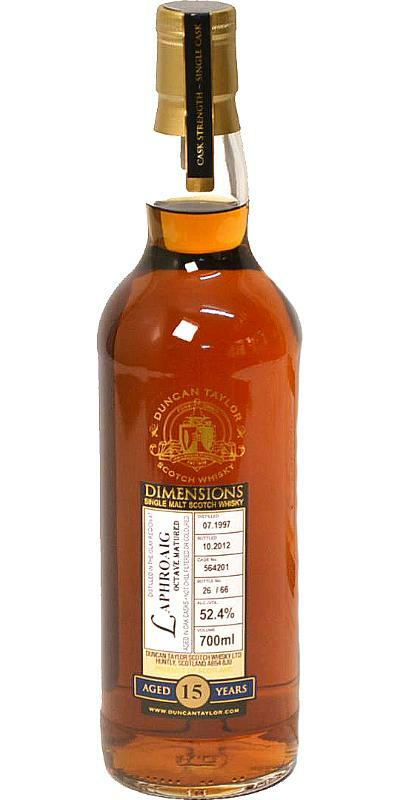 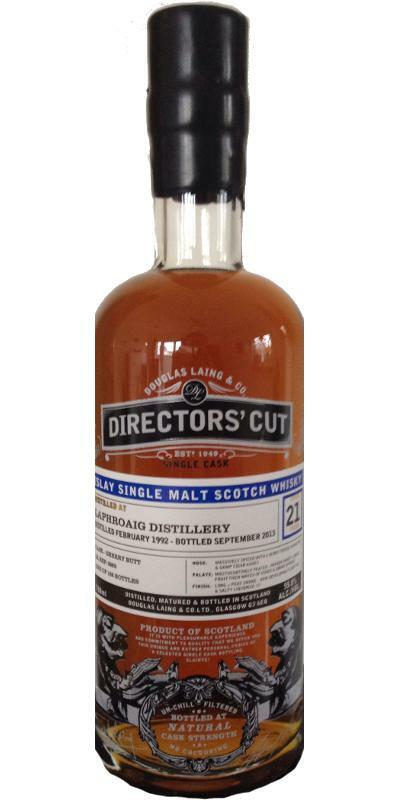 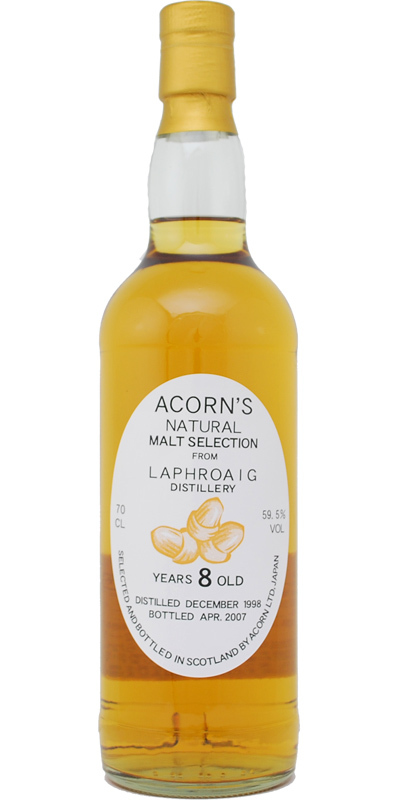 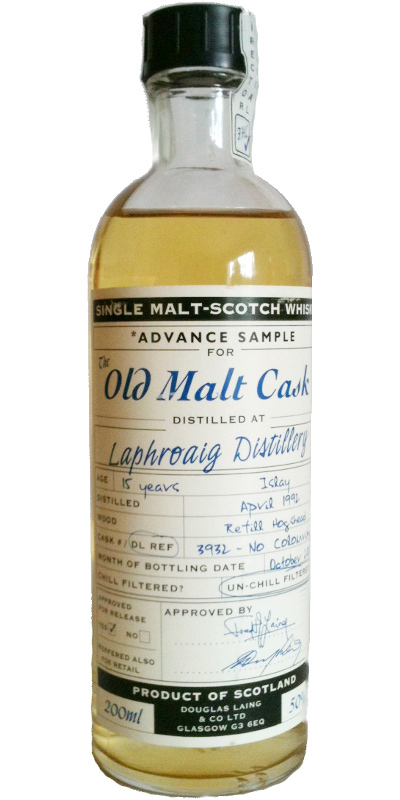 D. Johnston & Co. (Laphroaig) Ltd.
Laphroaig 07-year-old DL Premier Barrel Selection 07 46.0 % Vol. 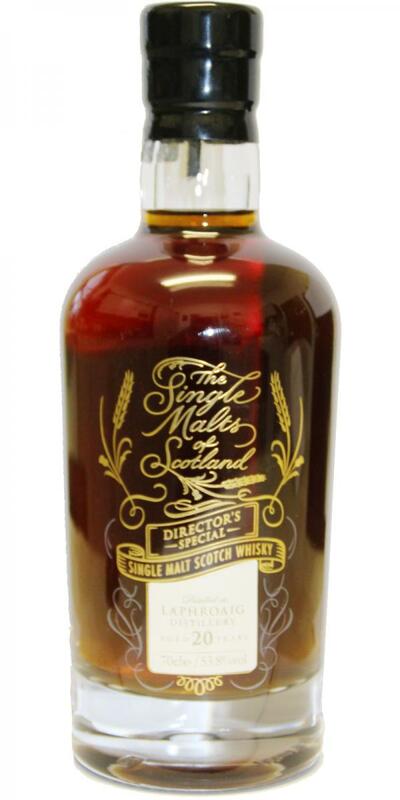 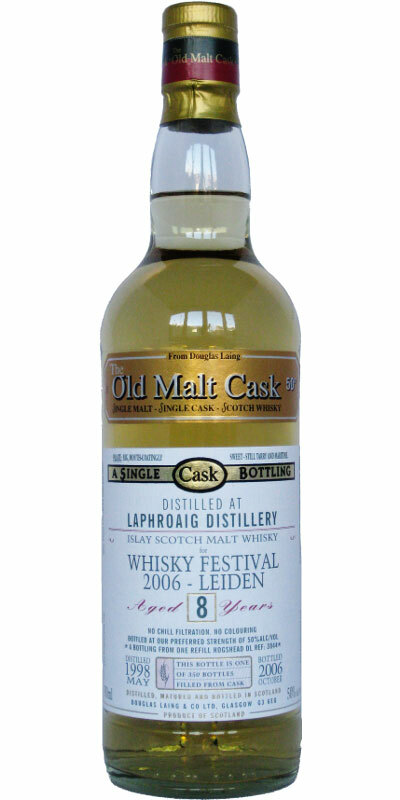 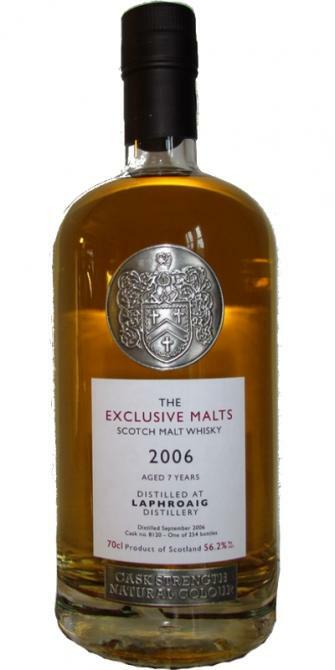 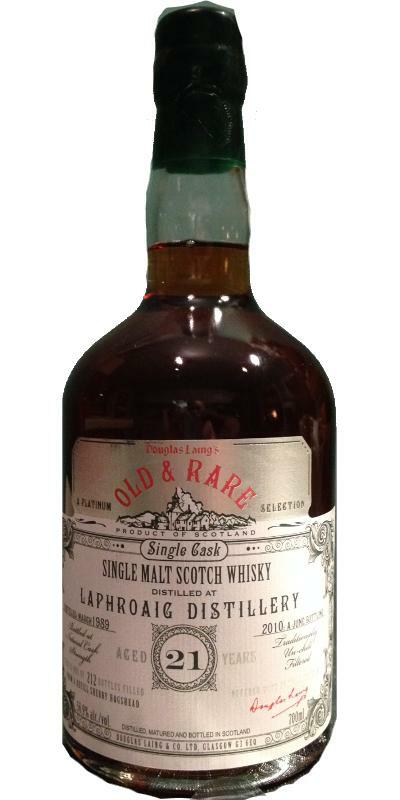 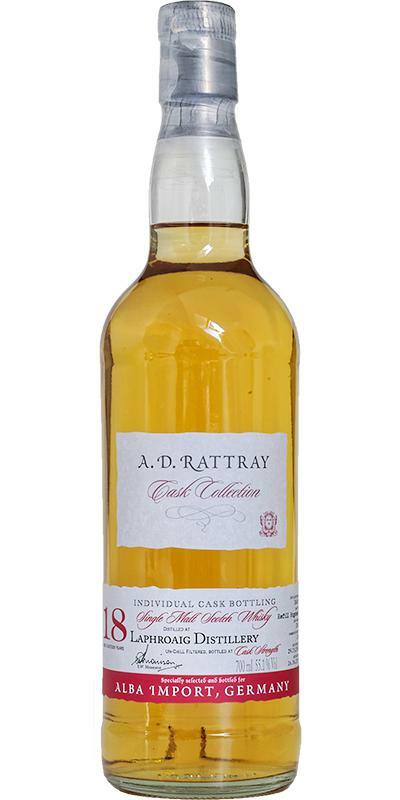 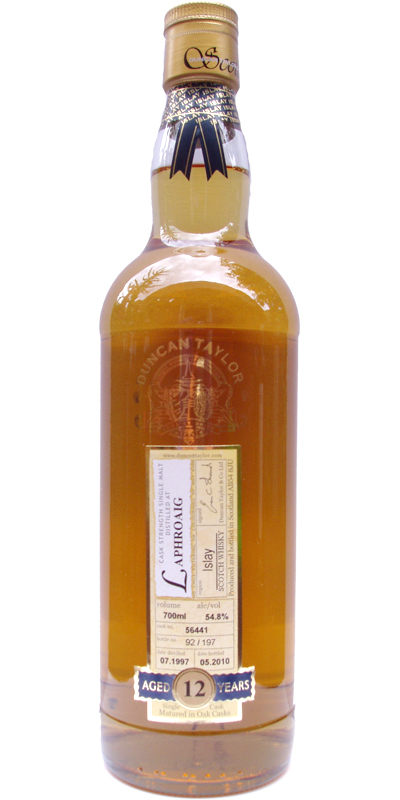 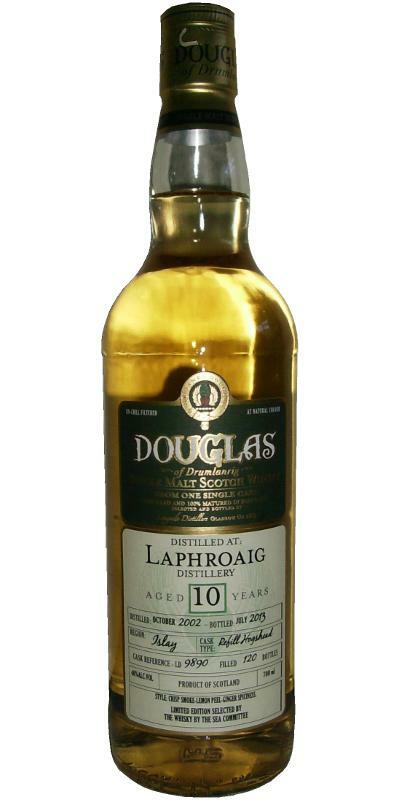 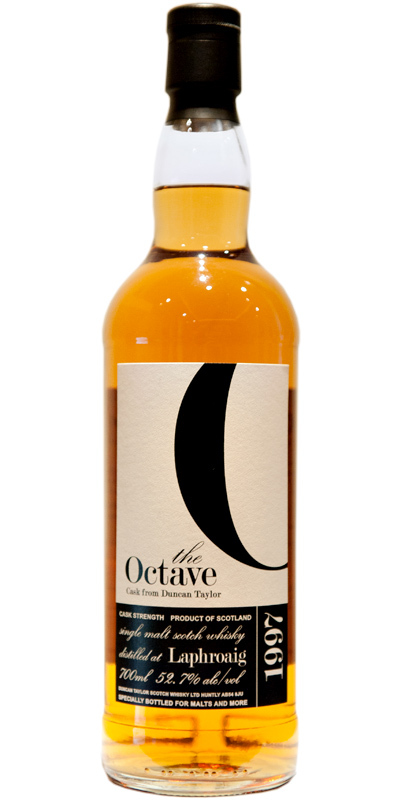 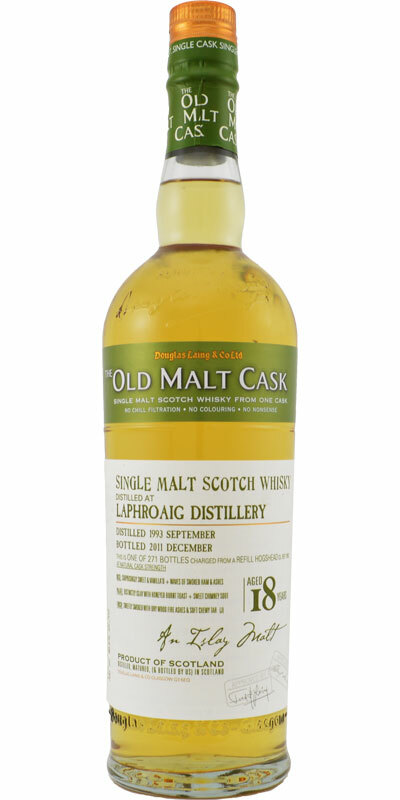 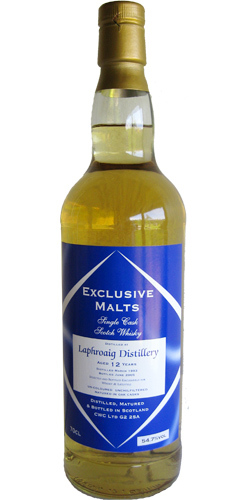 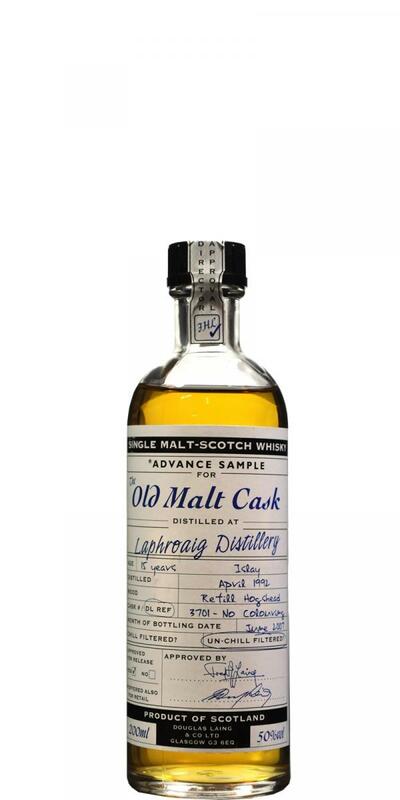 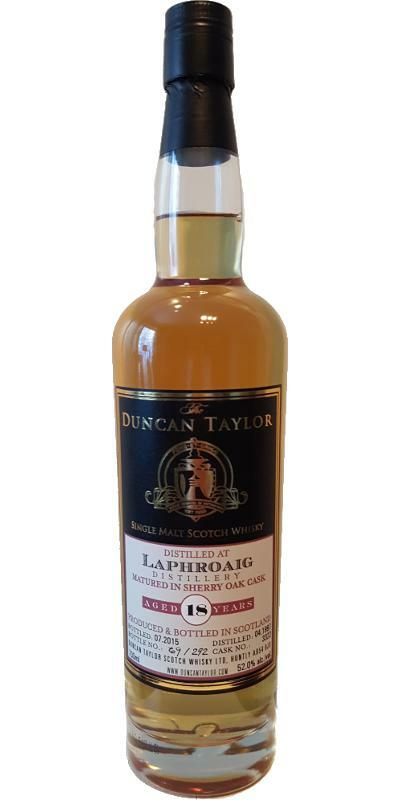 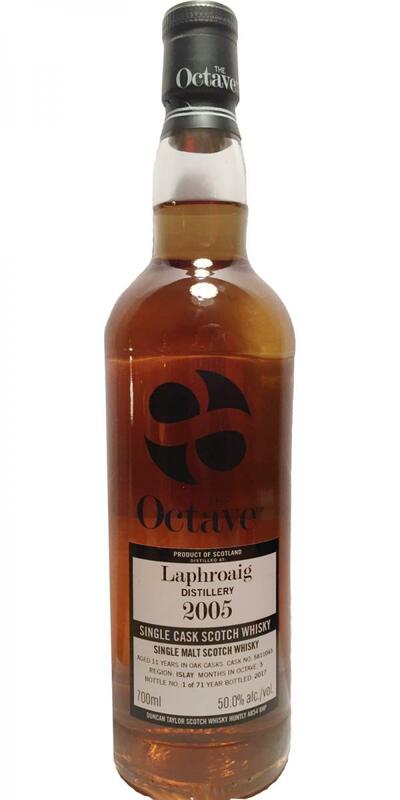 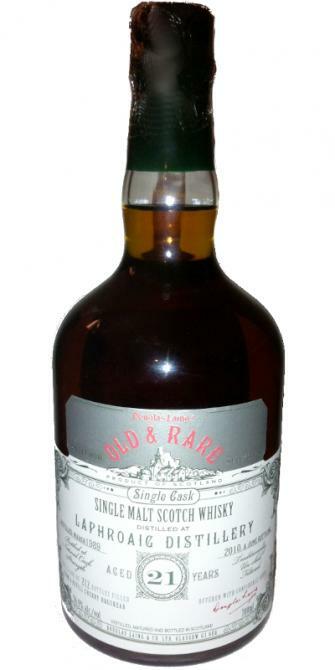 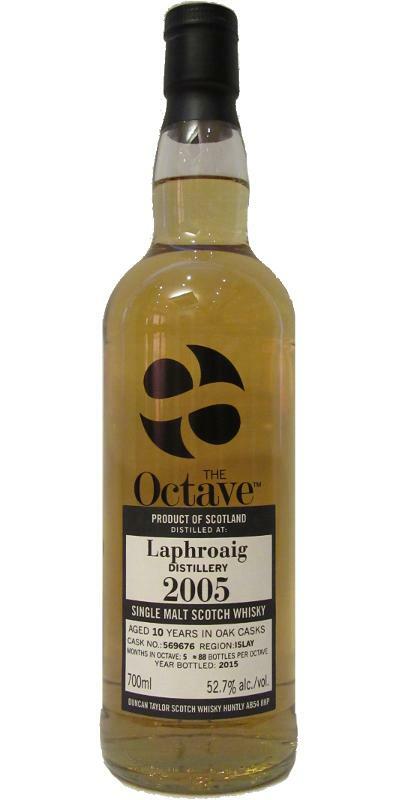 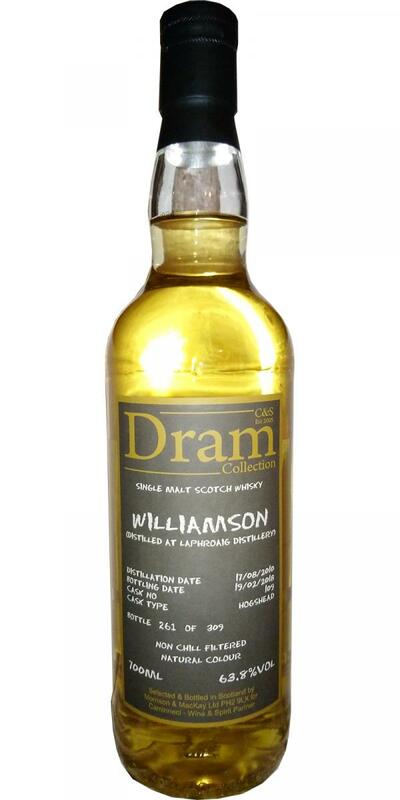 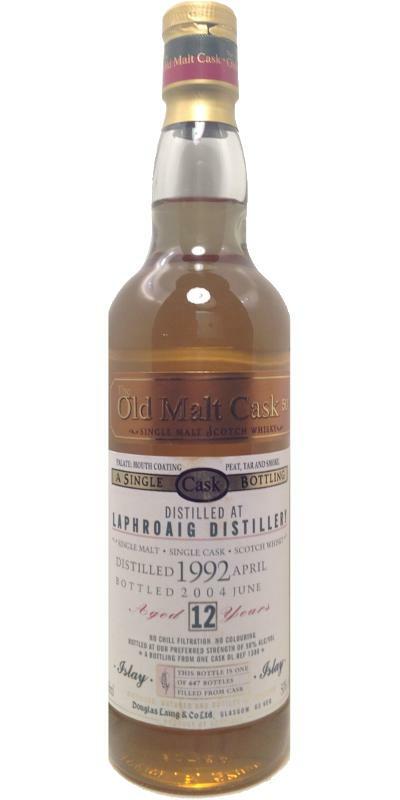 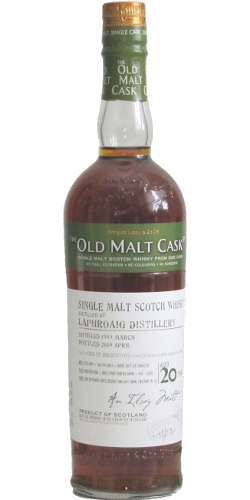 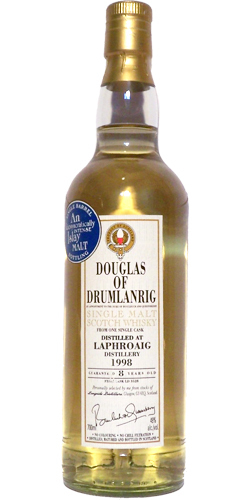 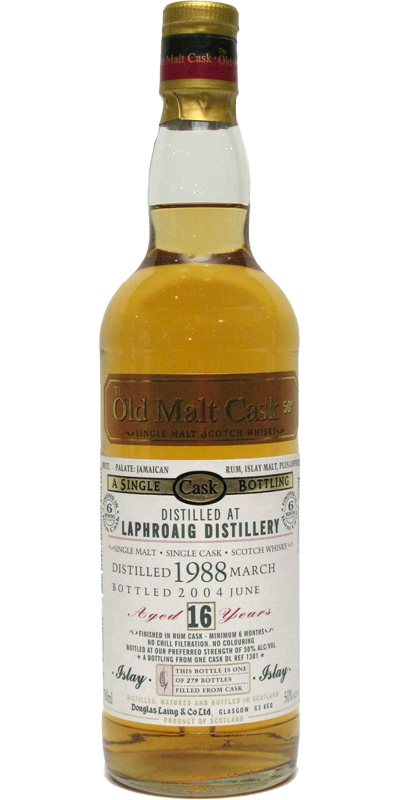 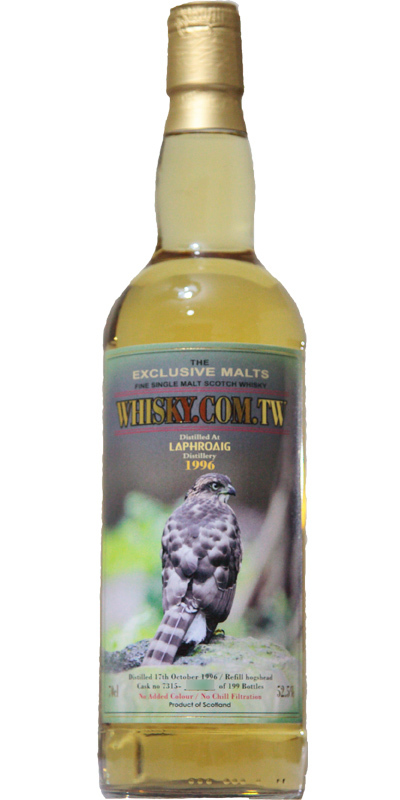 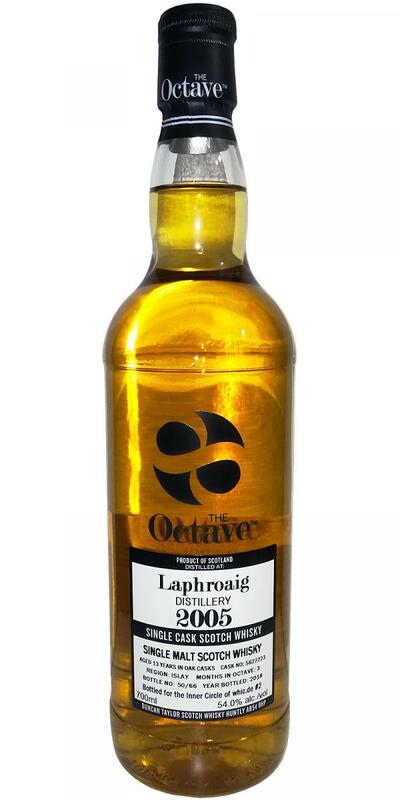 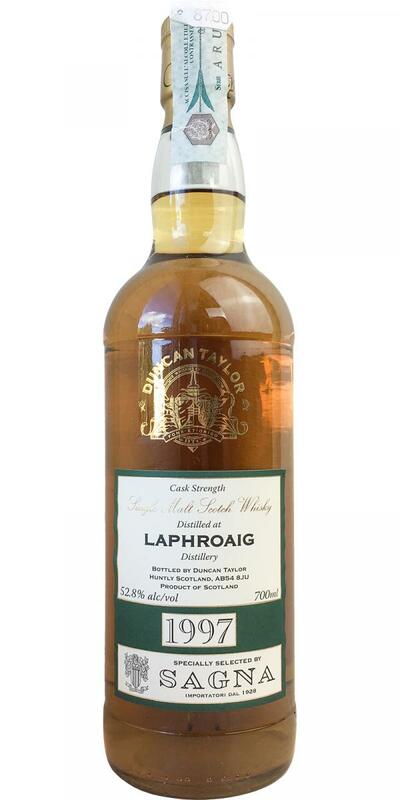 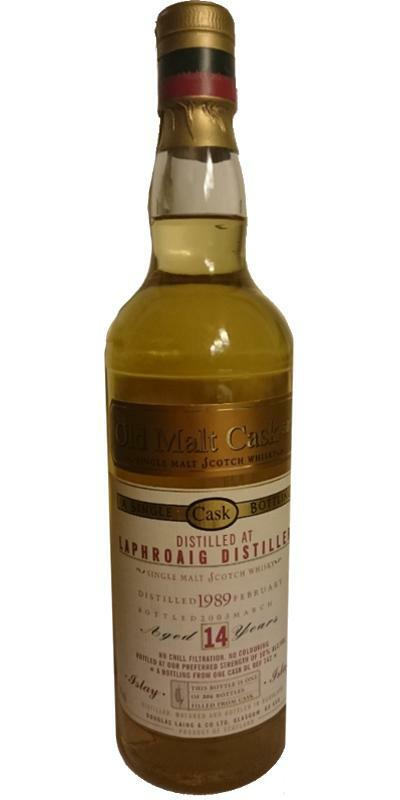 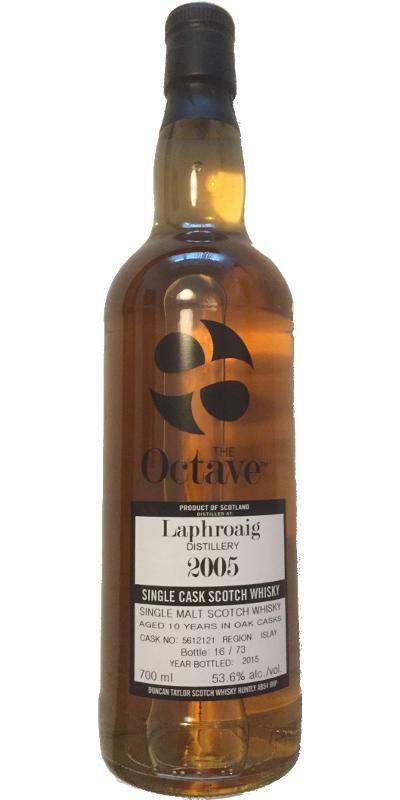 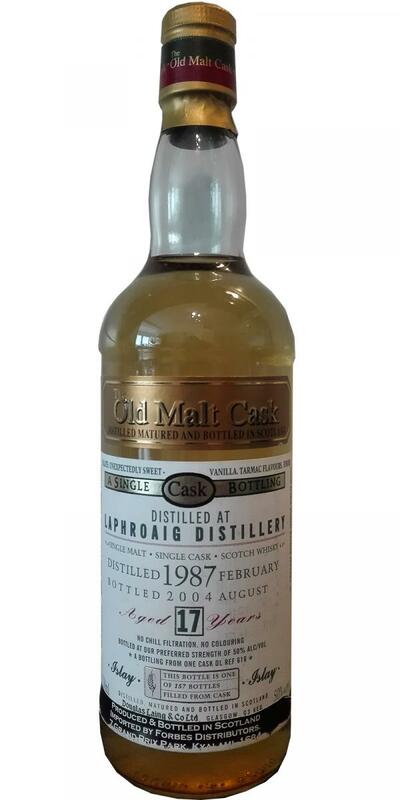 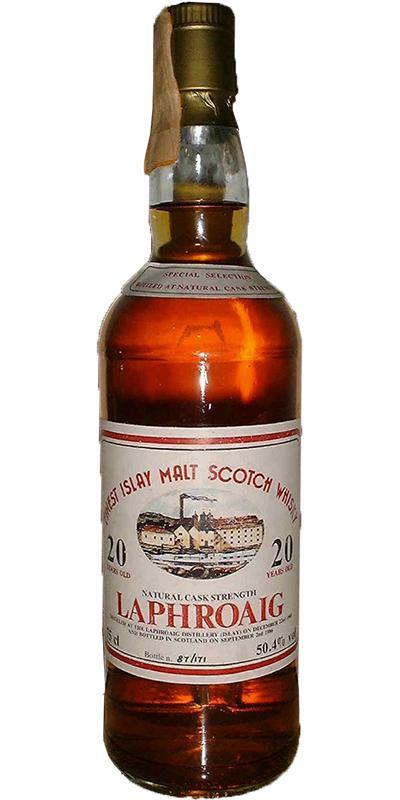 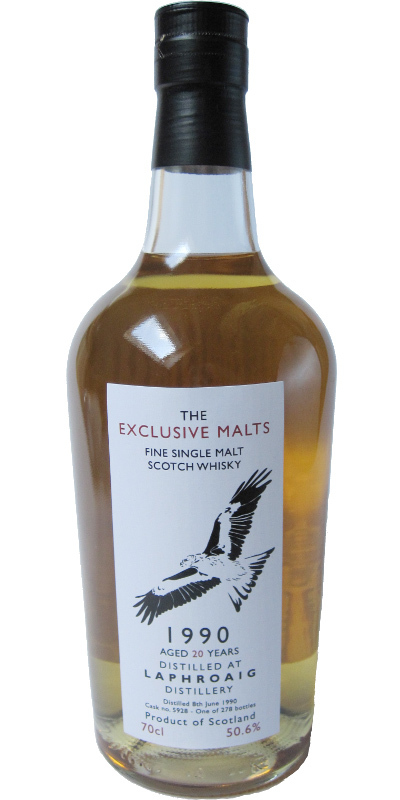 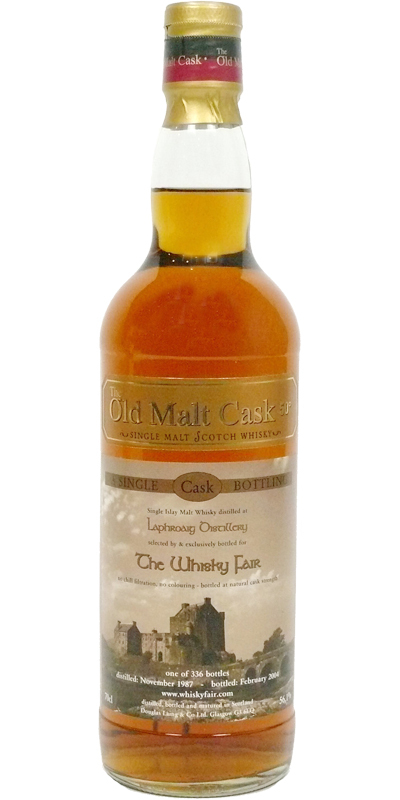 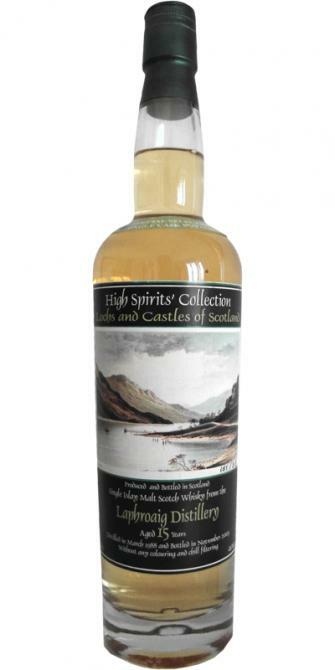 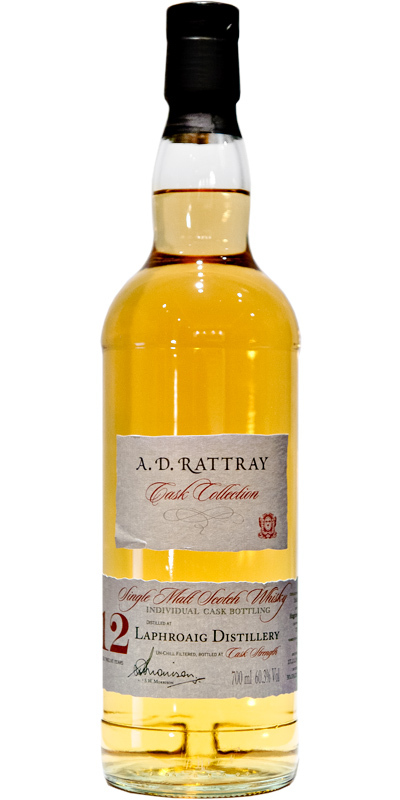 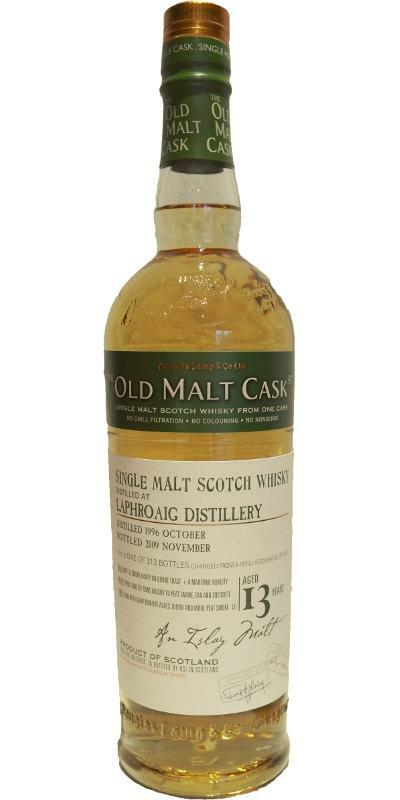 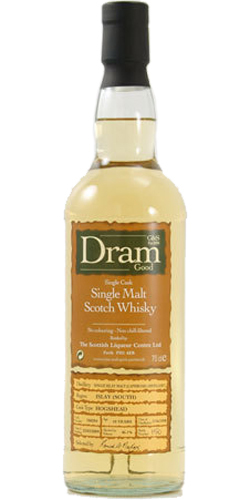 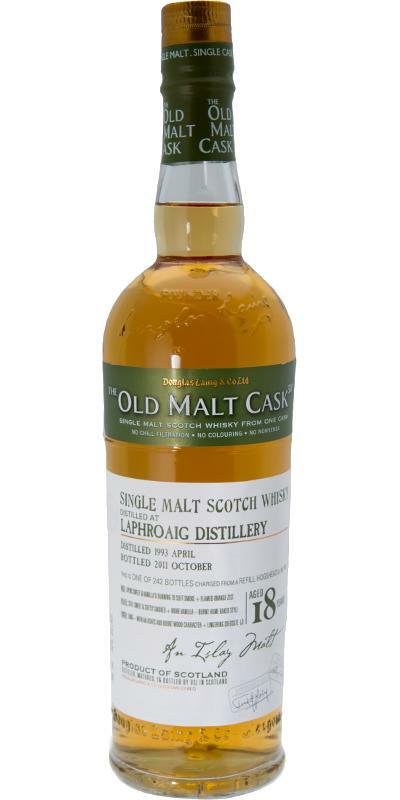 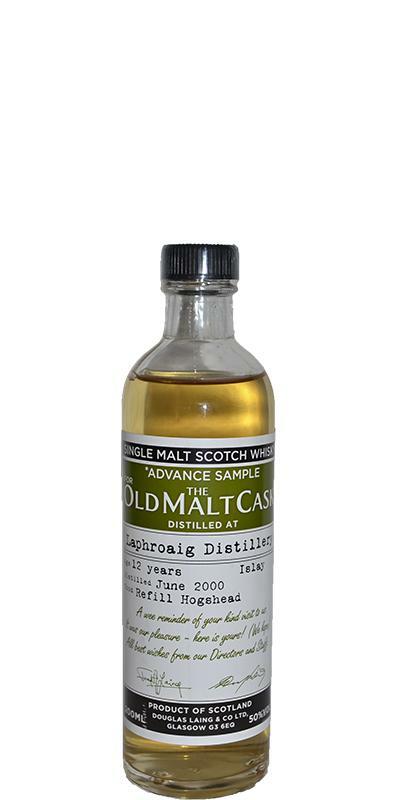 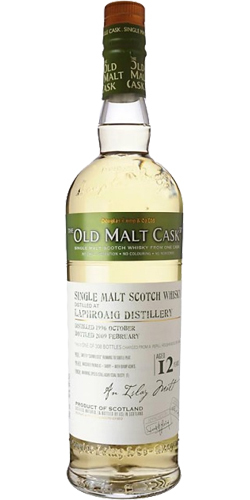 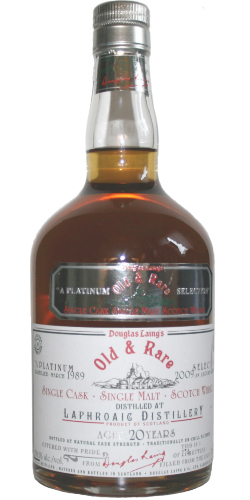 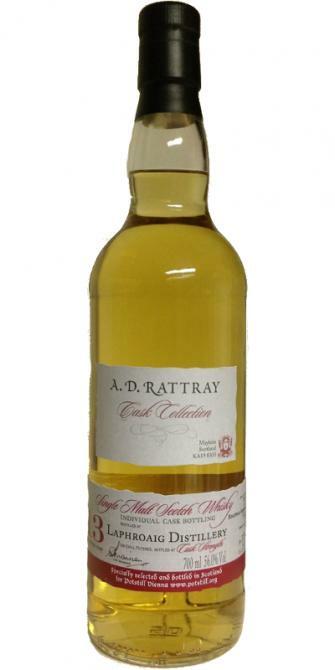 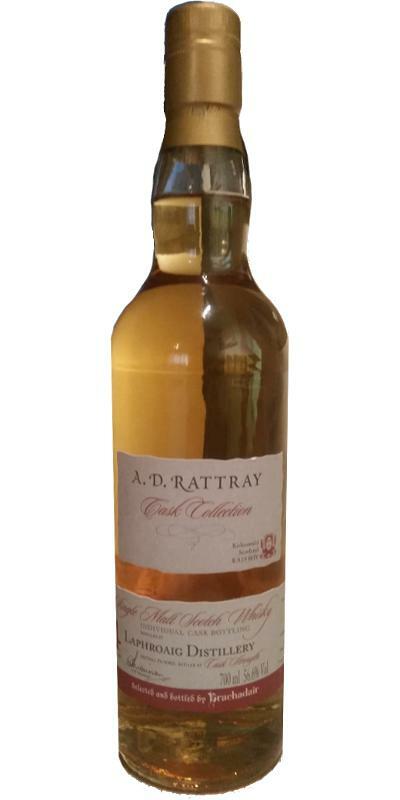 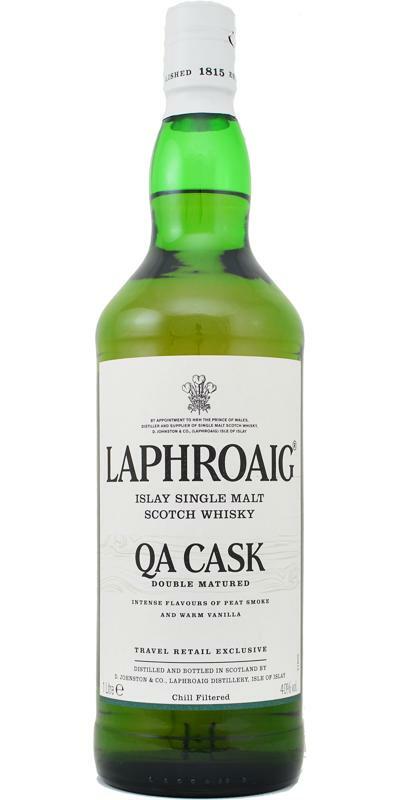 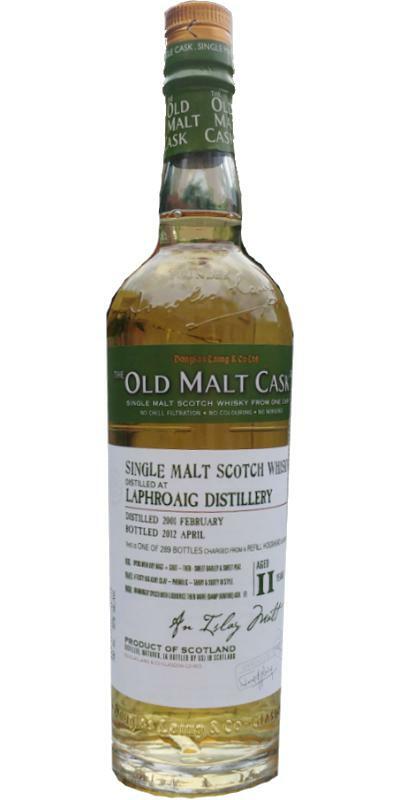 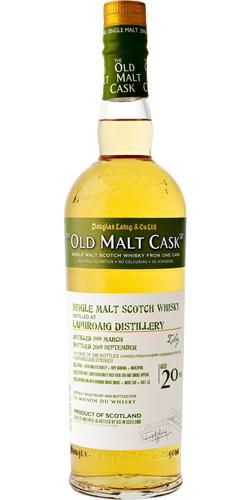 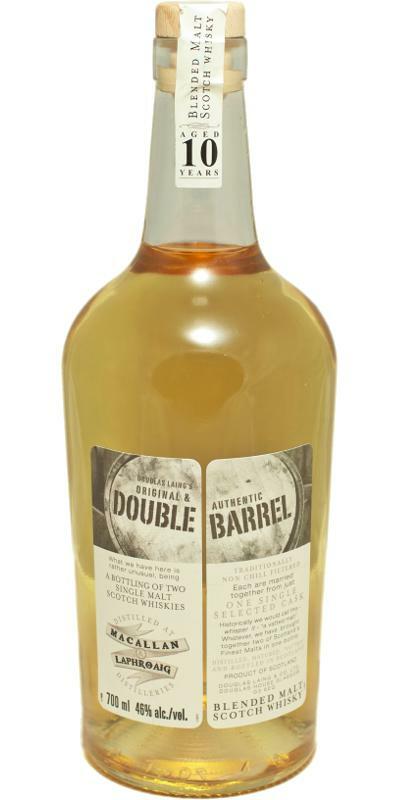 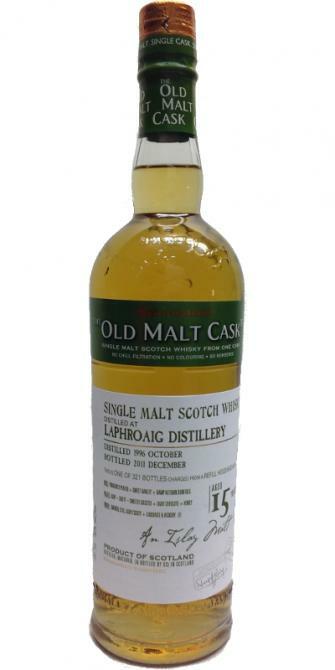 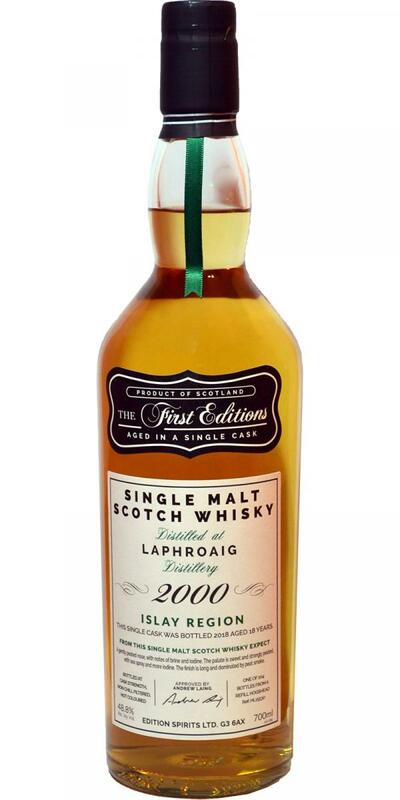 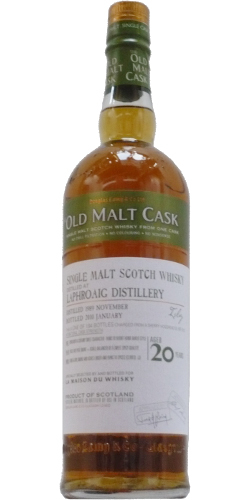 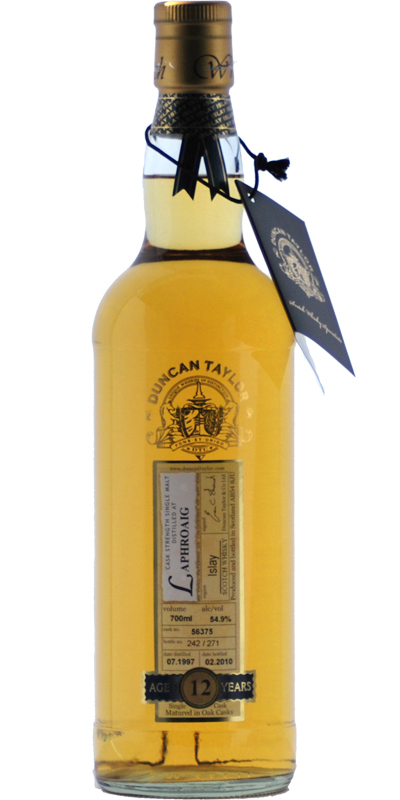 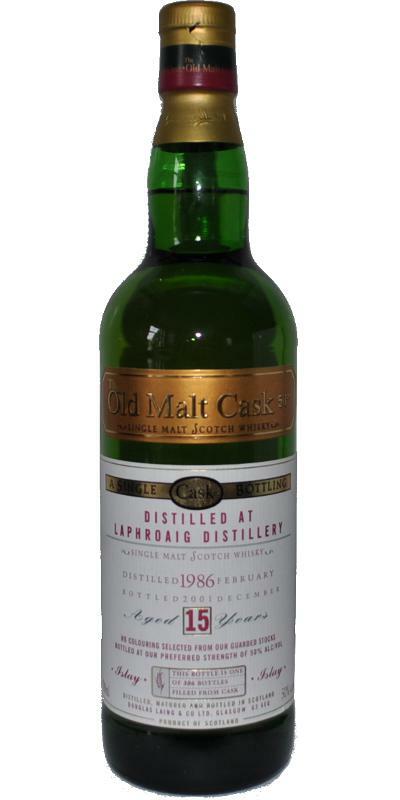 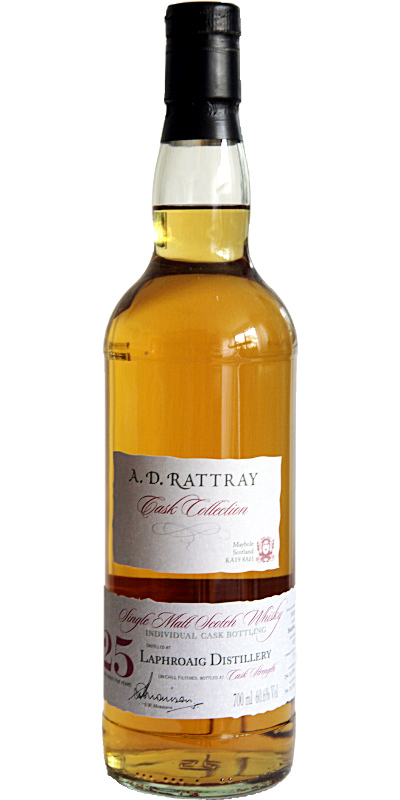 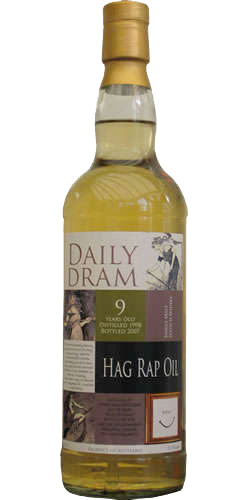 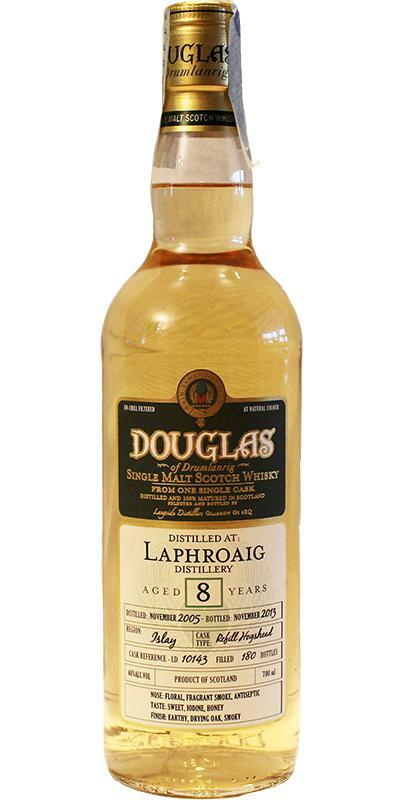 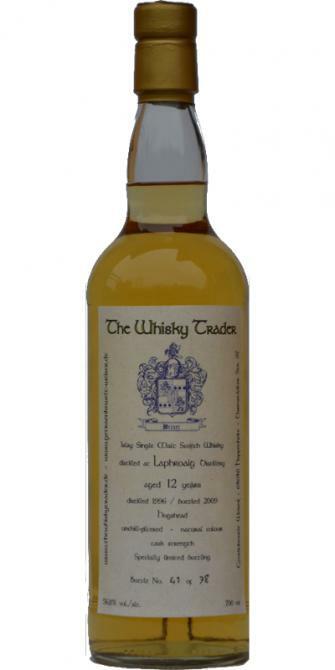 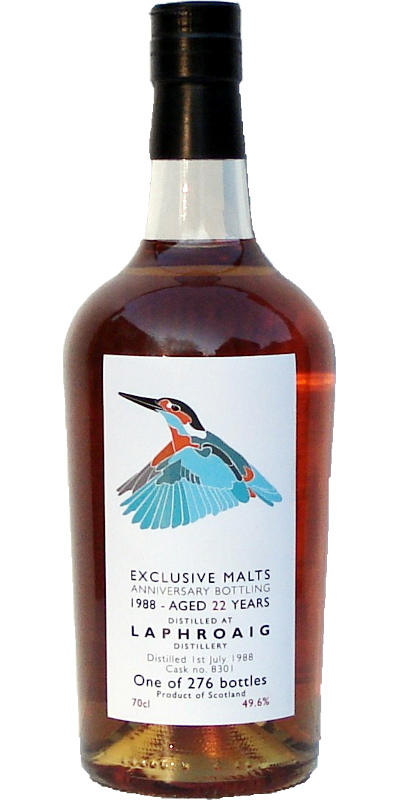 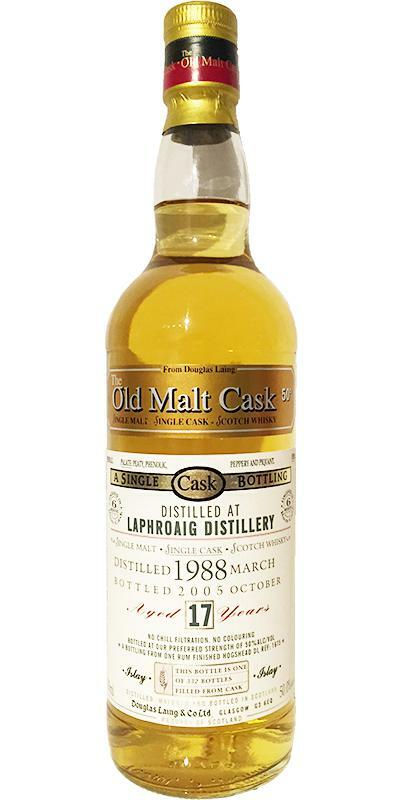 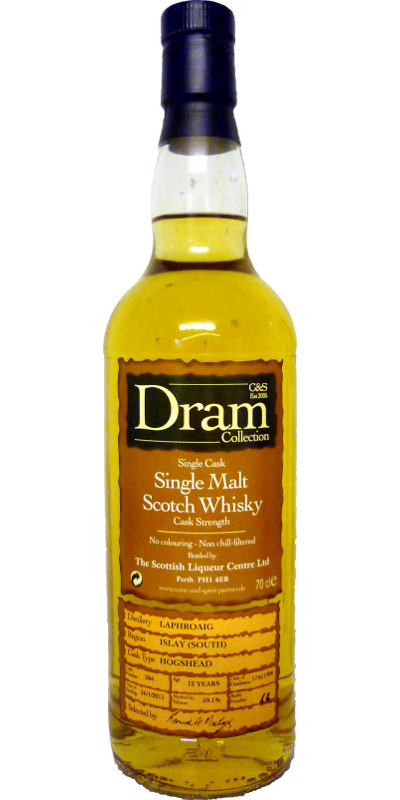 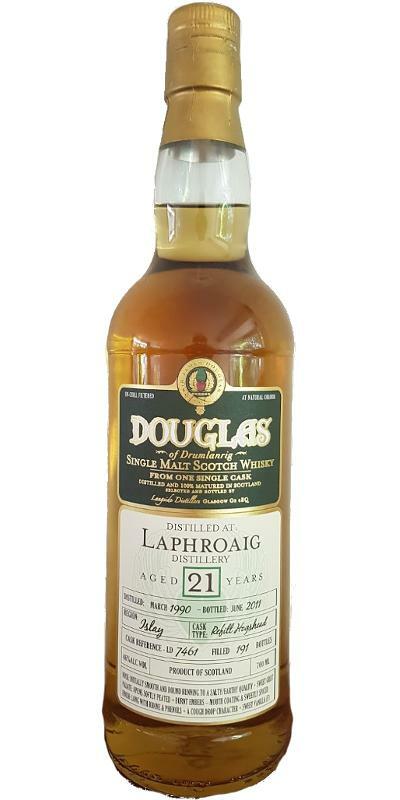 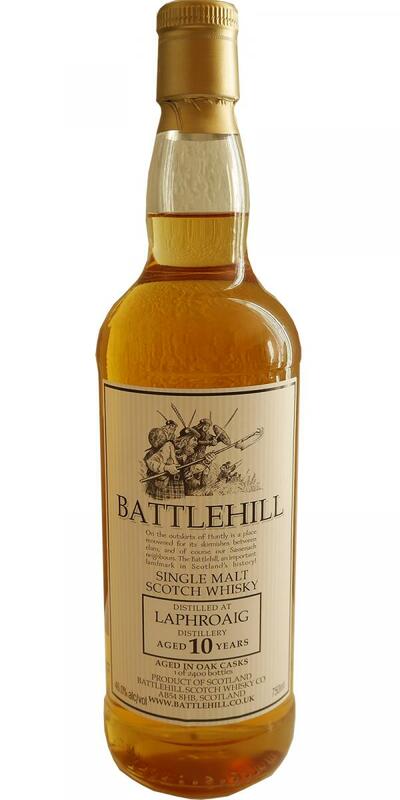 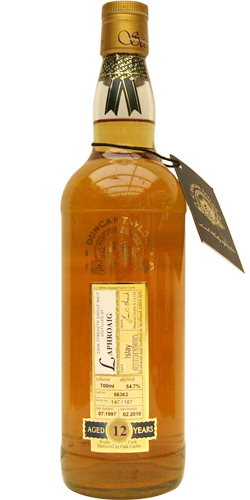 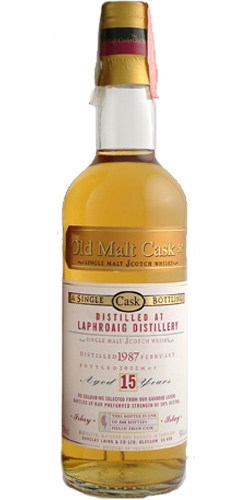 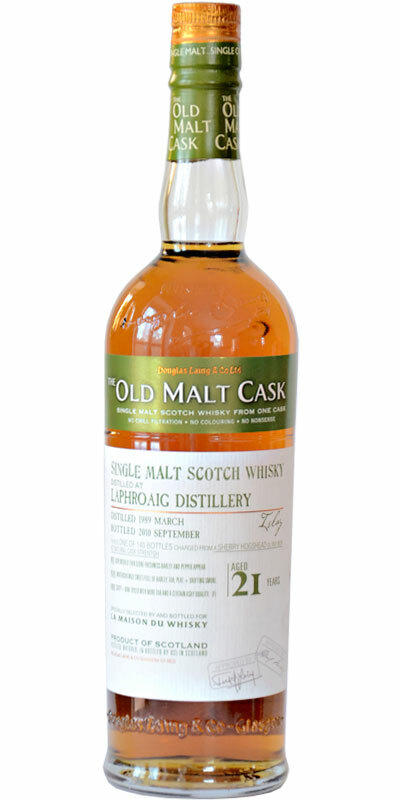 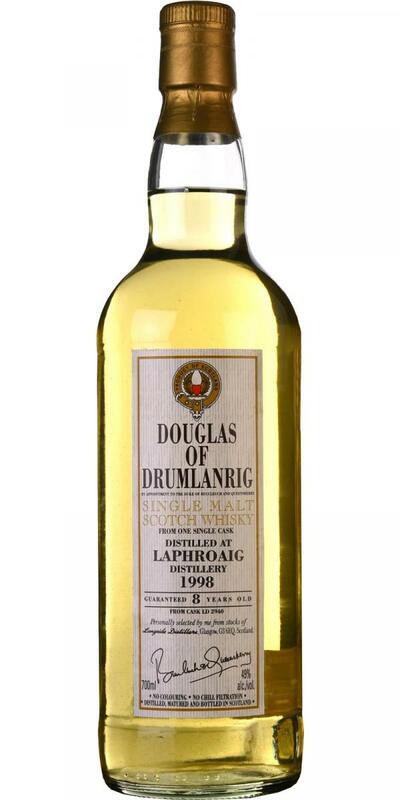 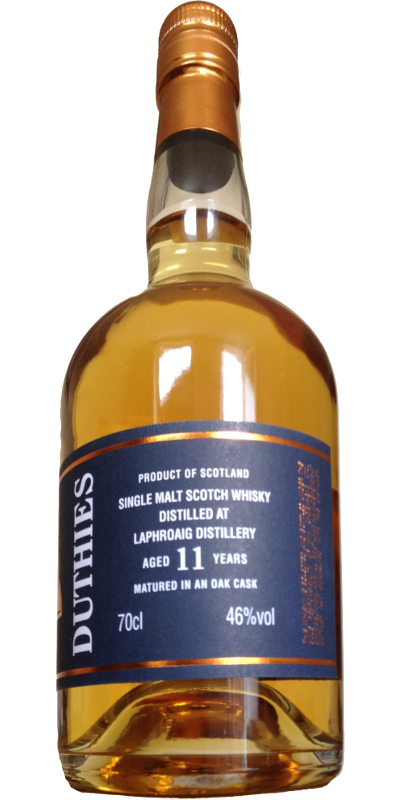 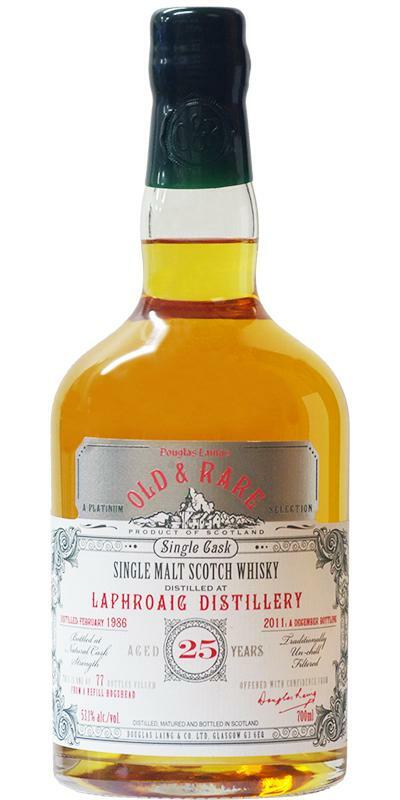 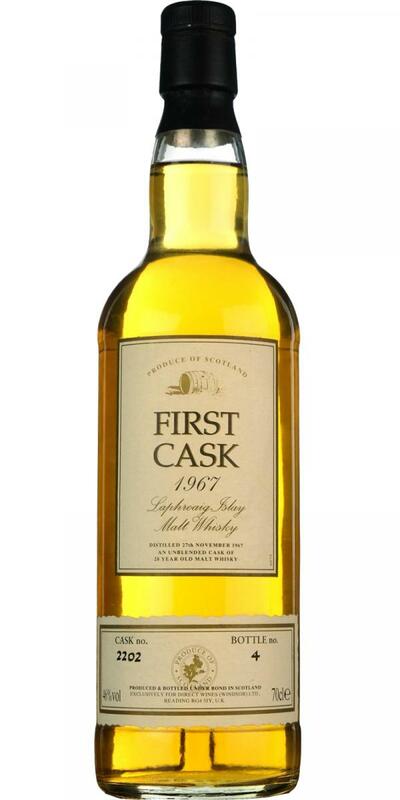 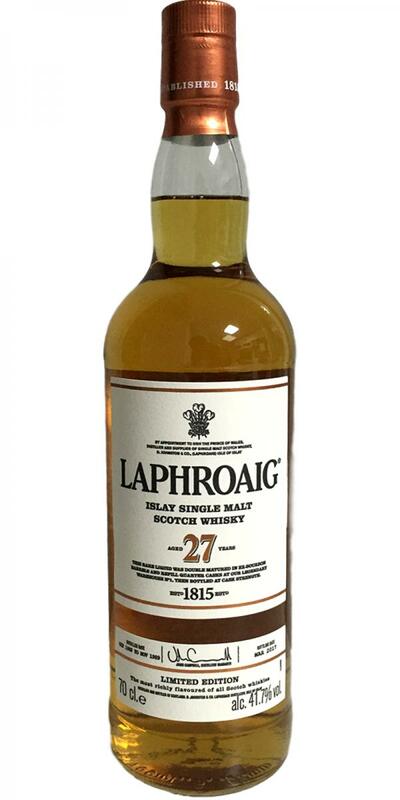 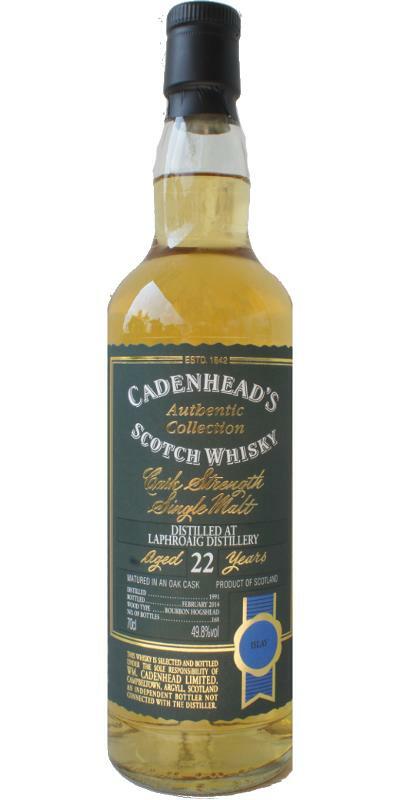 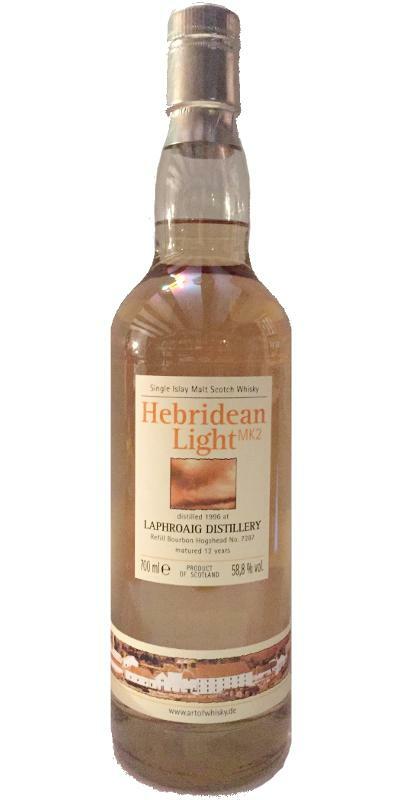 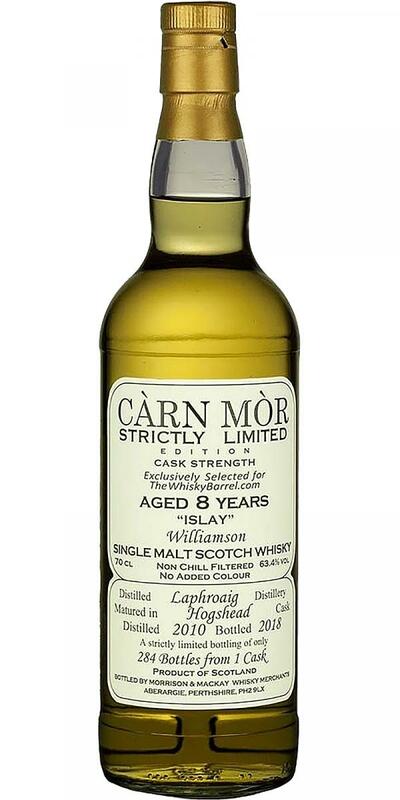 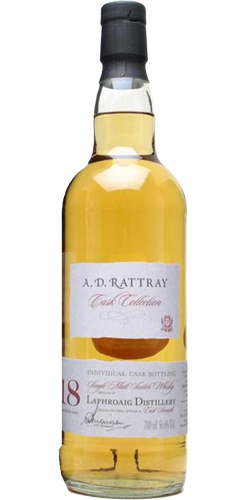 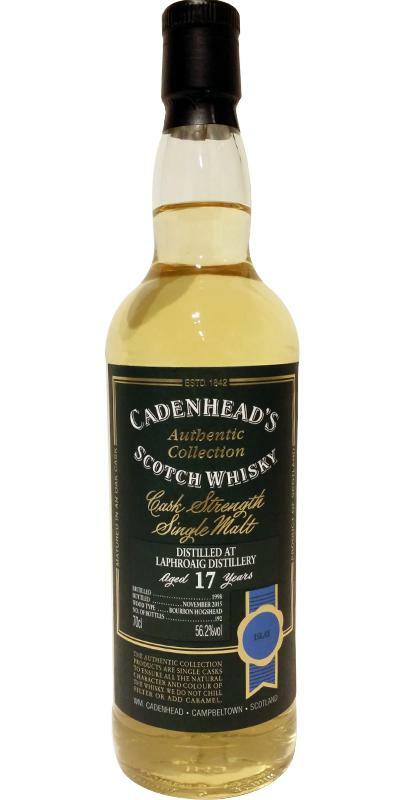 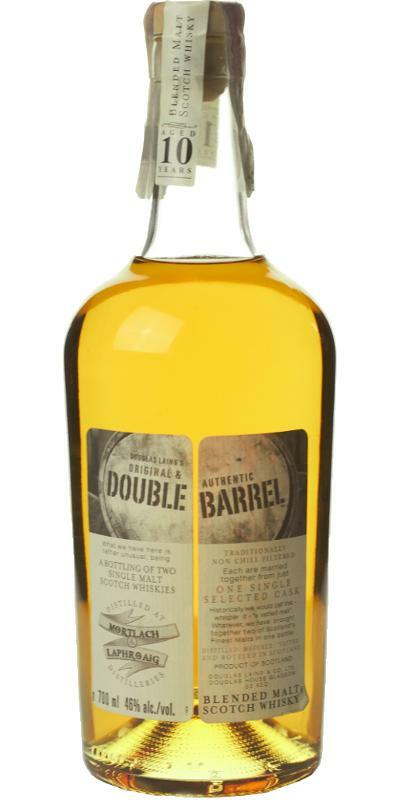 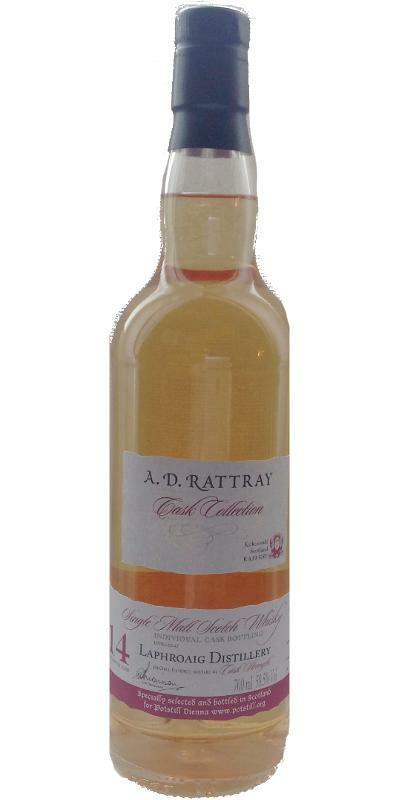 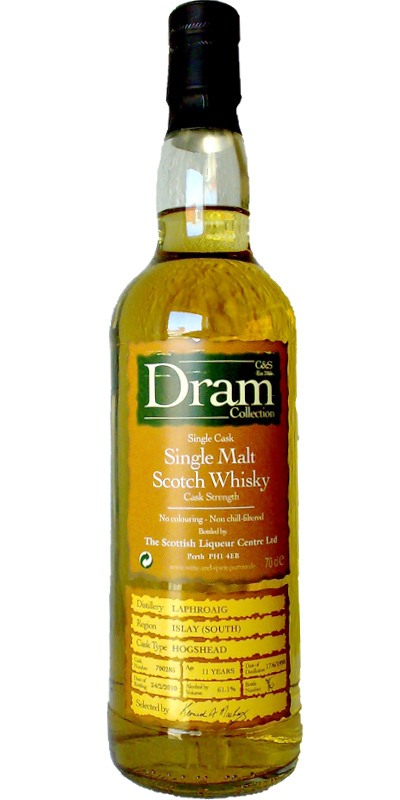 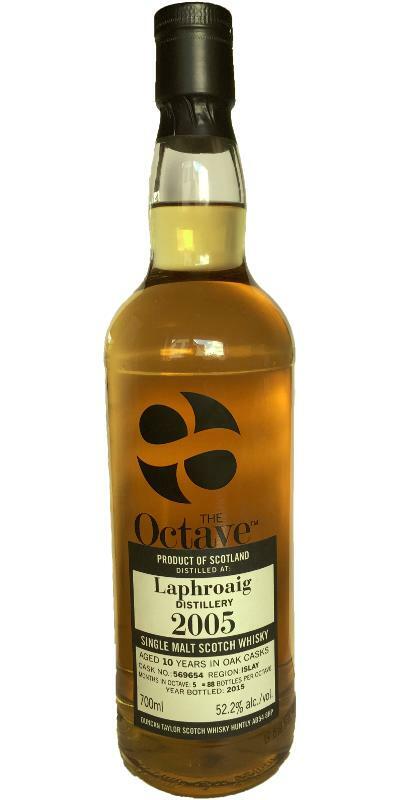 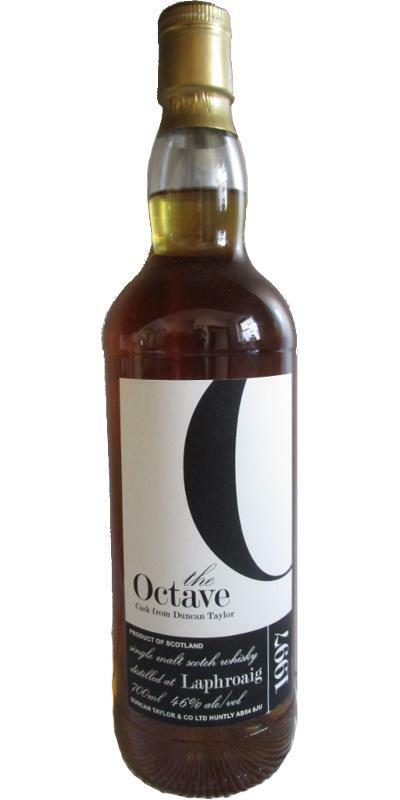 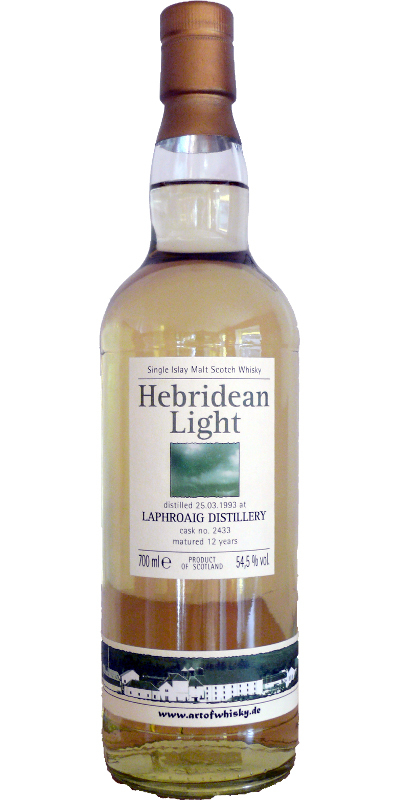 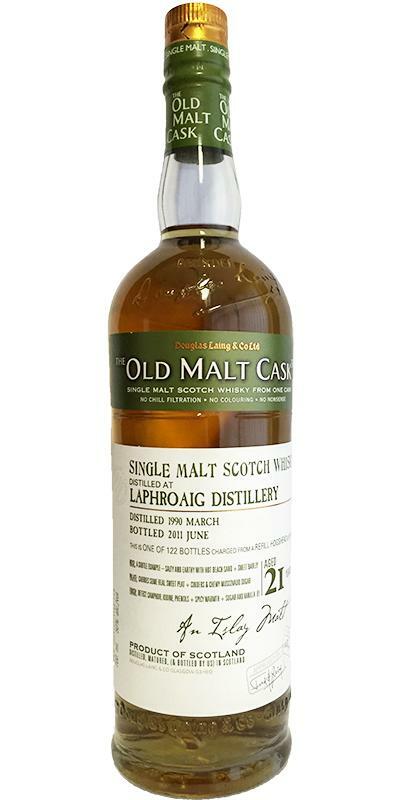 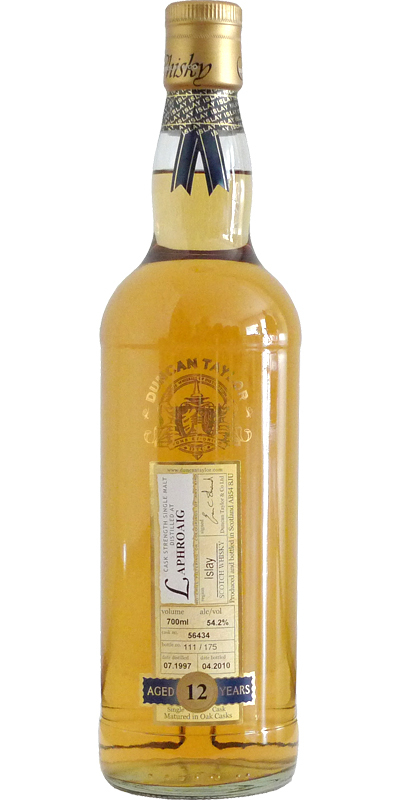 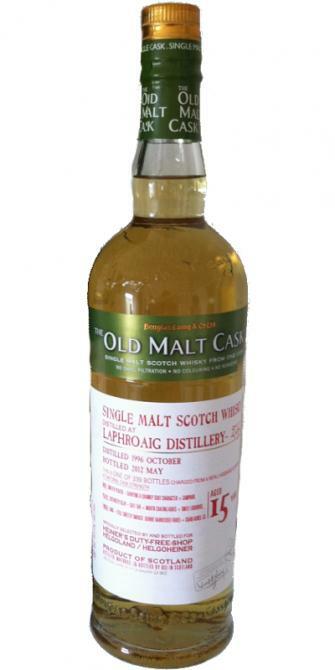 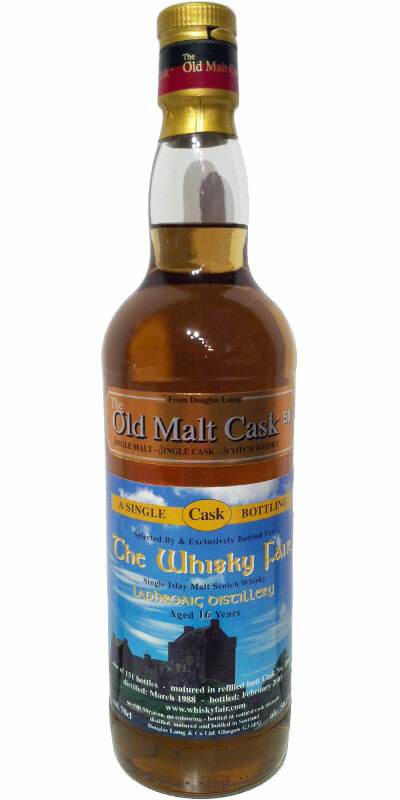 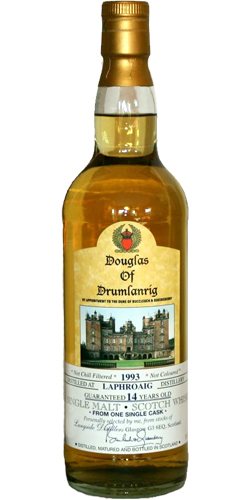 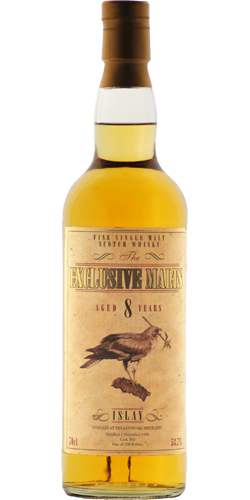 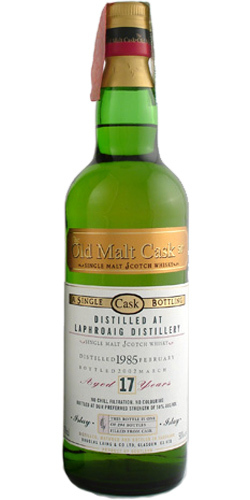 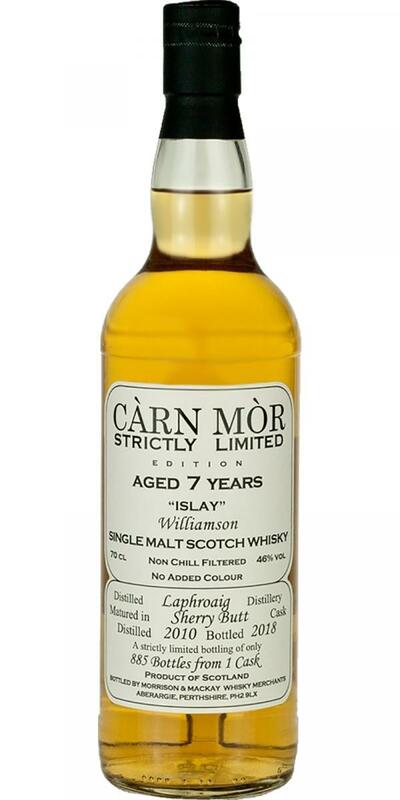 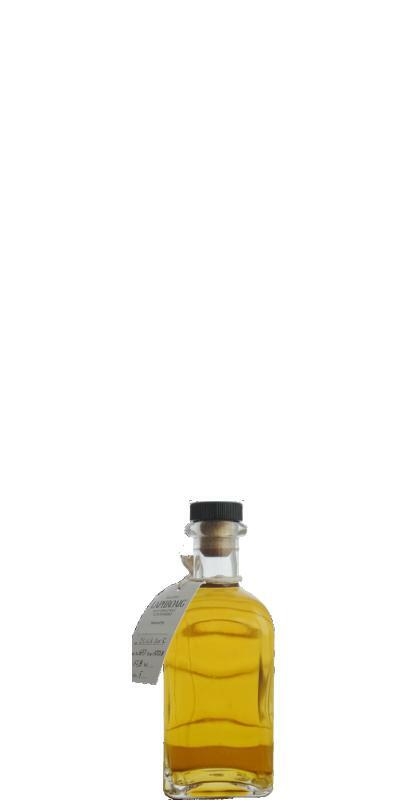 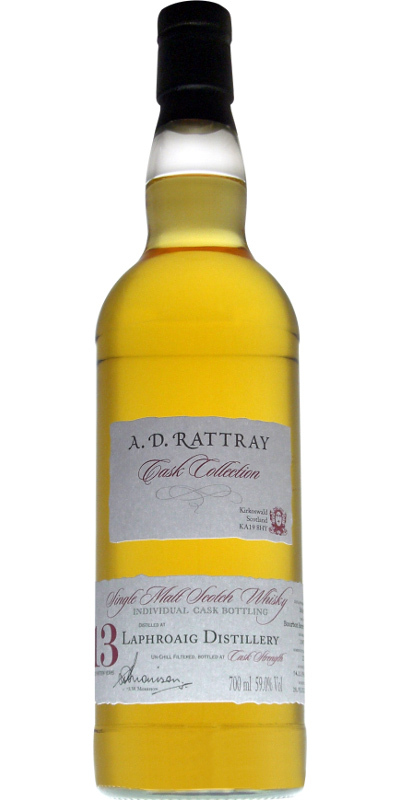 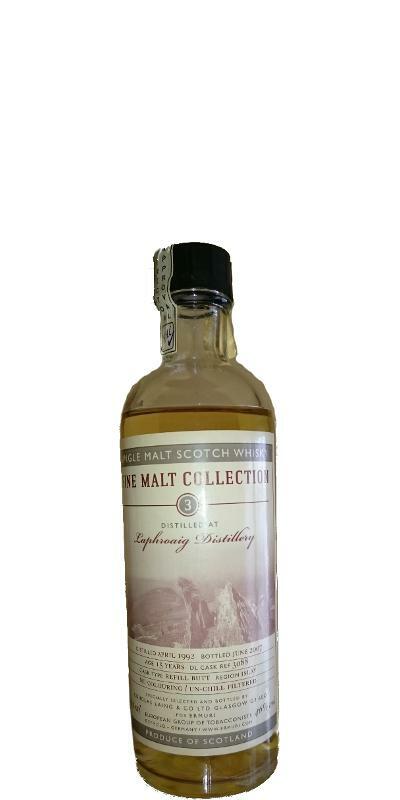 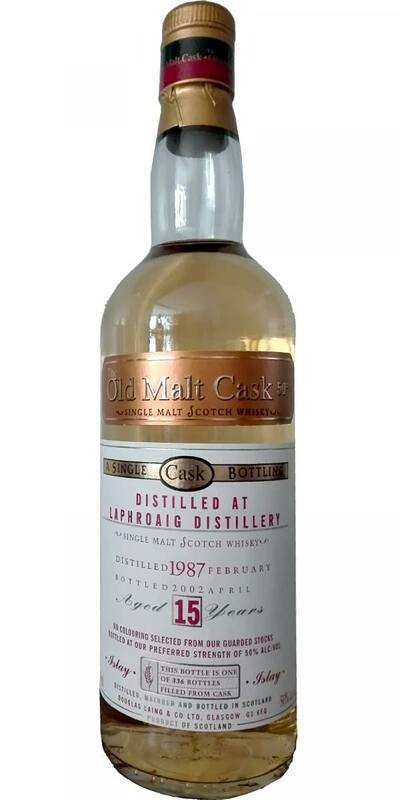 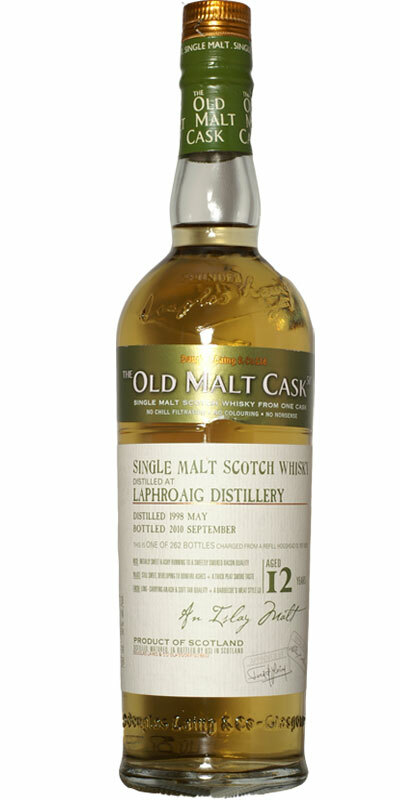 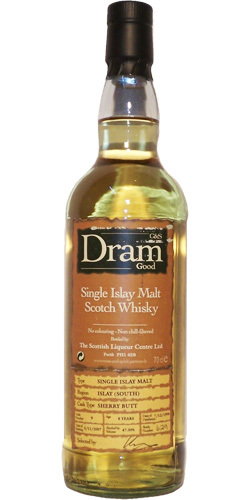 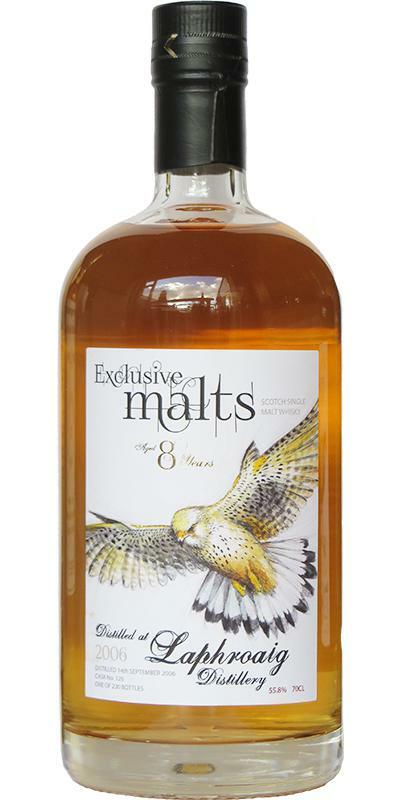 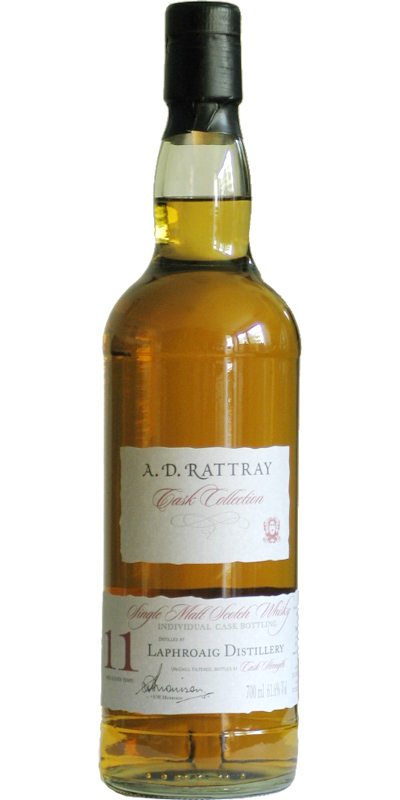 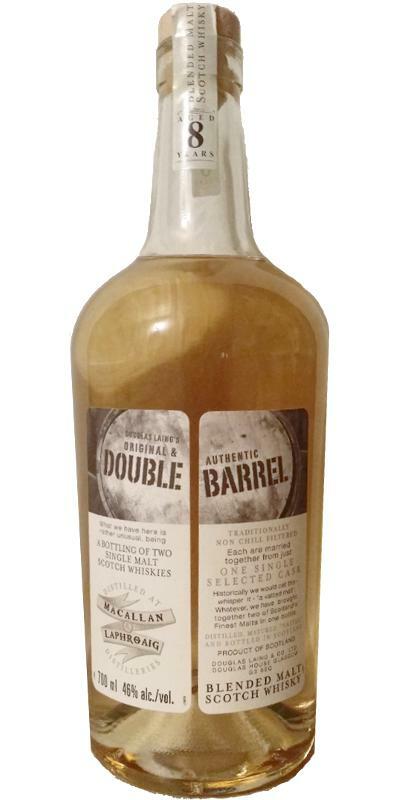 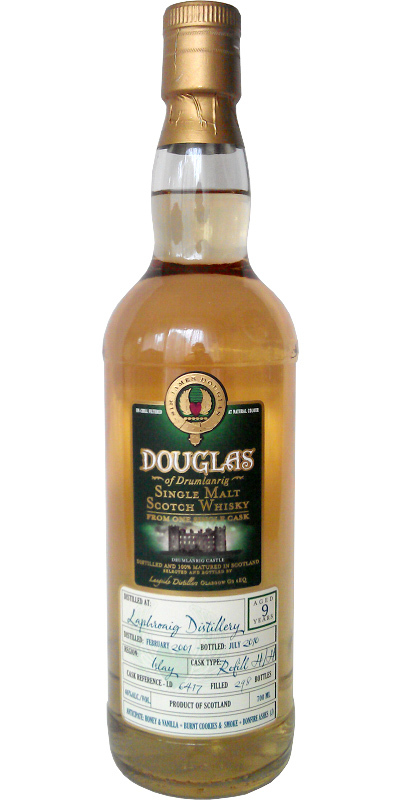 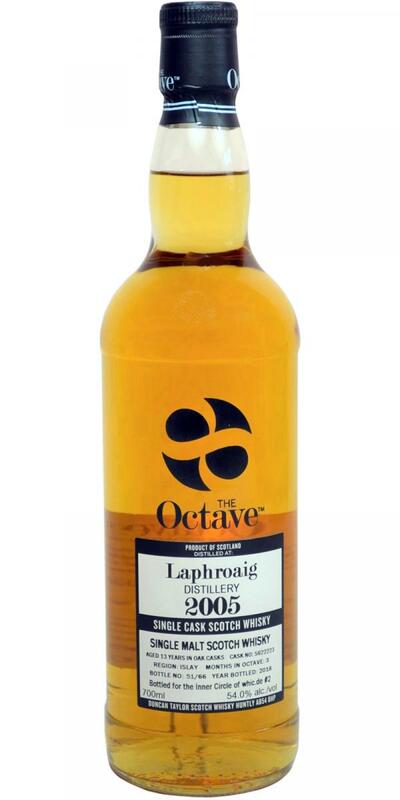 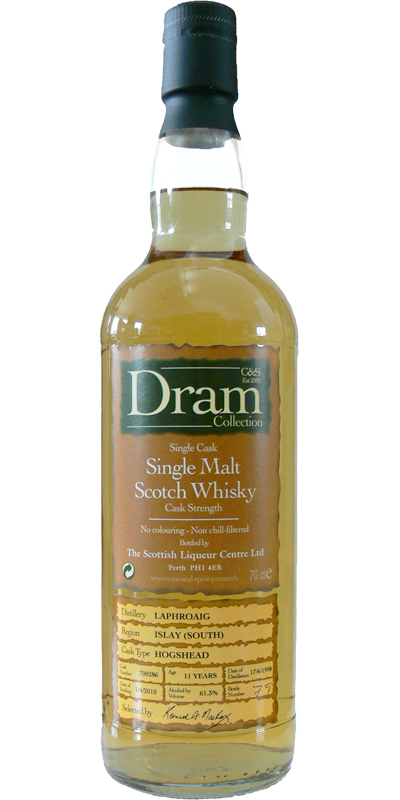 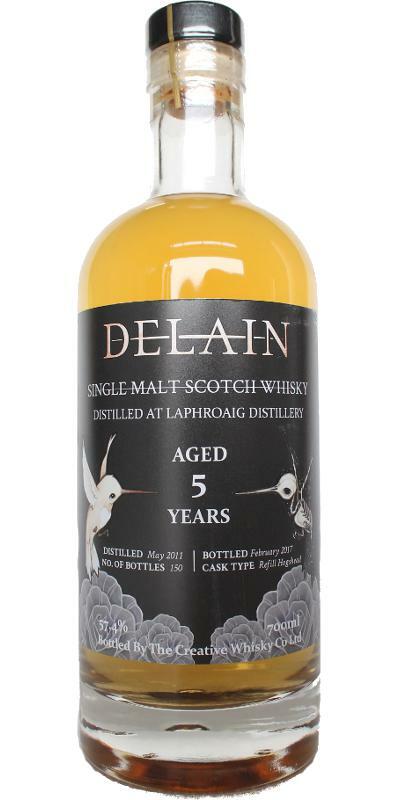 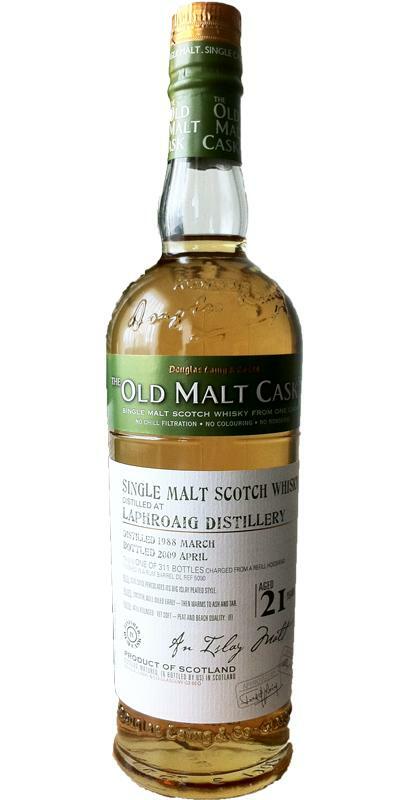 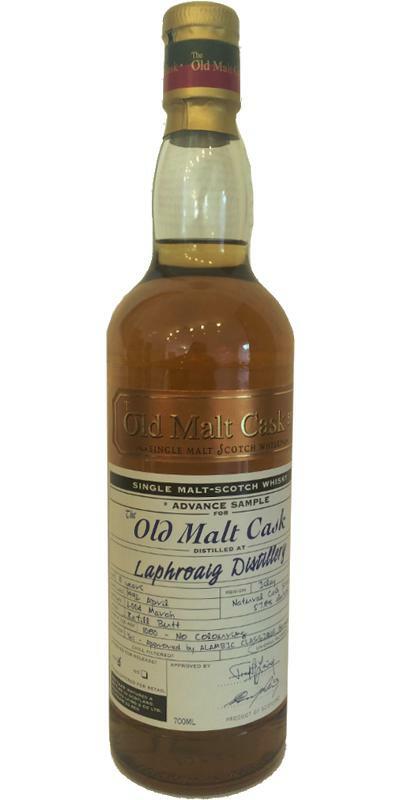 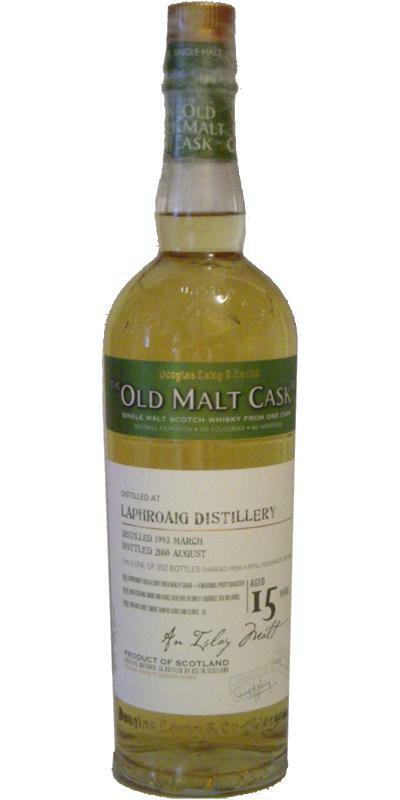 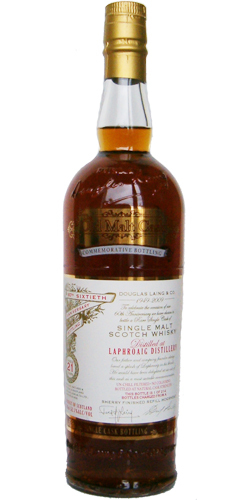 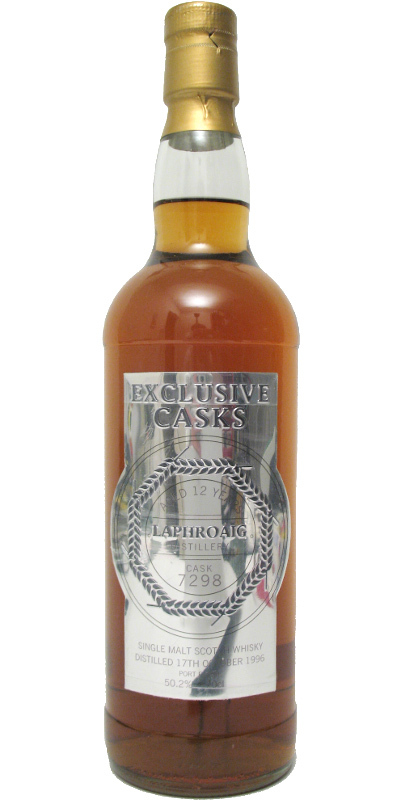 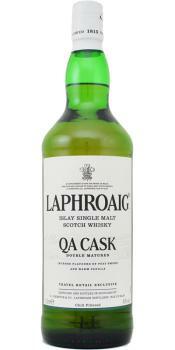 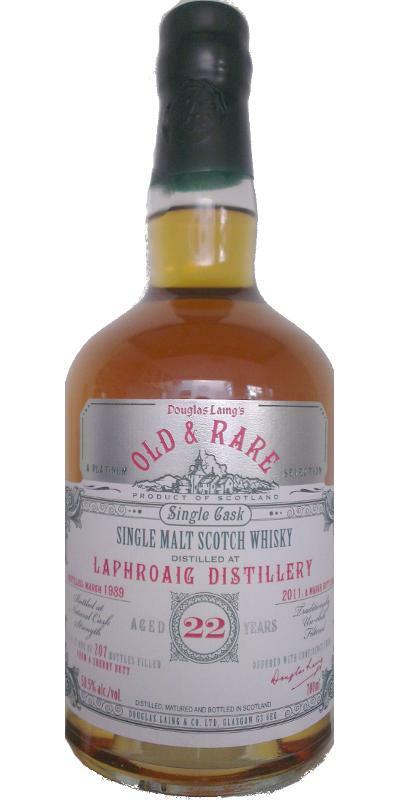 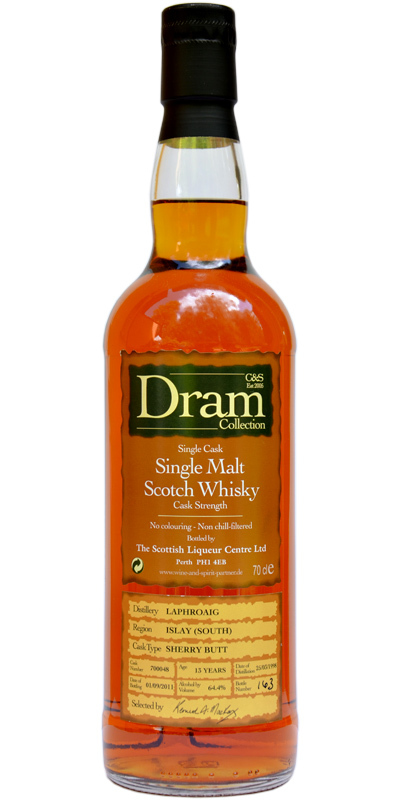 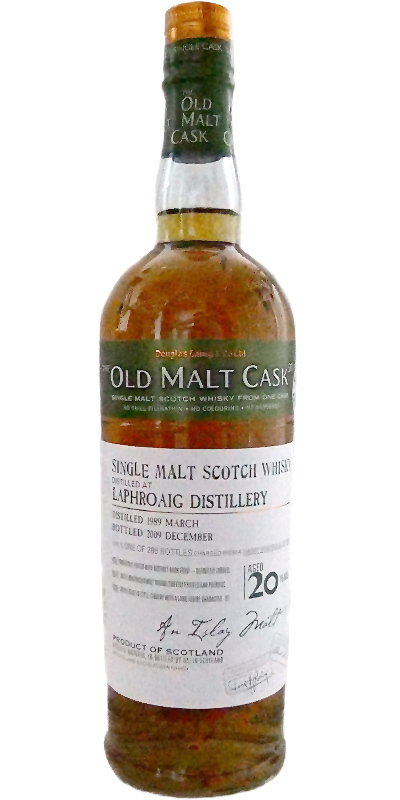 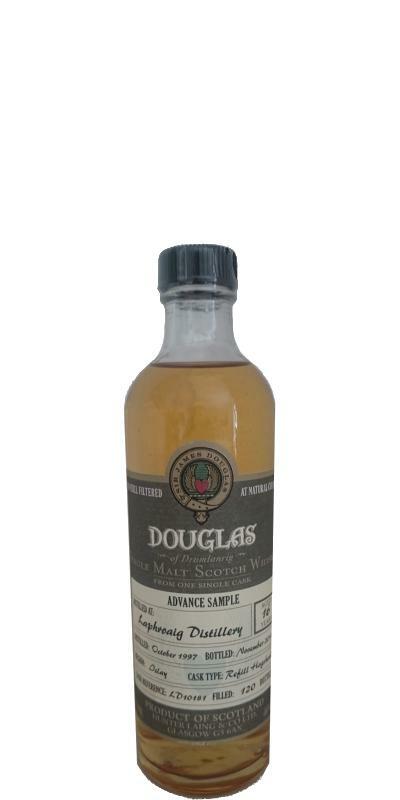 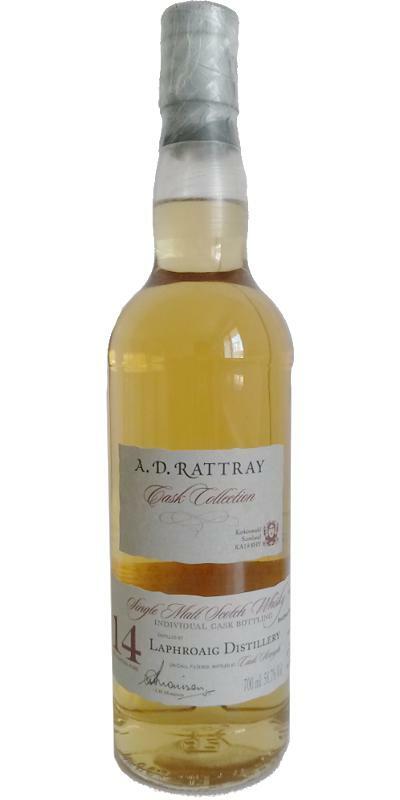 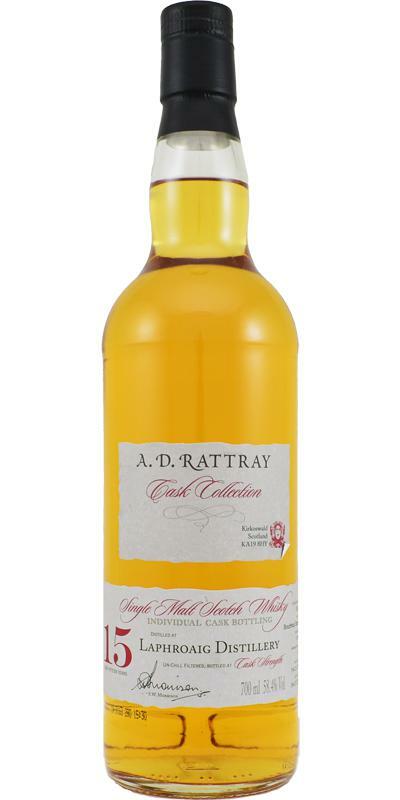 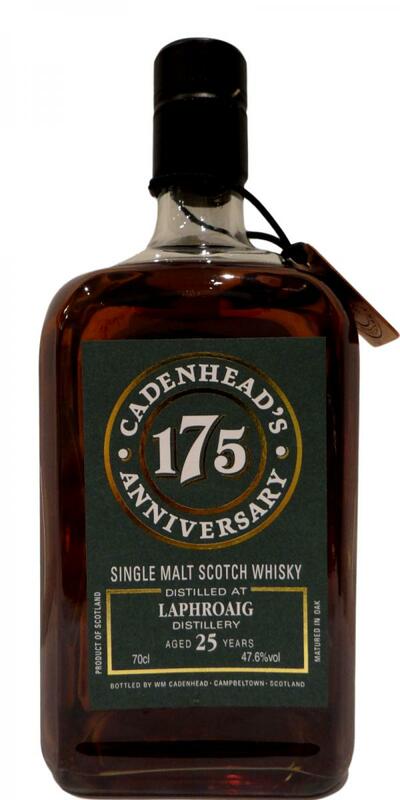 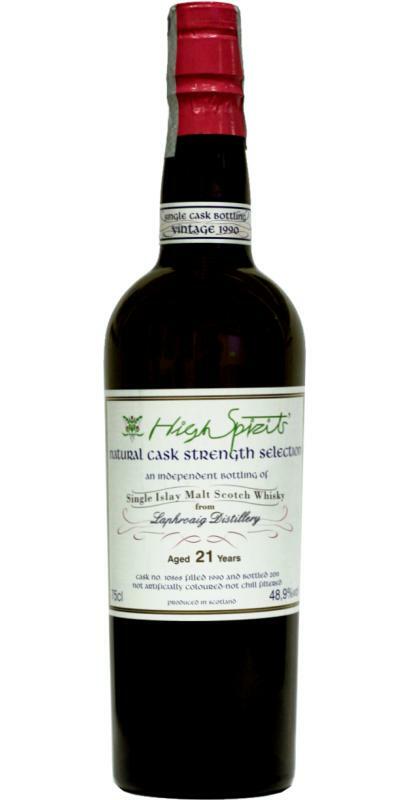 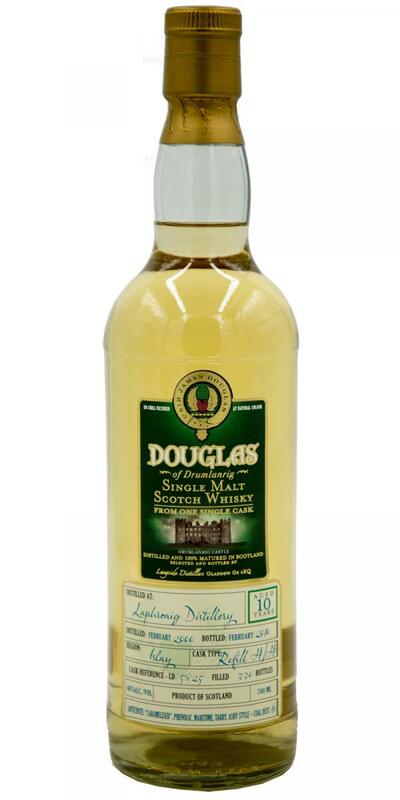 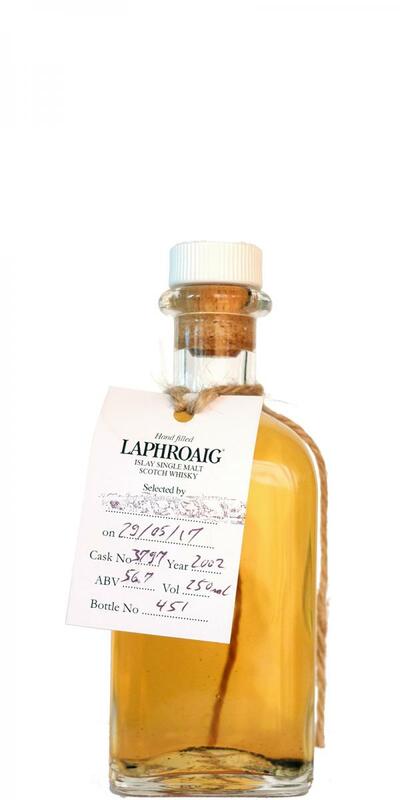 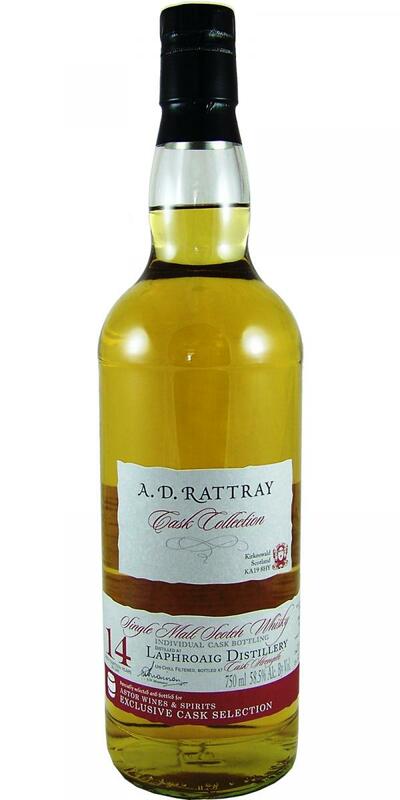 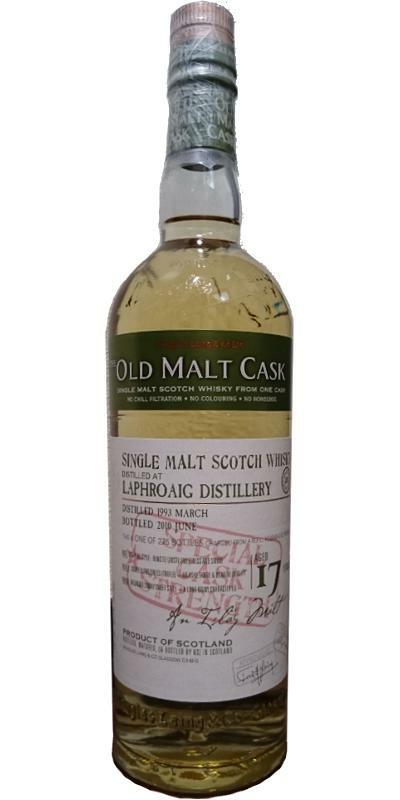 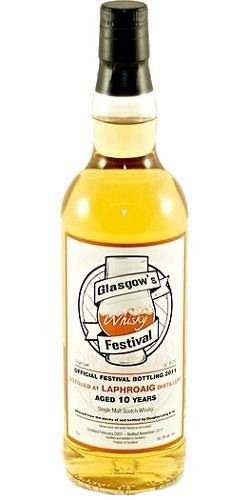 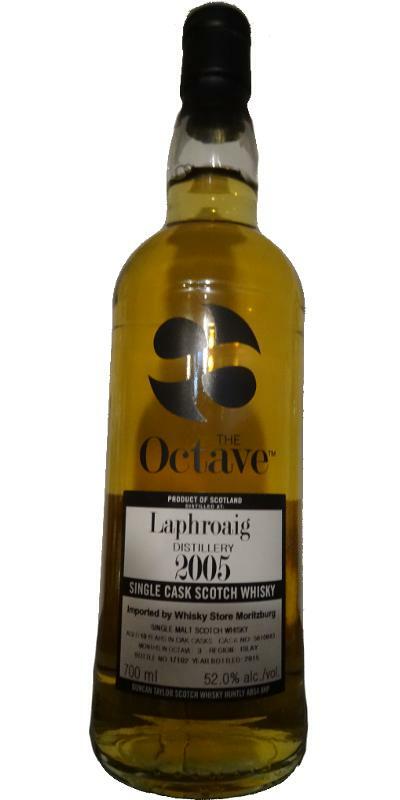 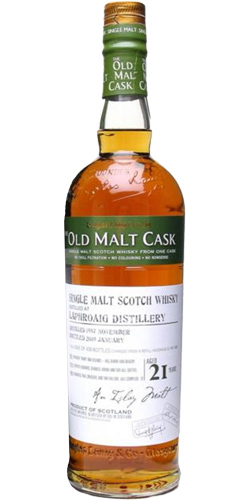 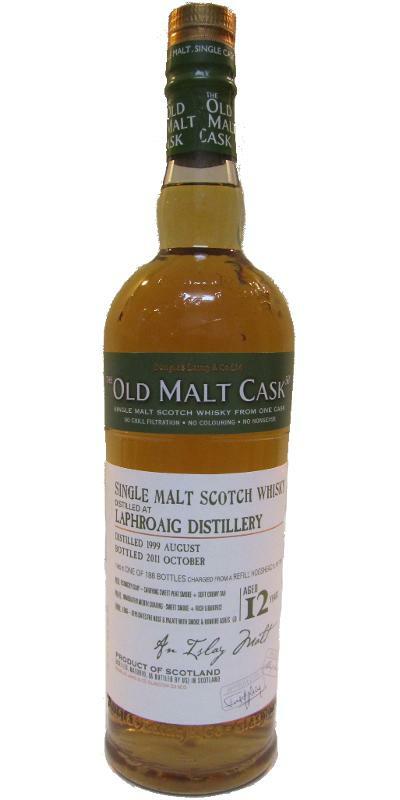 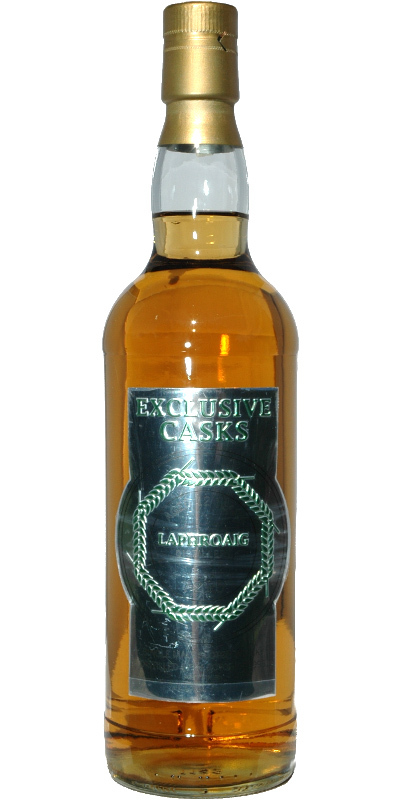 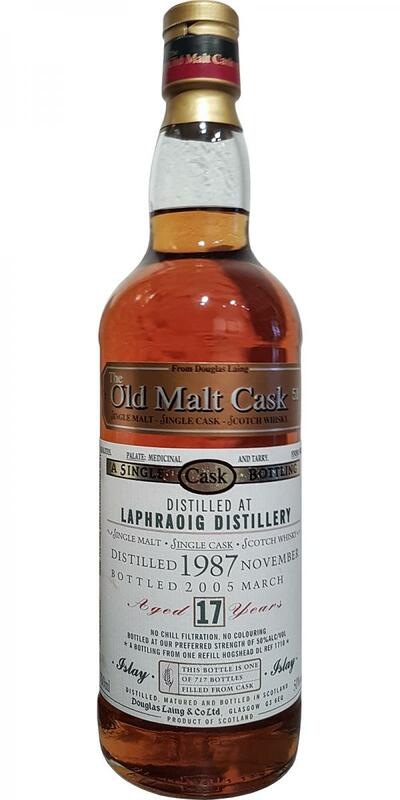 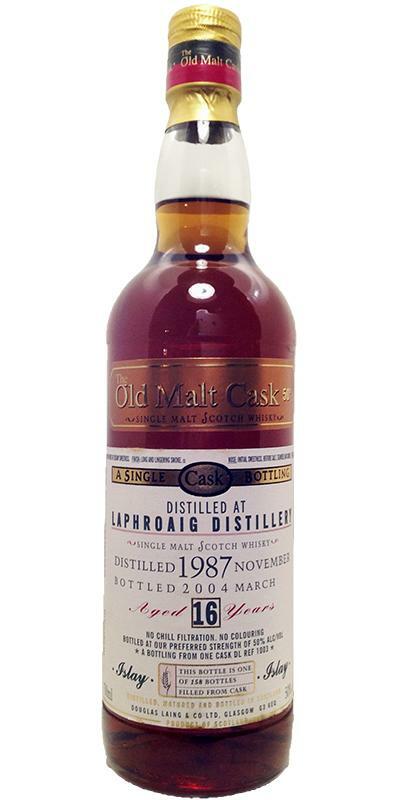 Laphroaig 07-year-old DL Old Malt Cask 07 50.0 % Vol. 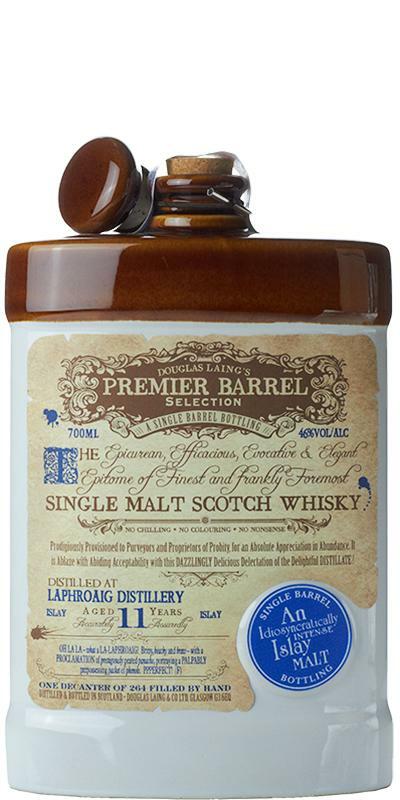 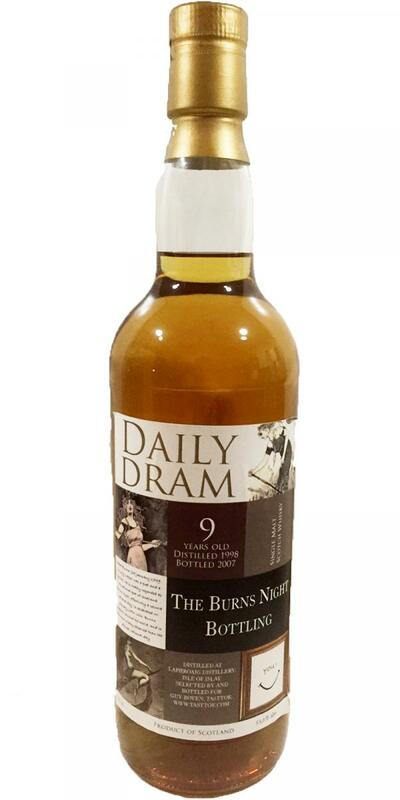 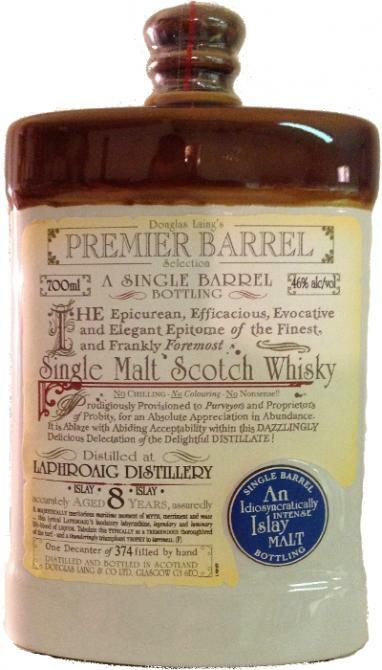 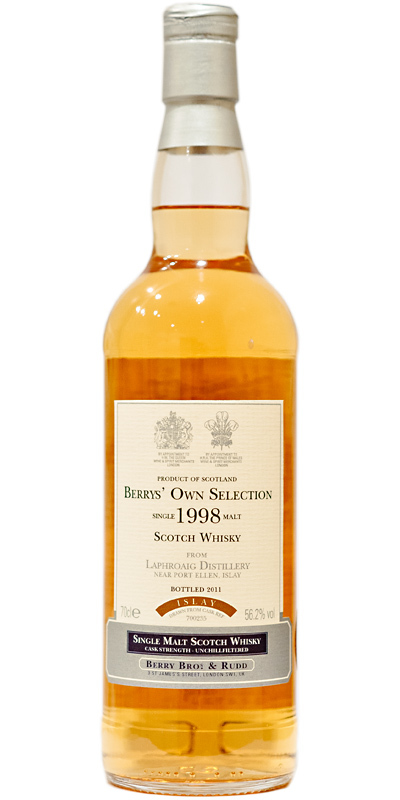 Laphroaig 09-year-old DL Premier Barrel Selection 09 46.0 % Vol. 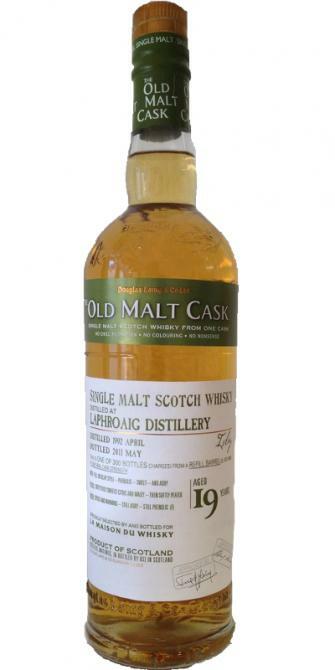 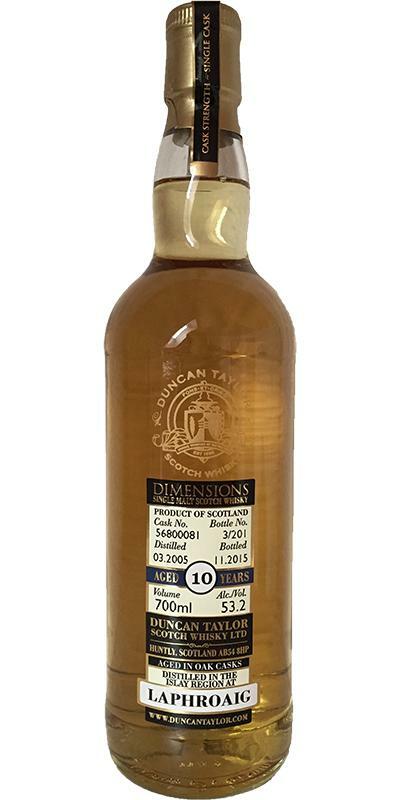 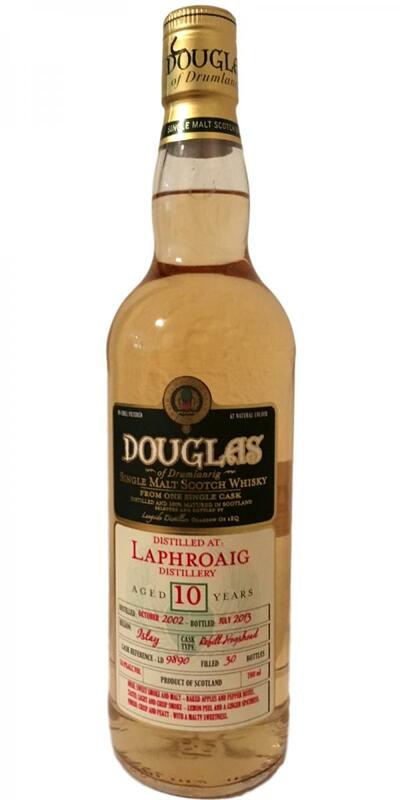 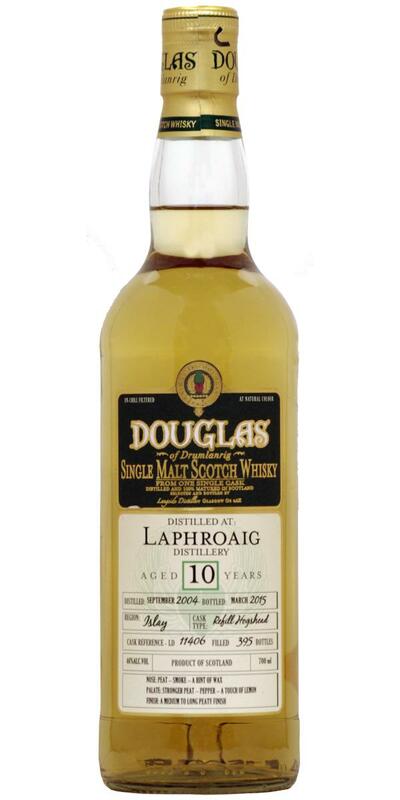 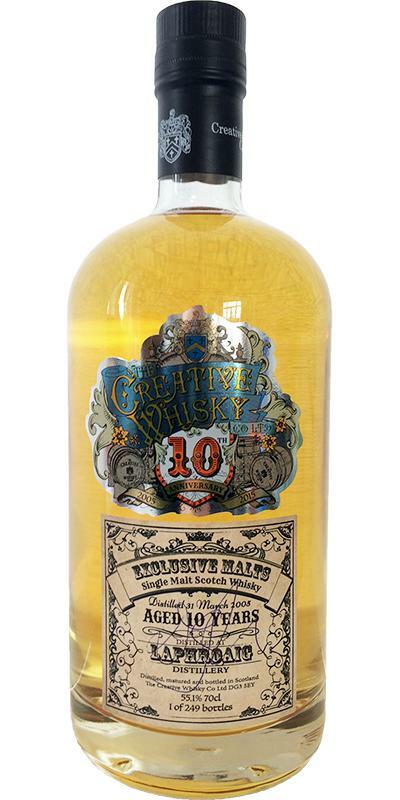 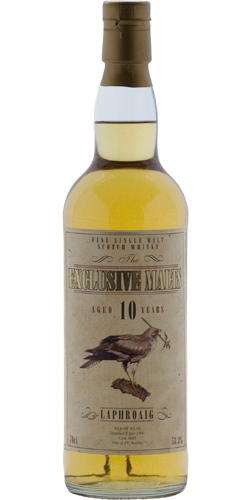 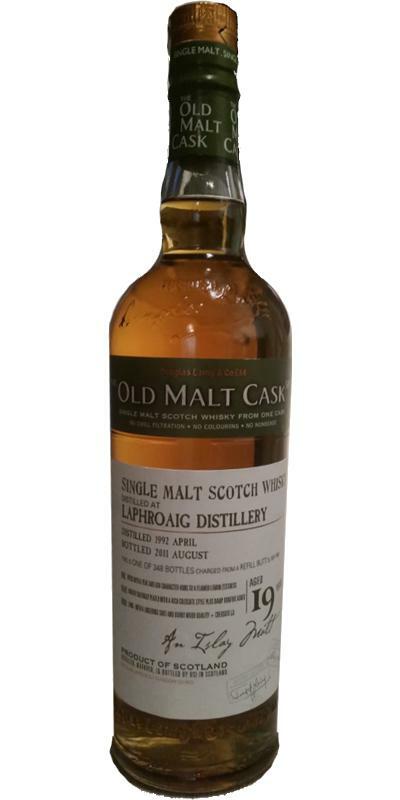 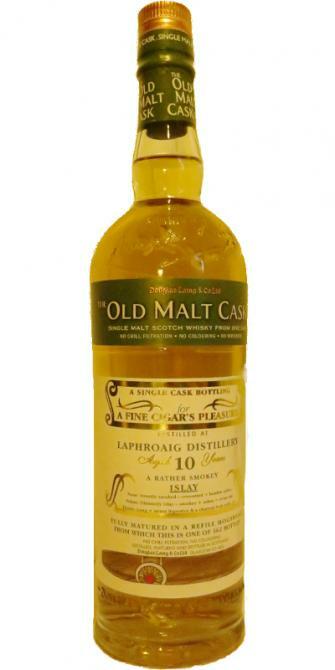 Laphroaig 10-year-old DL Old Malt Cask 10 50.0 % Vol. 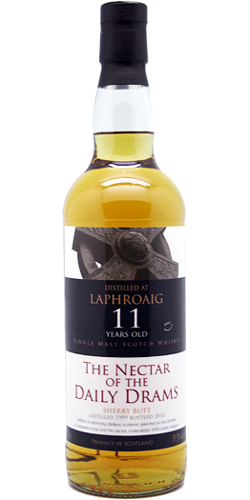 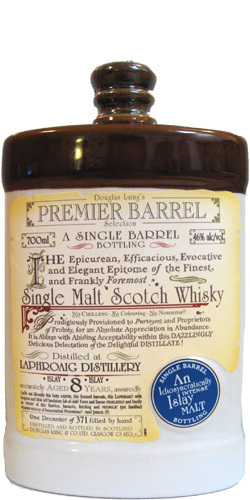 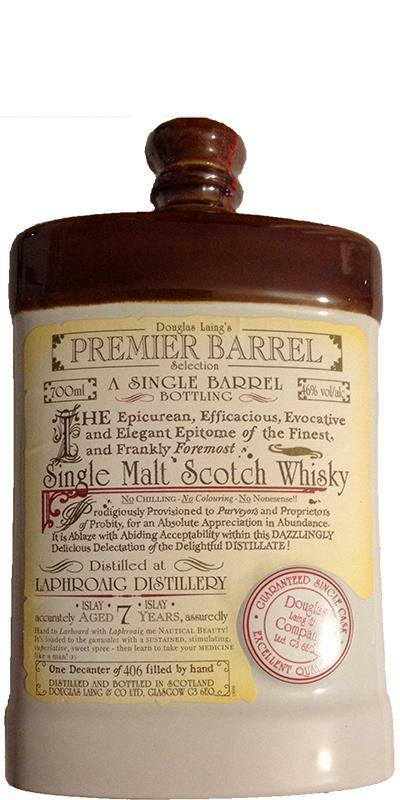 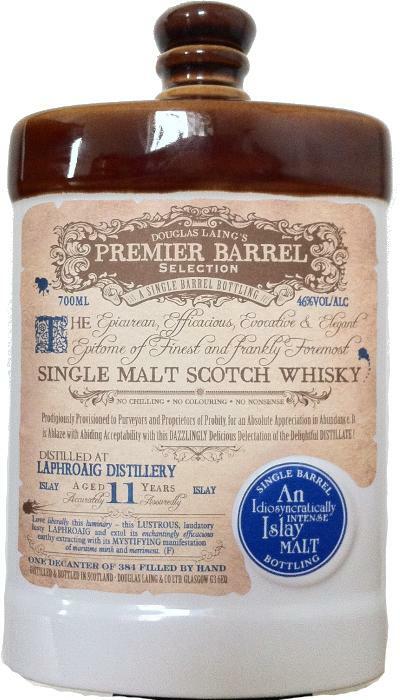 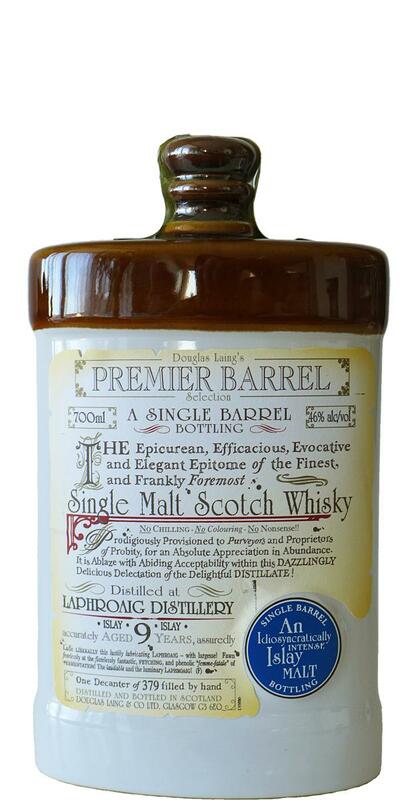 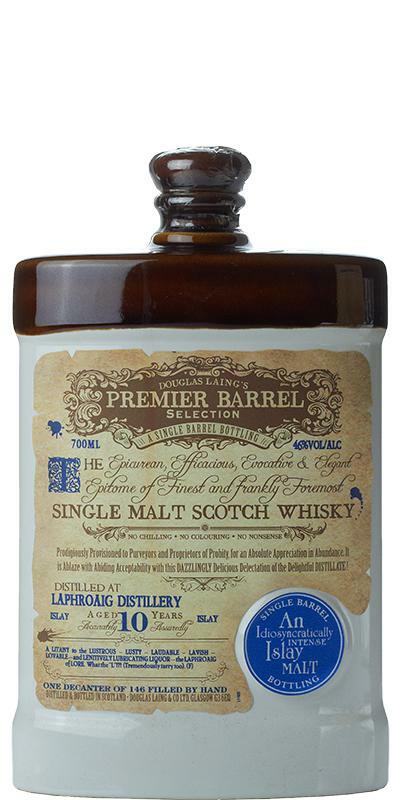 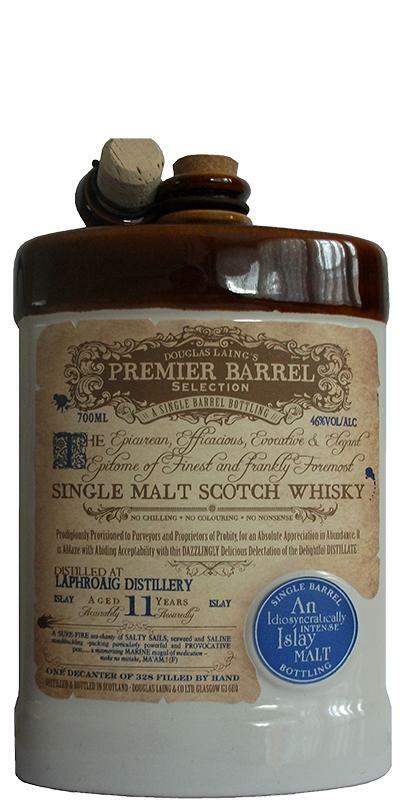 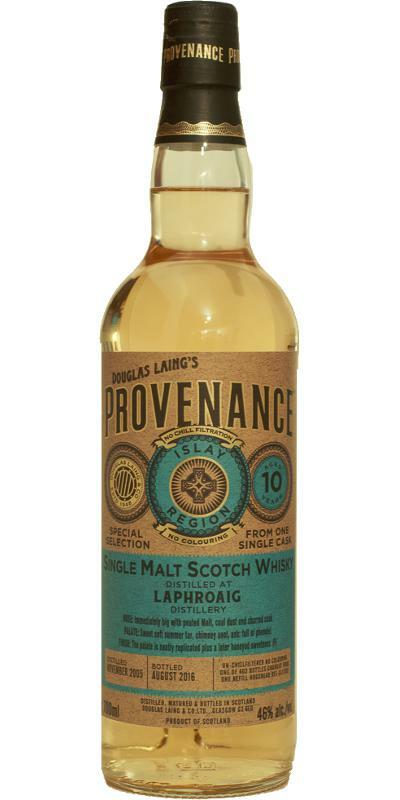 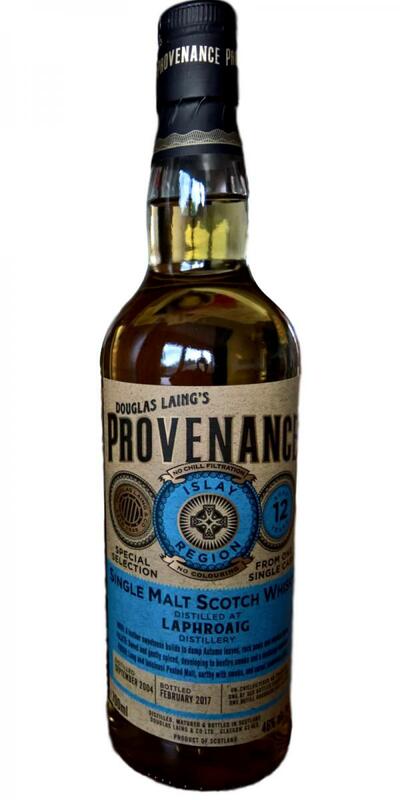 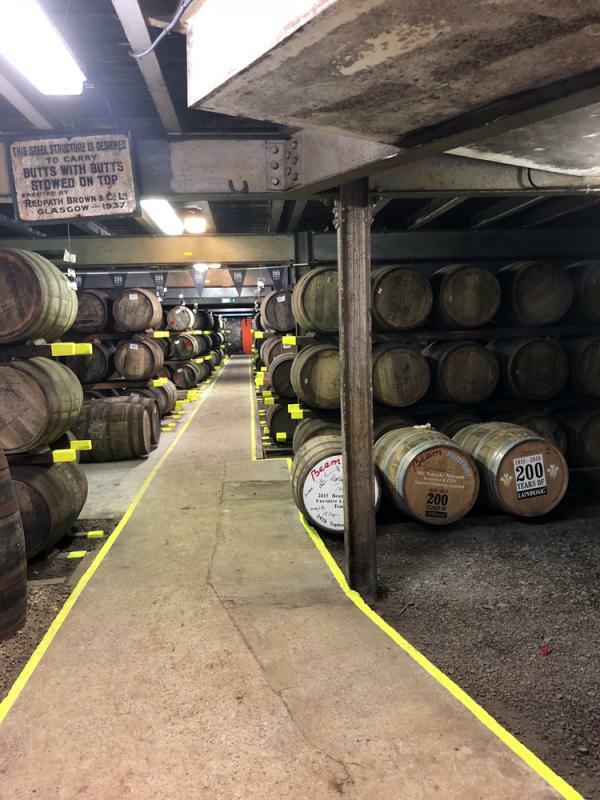 Laphroaig 11-year-old DL Premier Barrel Selection 11 46.0 % Vol. 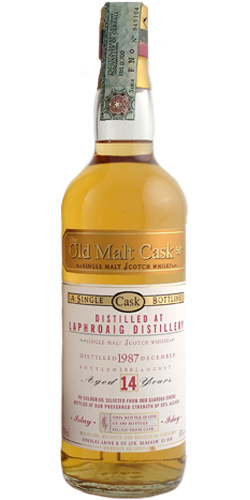 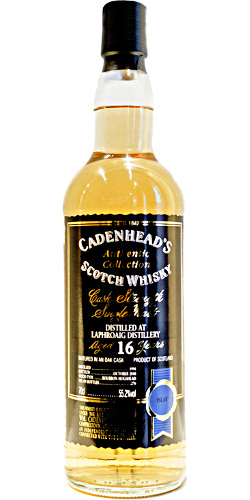 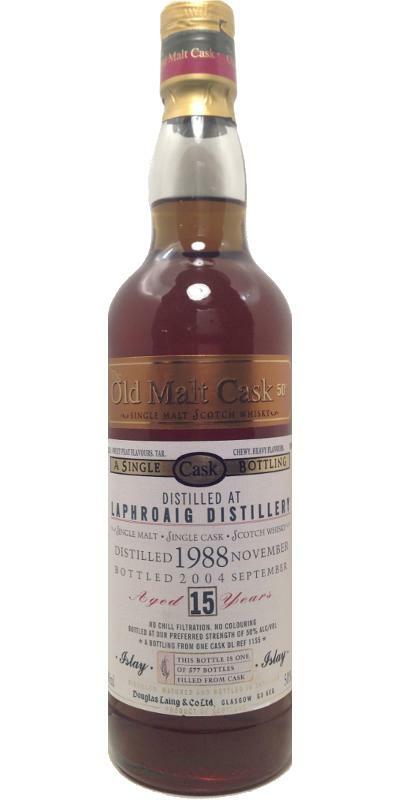 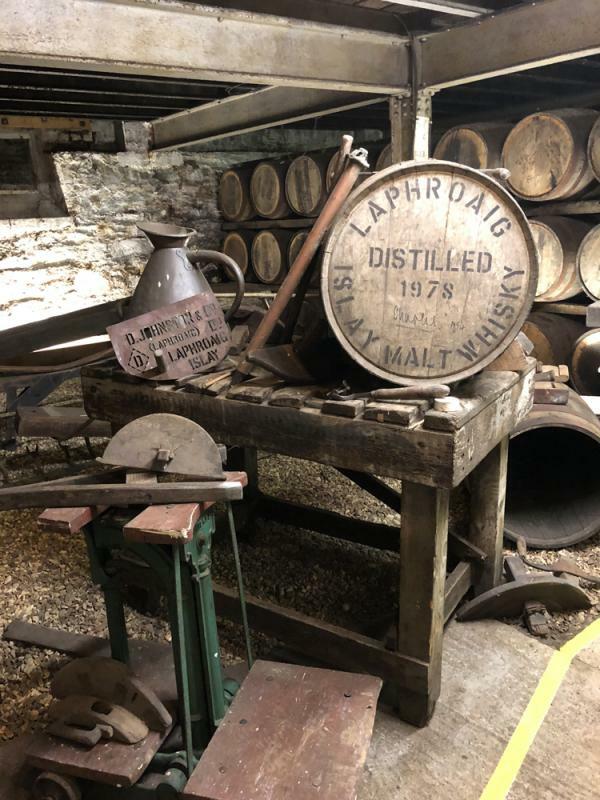 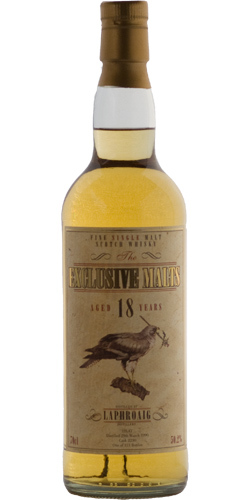 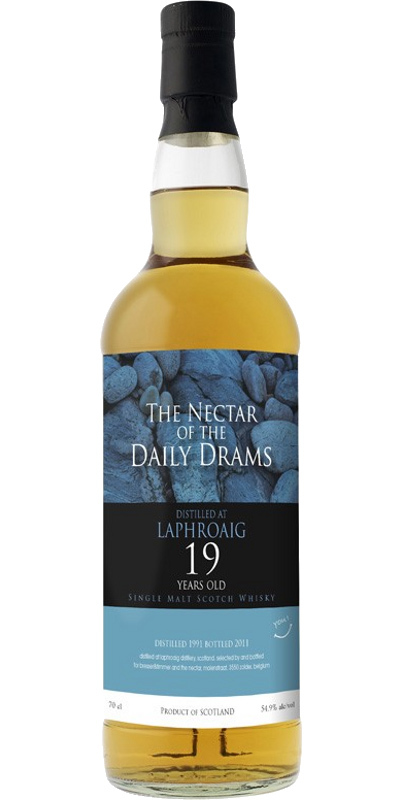 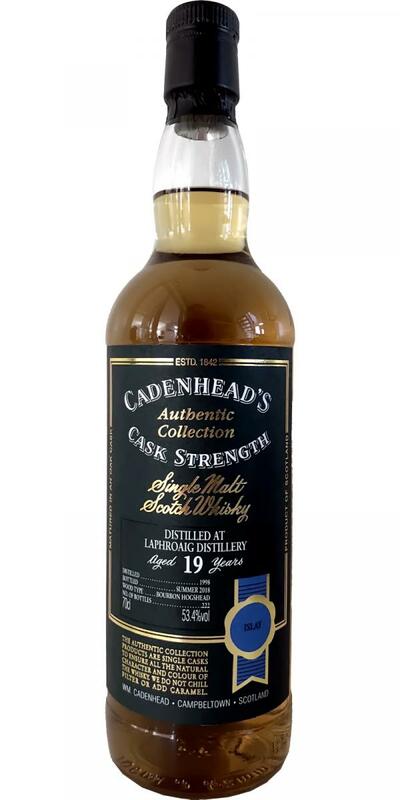 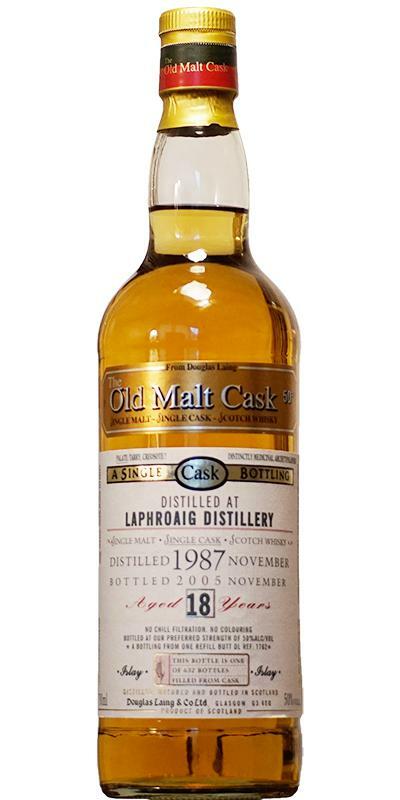 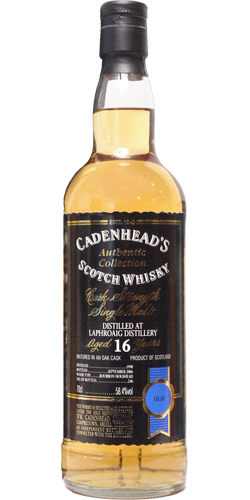 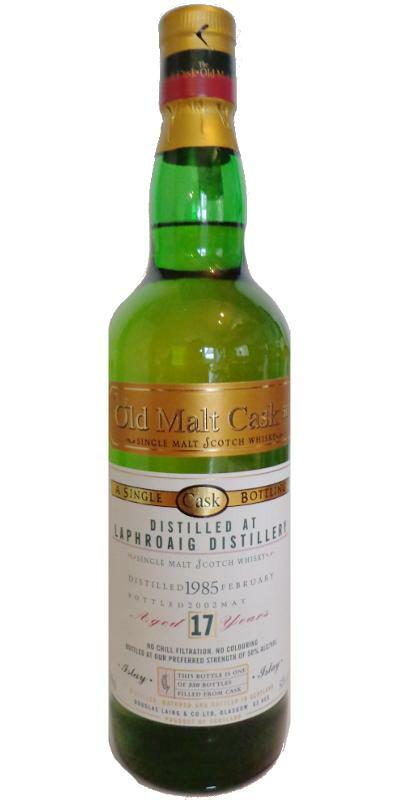 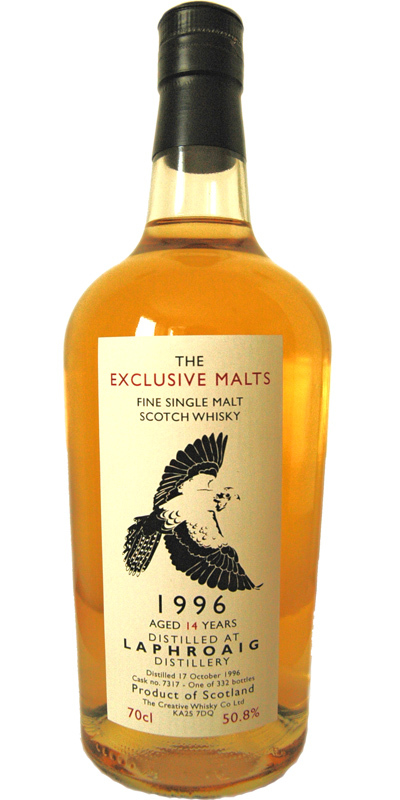 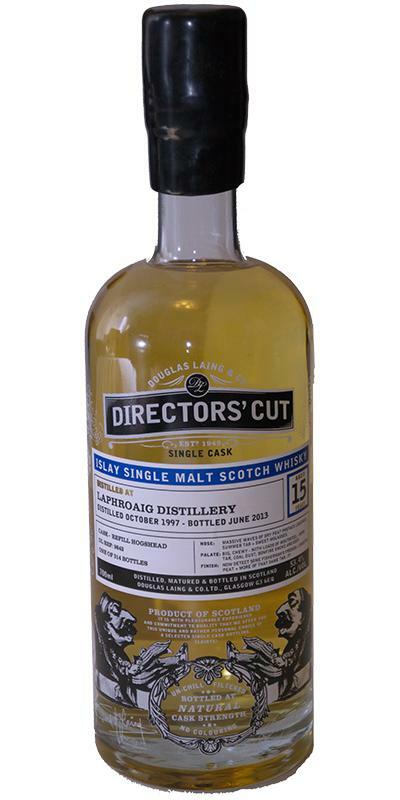 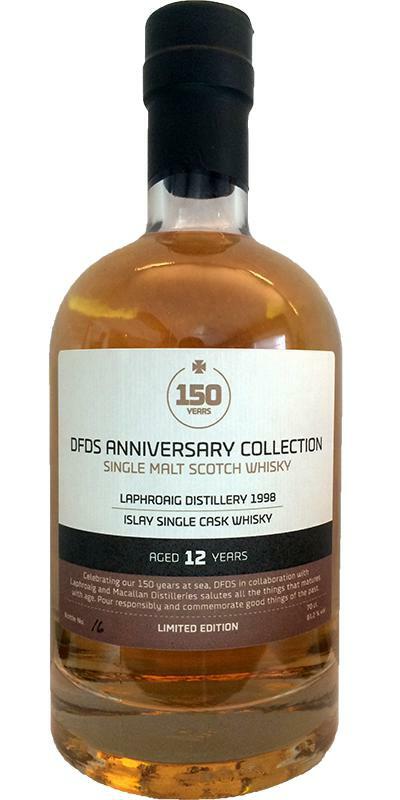 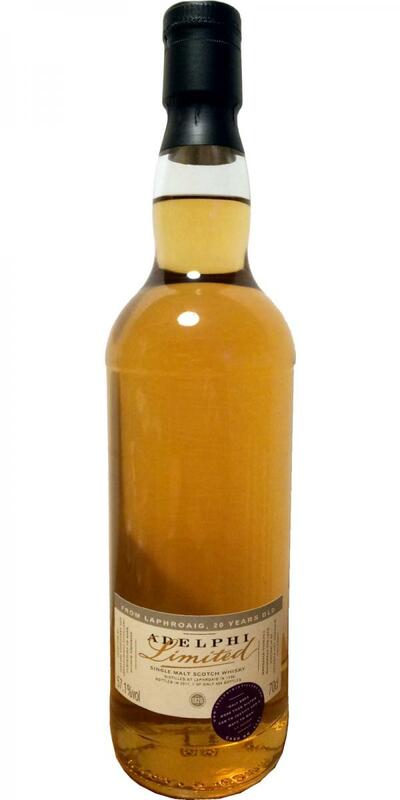 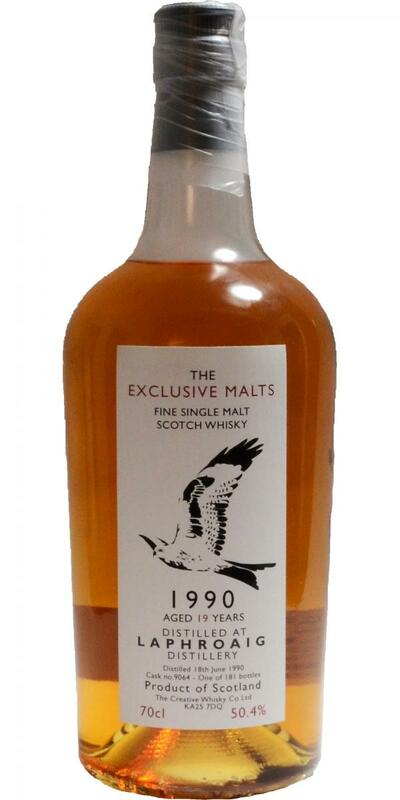 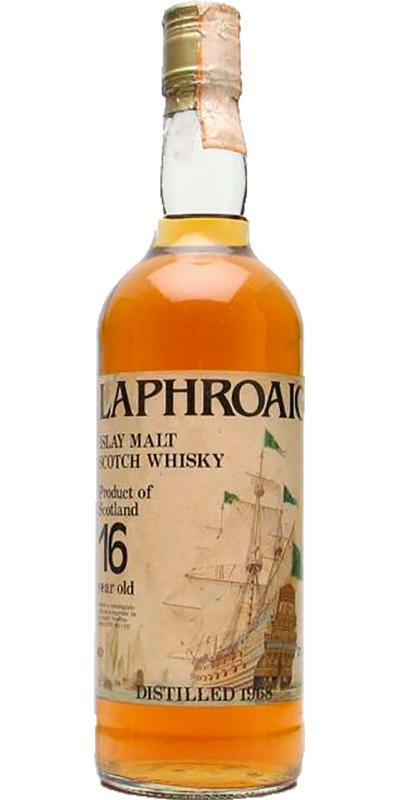 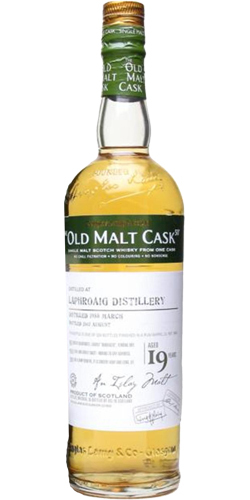 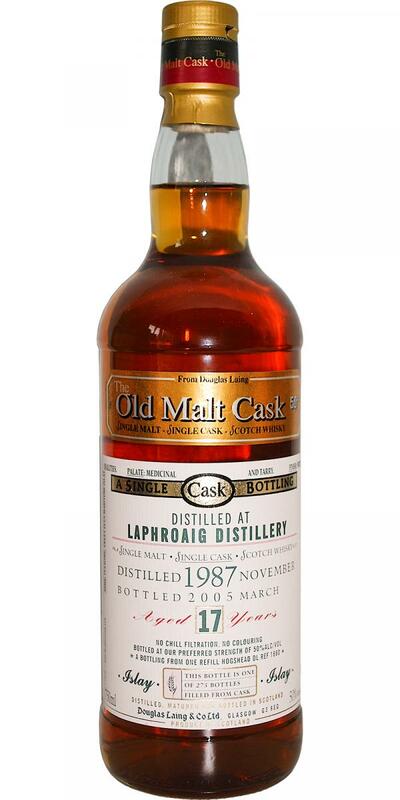 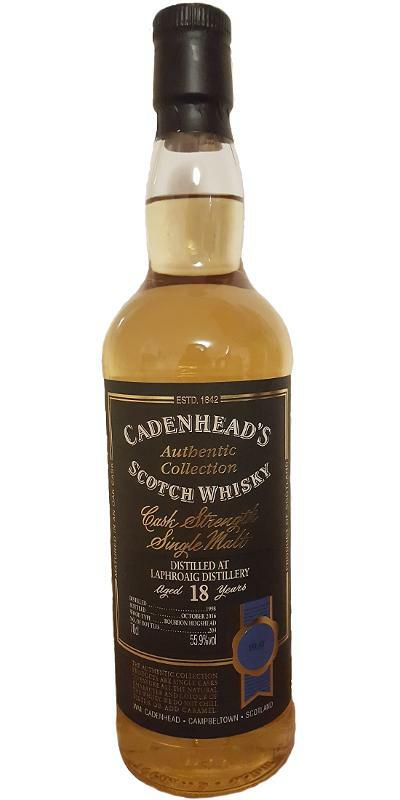 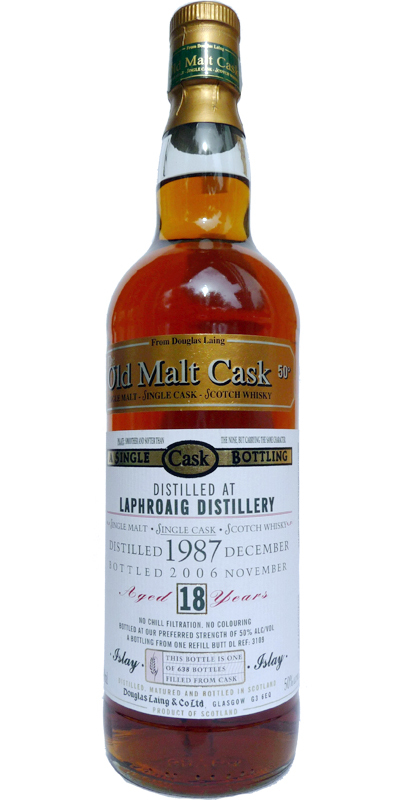 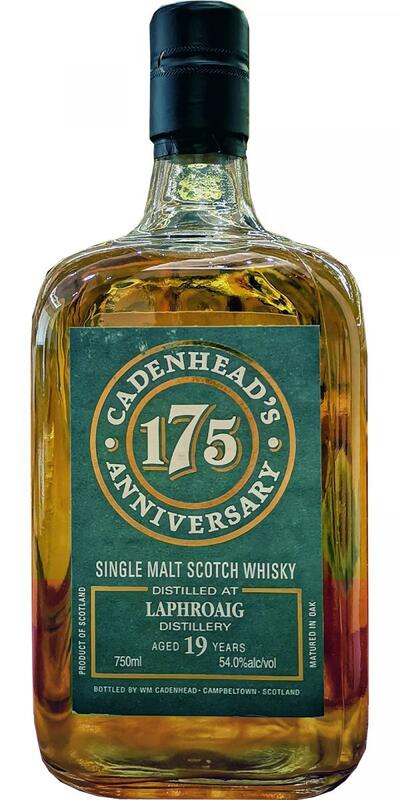 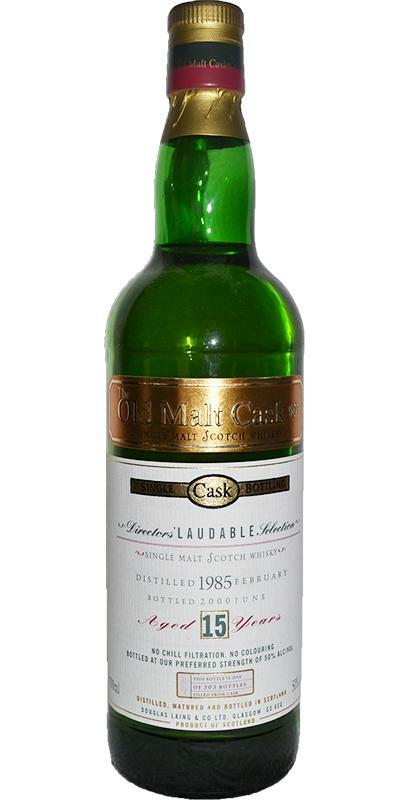 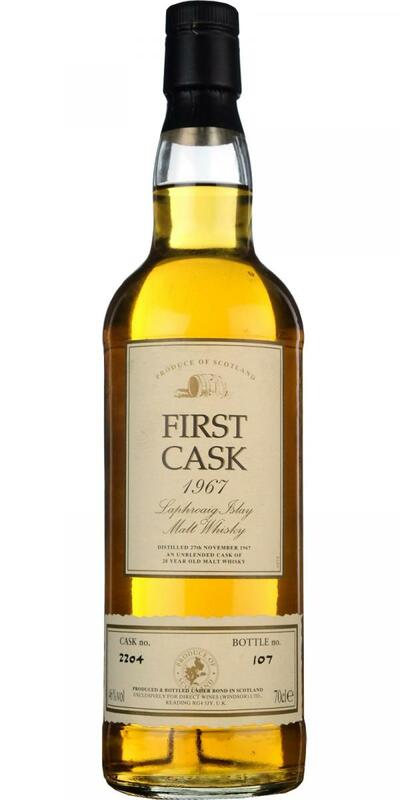 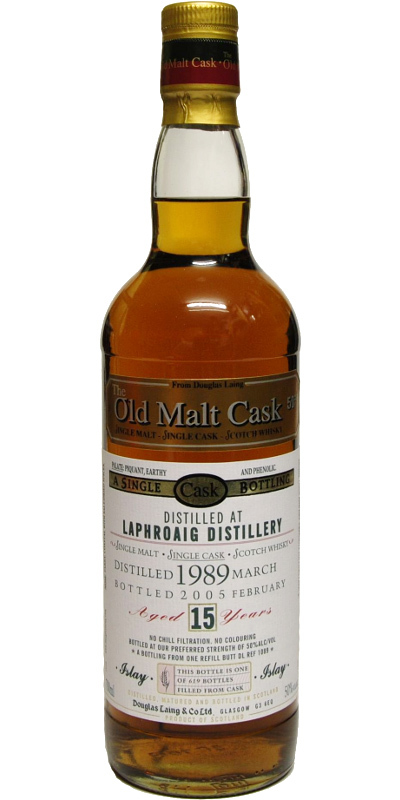 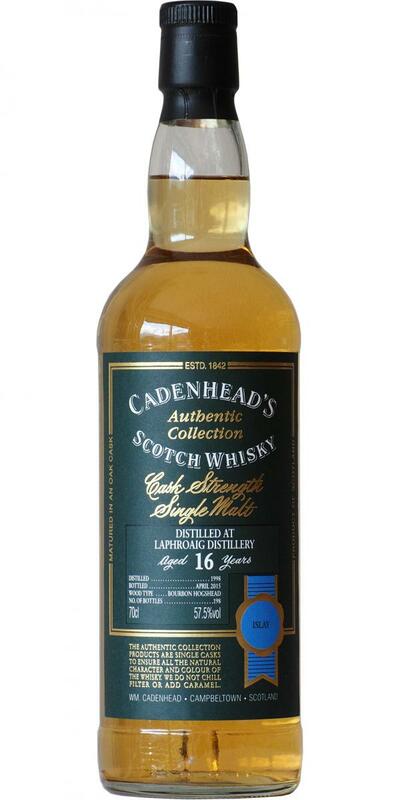 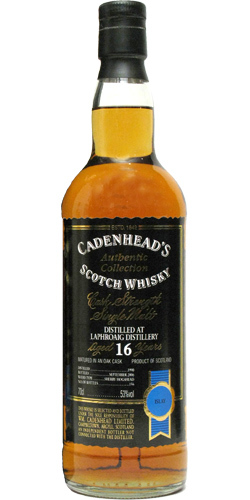 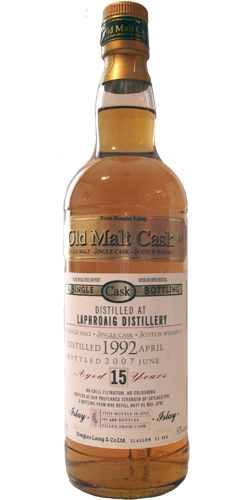 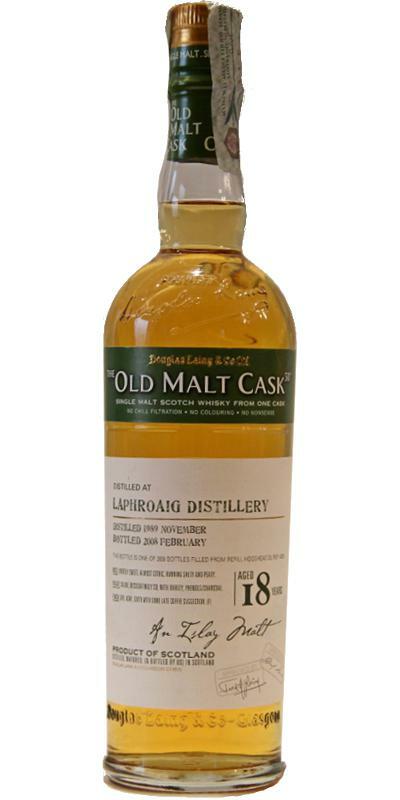 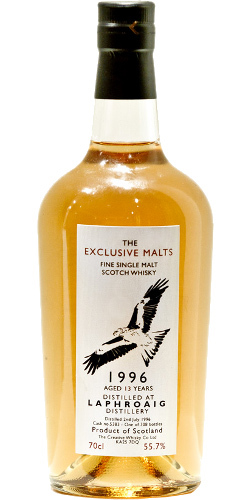 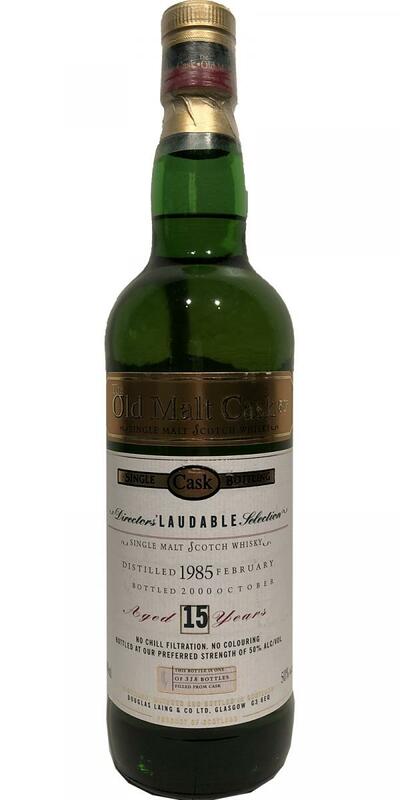 Laphroaig 16-year-old DL Old Malt Cask 16 50.0 % Vol. 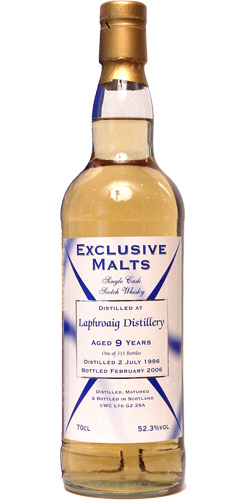 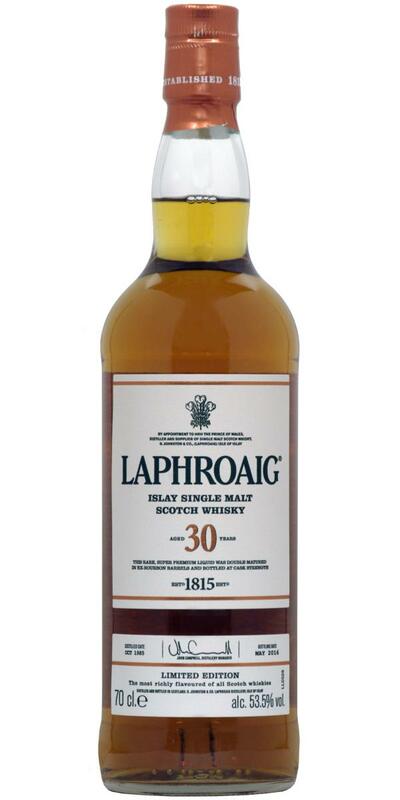 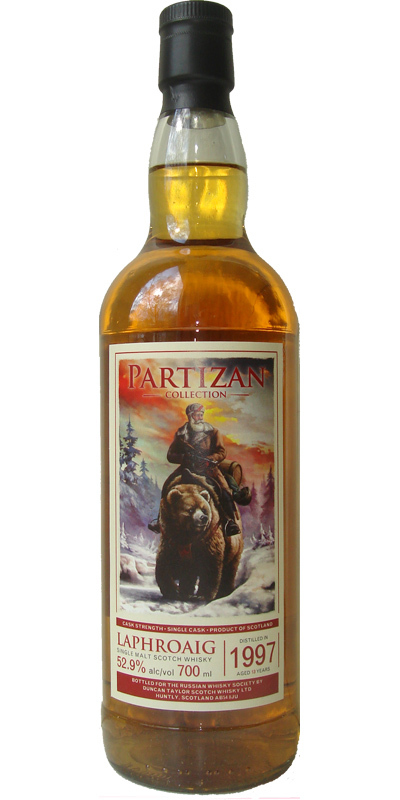 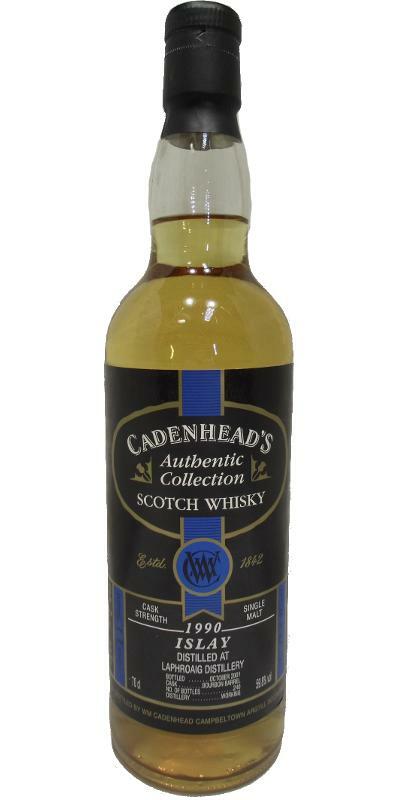 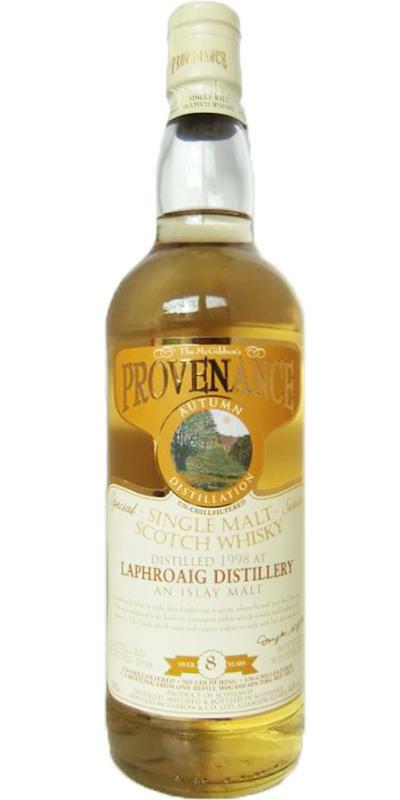 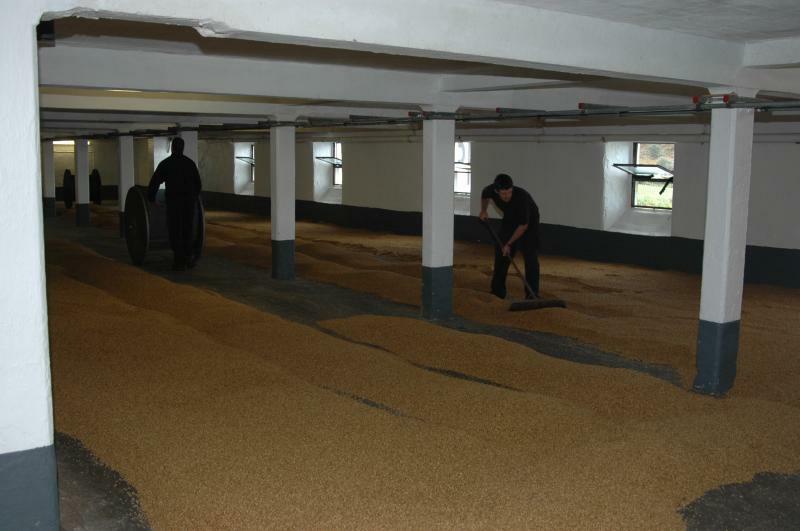 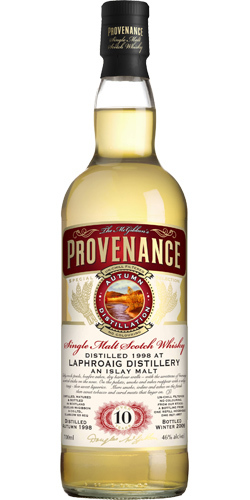 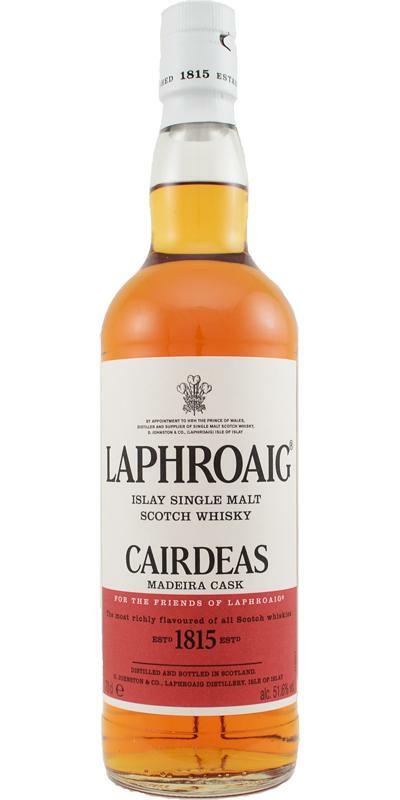 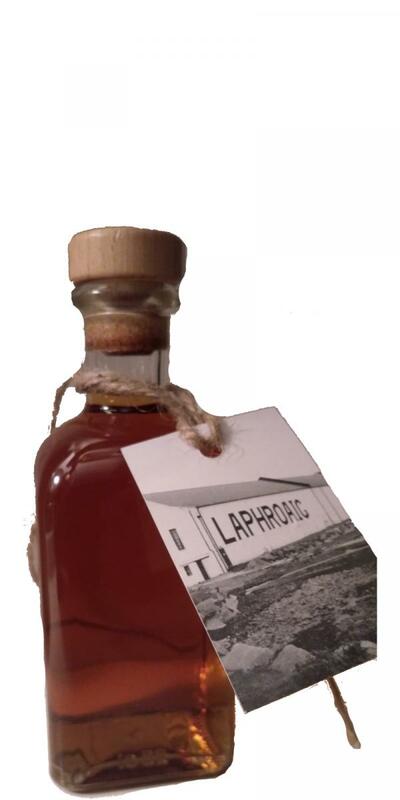 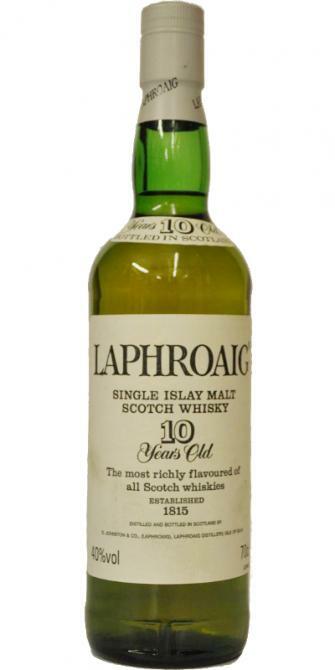 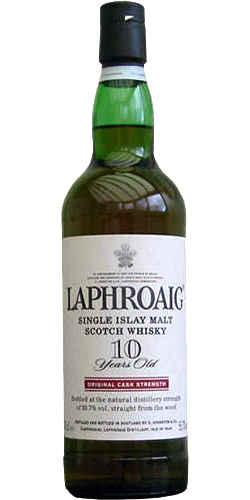 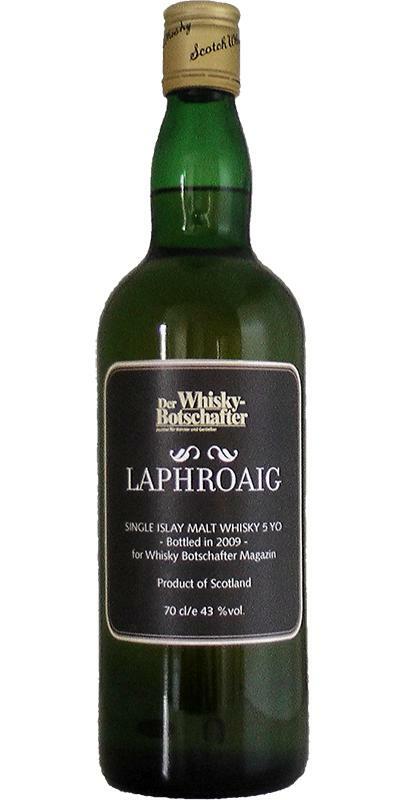 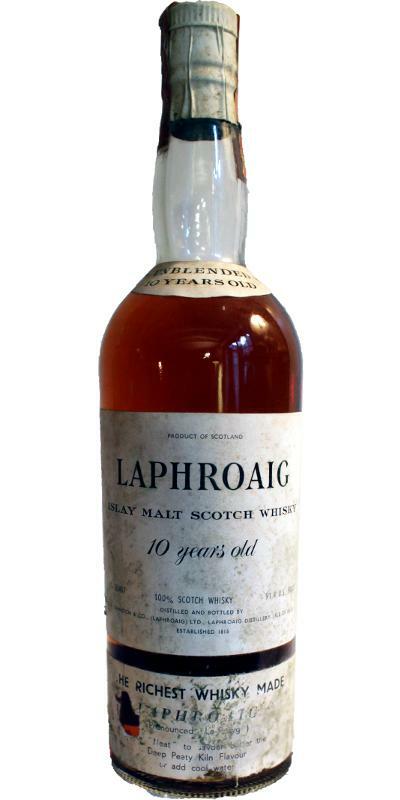 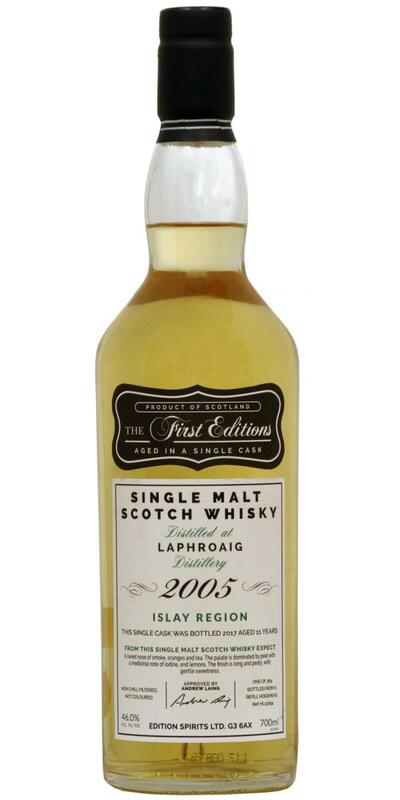 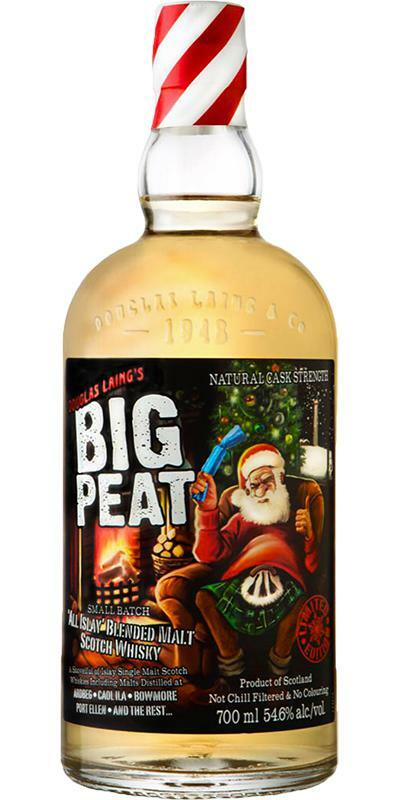 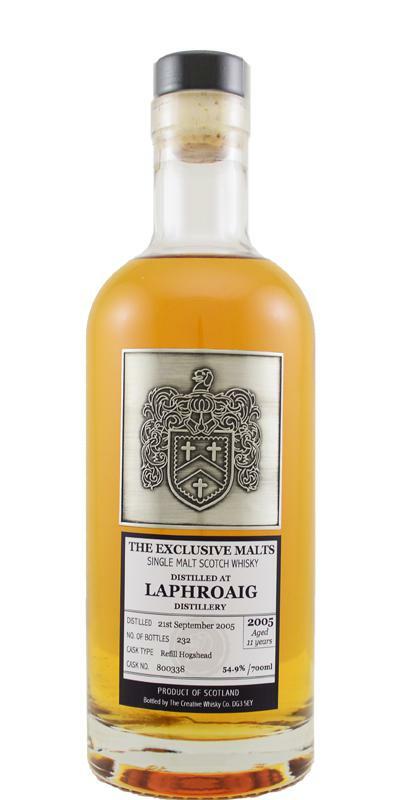 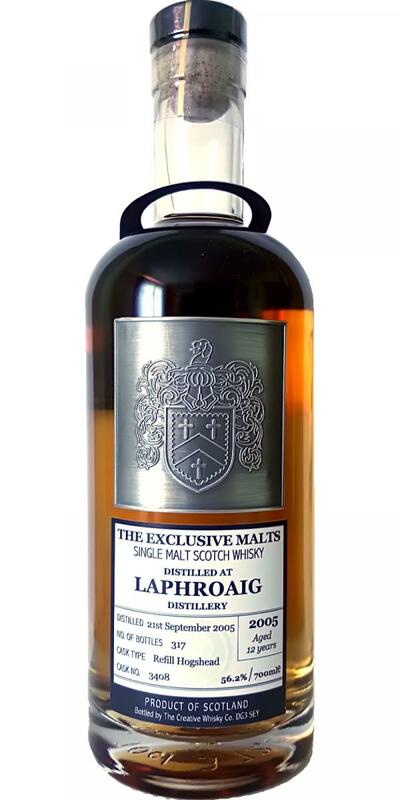 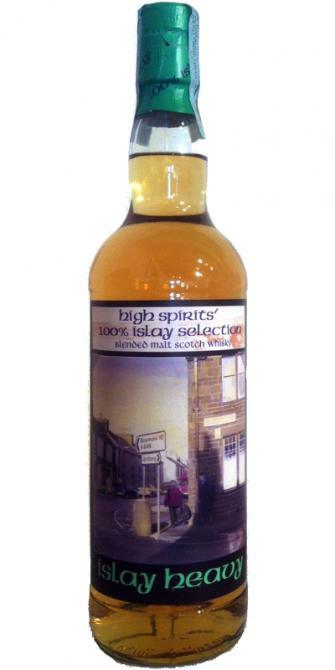 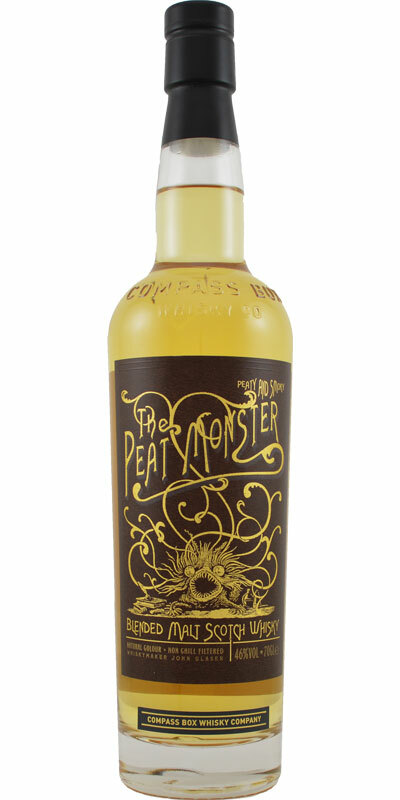 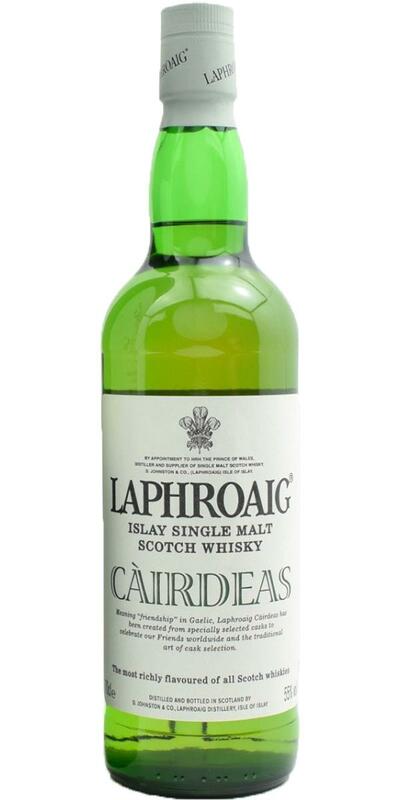 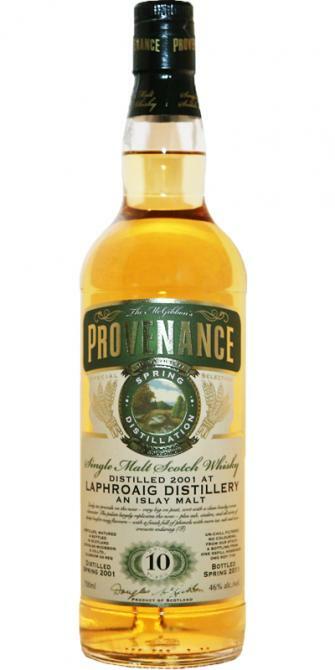 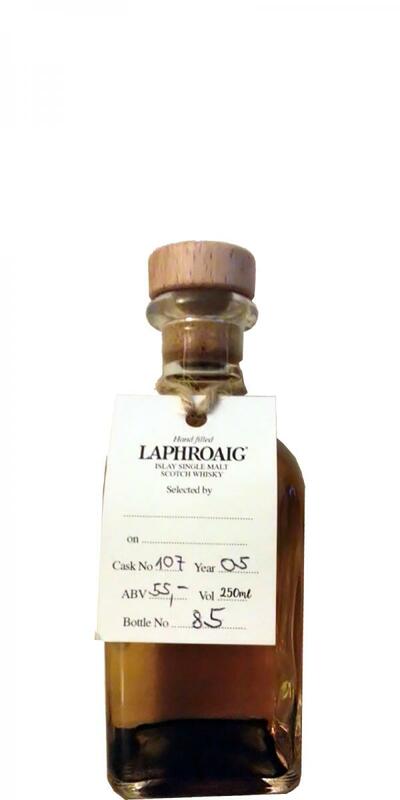 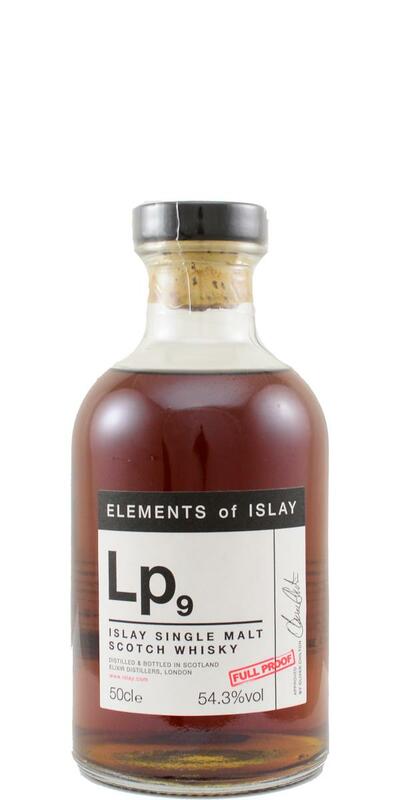 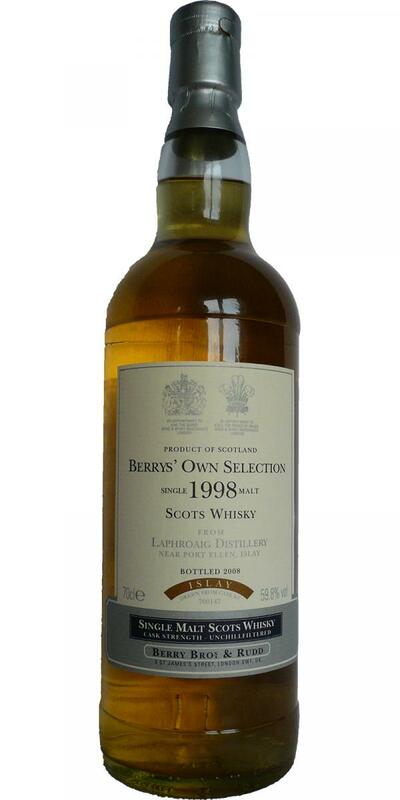 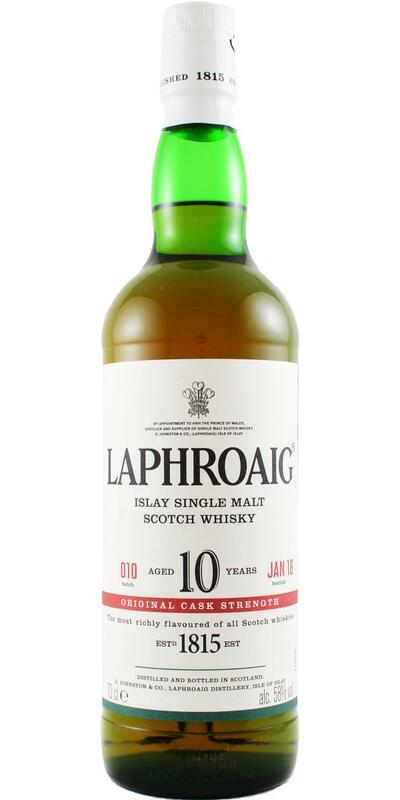 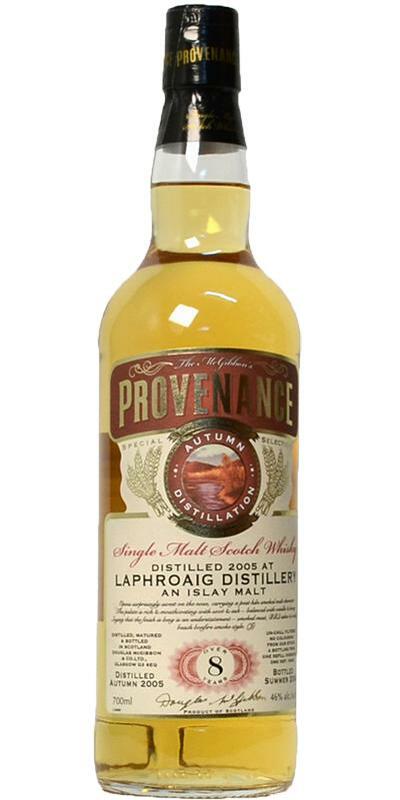 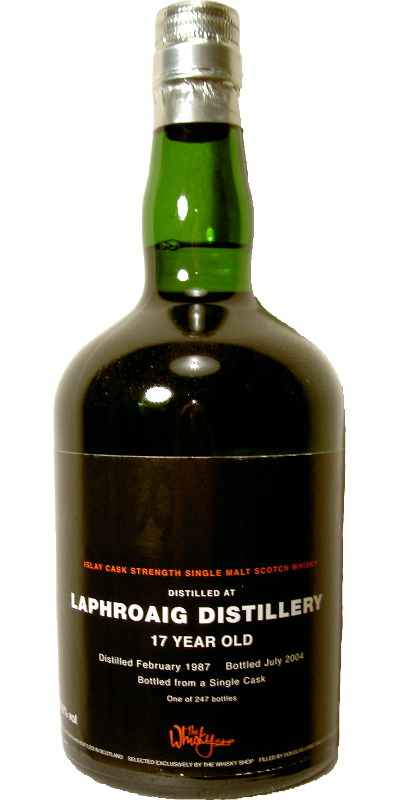 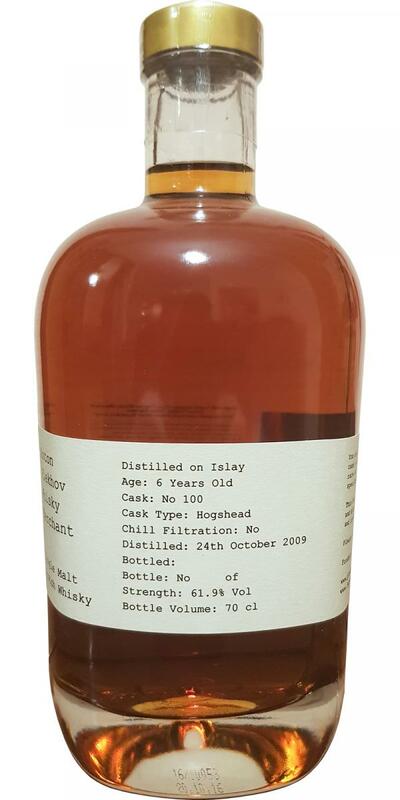 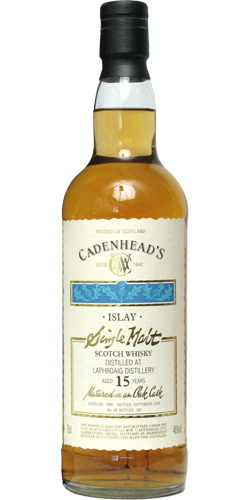 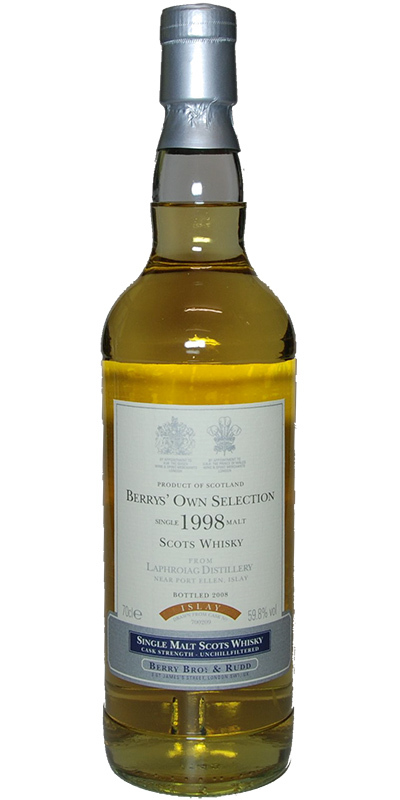 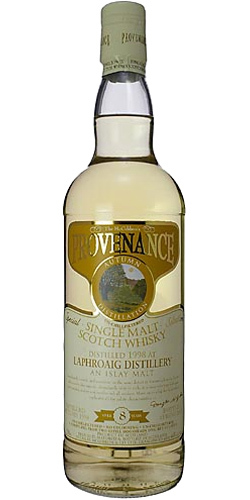 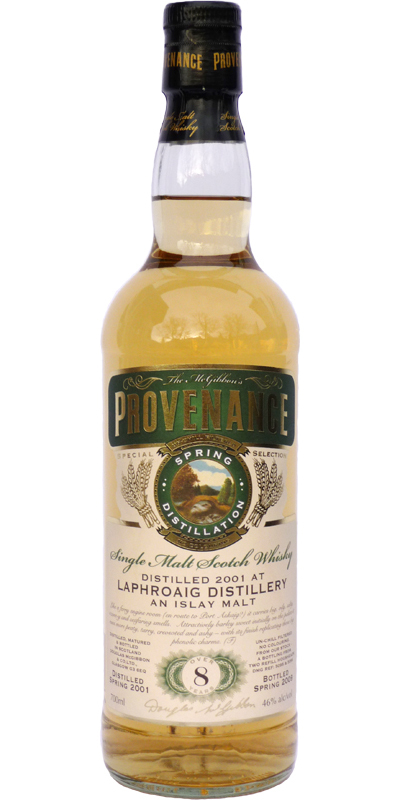 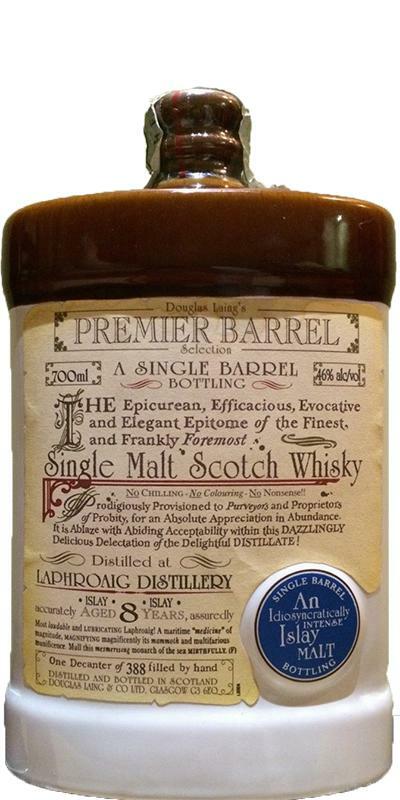 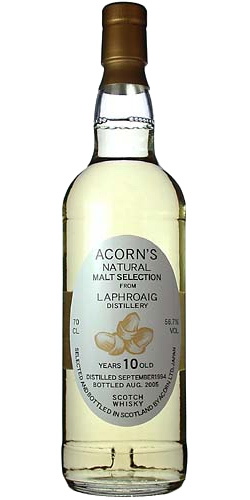 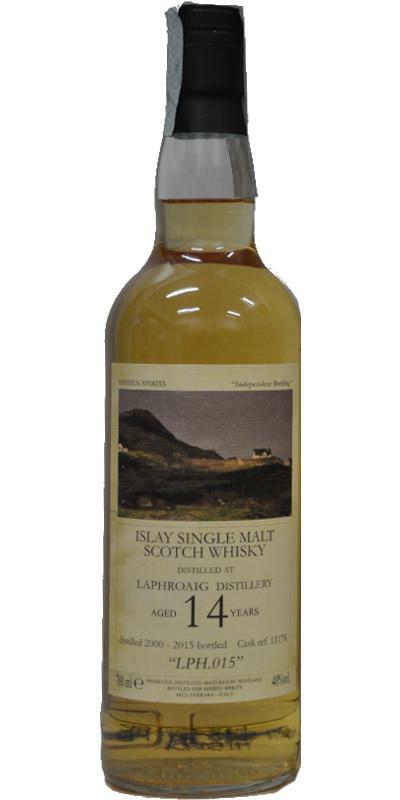 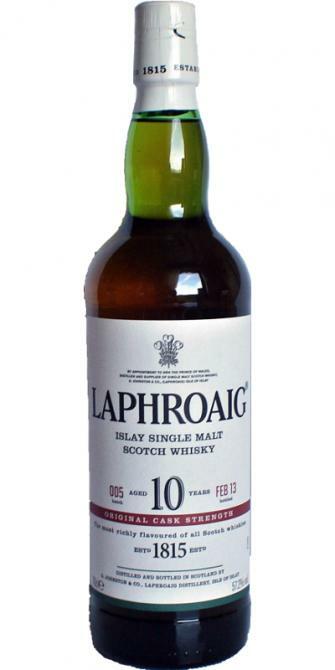 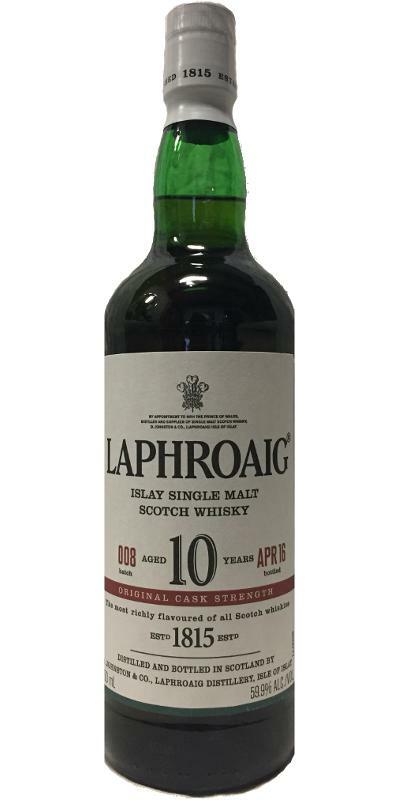 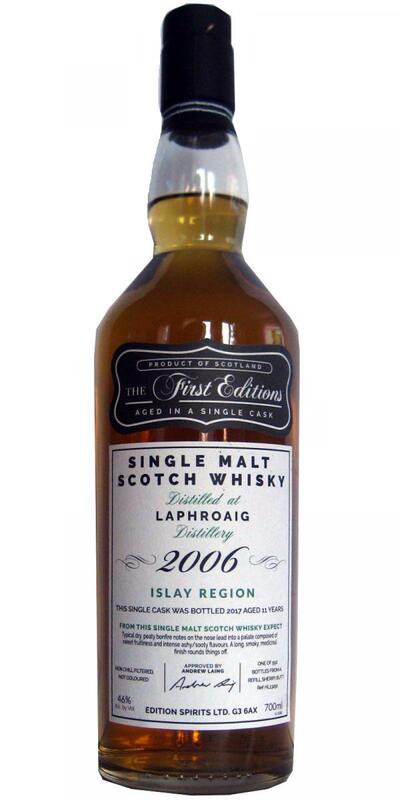 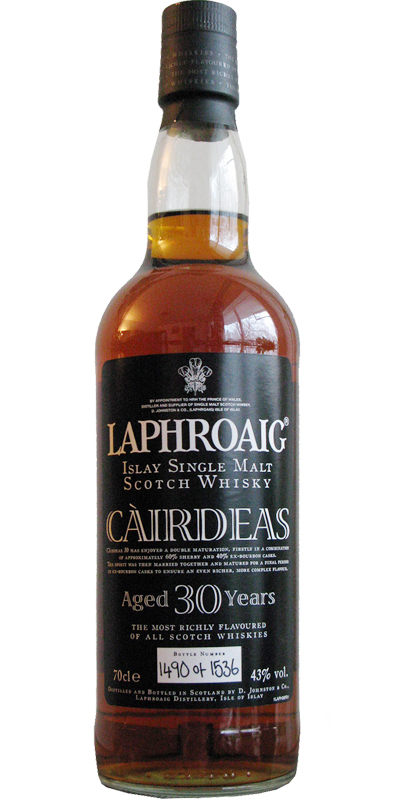 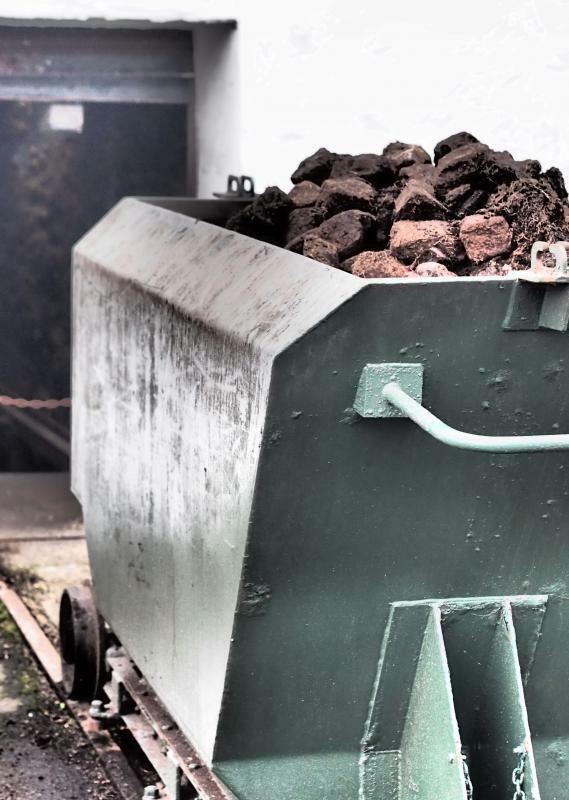 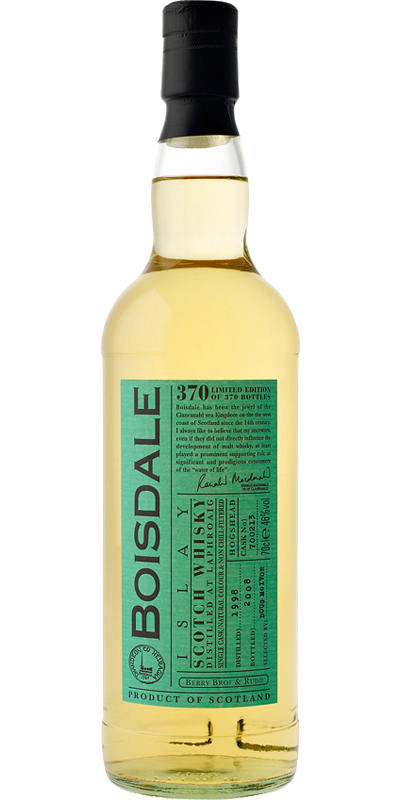 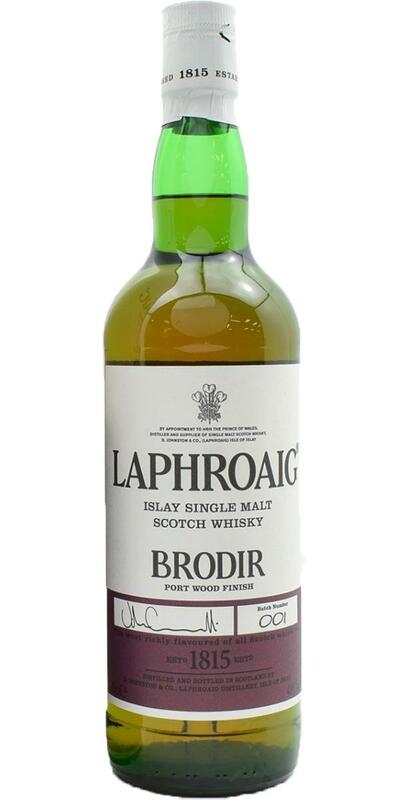 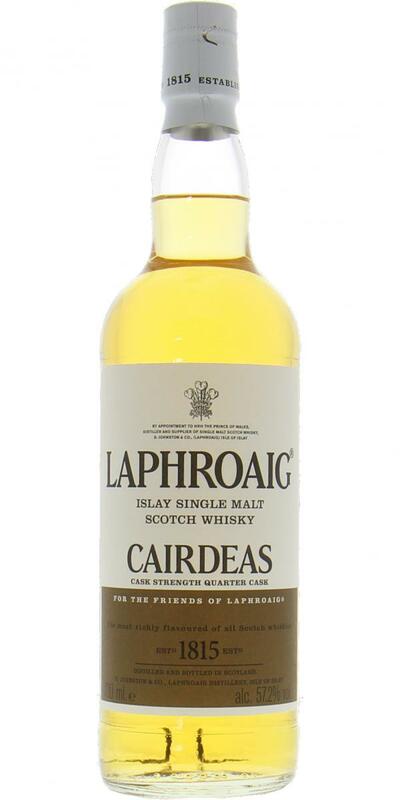 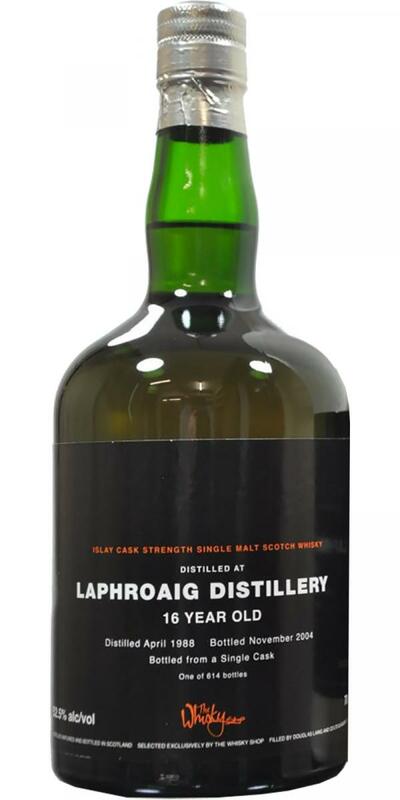 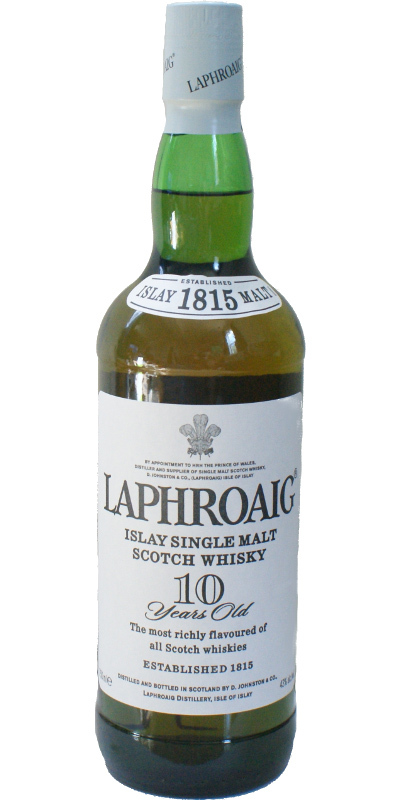 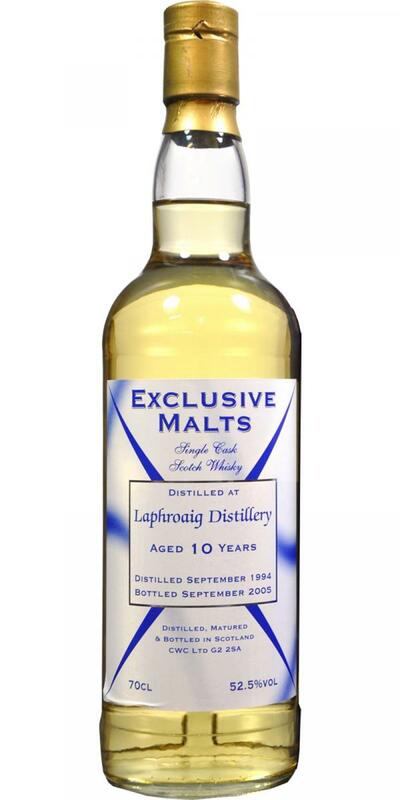 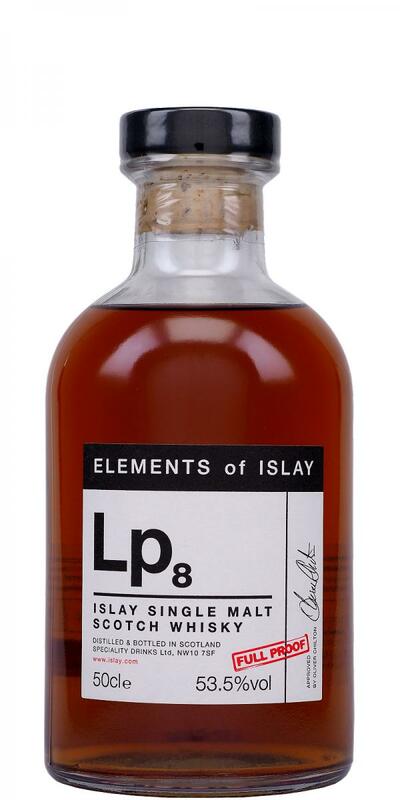 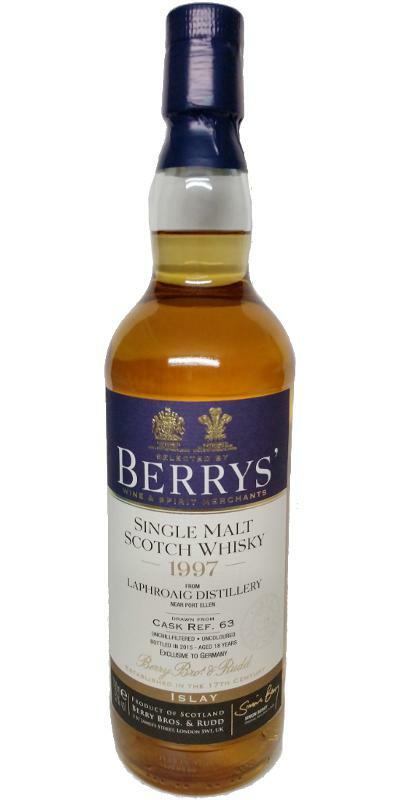 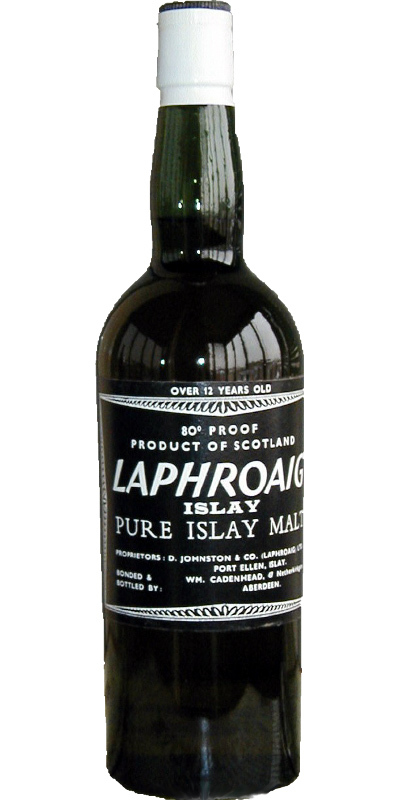 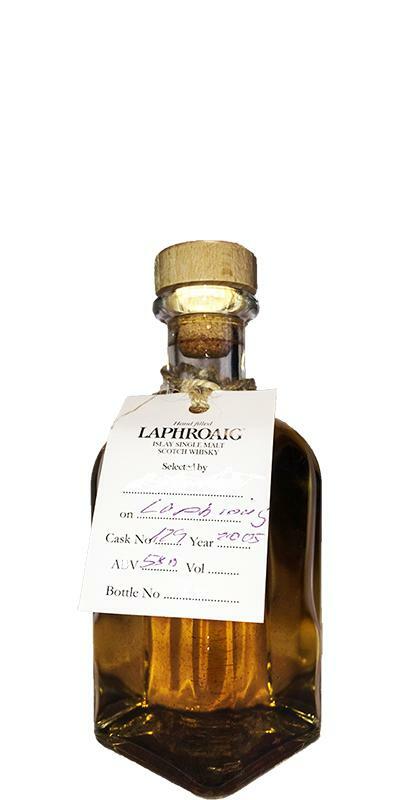 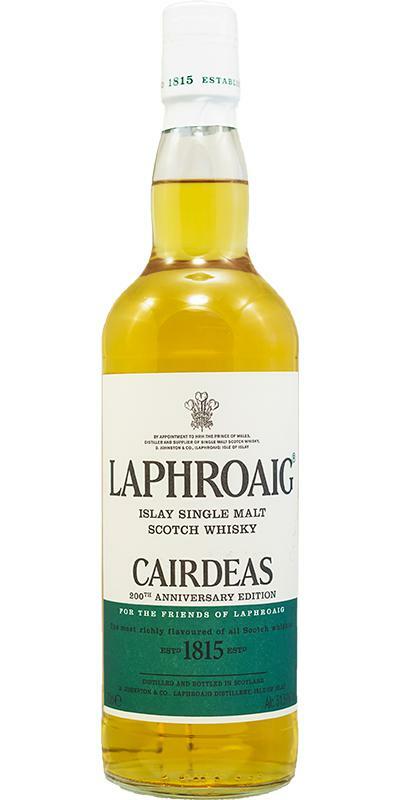 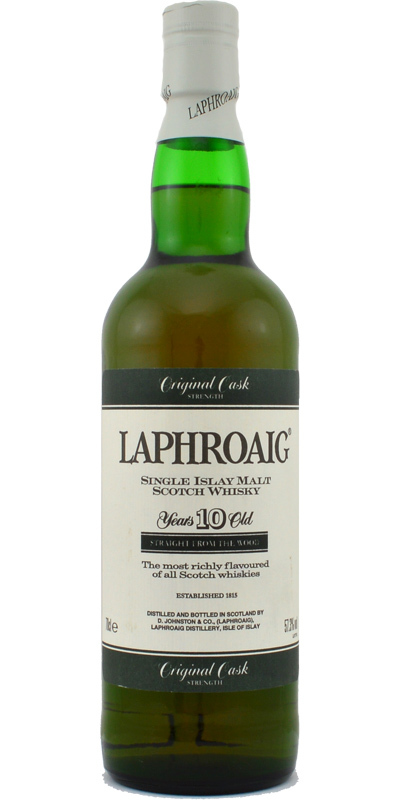 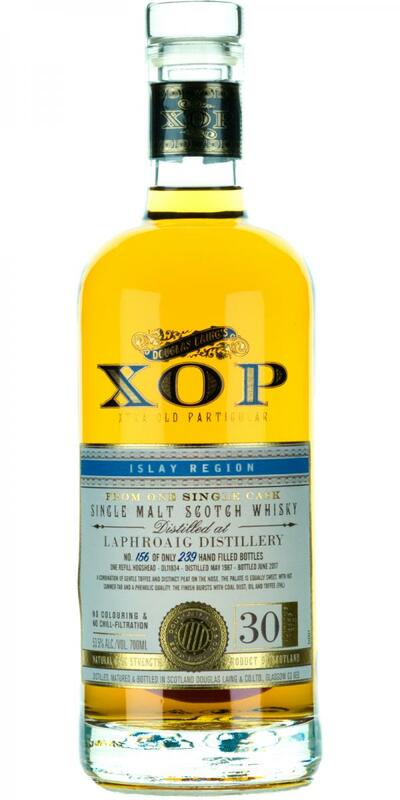 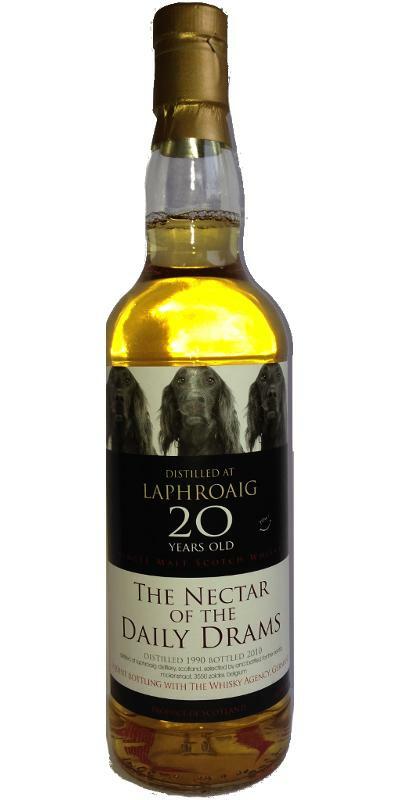 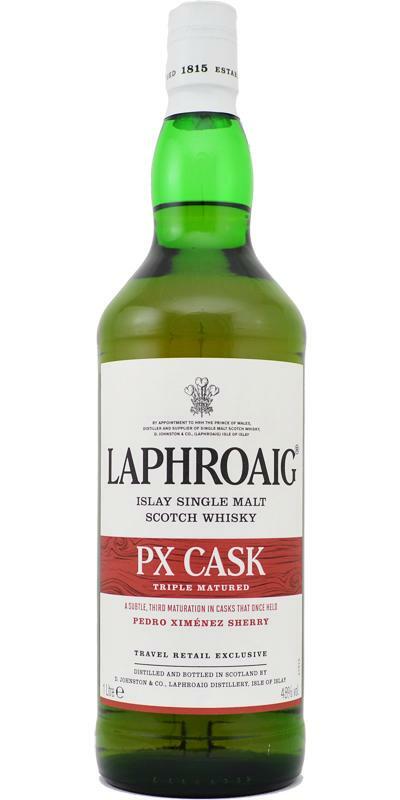 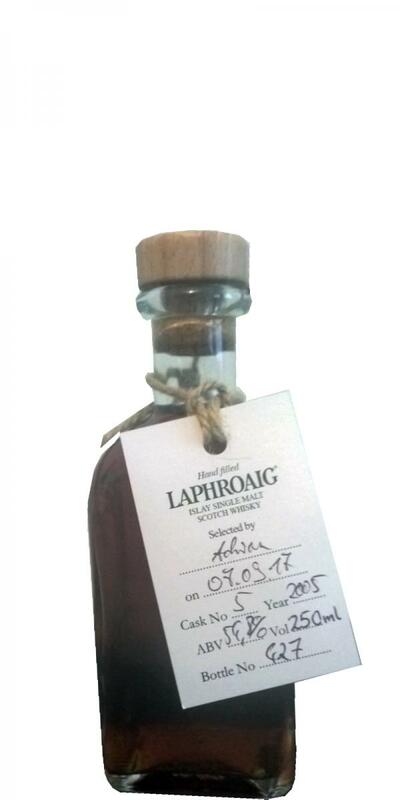 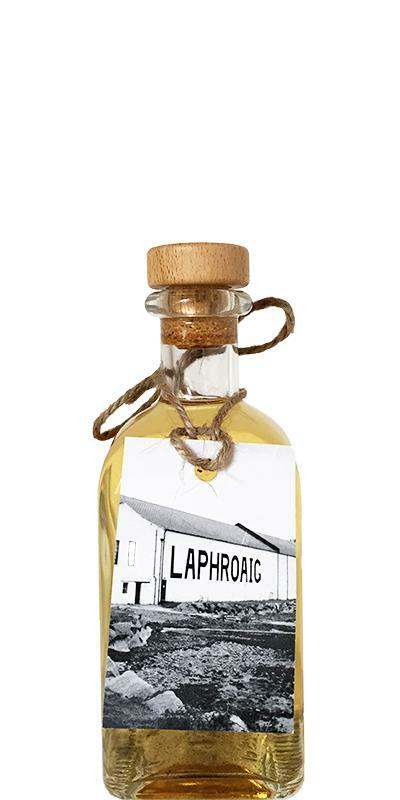 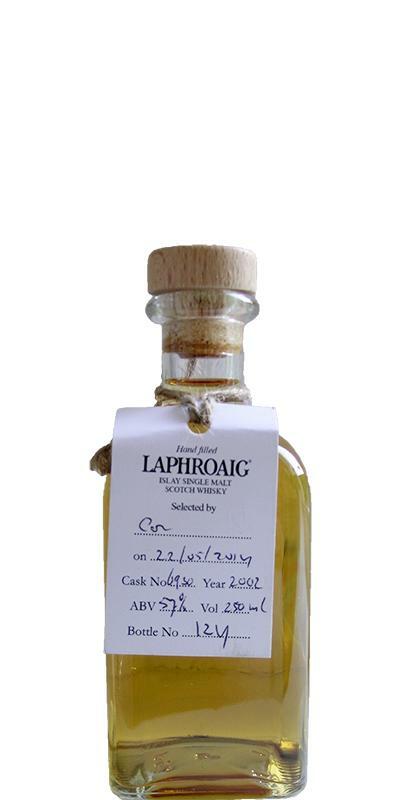 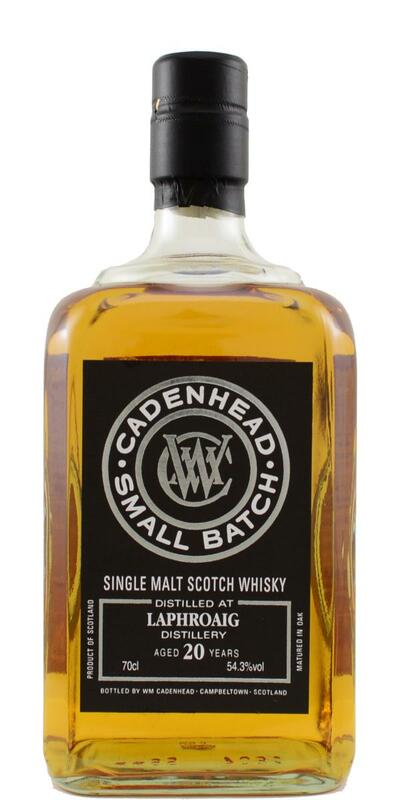 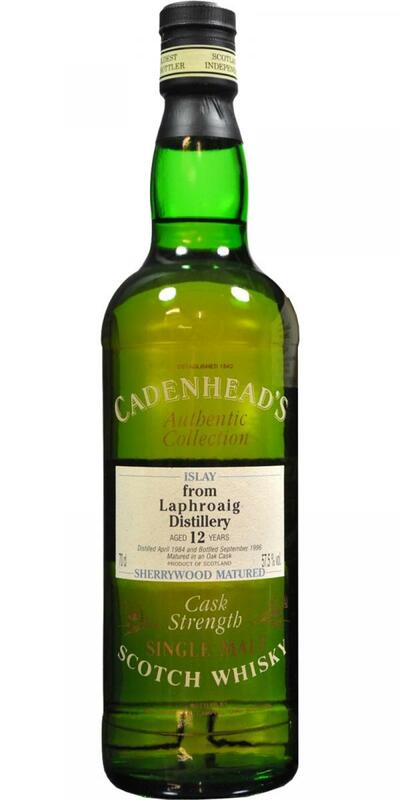 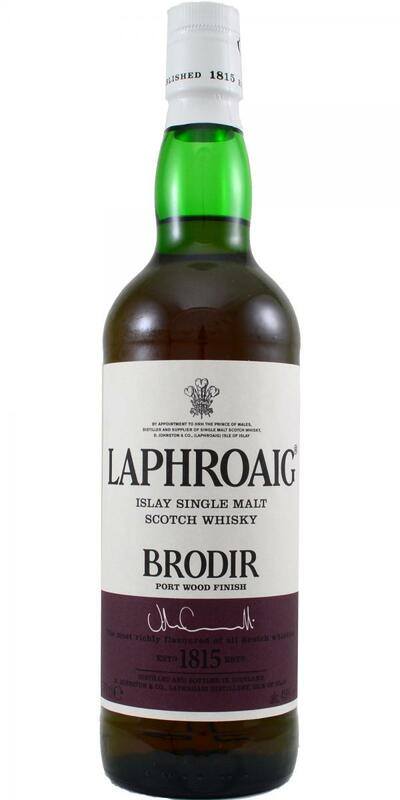 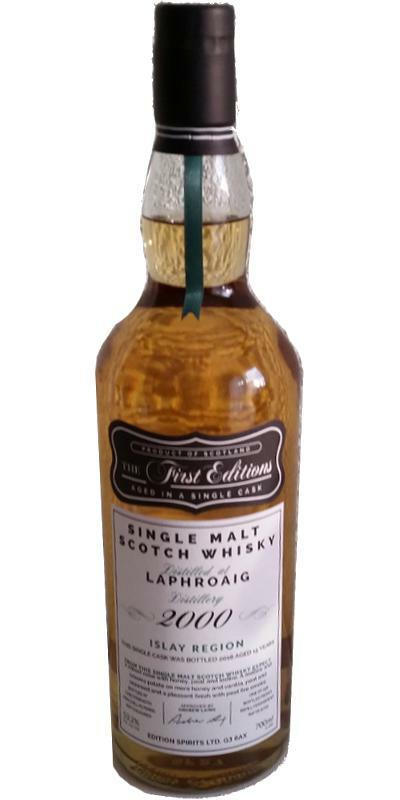 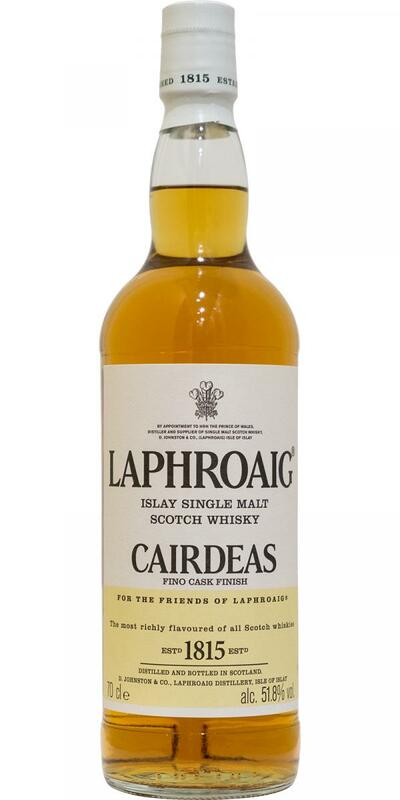 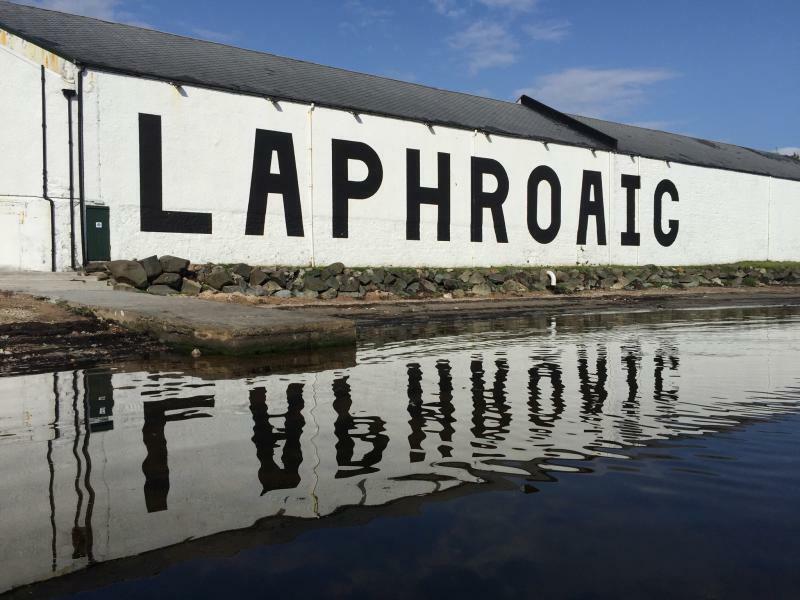 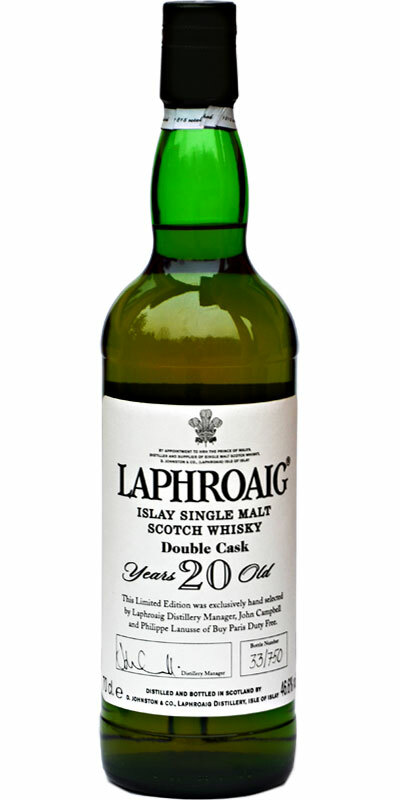 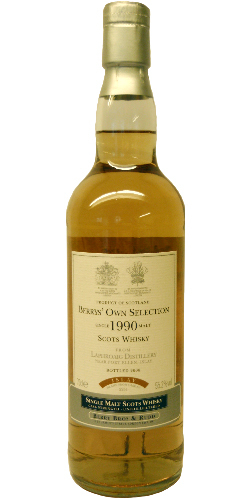 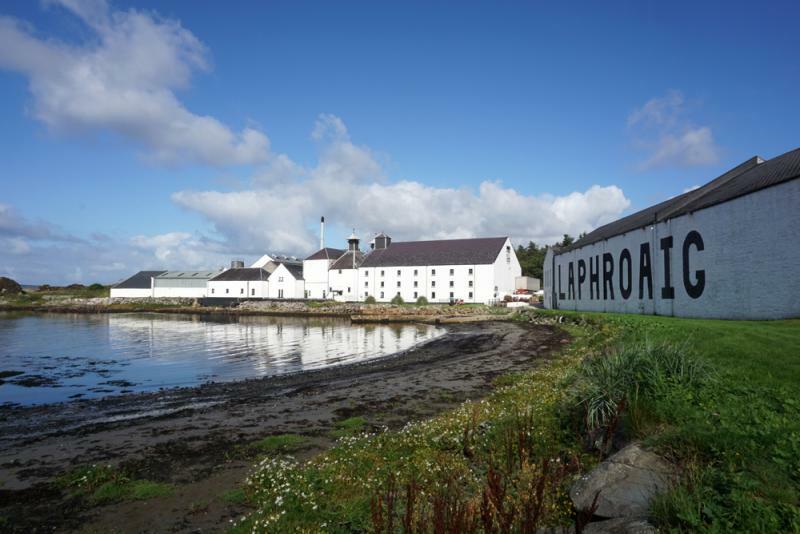 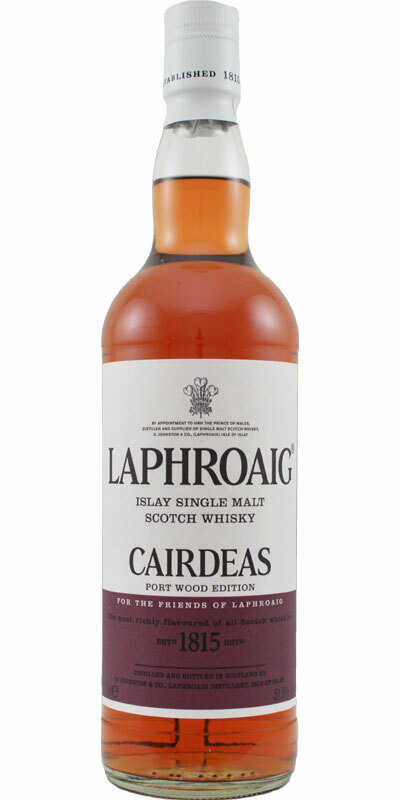 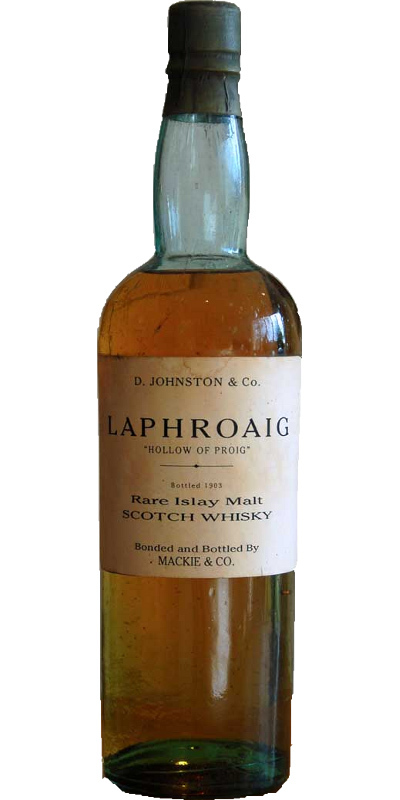 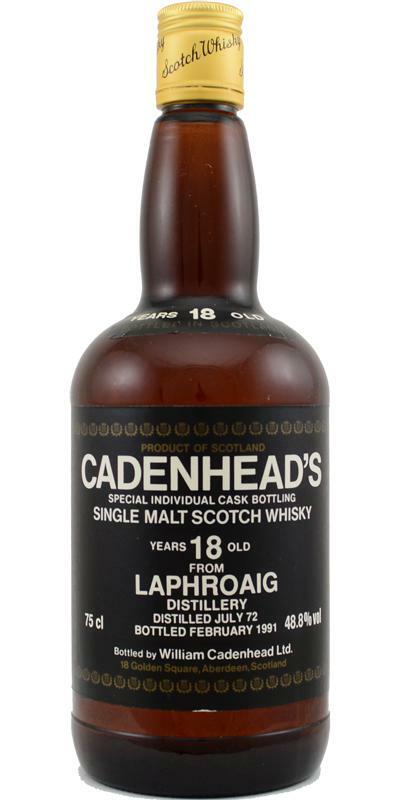 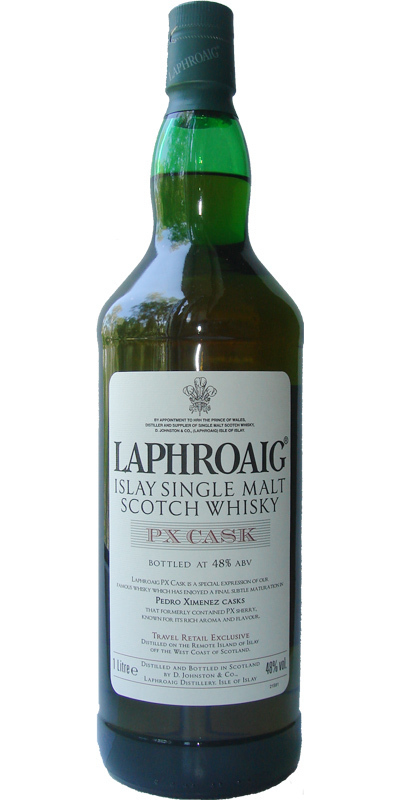 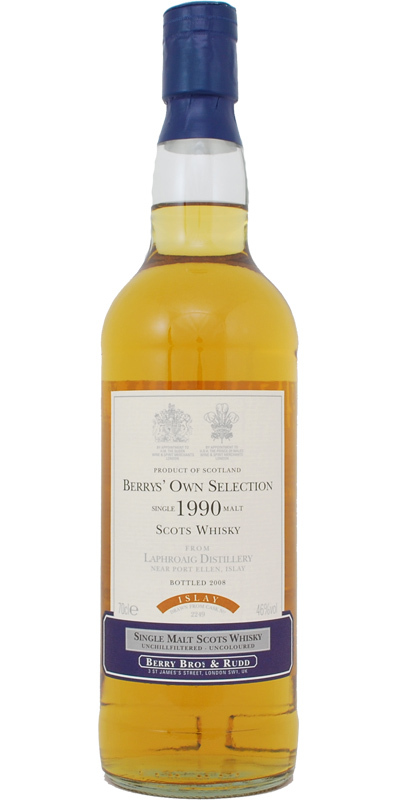 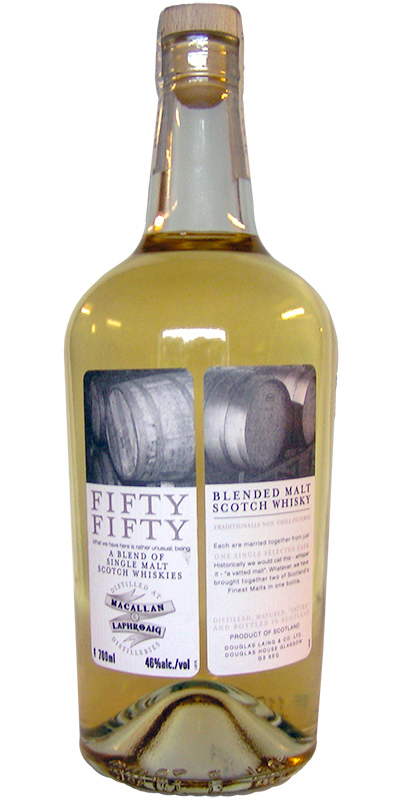 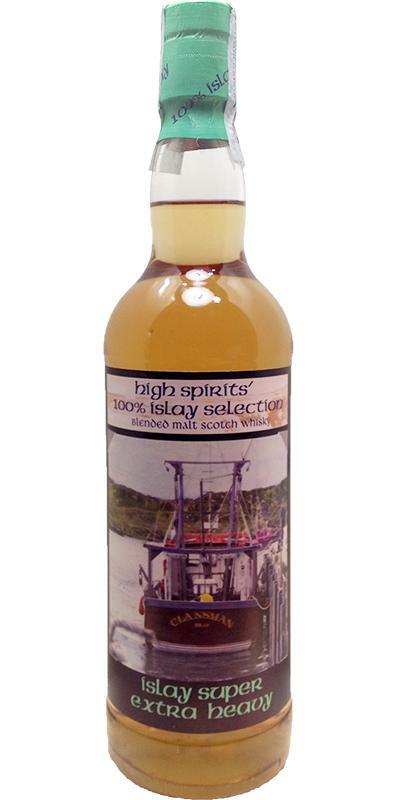 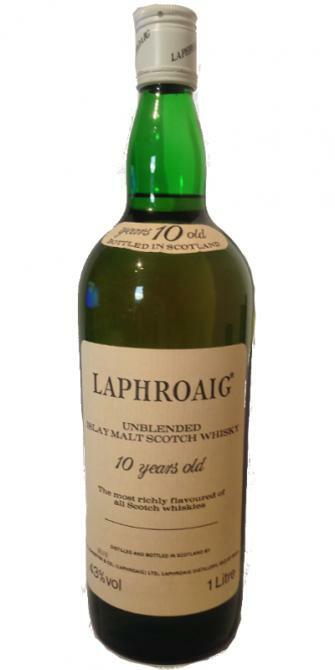 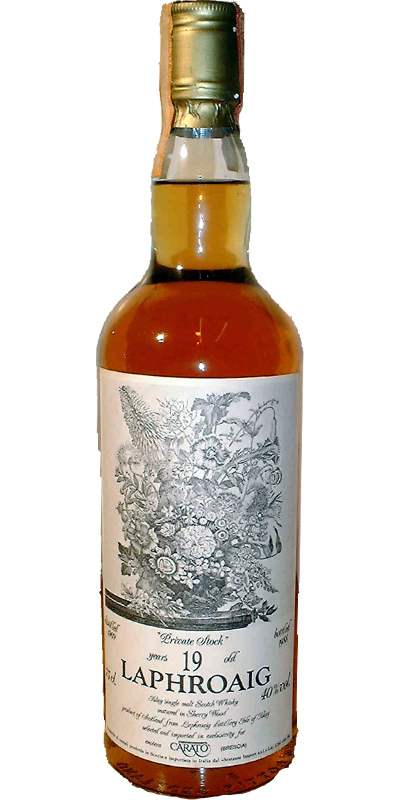 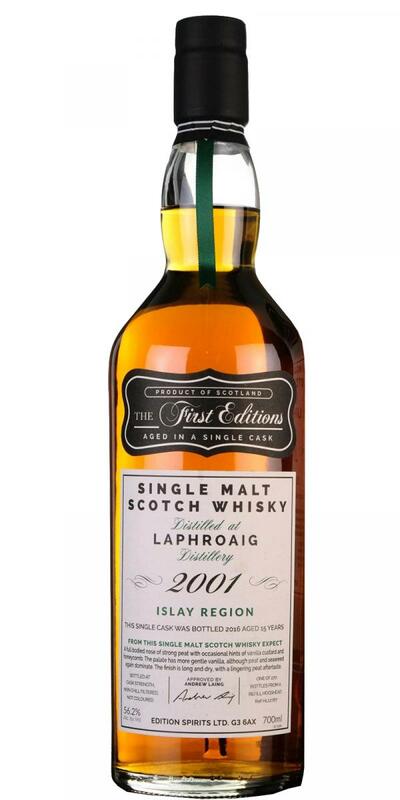 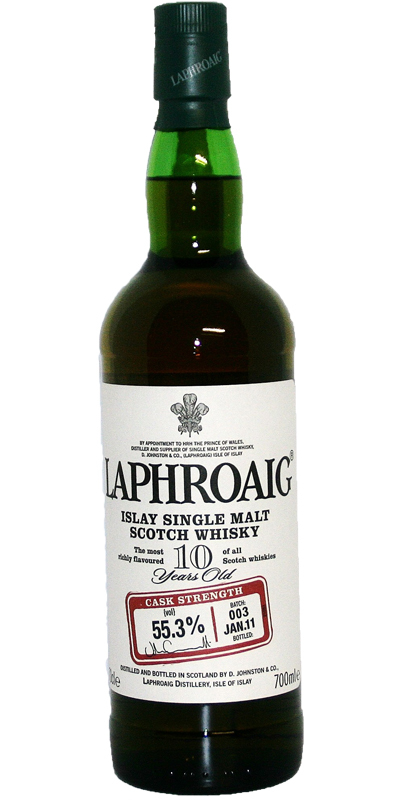 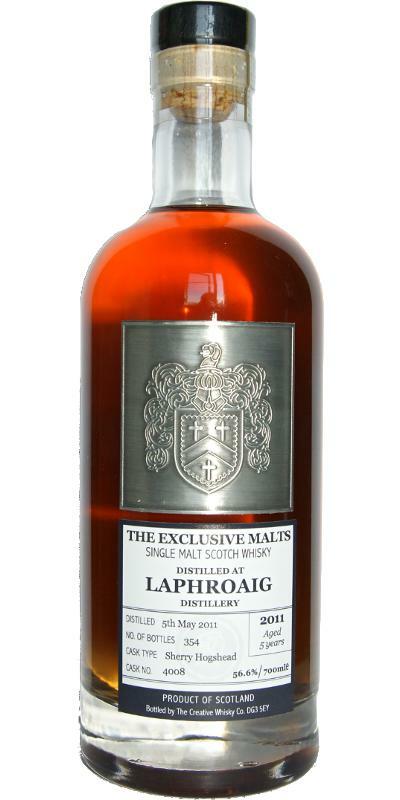 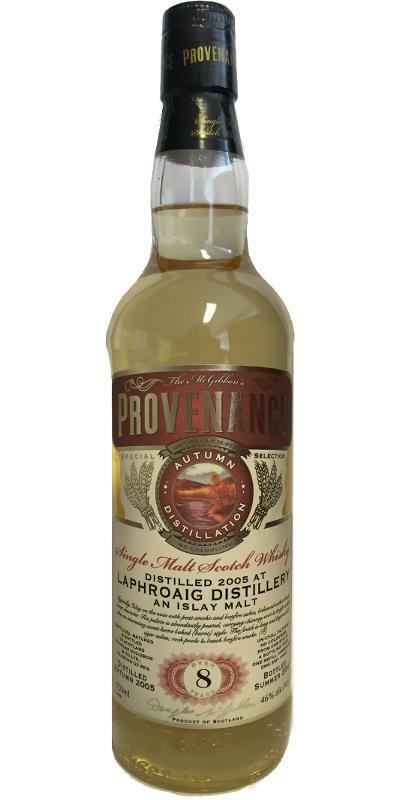 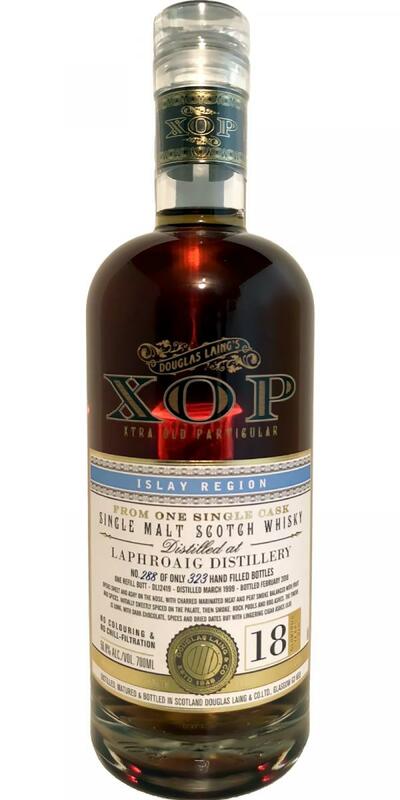 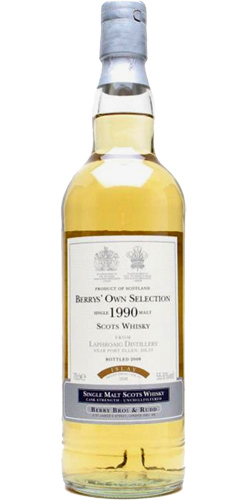 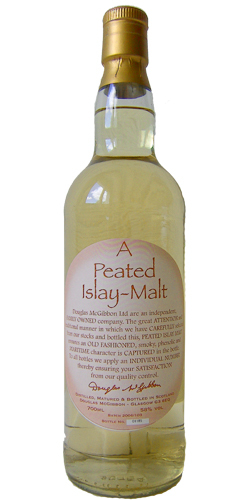 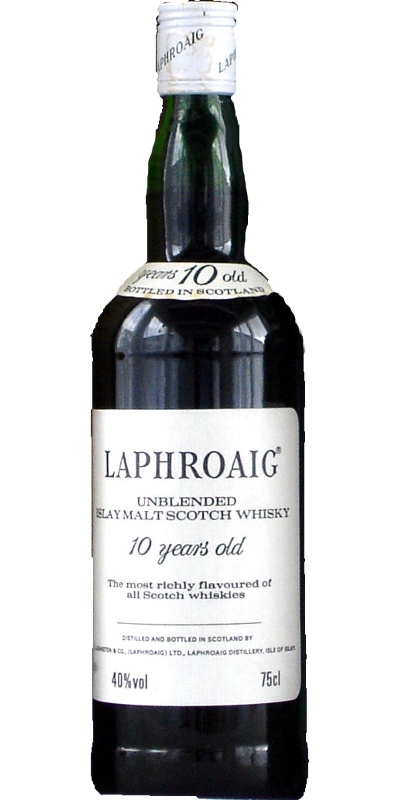 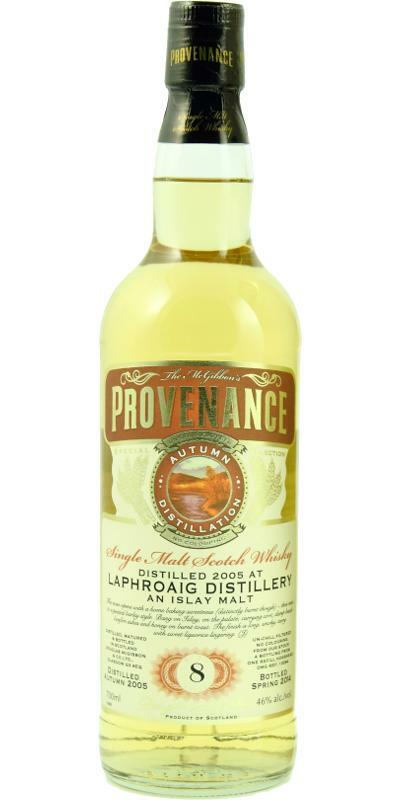 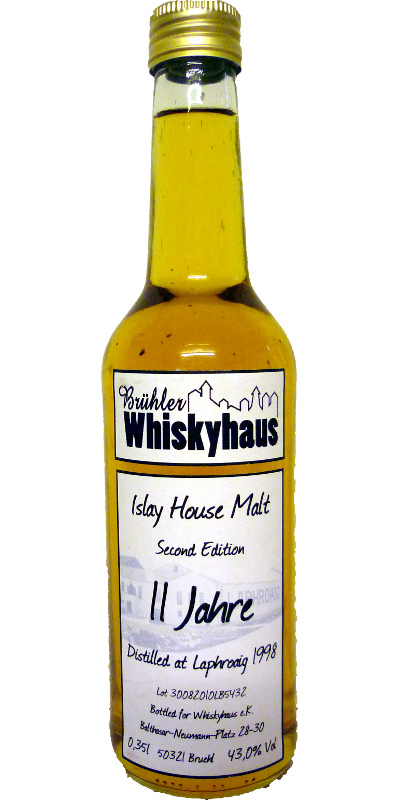 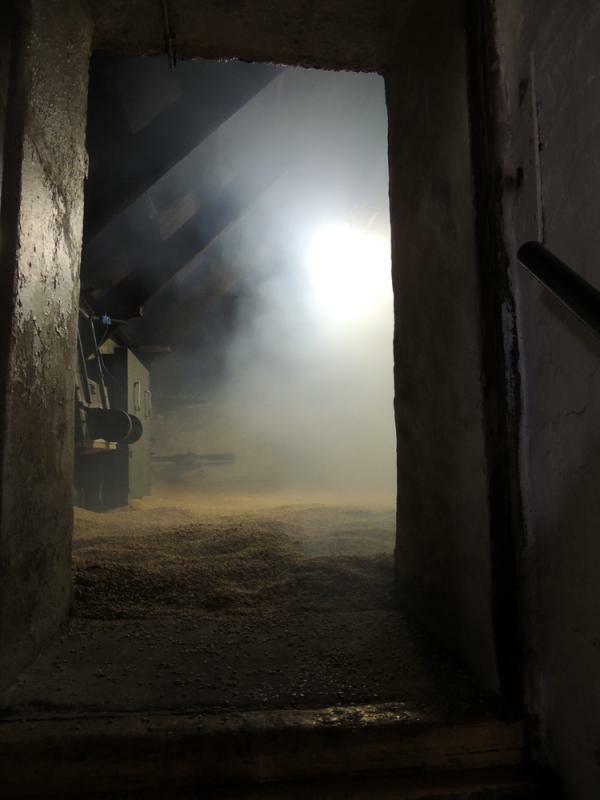 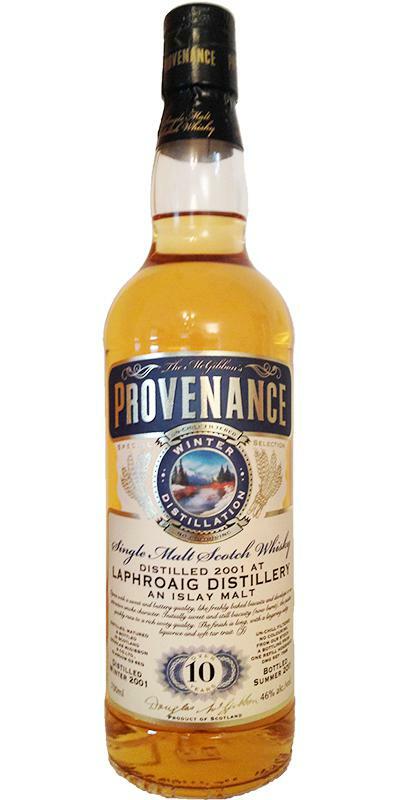 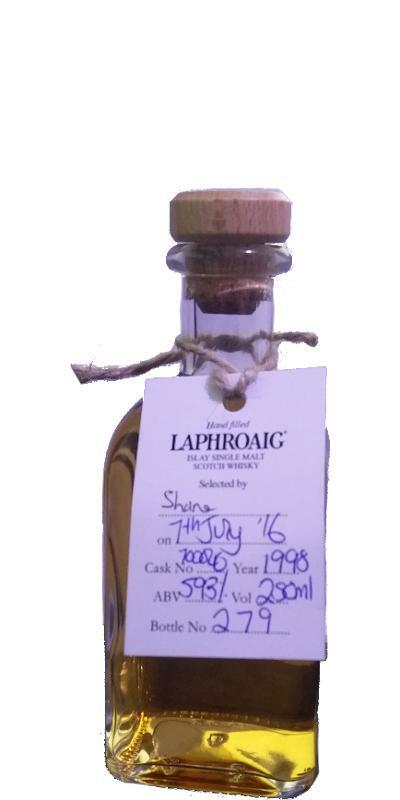 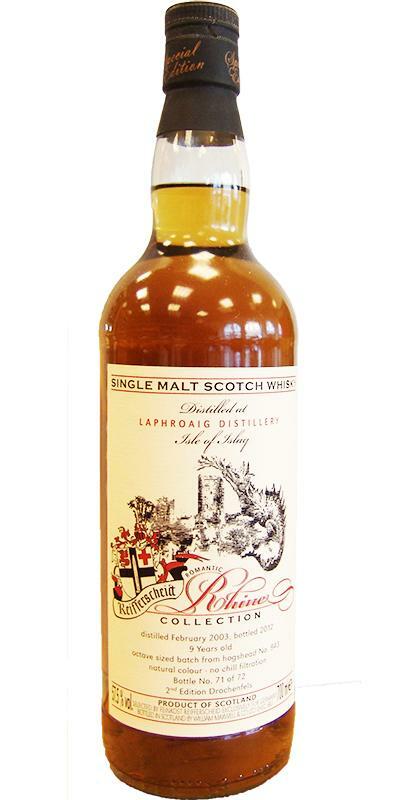 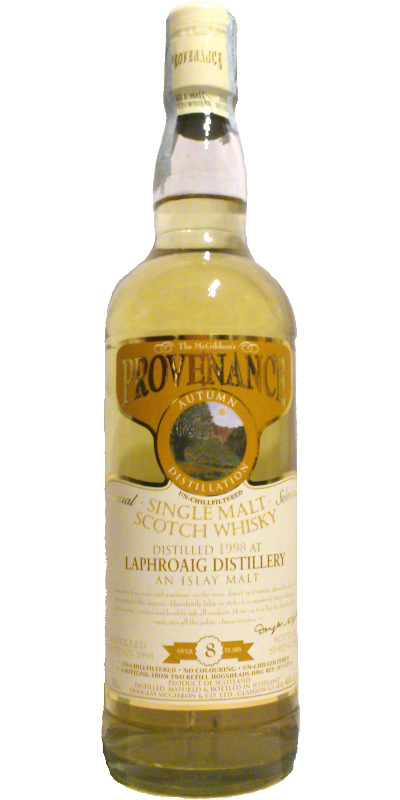 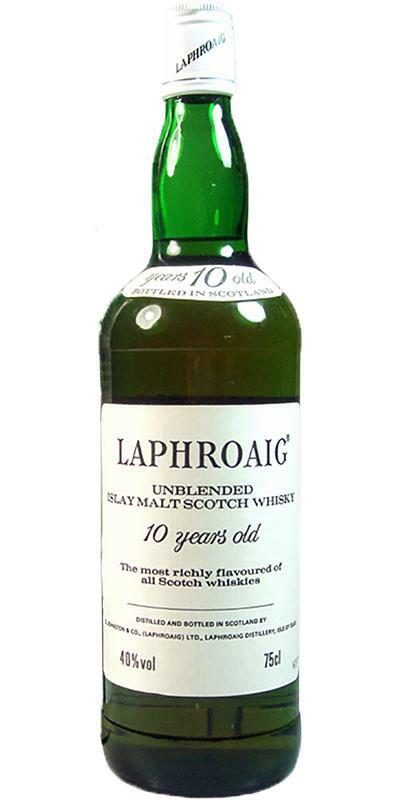 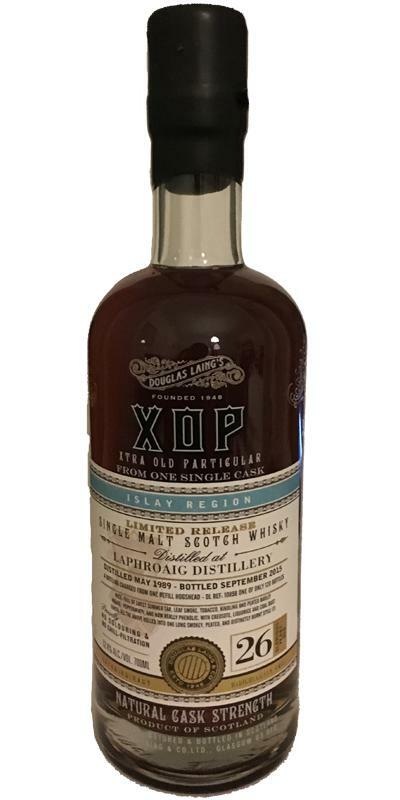 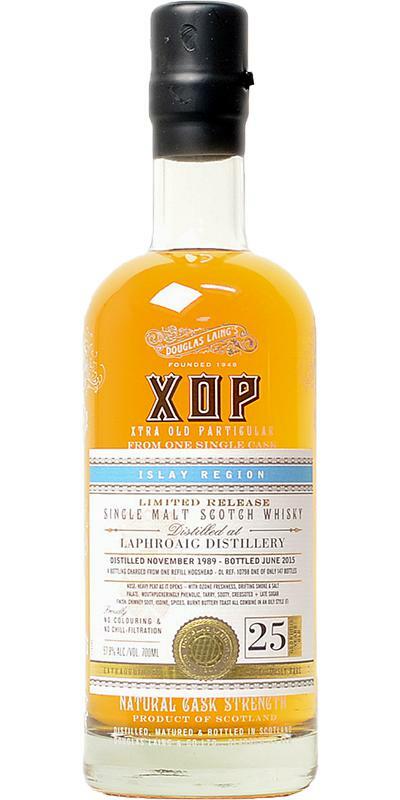 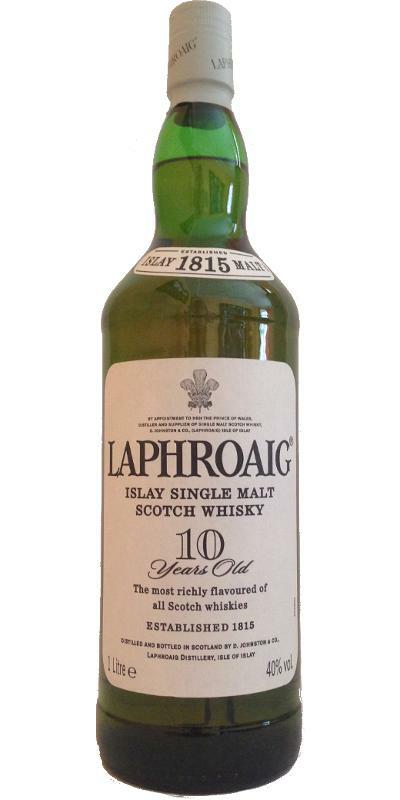 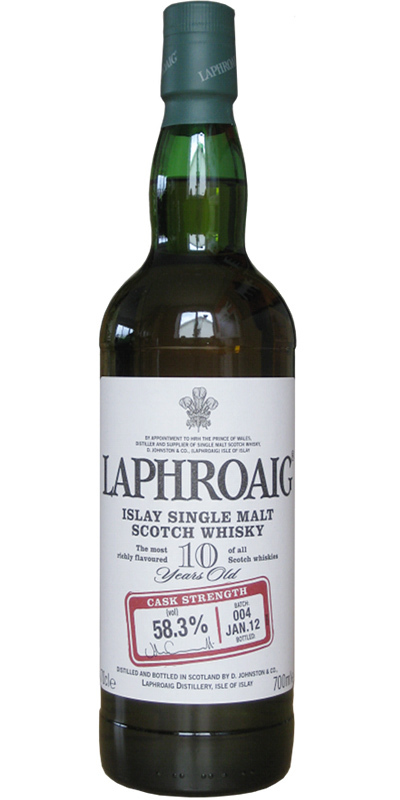 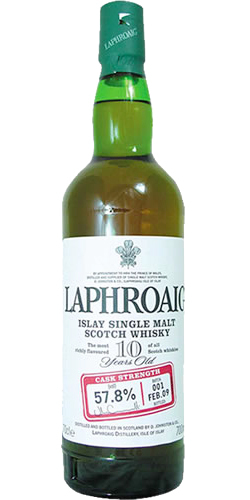 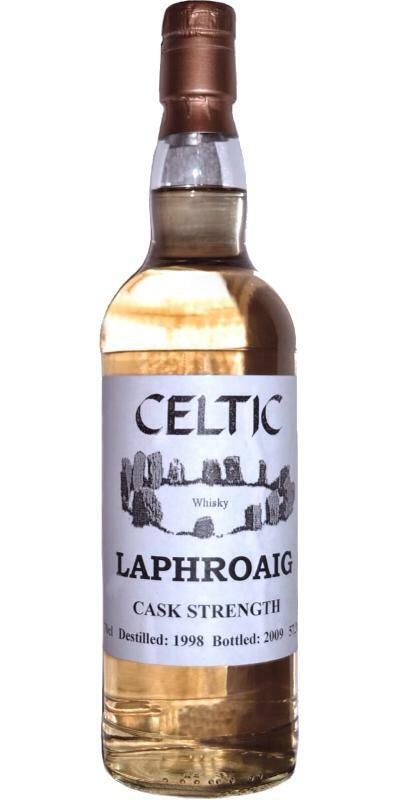 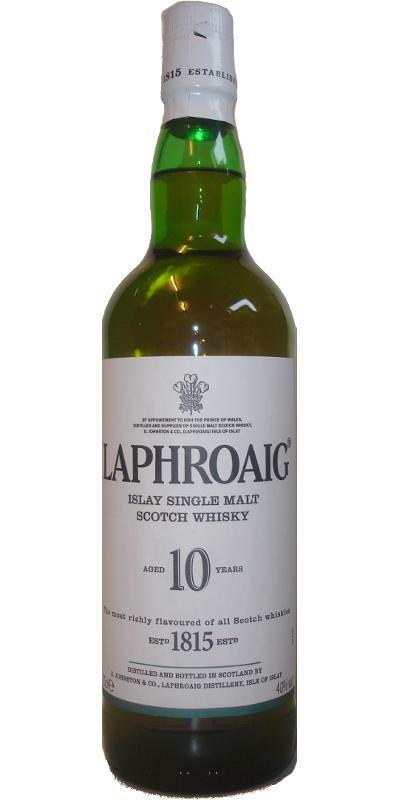 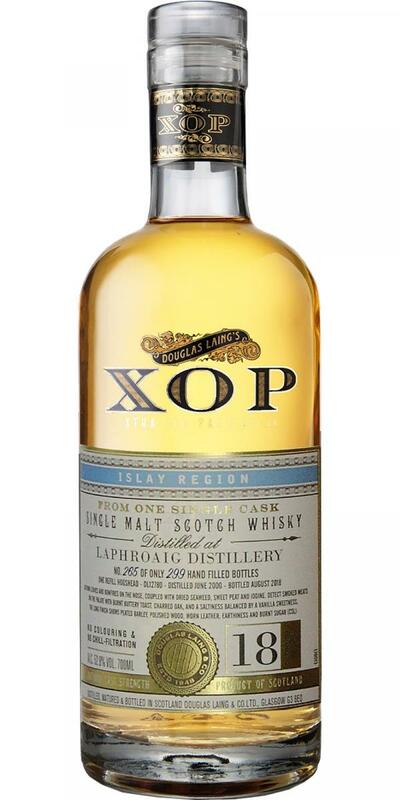 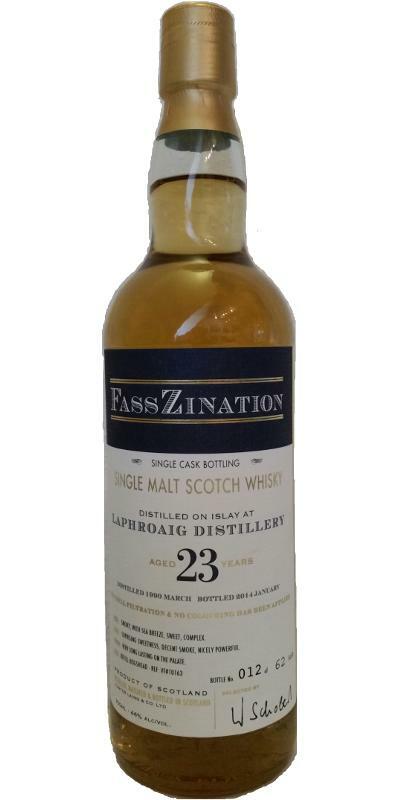 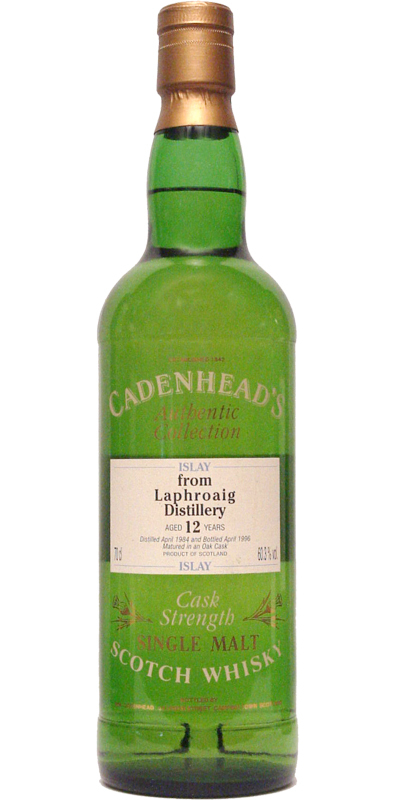 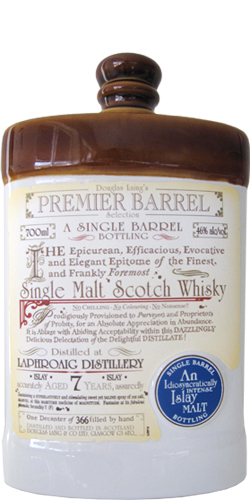 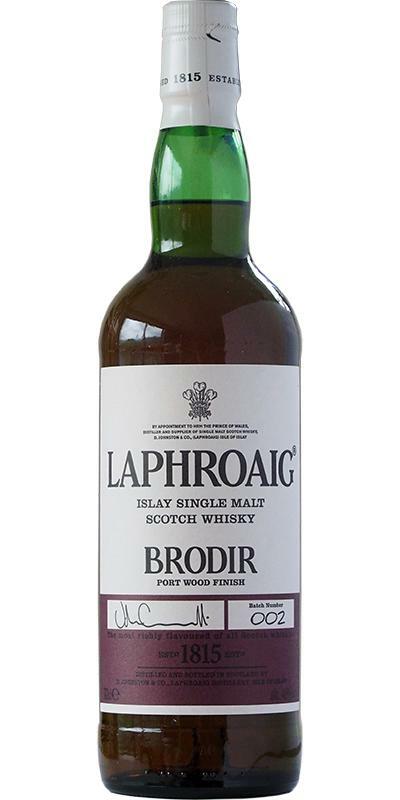 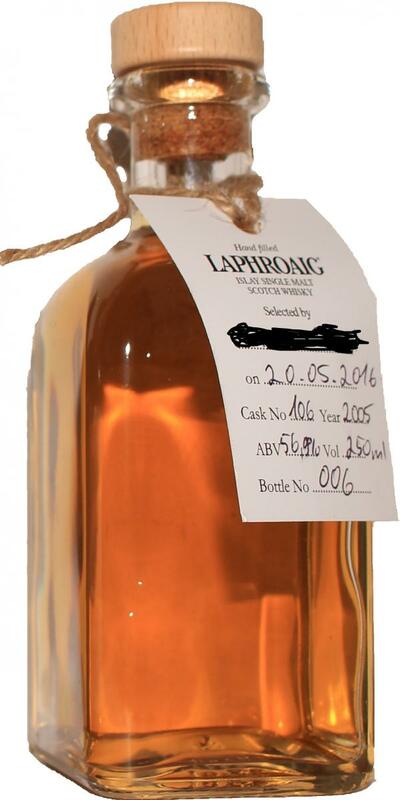 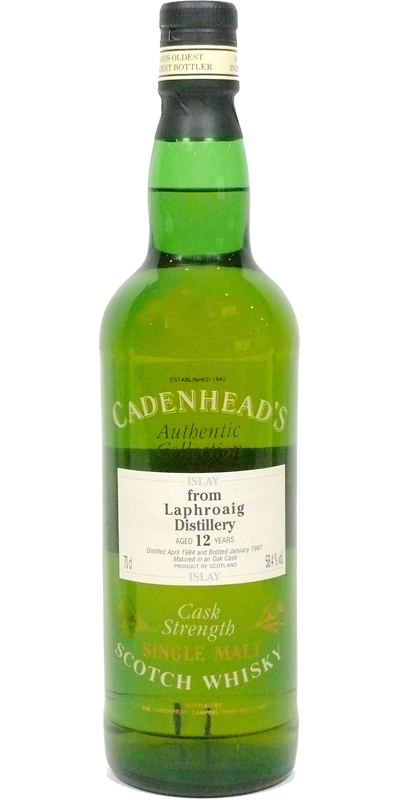 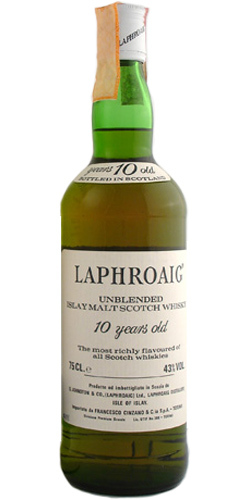 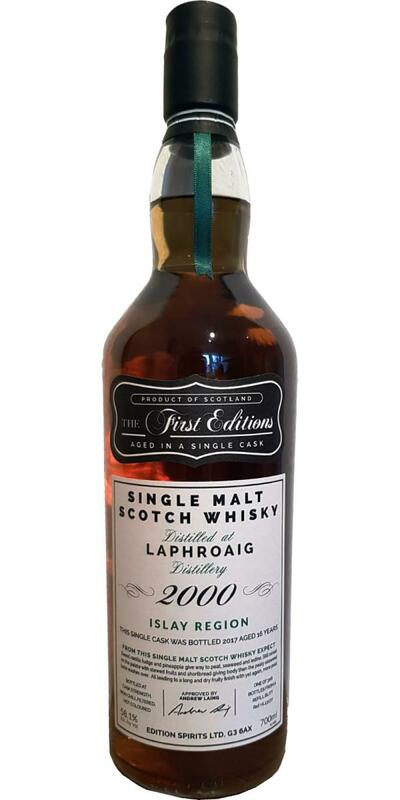 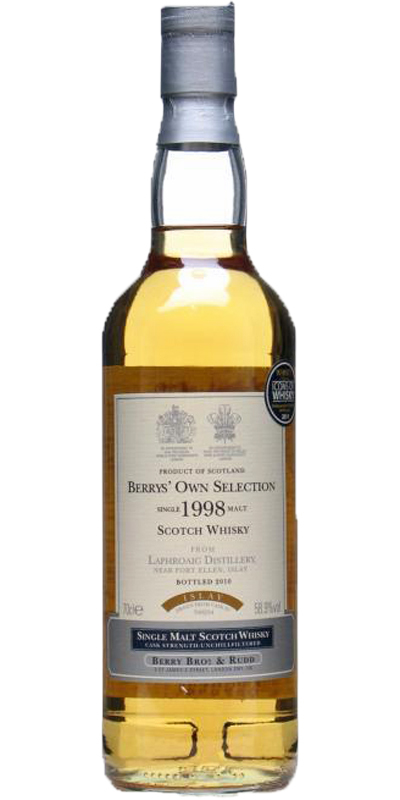 Laphroaig Peated Islay-Malt Batch 2006/103 05 58.0 % Vol. 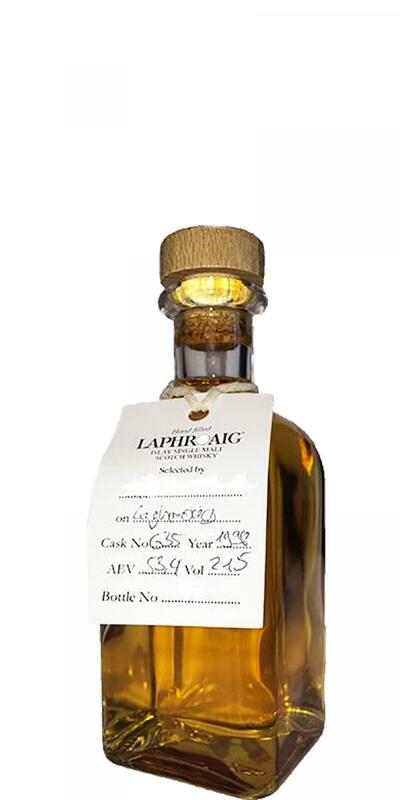 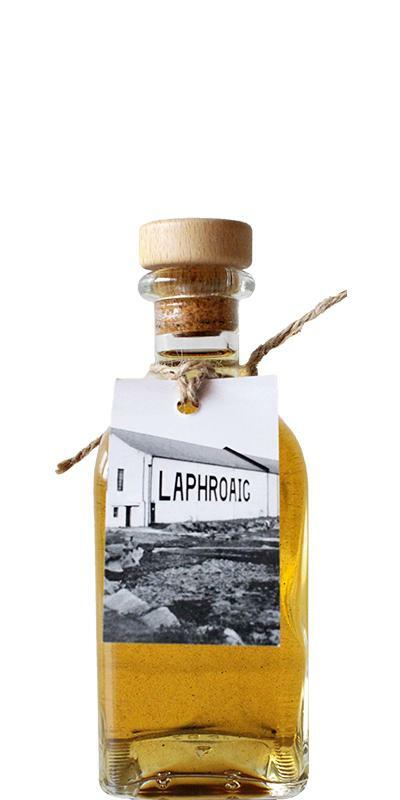 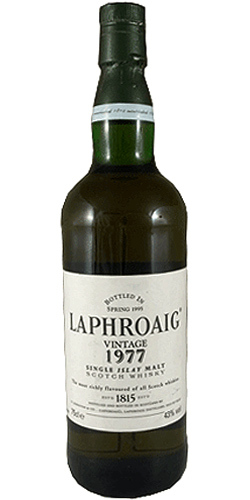 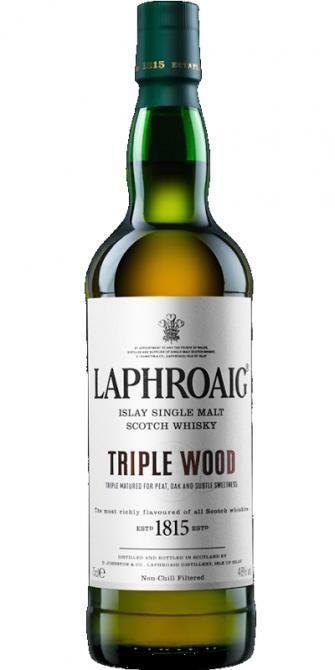 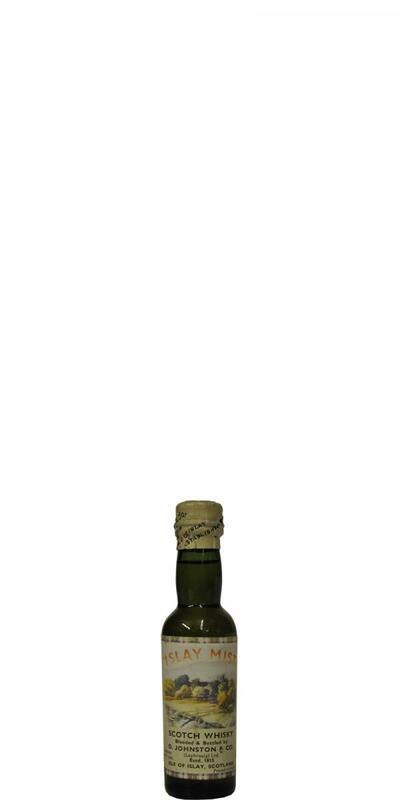 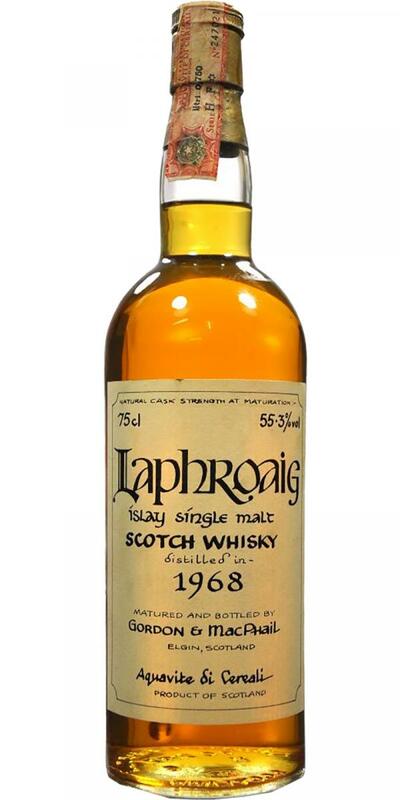 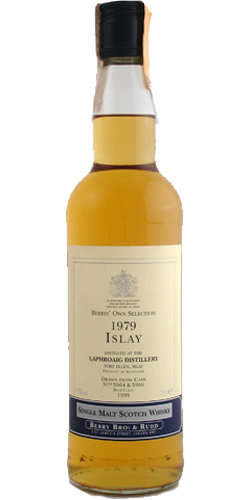 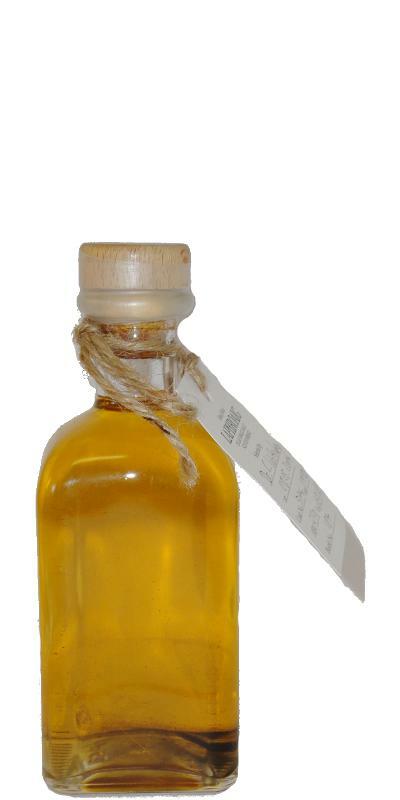 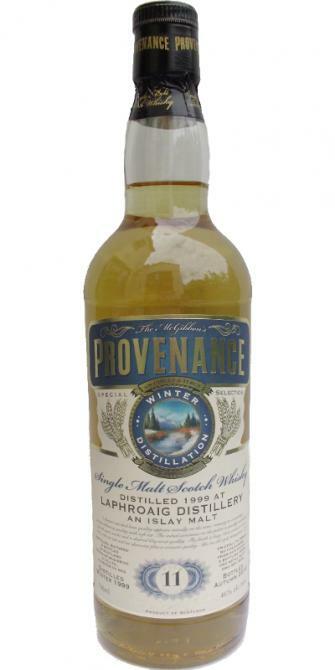 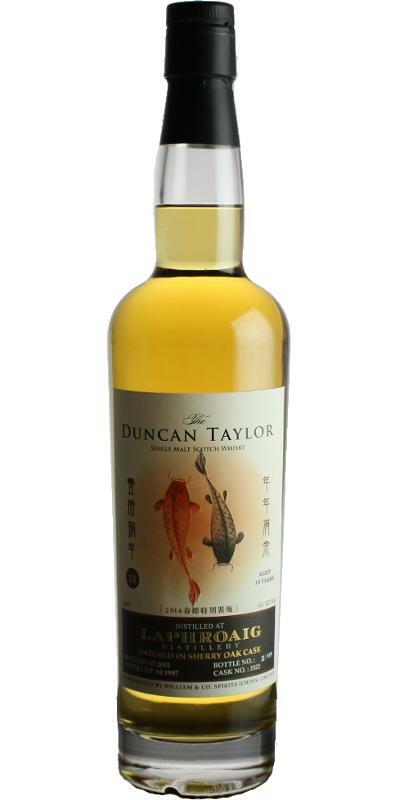 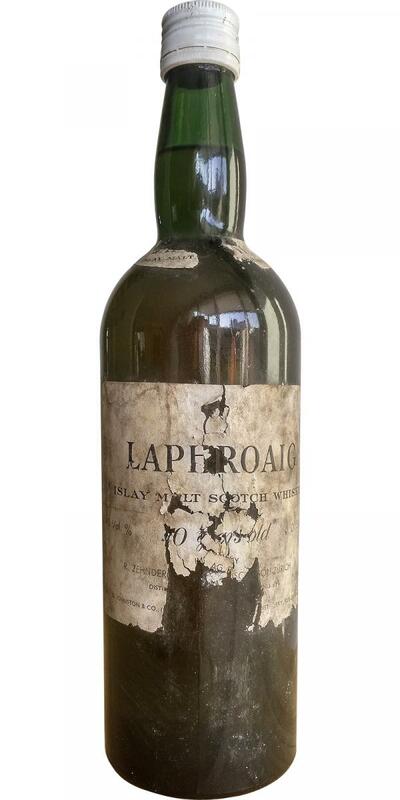 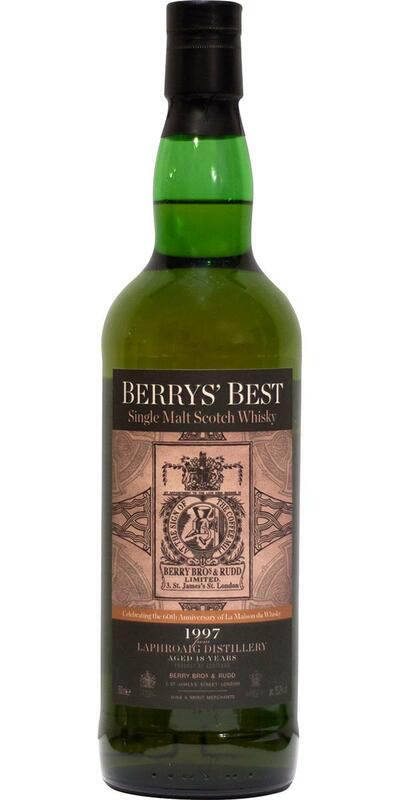 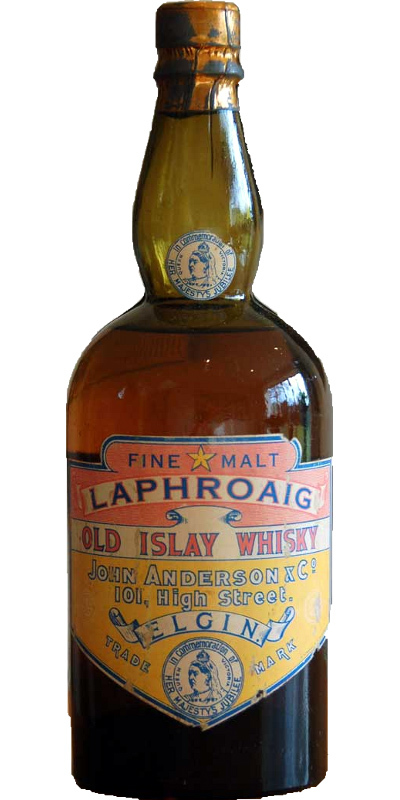 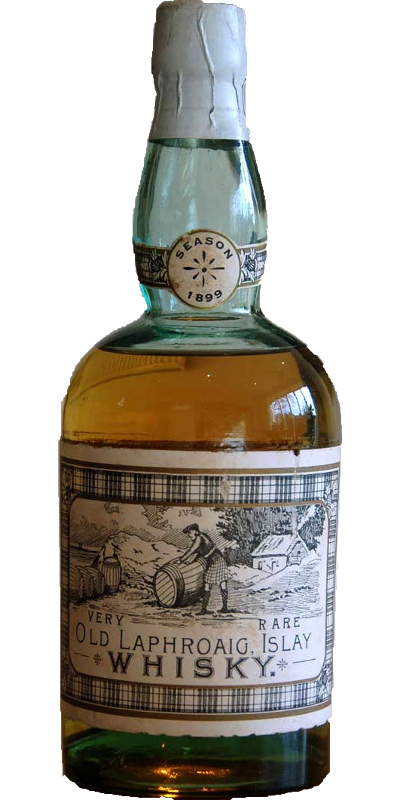 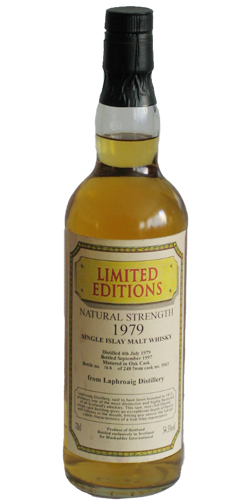 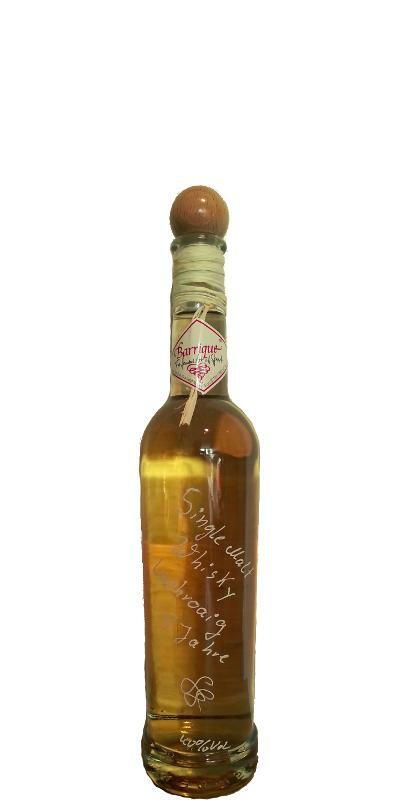 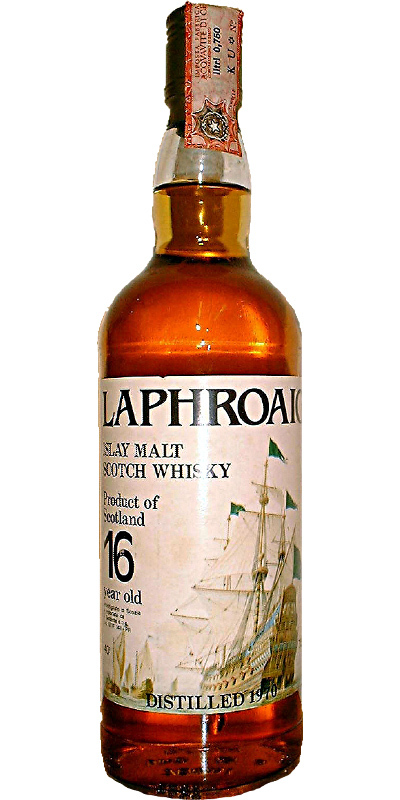 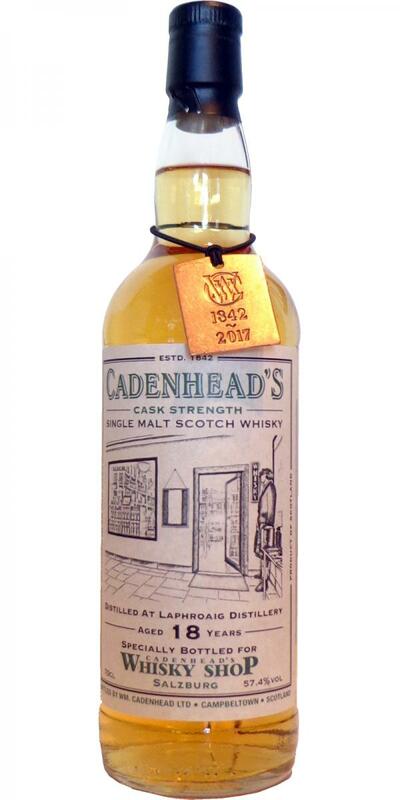 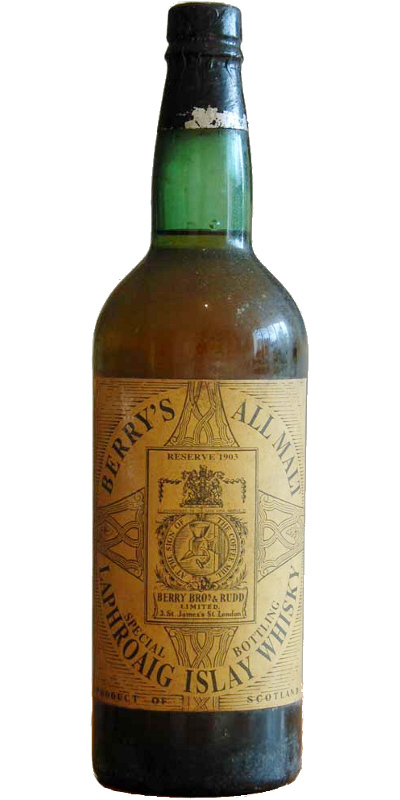 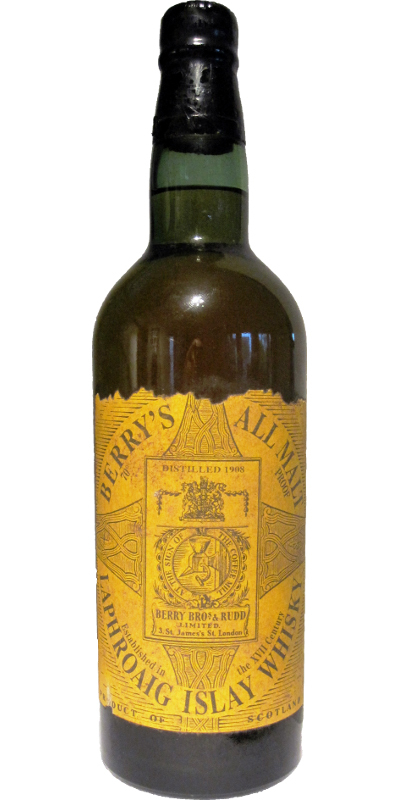 Laphroaig 1968 GM Round bottle, label from Triangular shape bottle - Sestante impo 16 40.0 % Vol. 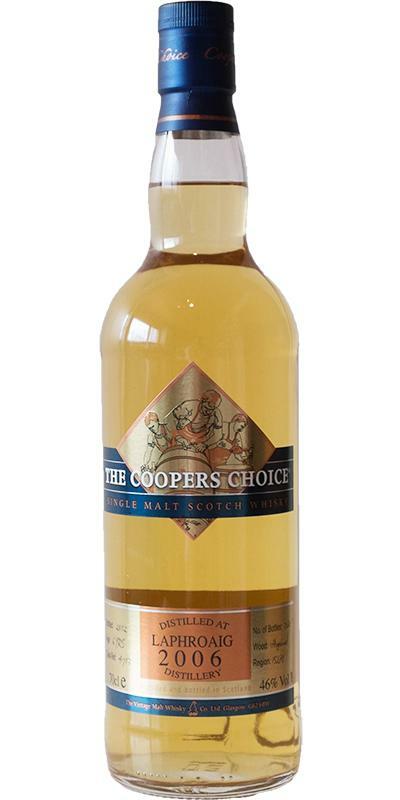 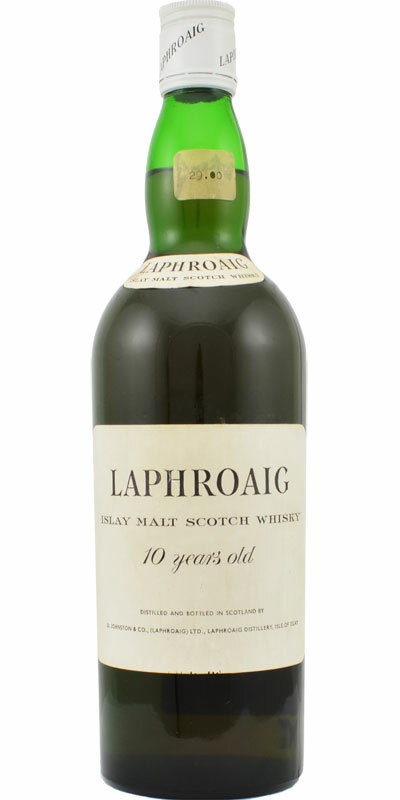 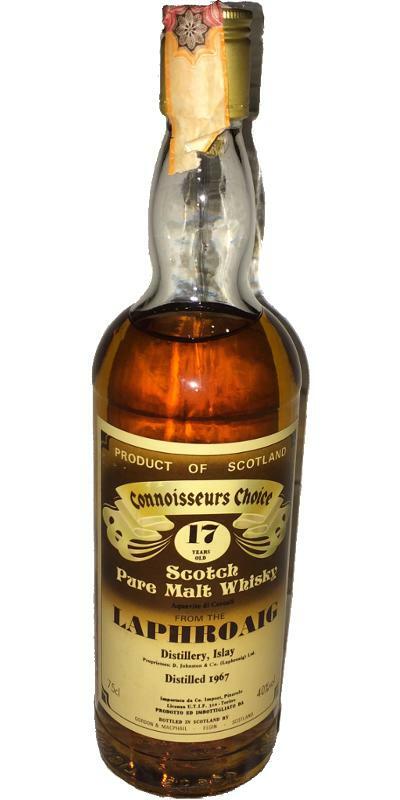 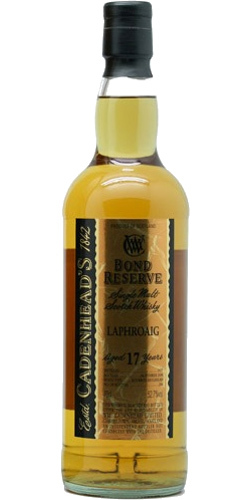 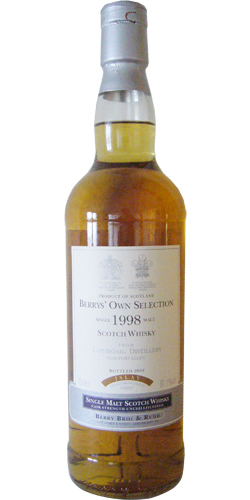 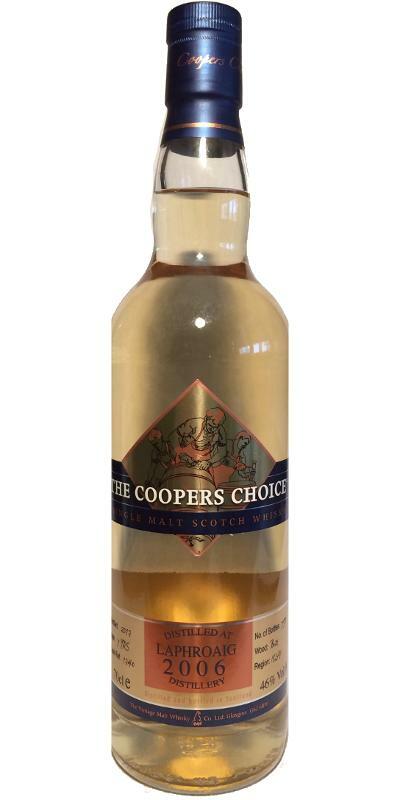 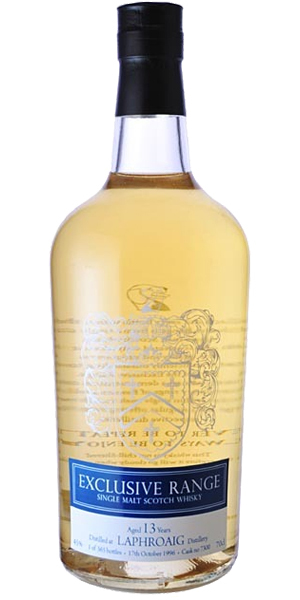 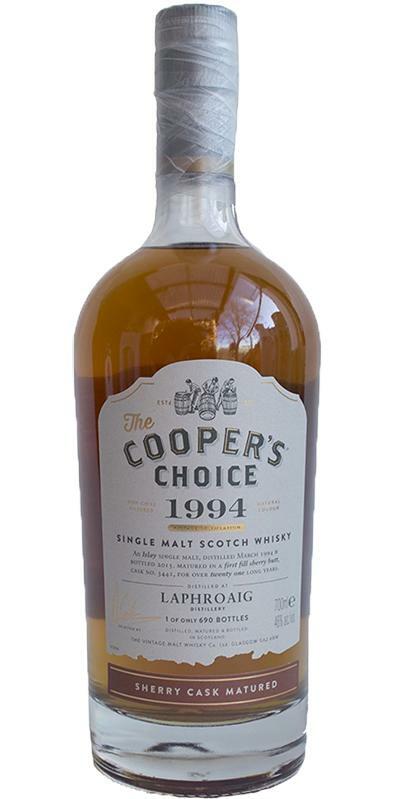 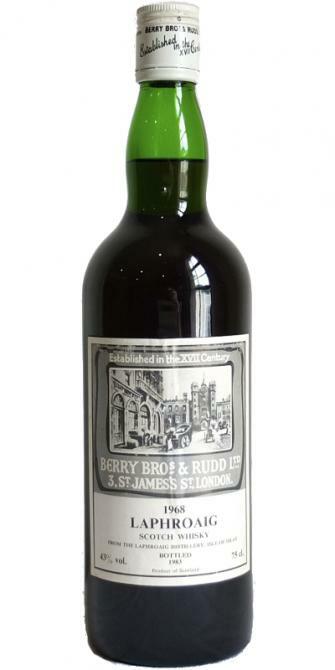 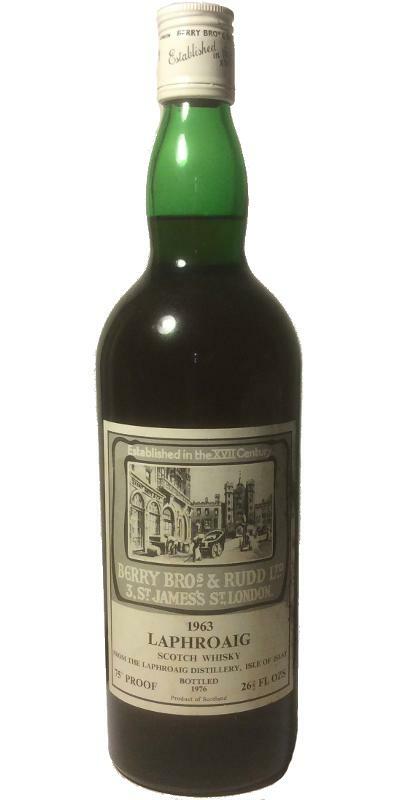 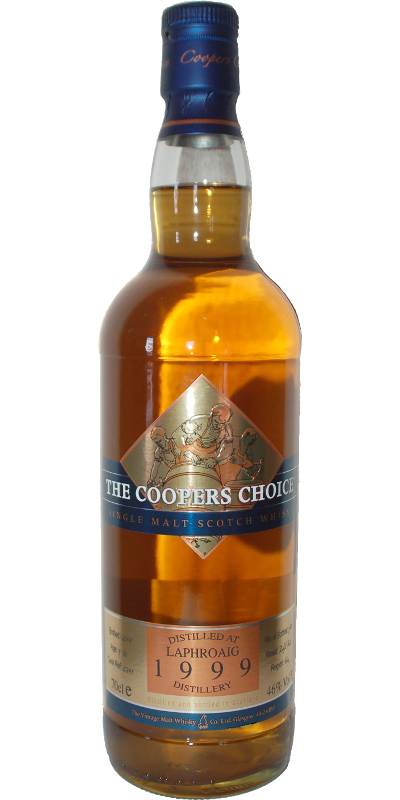 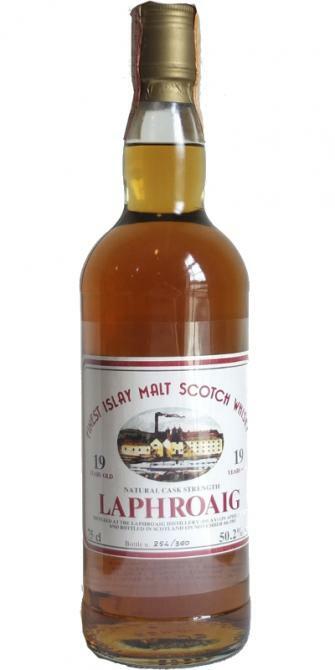 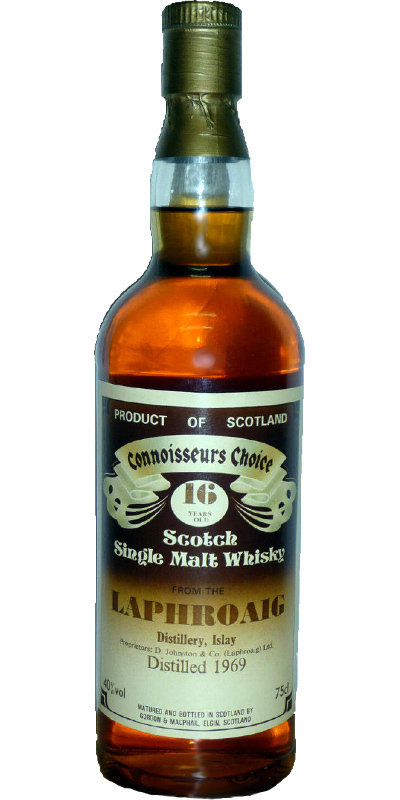 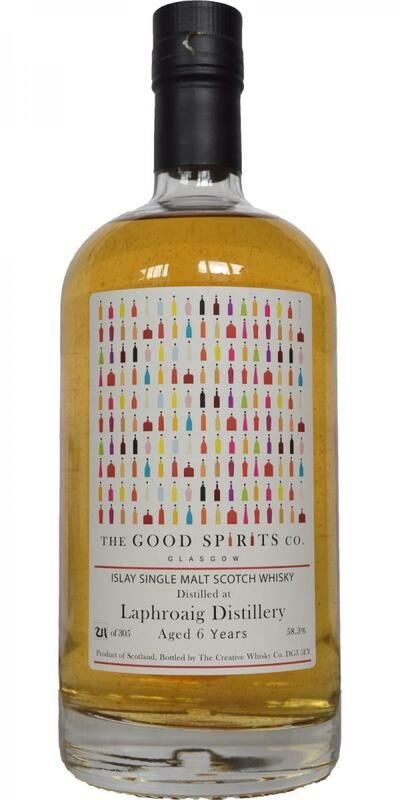 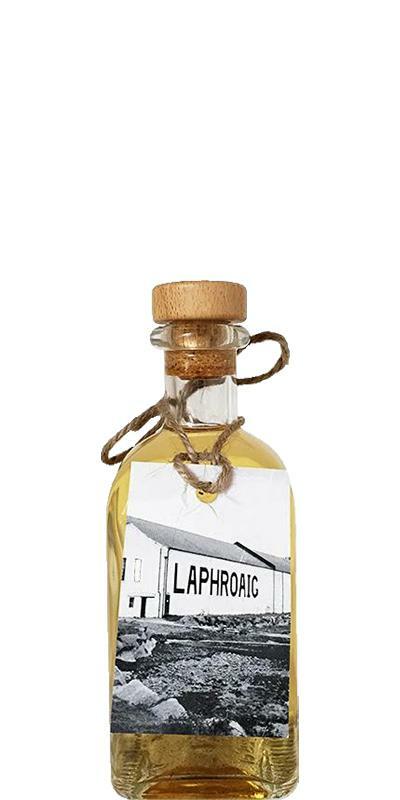 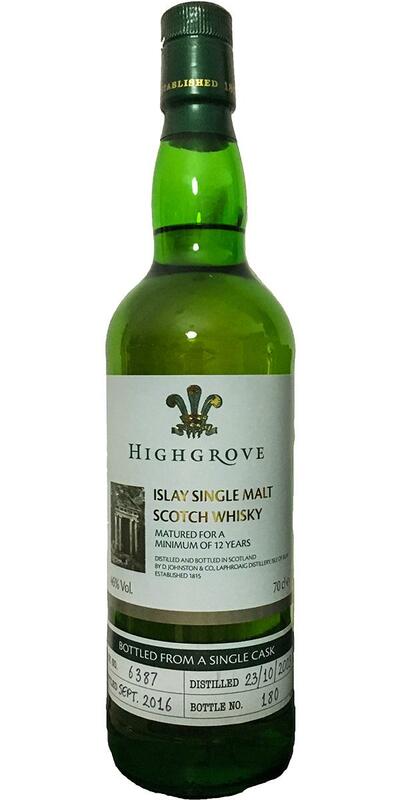 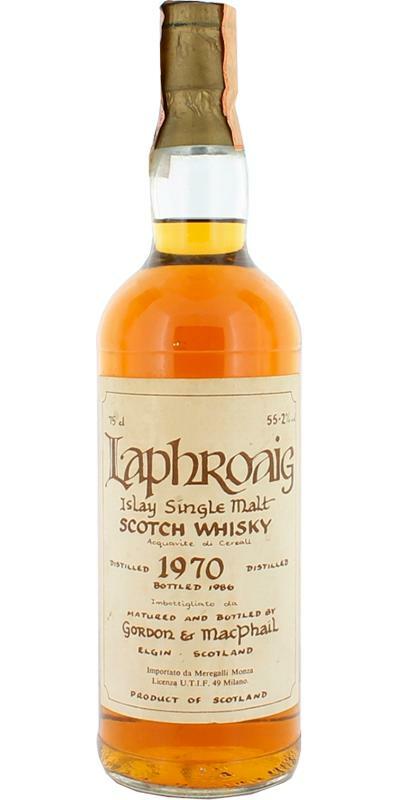 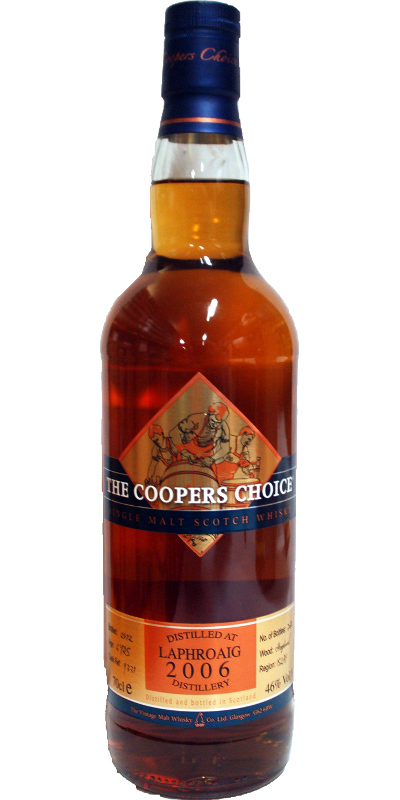 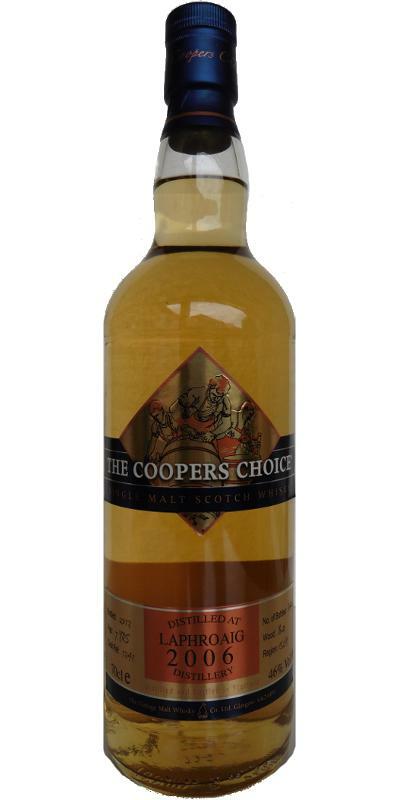 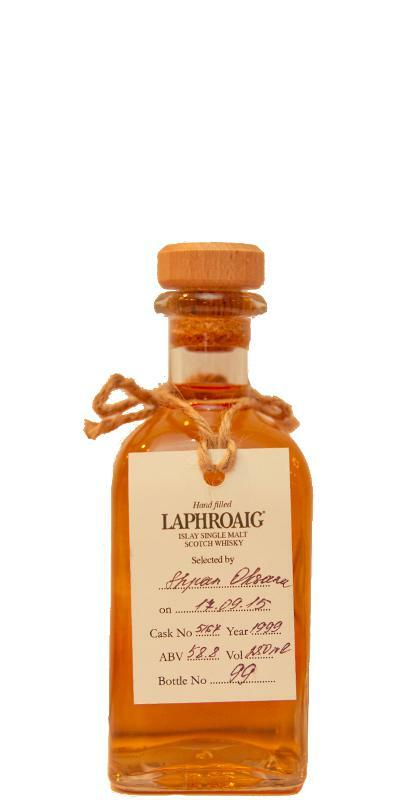 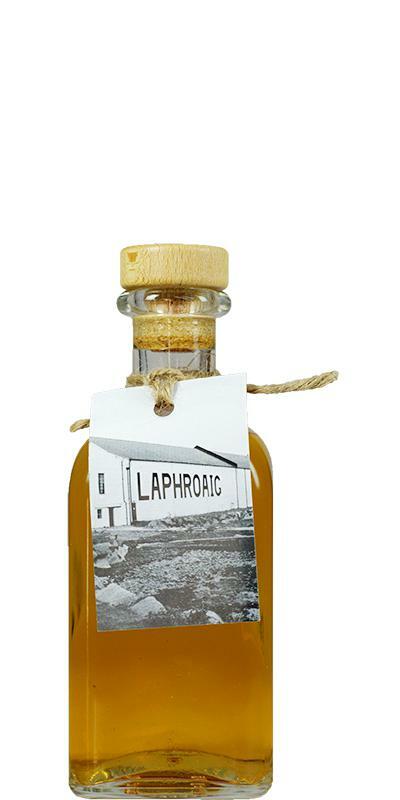 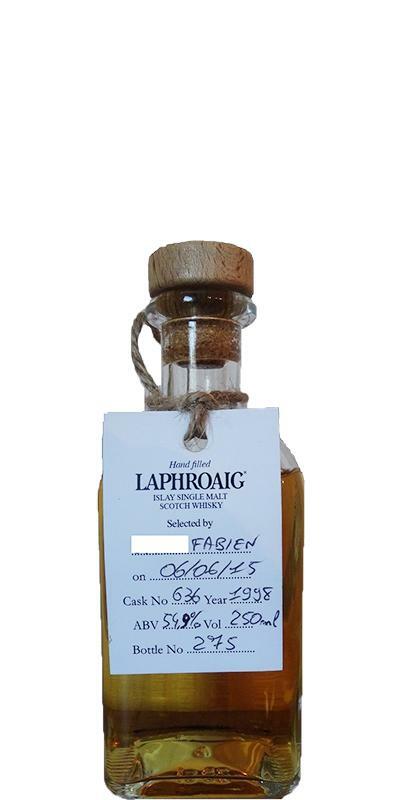 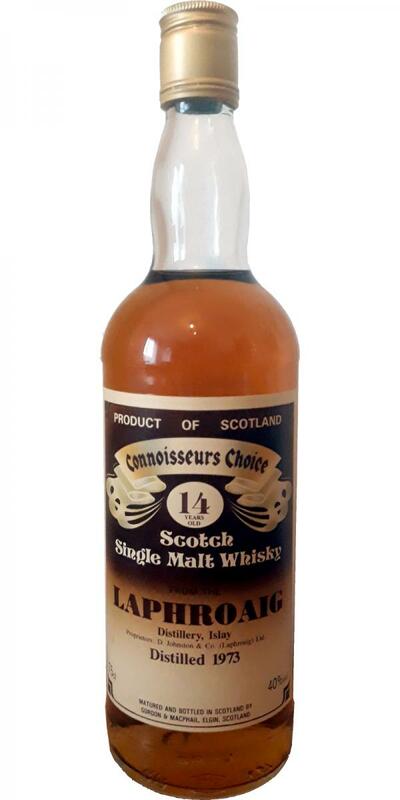 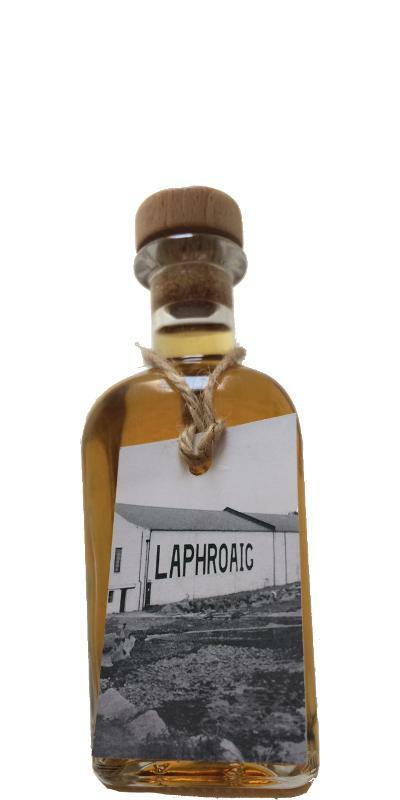 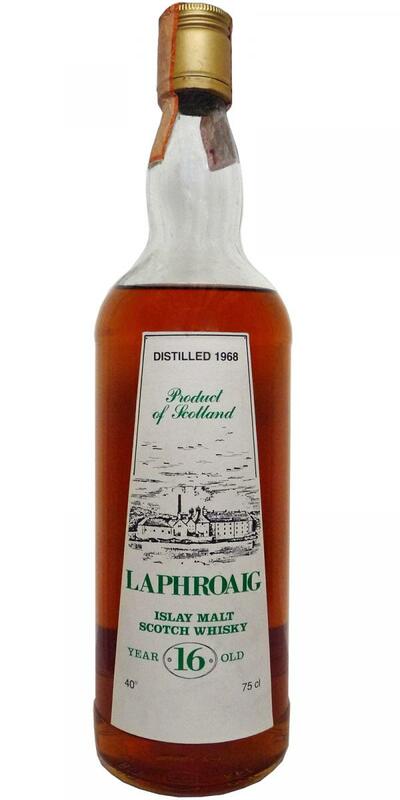 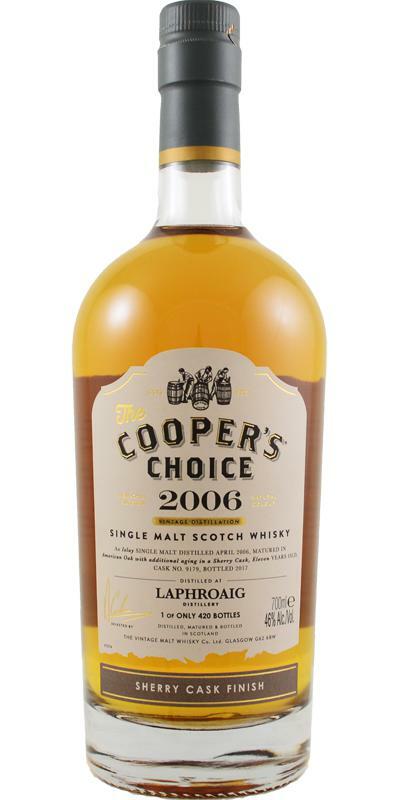 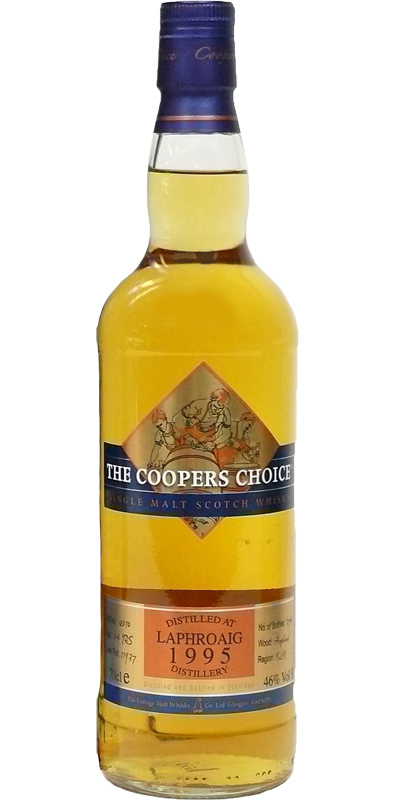 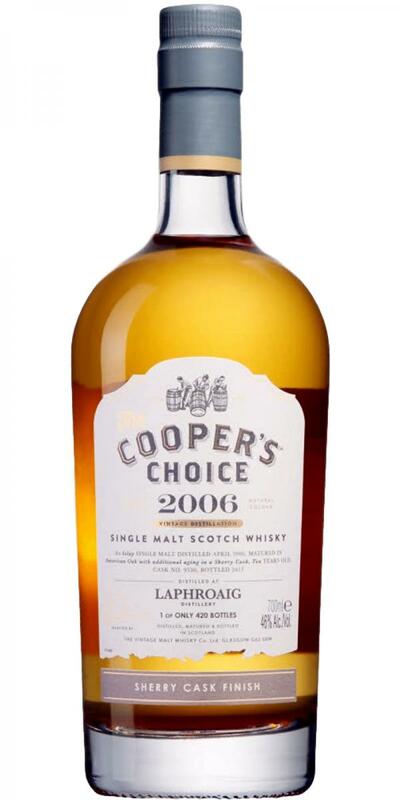 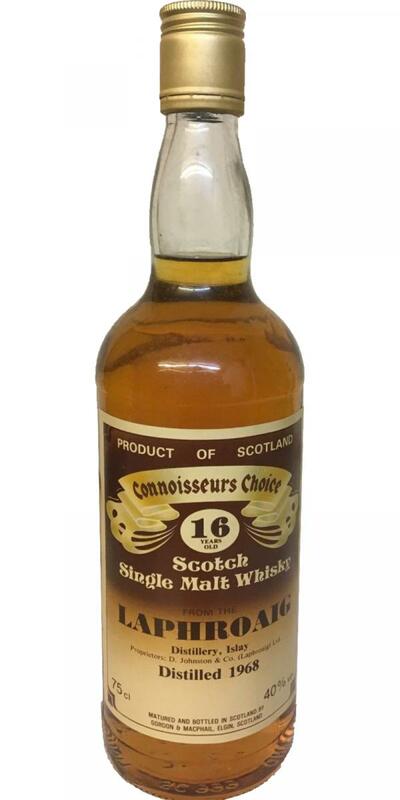 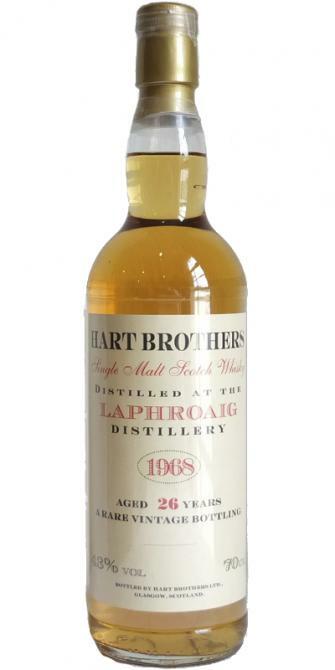 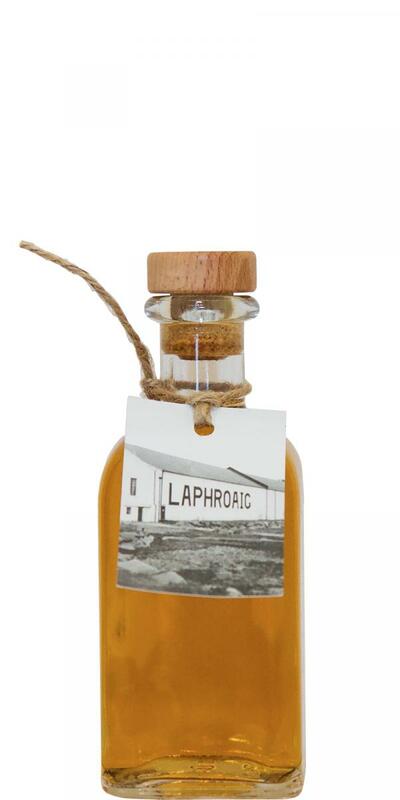 Laphroaig 1968 GM Connoisseurs Choice 16 40.0 % Vol. 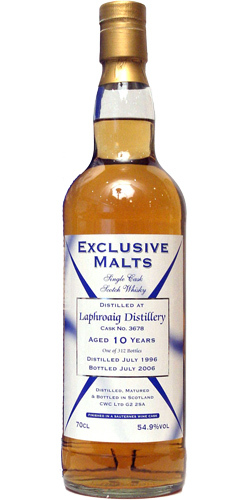 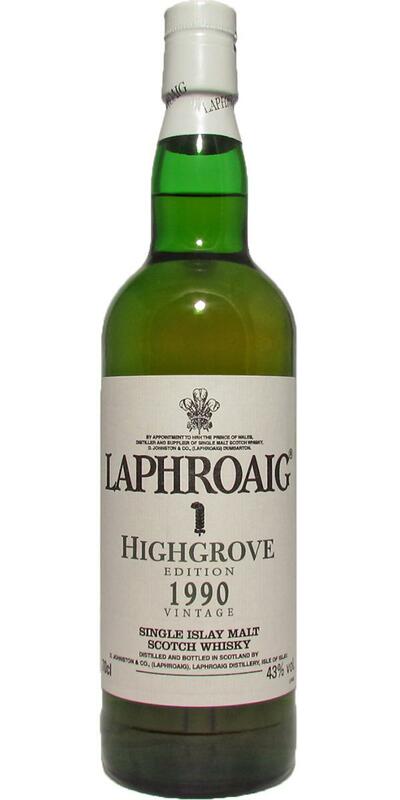 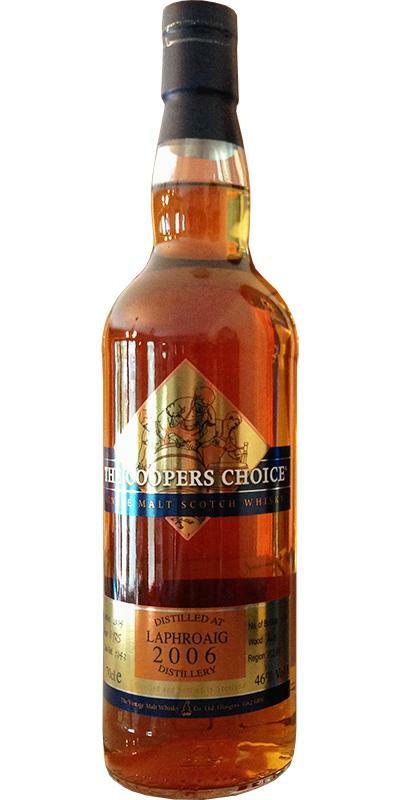 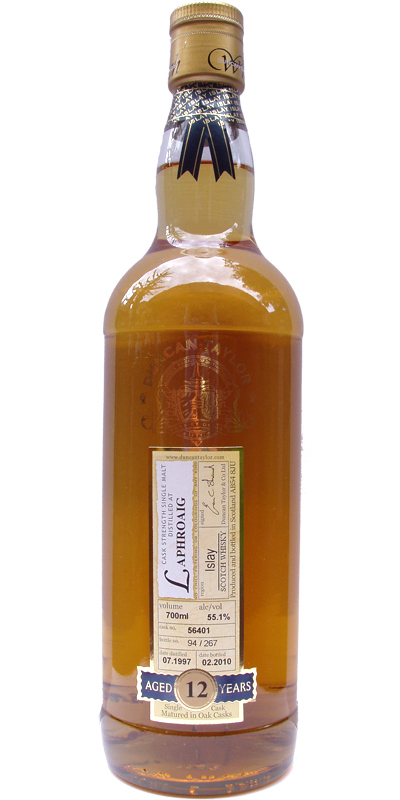 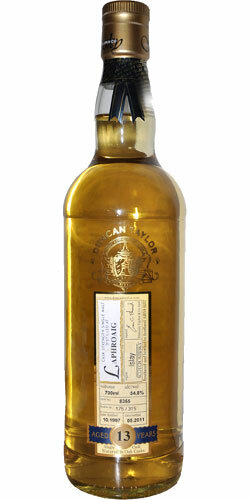 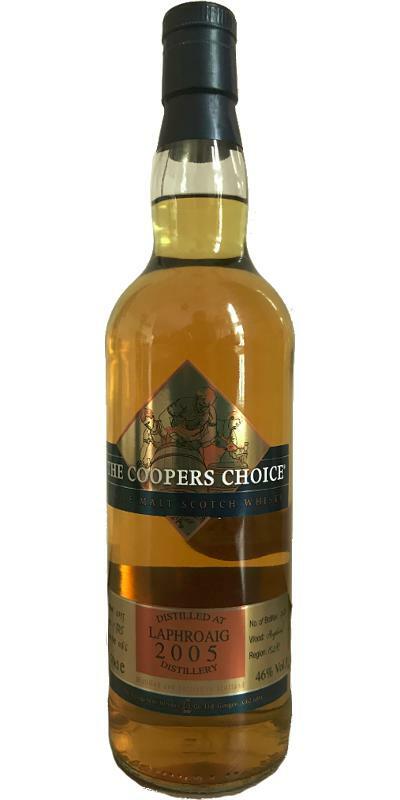 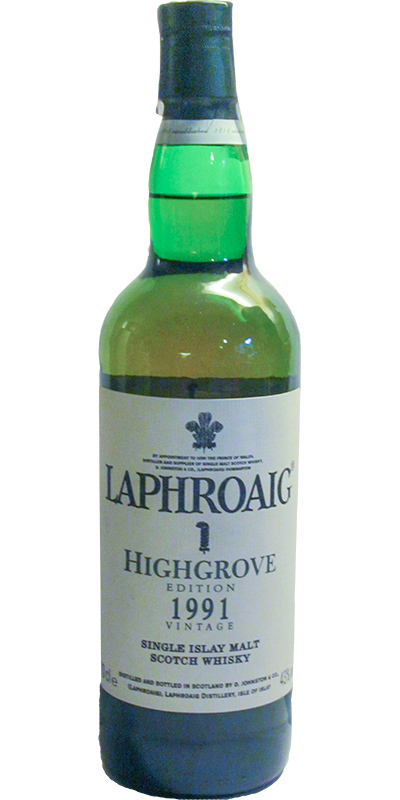 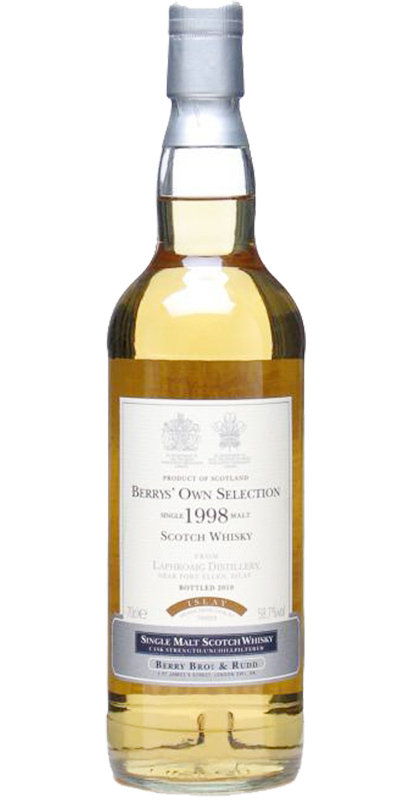 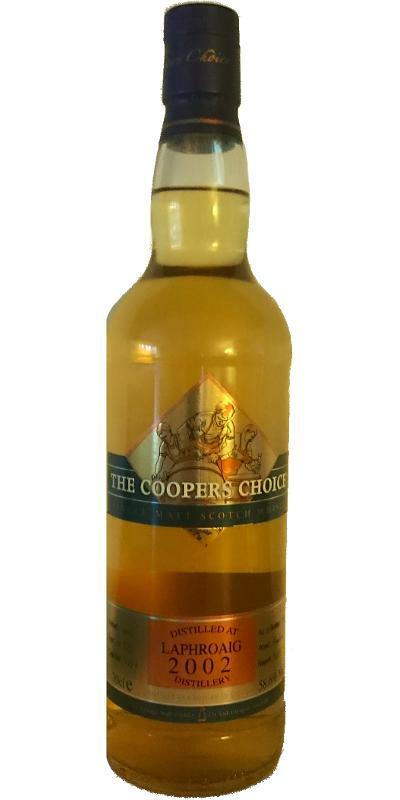 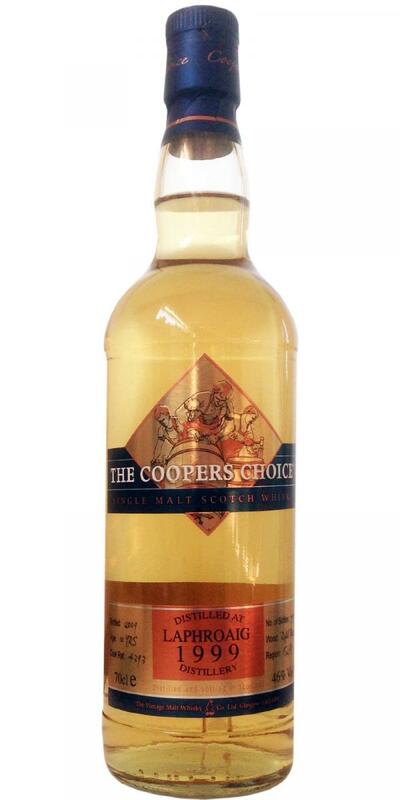 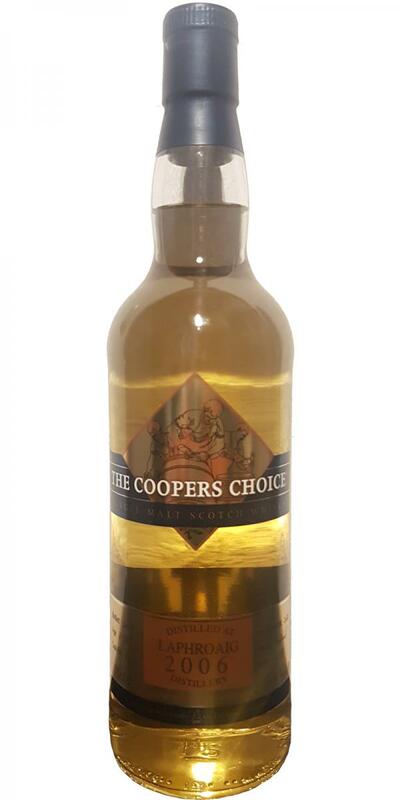 Laphroaig 1969 GM Connoisseurs Choice 10 40.0 % Vol. 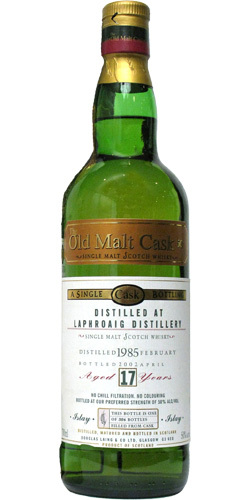 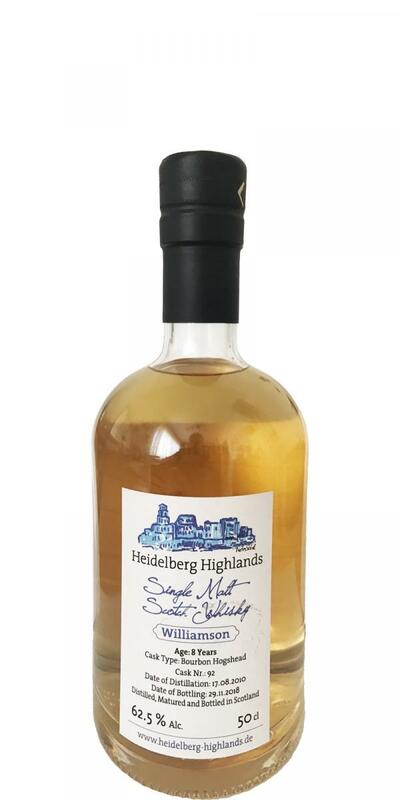 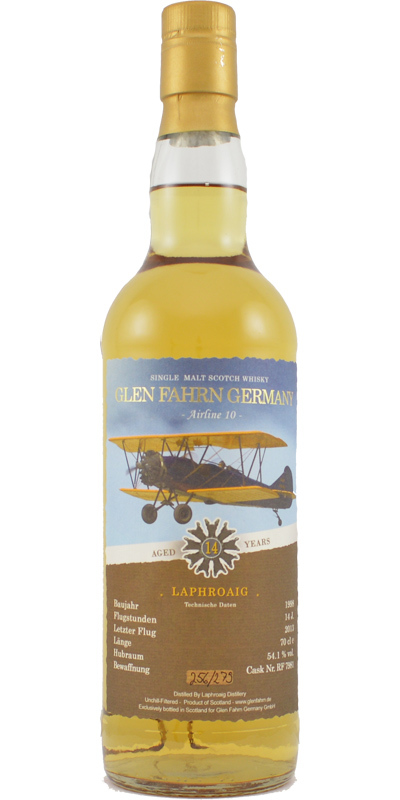 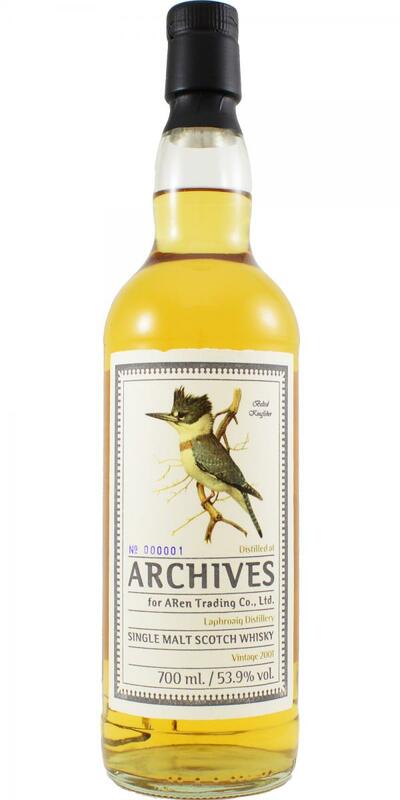 Laphroaig 1970 GM 13 40.0 % Vol. 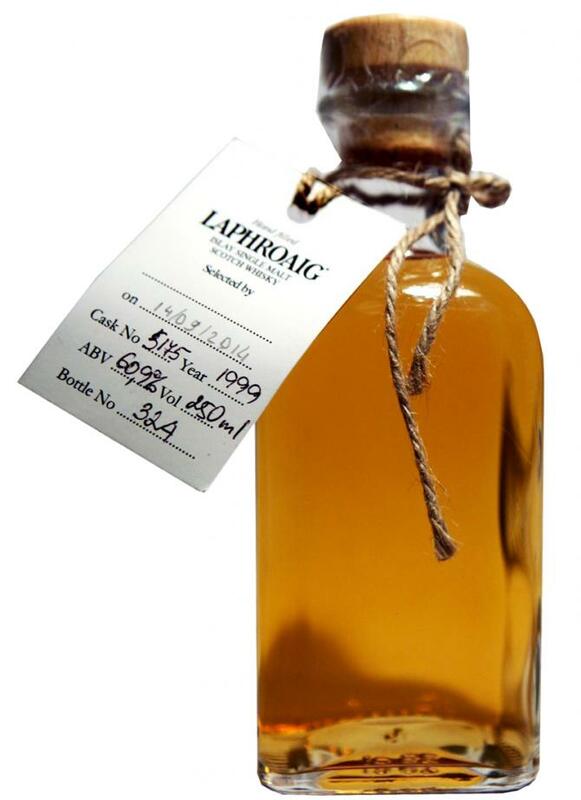 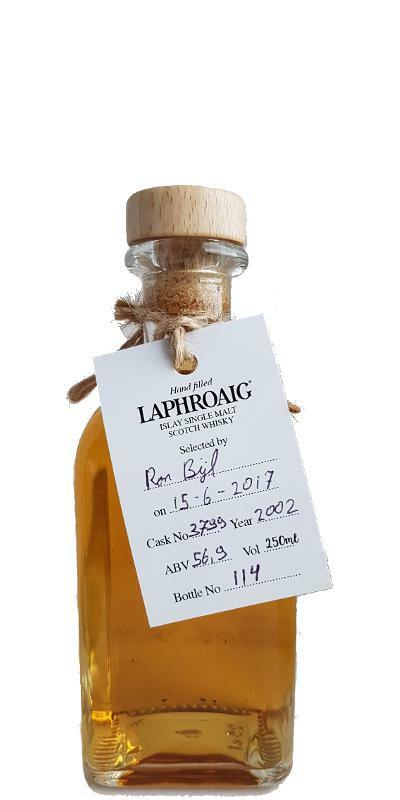 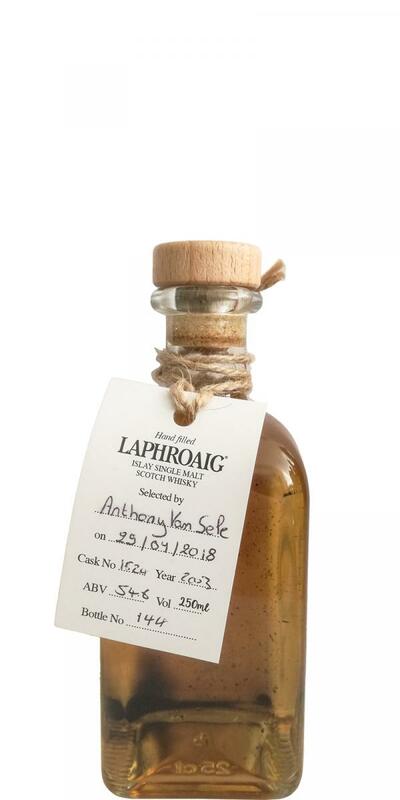 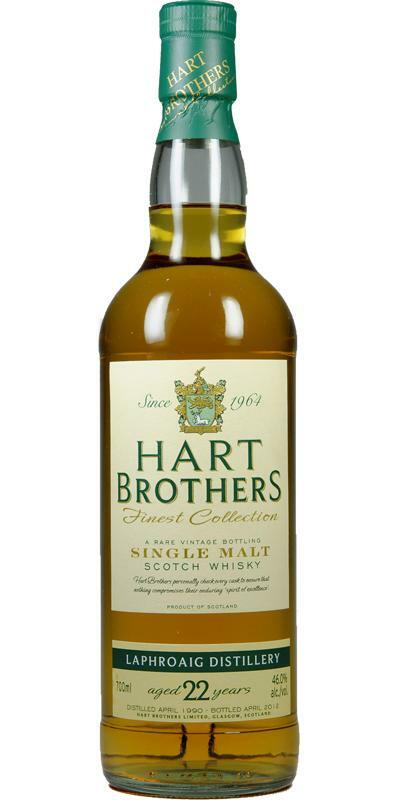 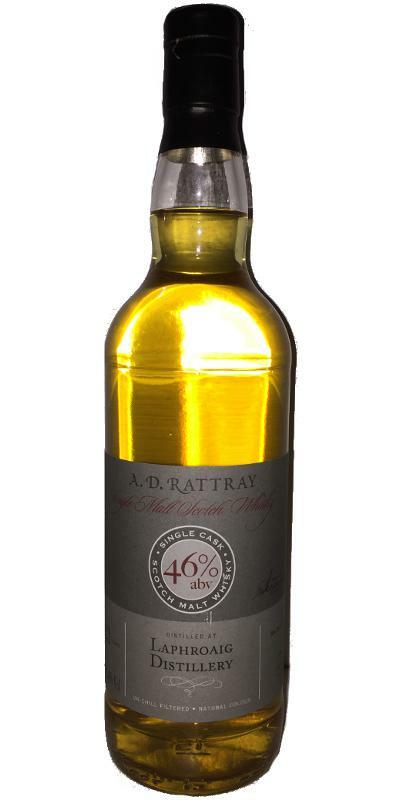 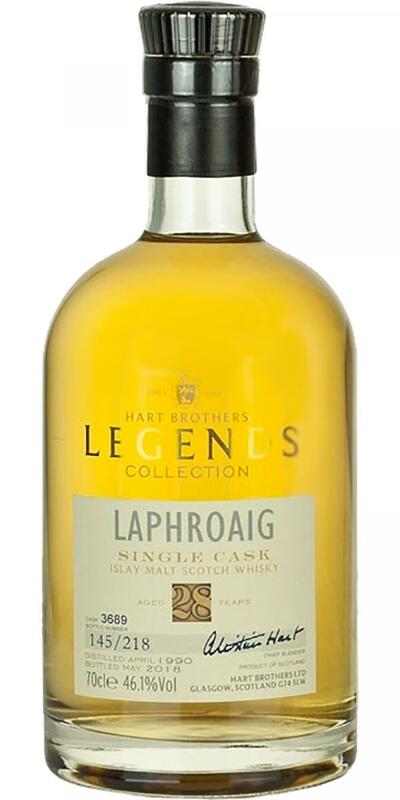 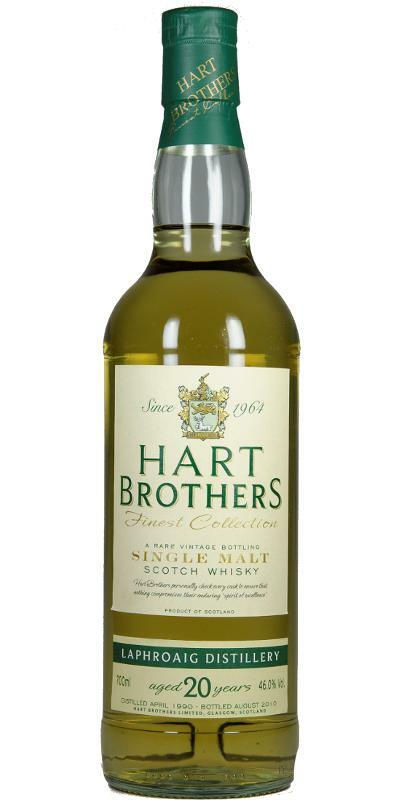 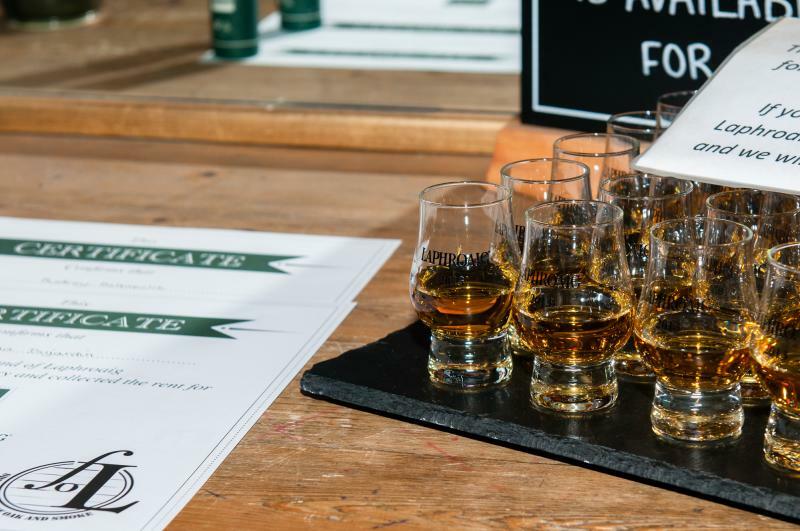 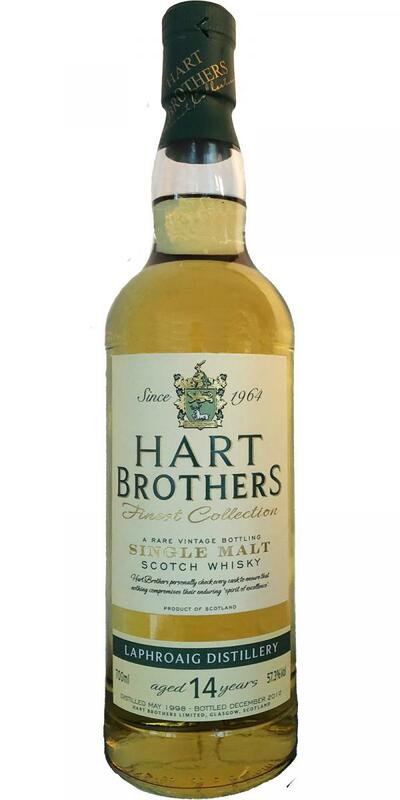 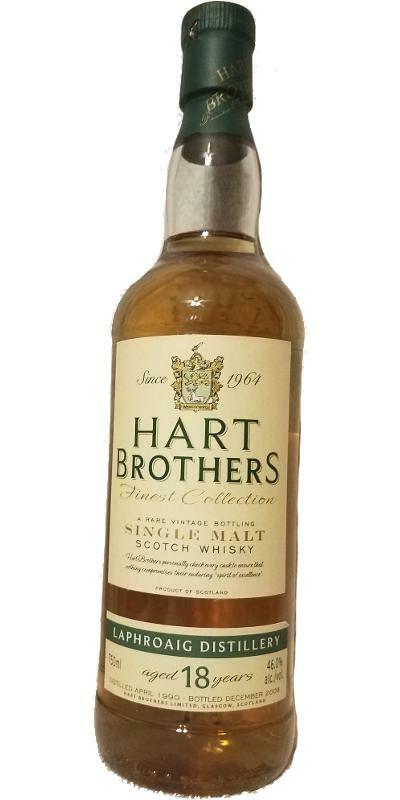 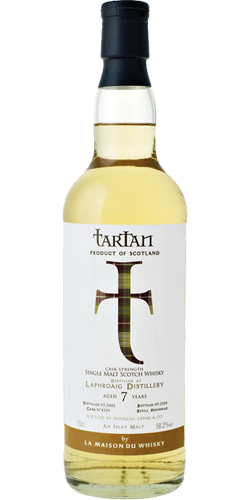 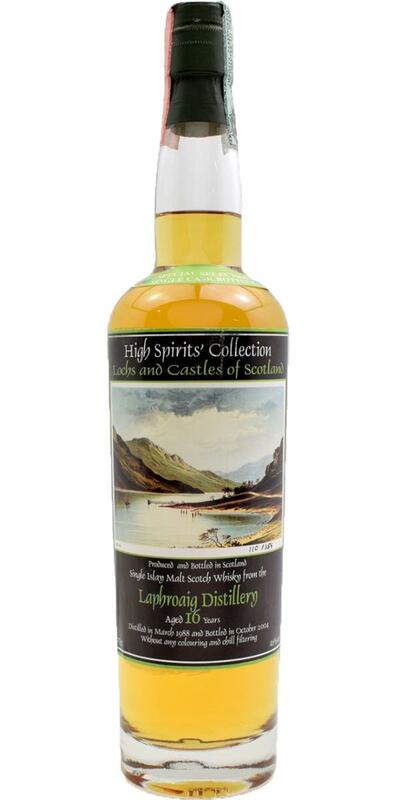 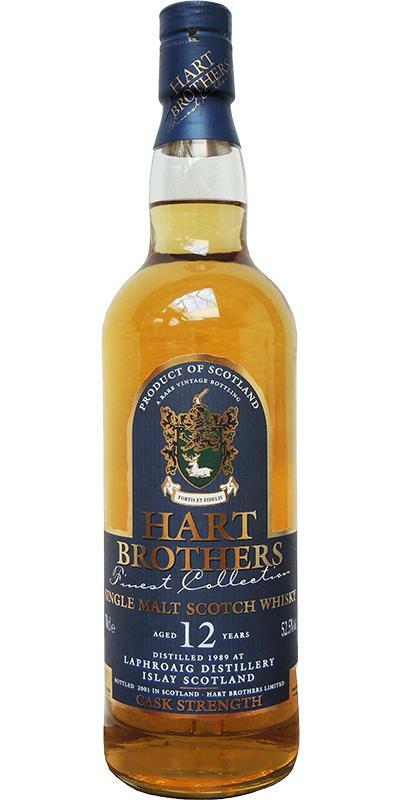 Laphroaig 14-year-old HSC Tartan Collection 14 46.0 % Vol.